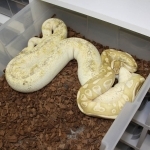 Description: Super Phantom 6/10 x Phantom 11/10. Description: Mutation X Pastel HRA 1/11 x Super Pastel "Weird" 1/06. 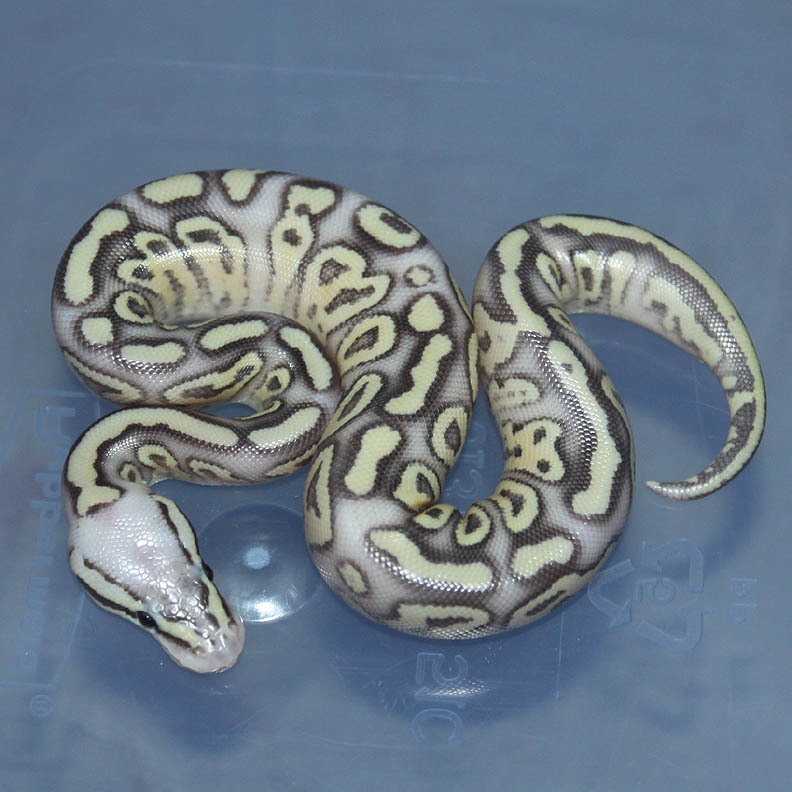 I love the Mutation X Super Pastels! 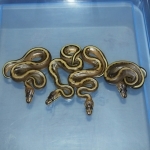 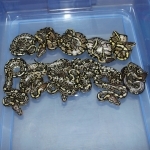 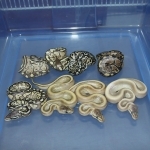 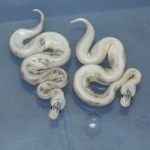 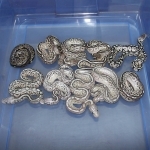 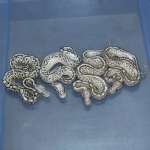 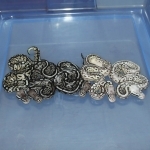 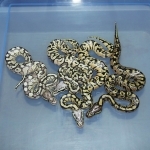 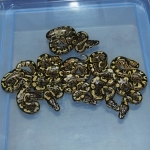 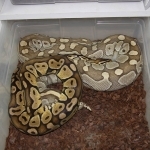 They will look even better after they shed (they are in shed in the pictures). 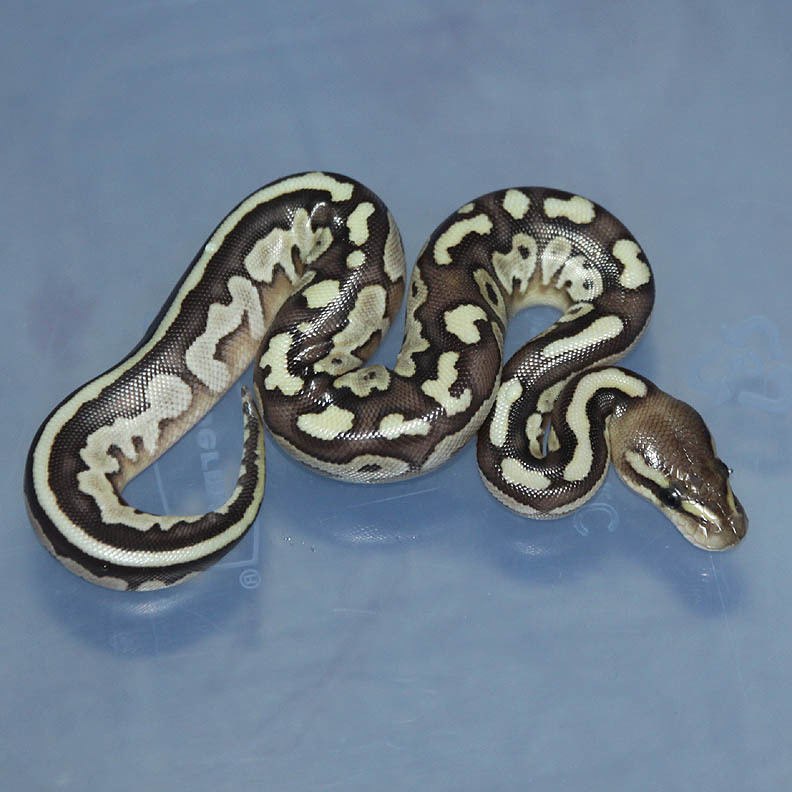 Description: Lesser Genetic Stripe HRA 1/12 x Pastel Het GS 3/07. 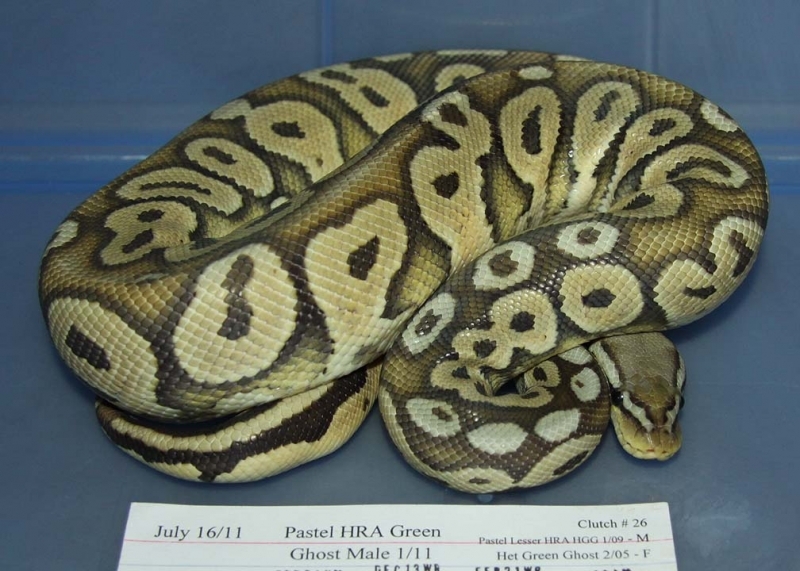 Description: Pastel Green Ghost HRA 1/11 x POGL (Green) 1/07. 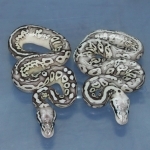 Description: Super Phantom 6/10 x Opal HRA 1/07. 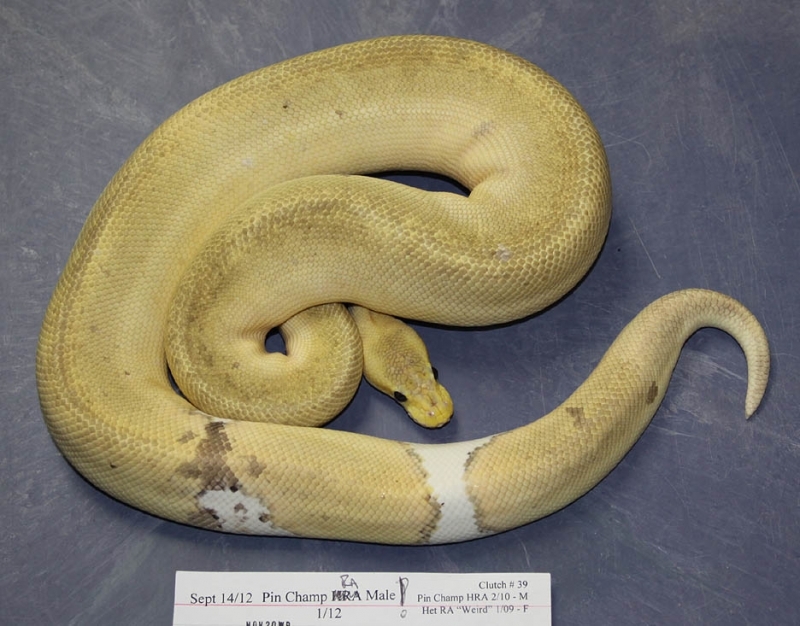 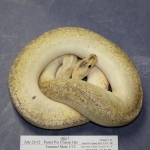 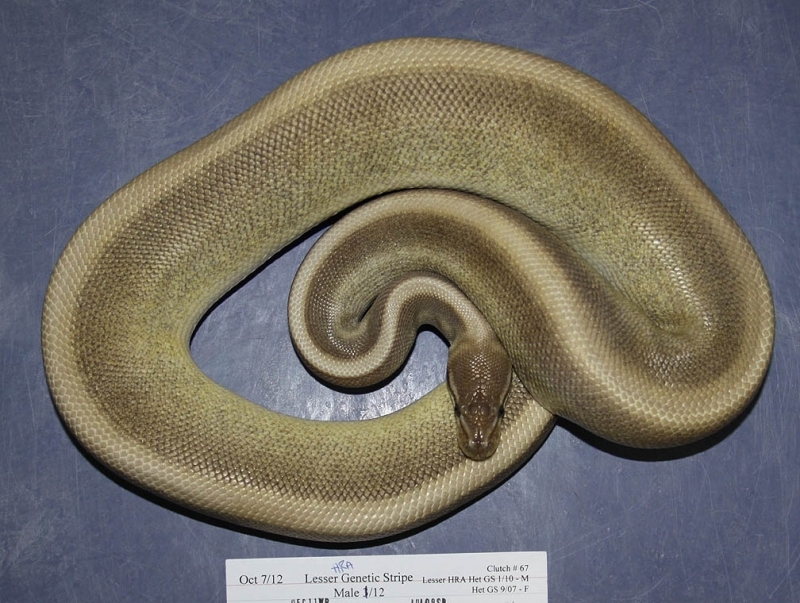 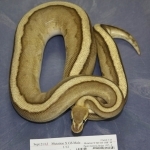 Description: Lesser Caramel 1/12 x Pastel Champ HRA 1/10. 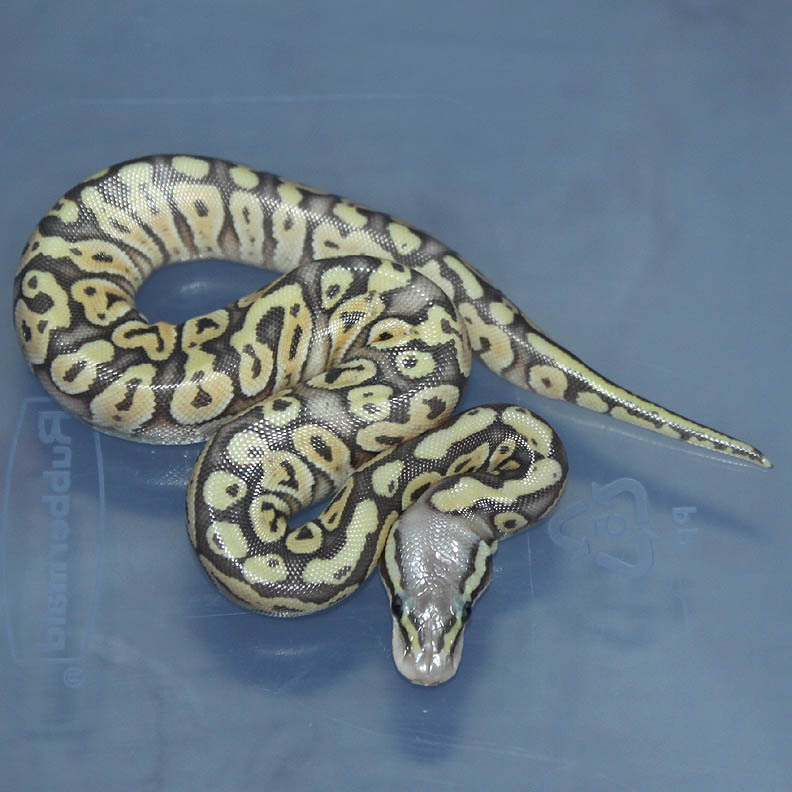 Description: Pastel DH Green Ghost/Genetic Stripe 1/11 x Lesser DH GG/GS 1/10. 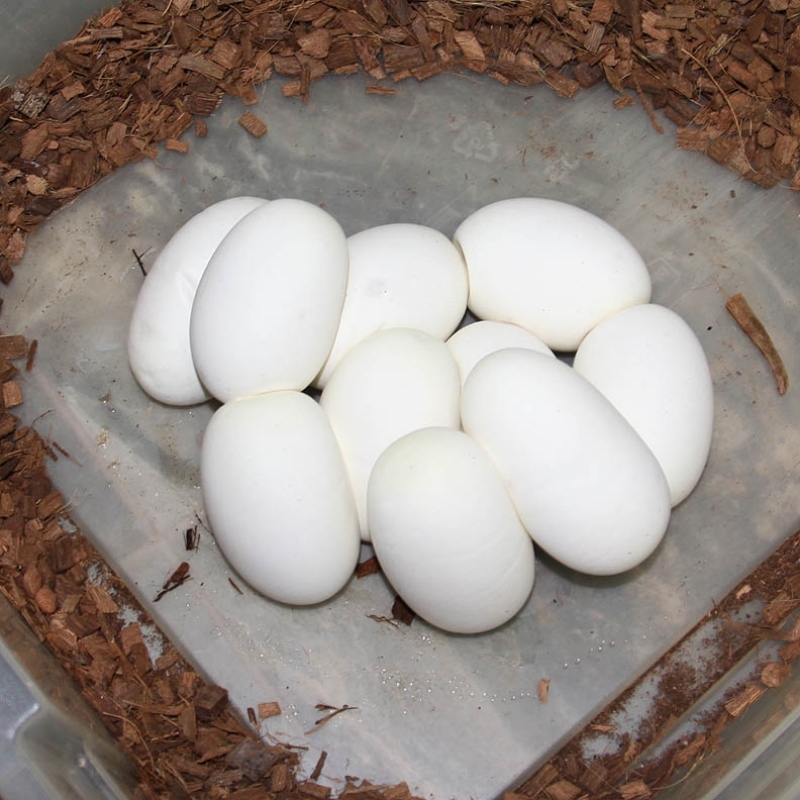 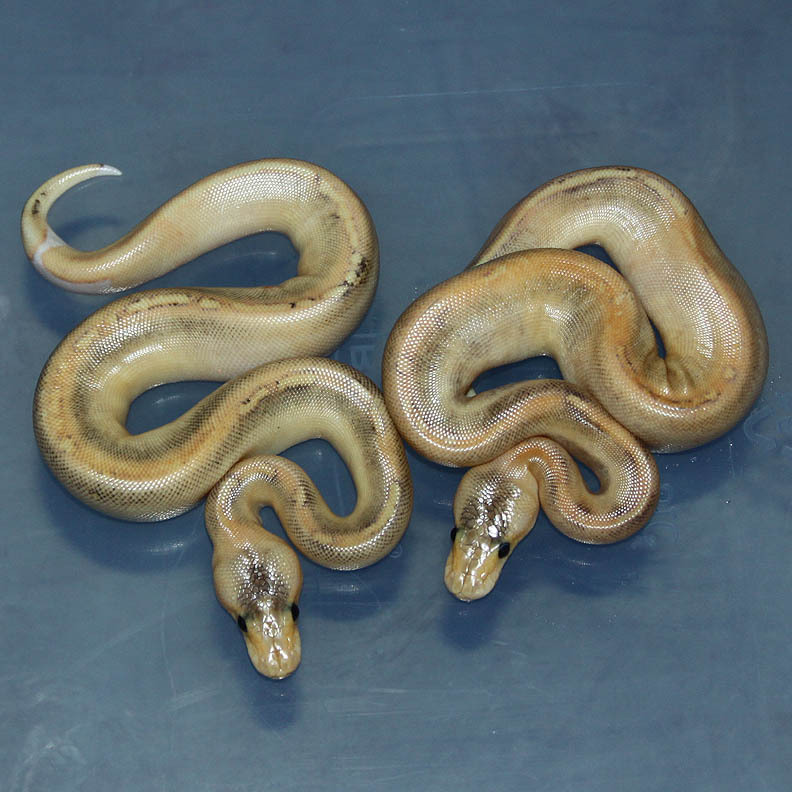 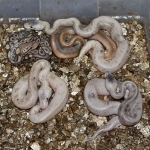 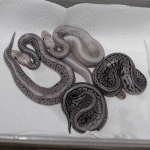 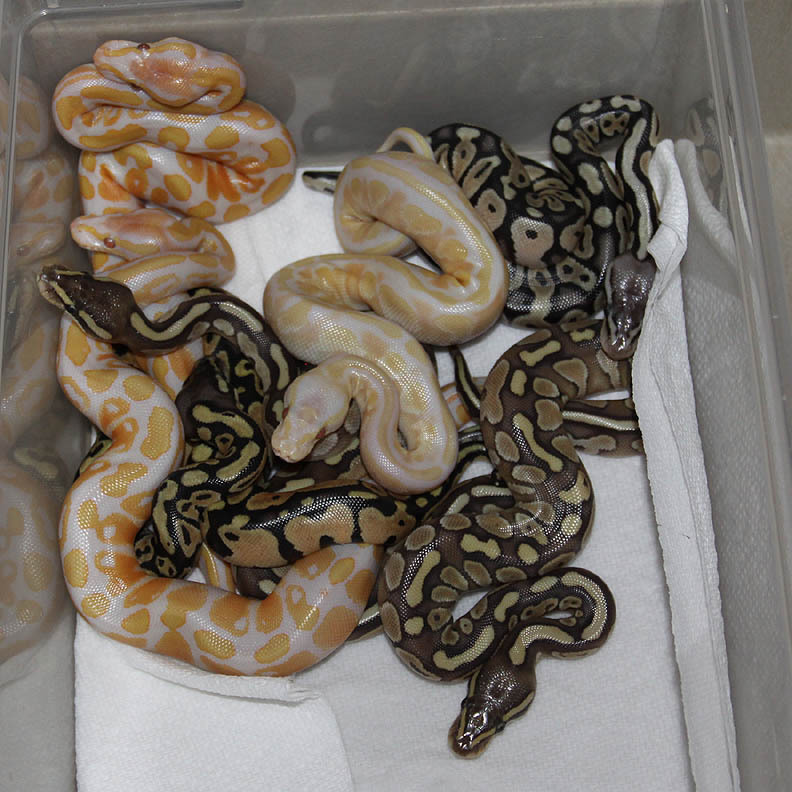 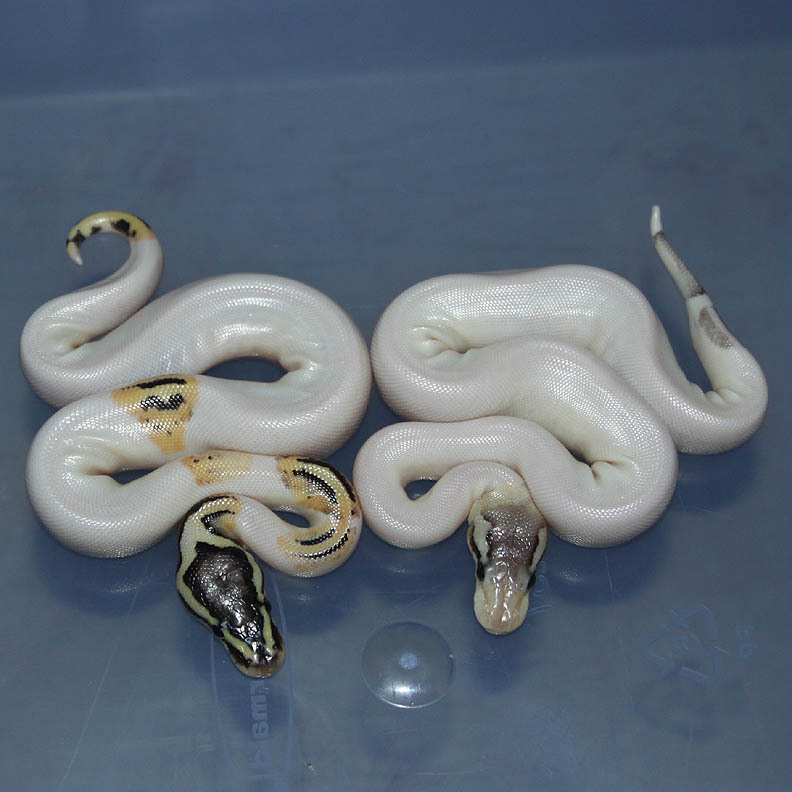 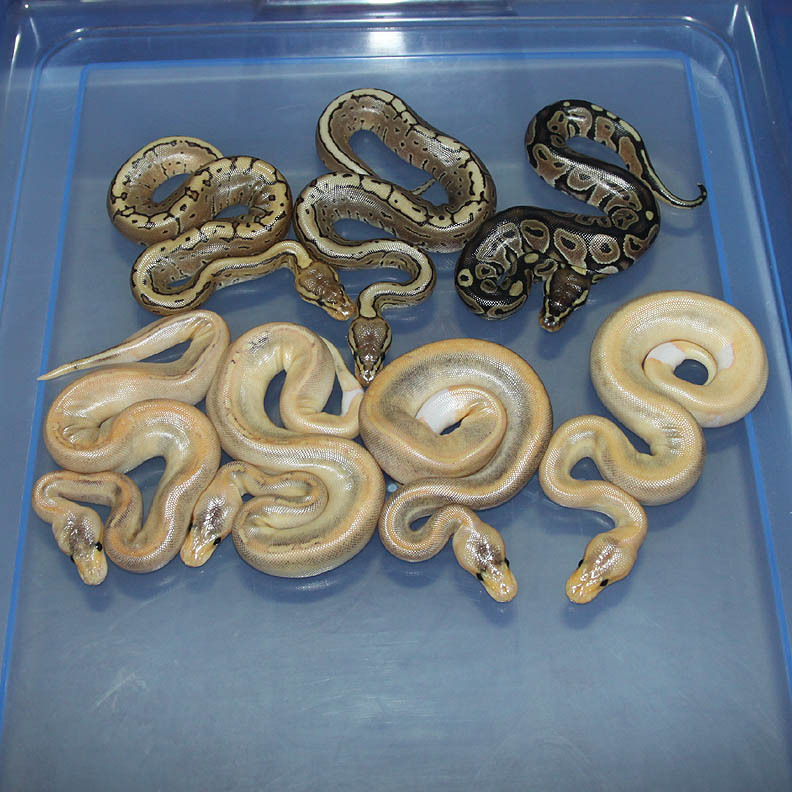 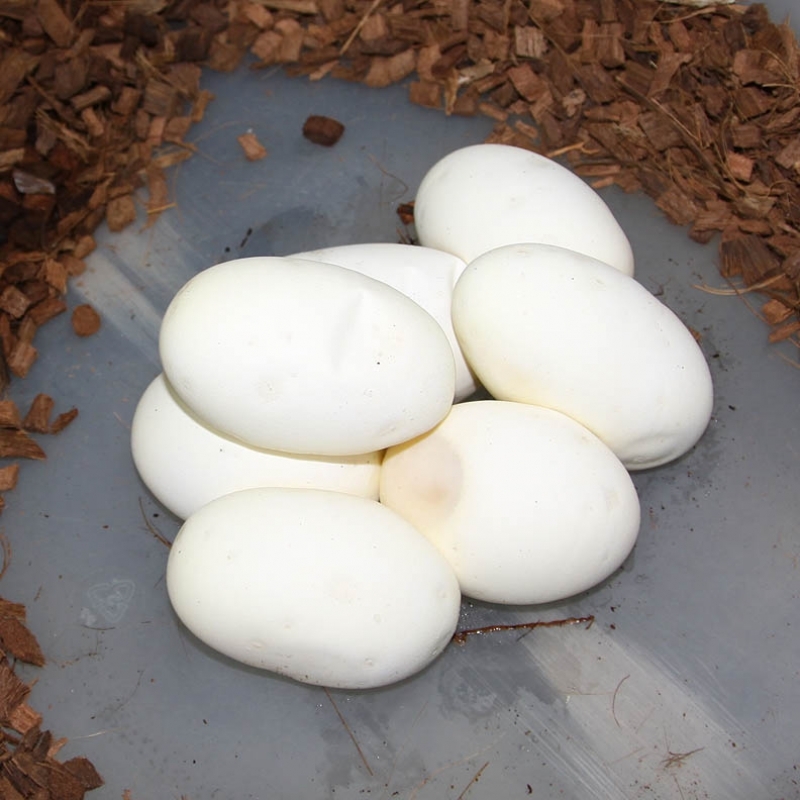 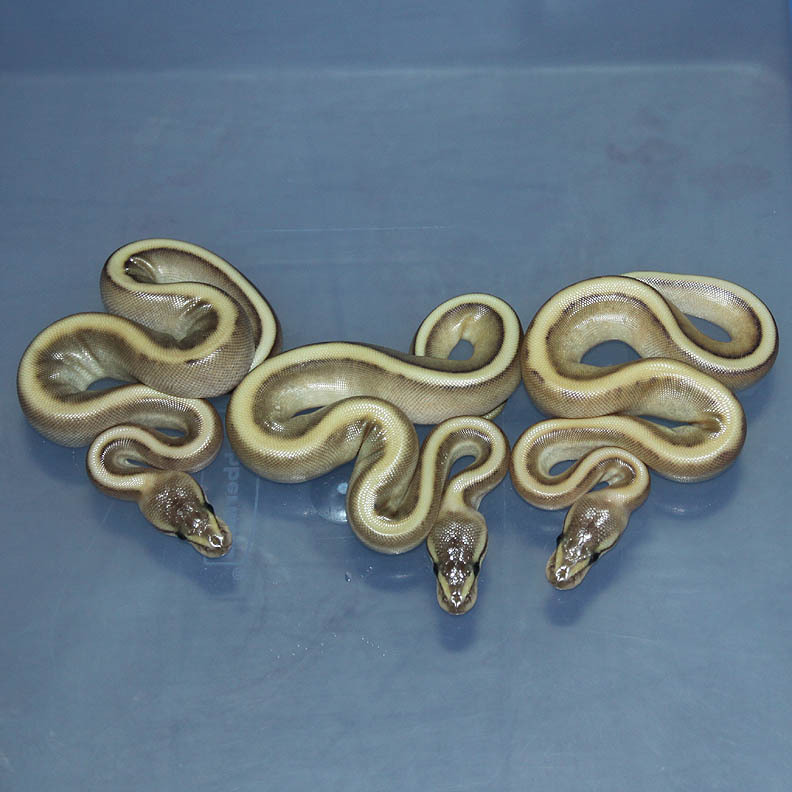 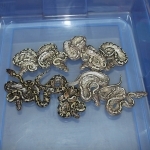 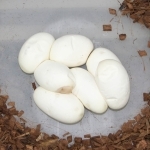 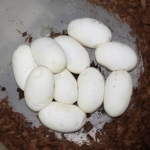 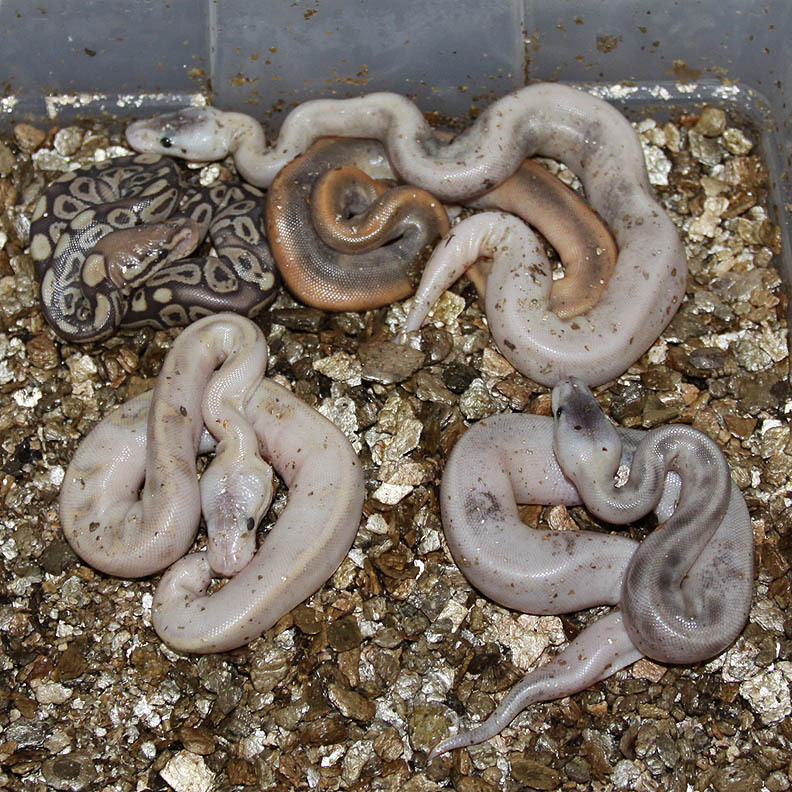 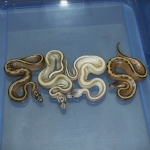 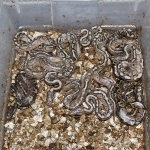 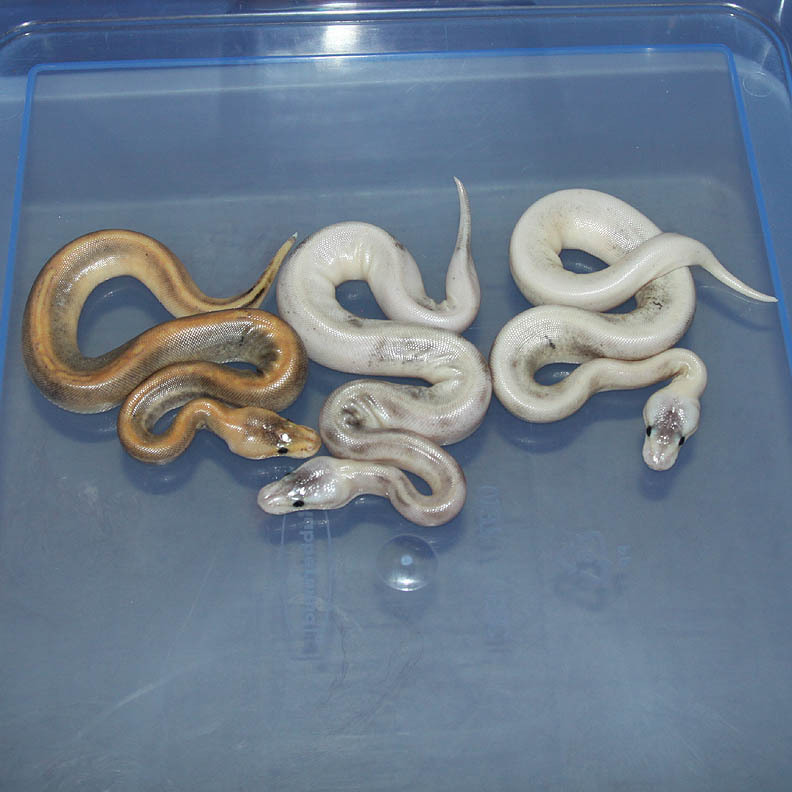 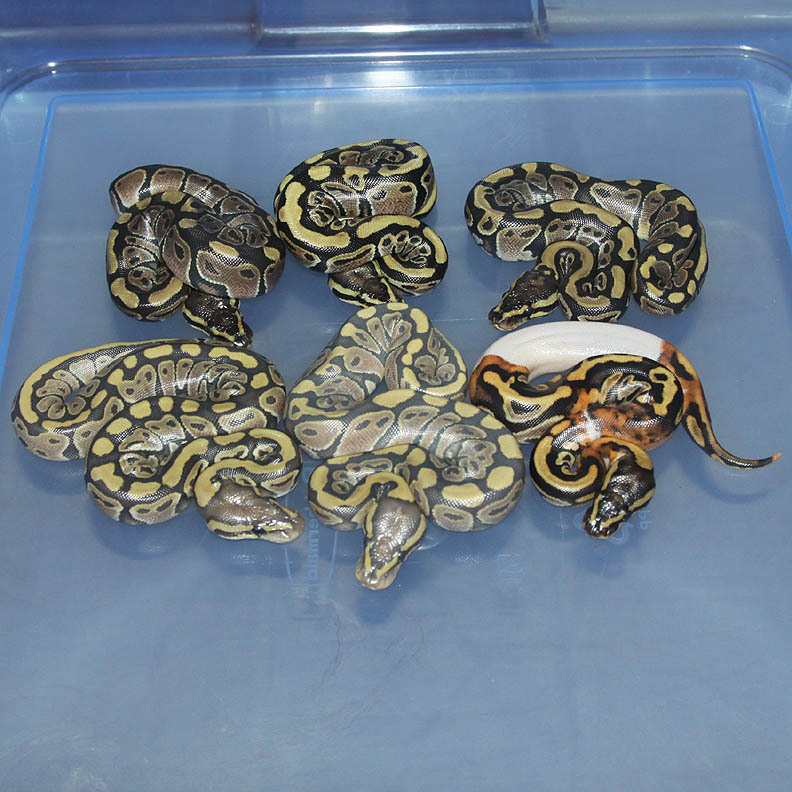 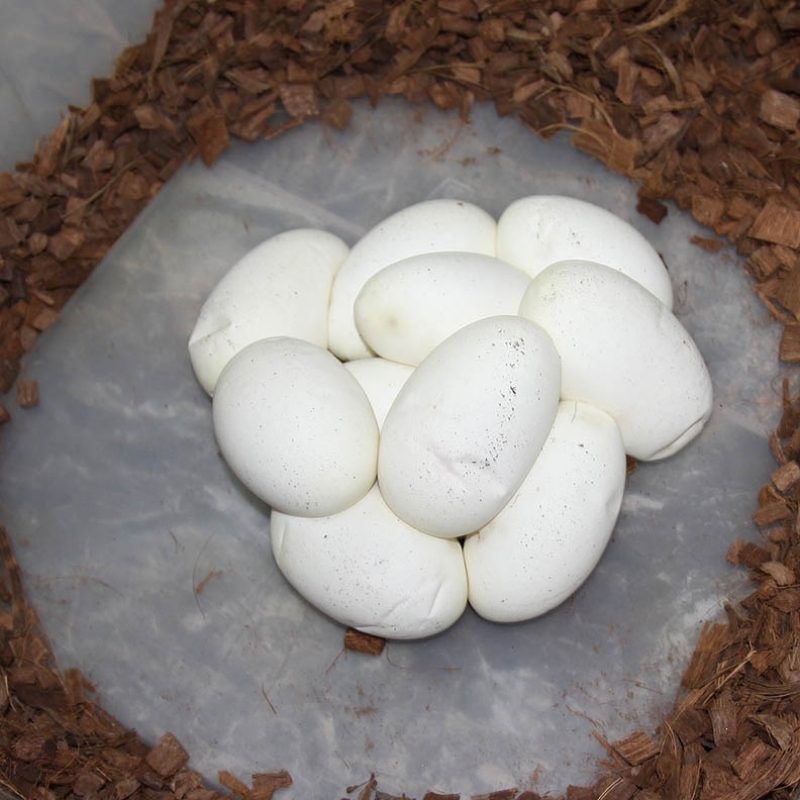 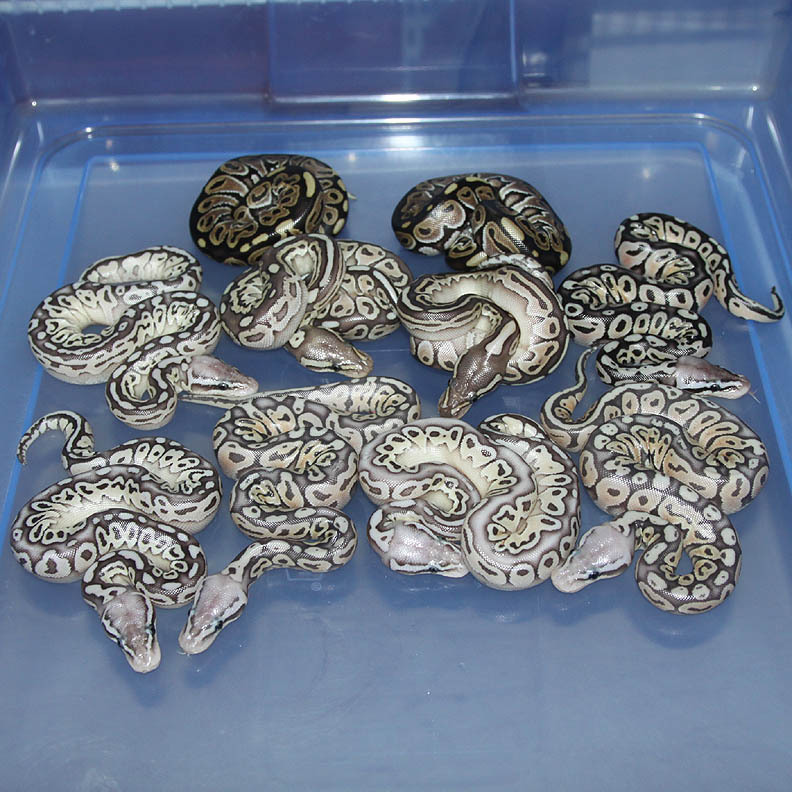 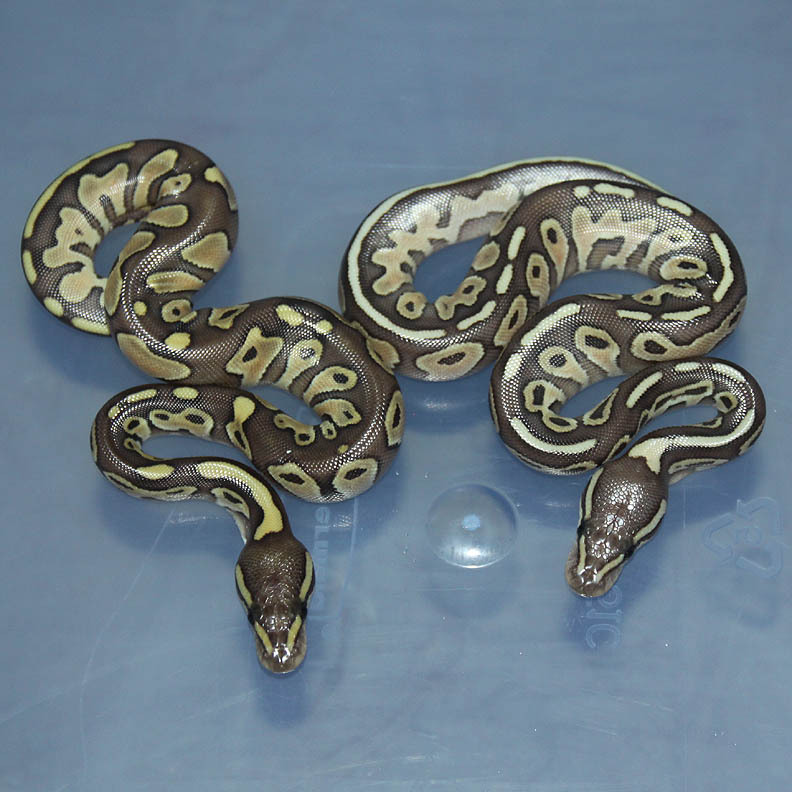 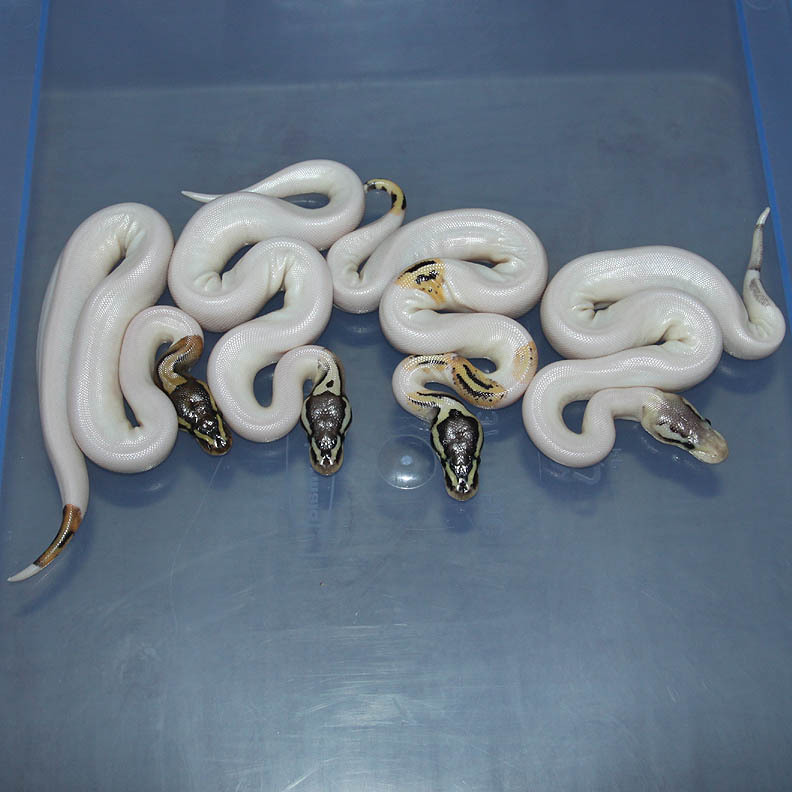 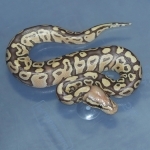 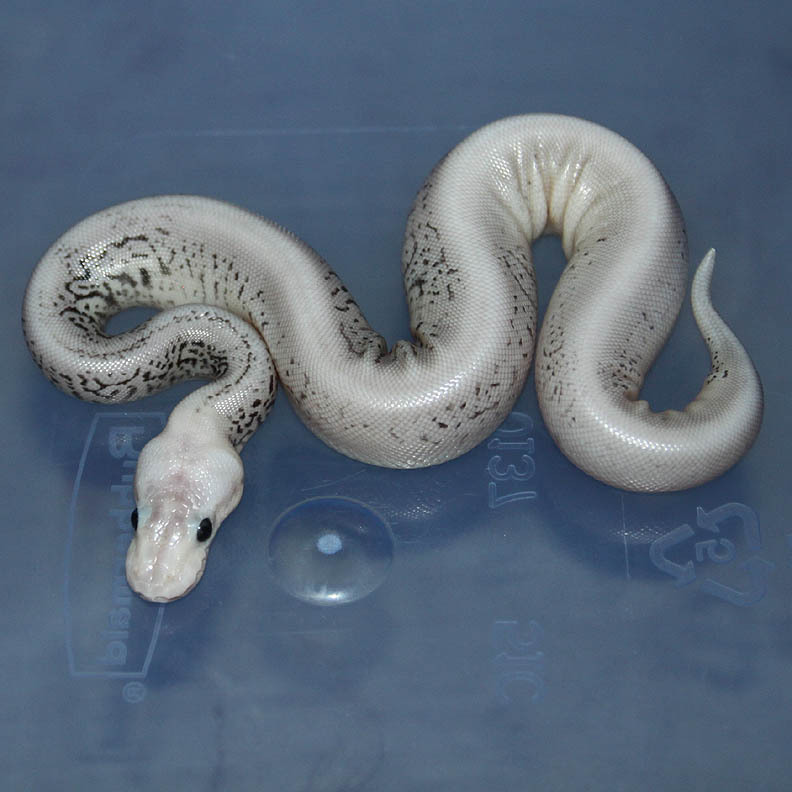 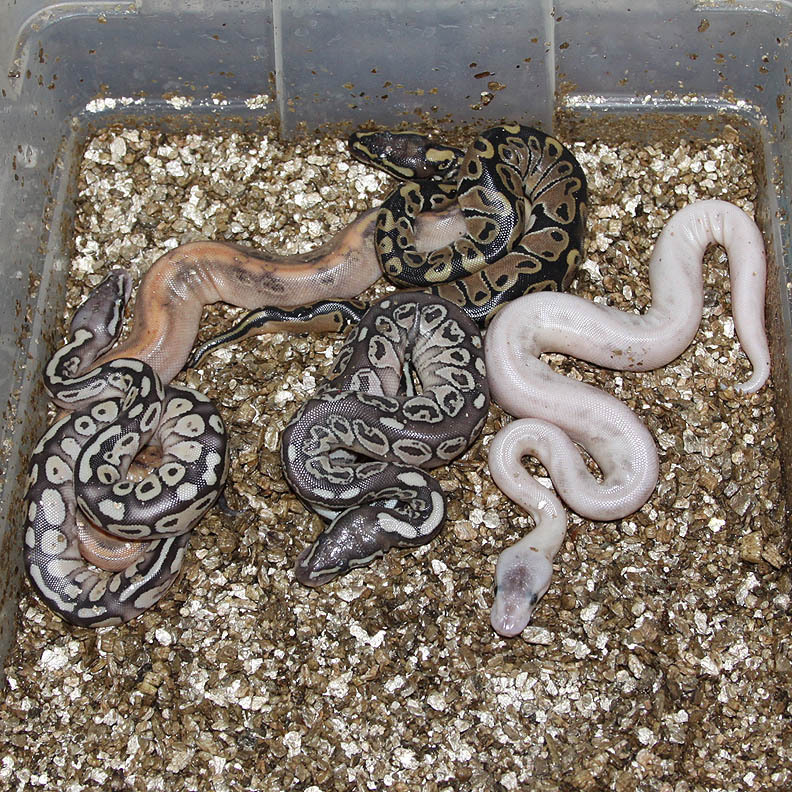 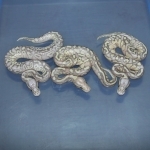 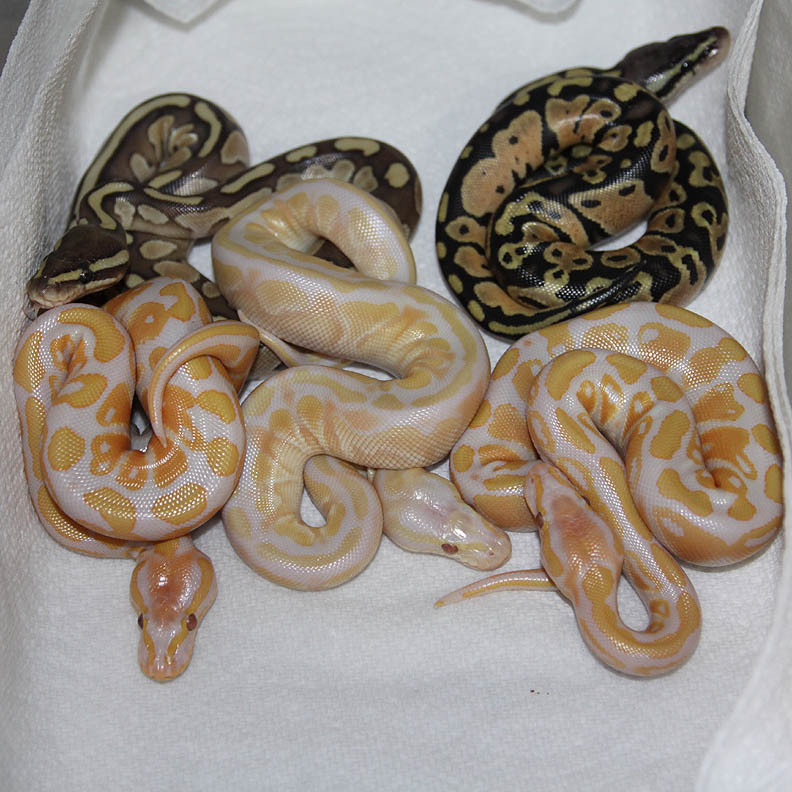 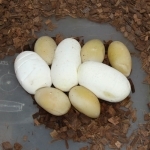 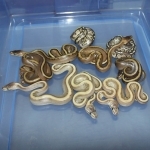 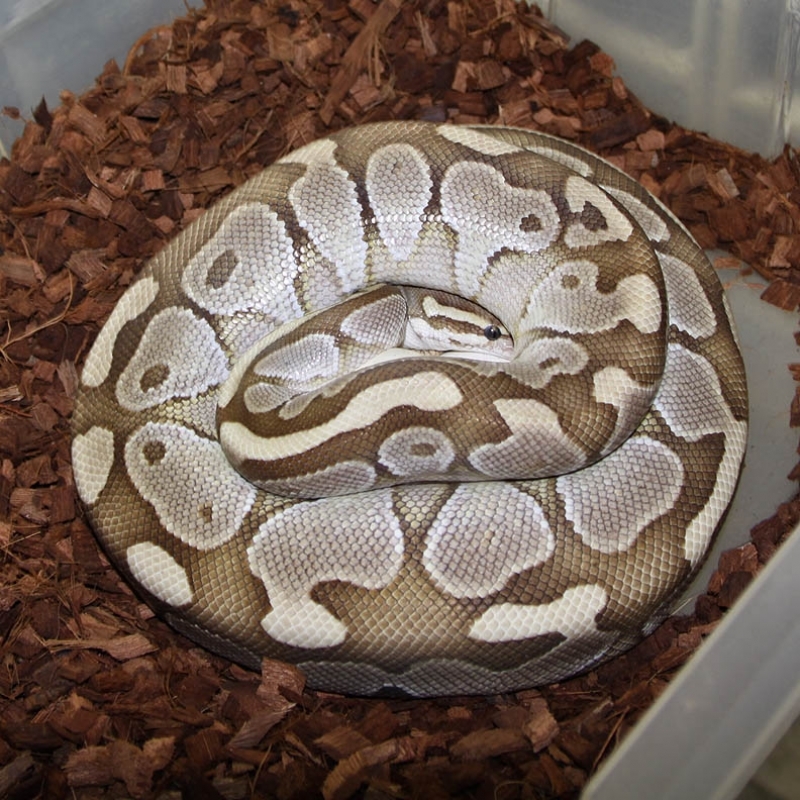 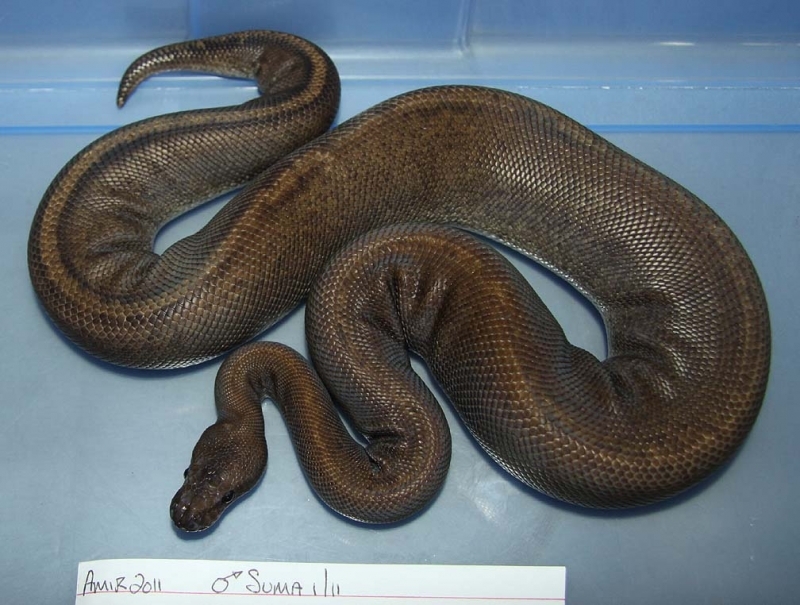 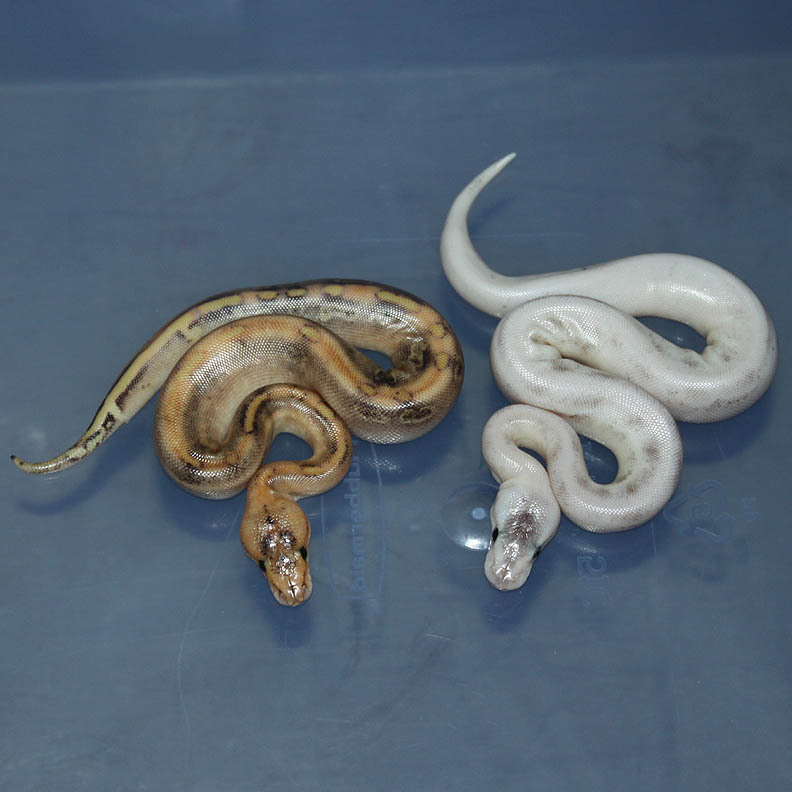 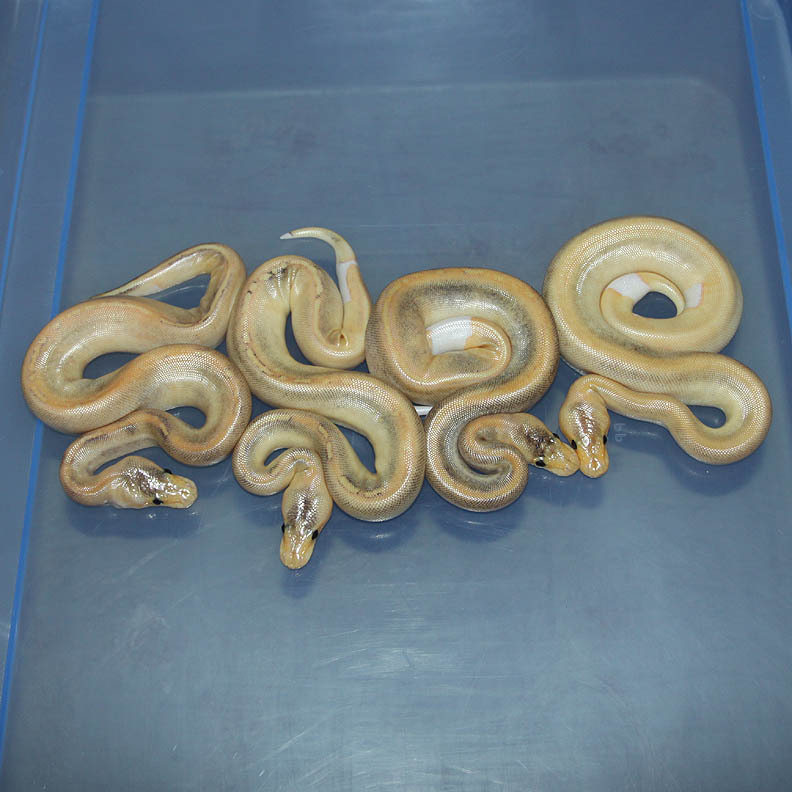 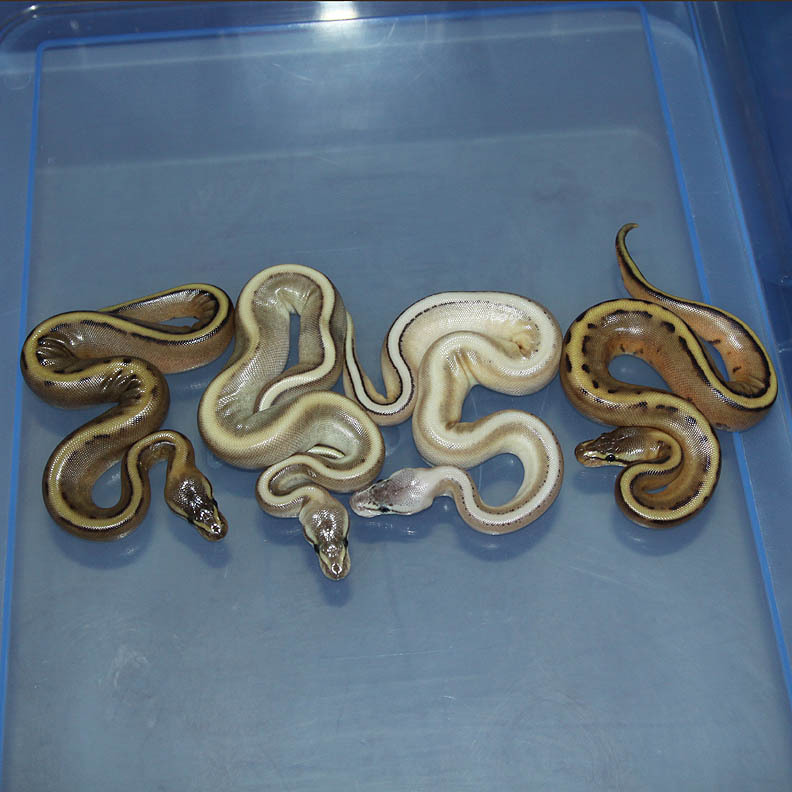 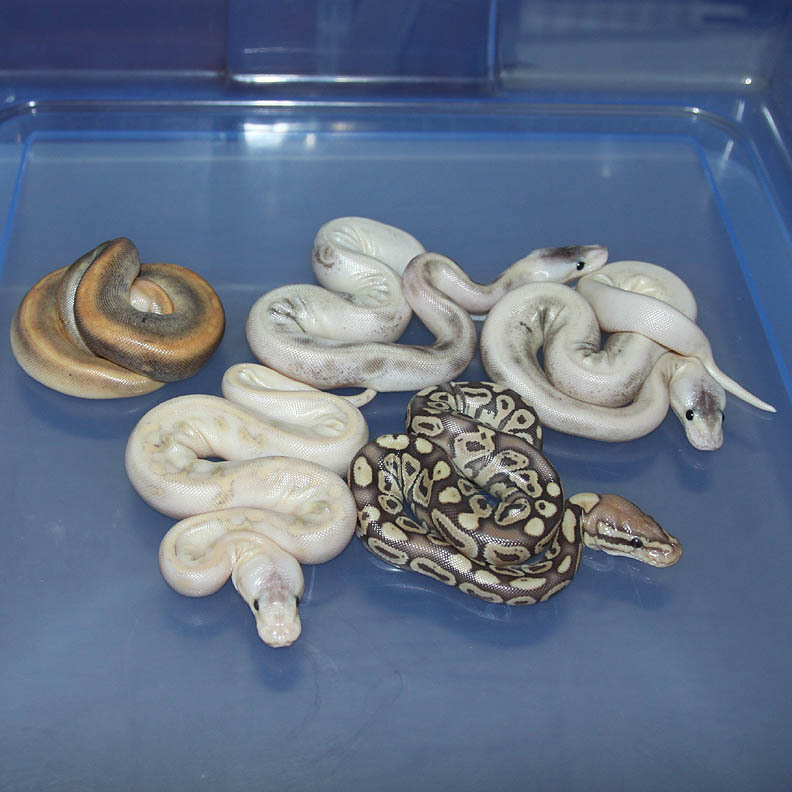 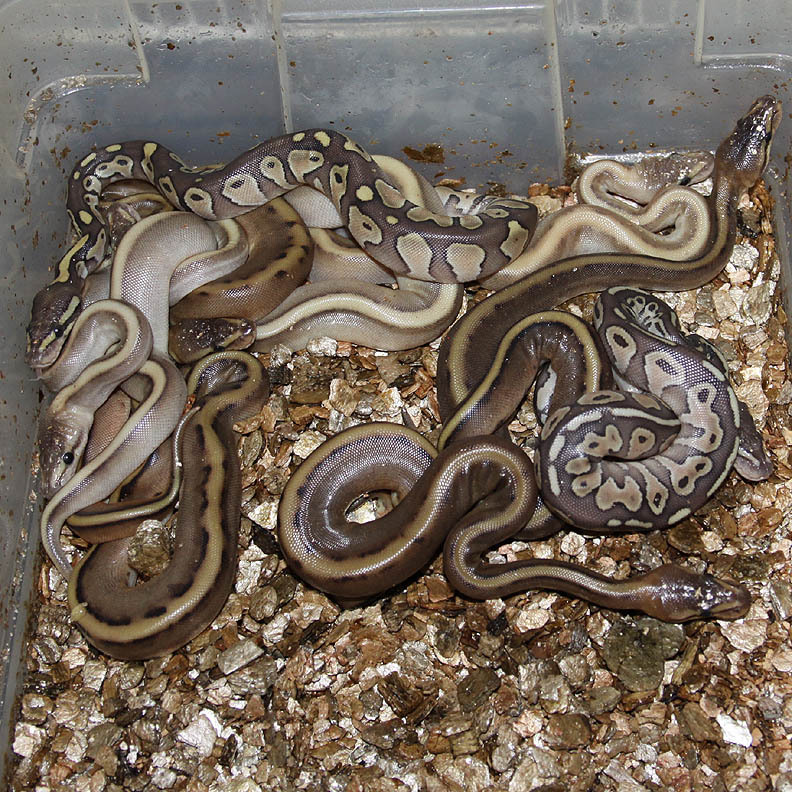 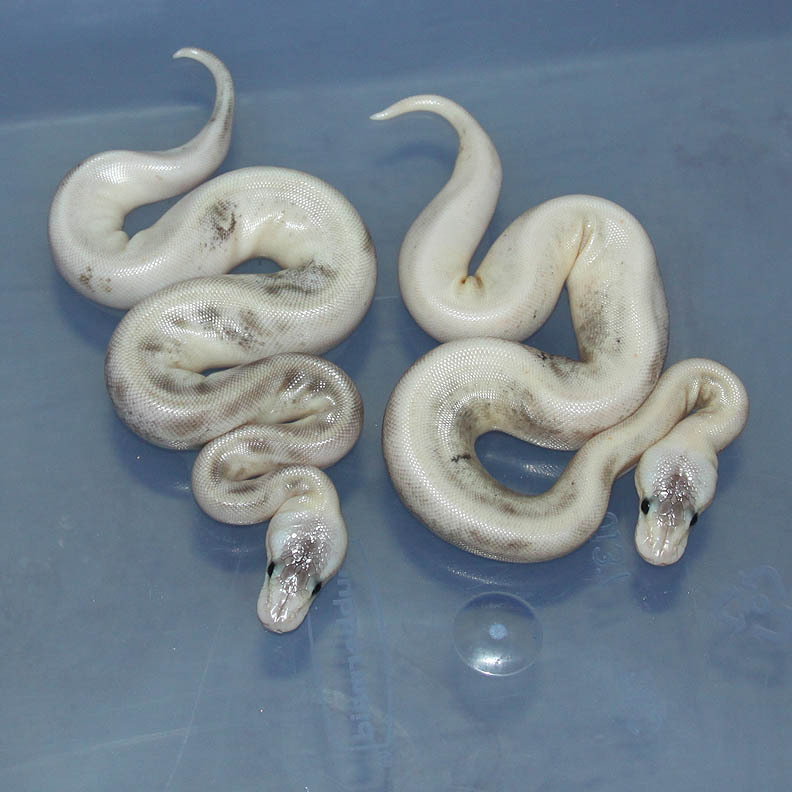 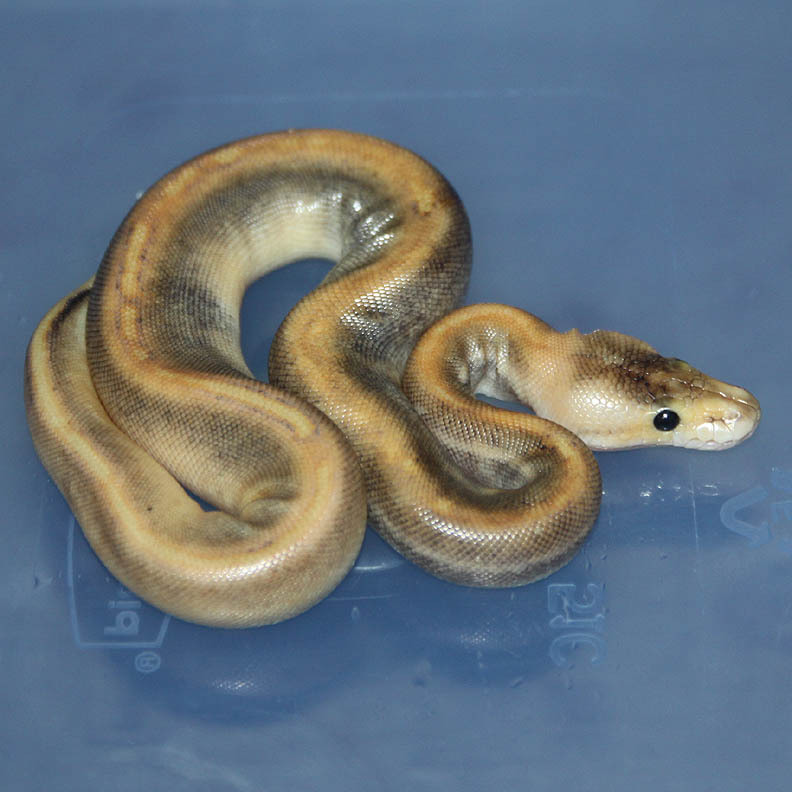 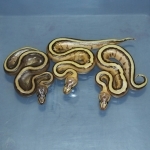 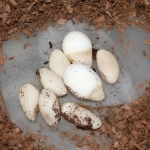 Description: Mimosa HRA 1/12 x Pastel Chocolate Het Orange Ghost 1/12. 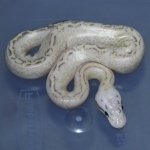 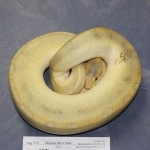 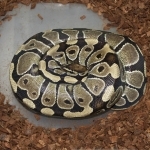 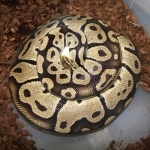 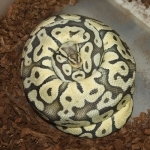 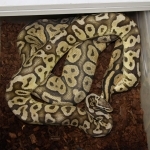 Description: Pastel DH OG/Pied 1/10 x Pastel DH OG/Pied 5/10. 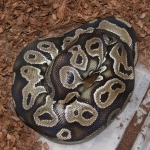 I'm rocking it on the POG Pieds this year!!! Description: Lesser Genetic Stripe HRA 2/11 x HetGS2/08. Description: Lesser Ivory 3/12 x Pastel Caramel 1/09. 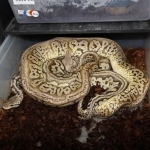 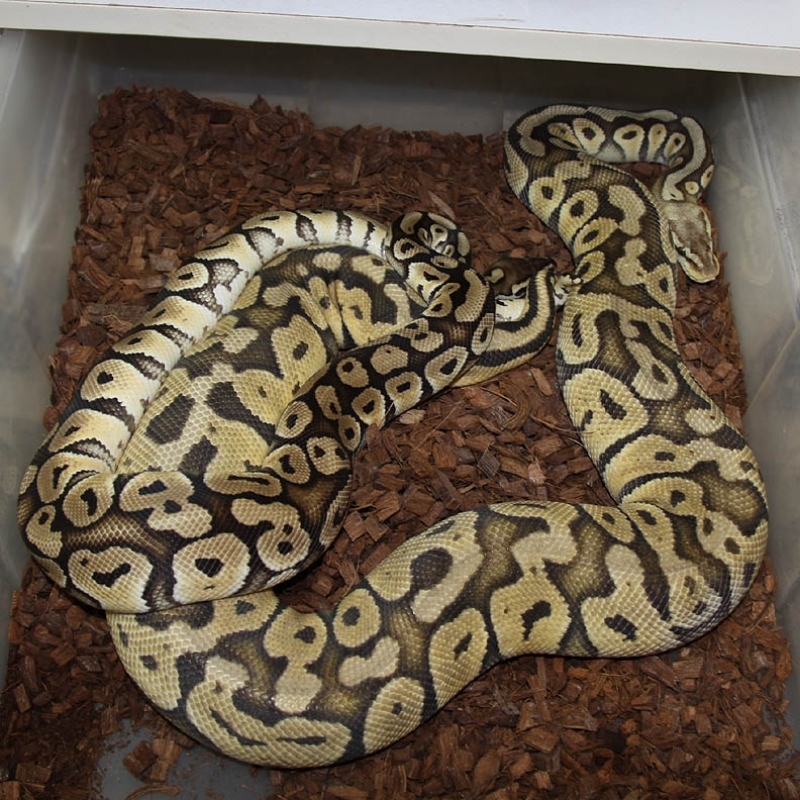 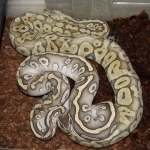 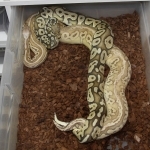 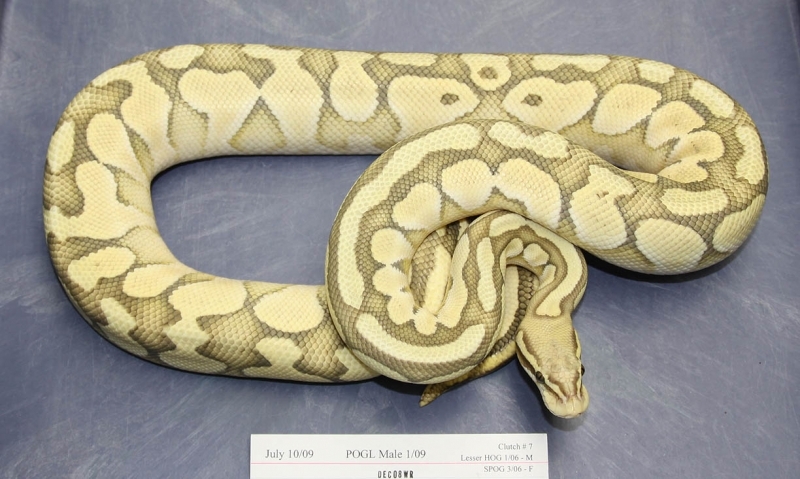 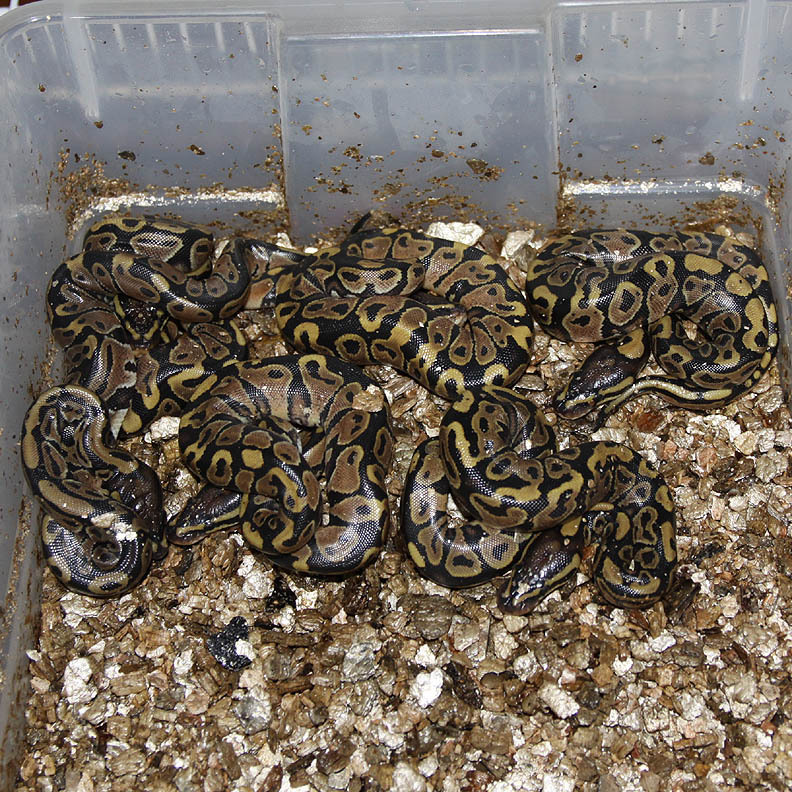 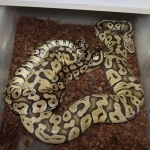 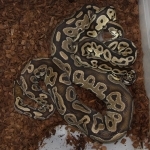 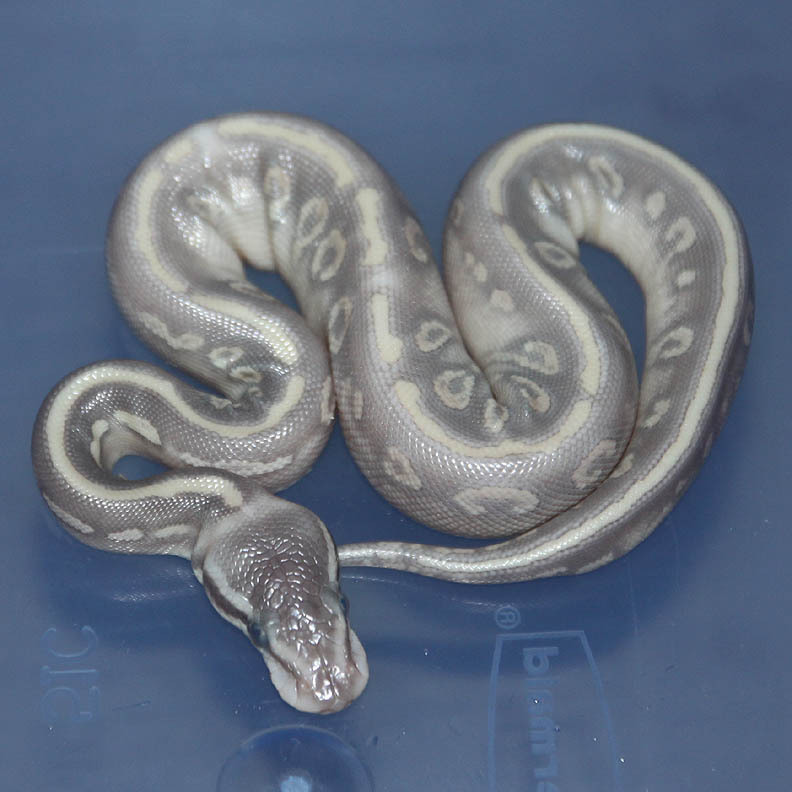 Description: Pastel Phantom HOG 1/12 x Het RA Het OG 1/07. Description: Pastel Green Ghost HRA 1/11 x Pastel Green Ghost 1/09. 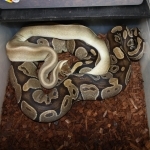 Description: Mutation X HOG 1/12 x Pastel YB DH Orange Ghost 5/11. 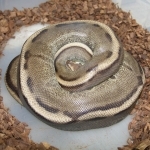 This female is tiny but 3 years old. 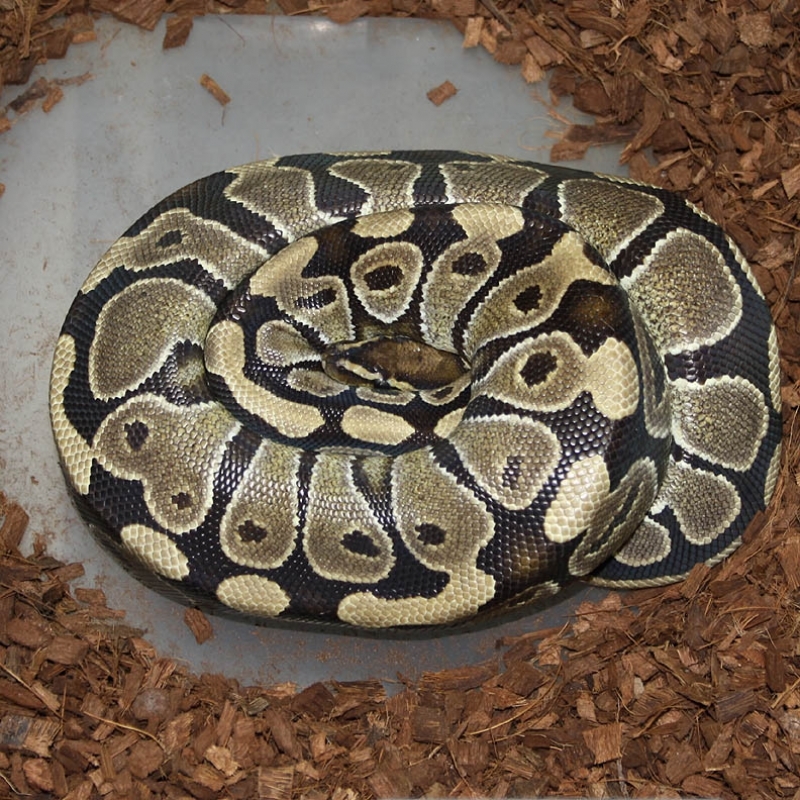 Decent sized clutch for a small female. 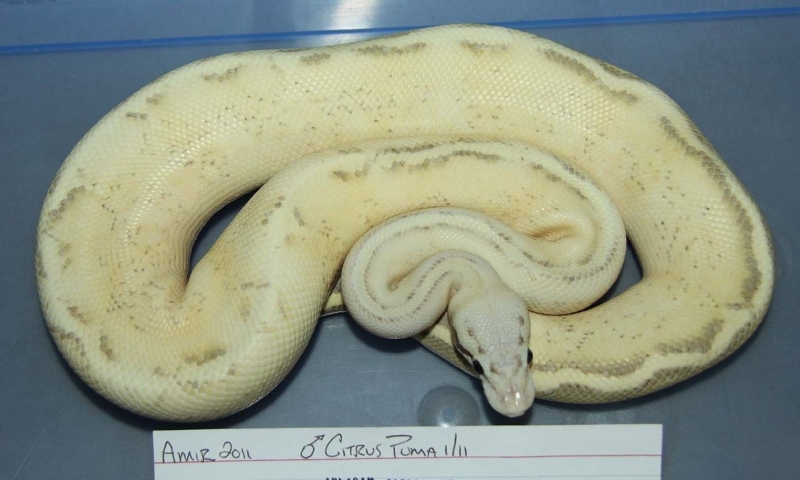 This female is one of the offspring from the Ivory Ghost bred to NERD line Orange Ghost. 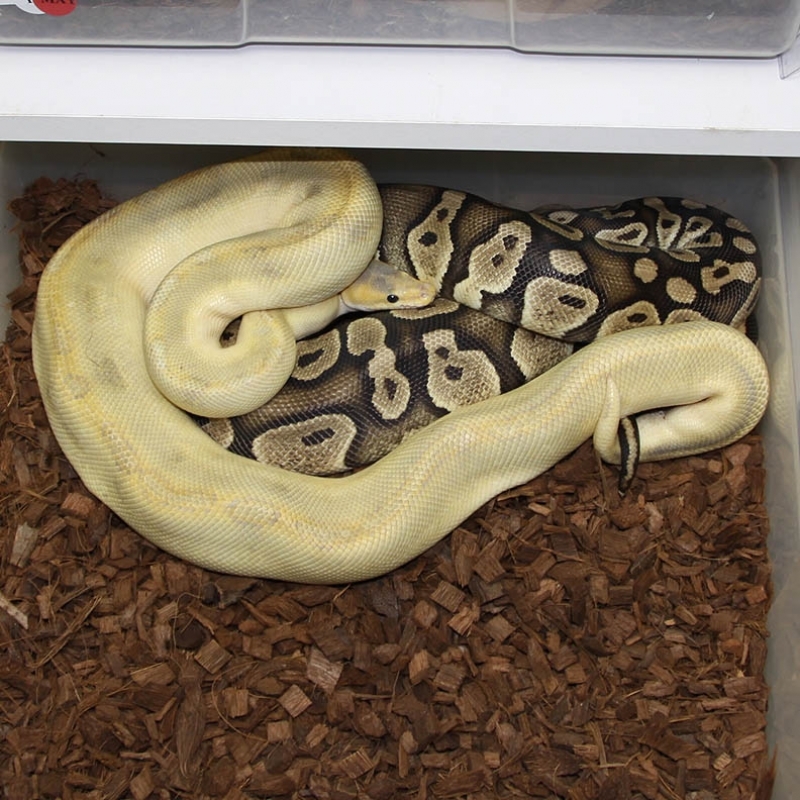 That is why she is listed as a "Double Het Orange Ghost". 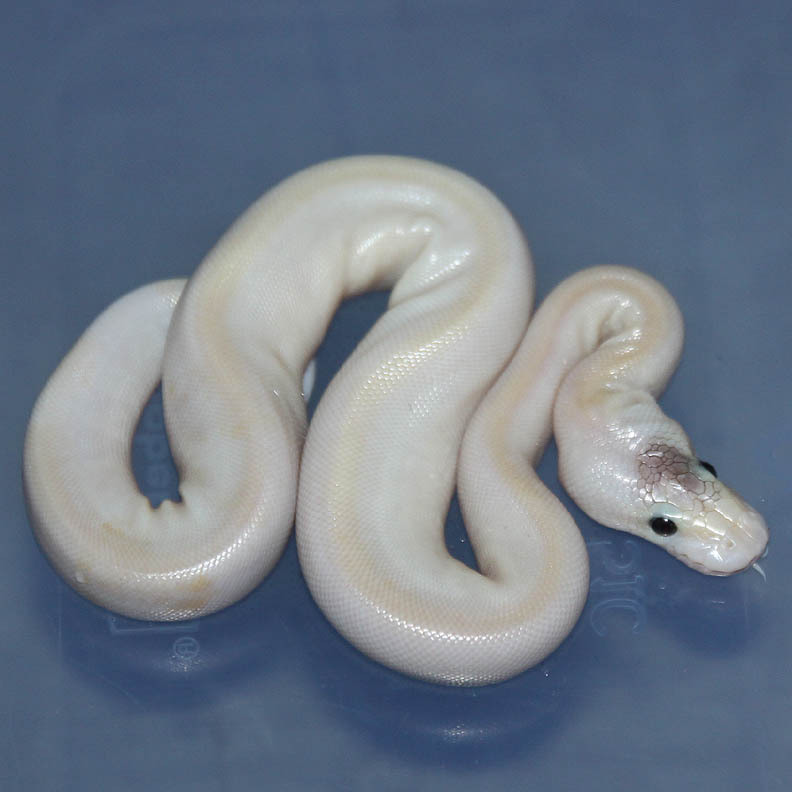 I'm discounting the other "Ivory Ghost" part of her and just using her as a Het NERD line Orange Ghost. 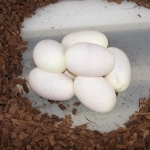 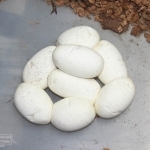 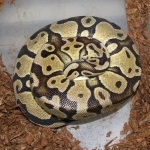 Description: Pastel DH OG/Pied 2/10 x Pastel DH OG/Pied 2/11. Description: DH OG/Pied 1/10 x DH OG/Pied 4/10. 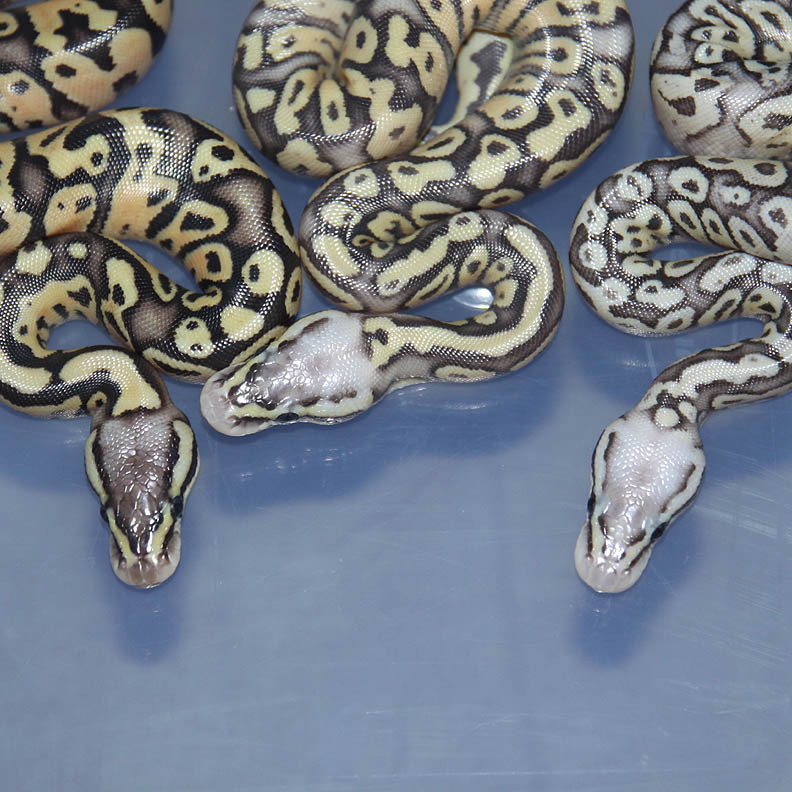 I really like the Pied and Orange Ghosts!! Description: POG Red Axanthic 1/11 x Lesser DH OG/GG 1/11. 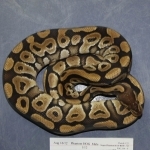 Description: POGL (Orange) 1/09 x HY PHOG 5/06. 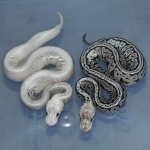 Description: X HRA 1/11 x HRA 21/06. Description: X Pastel 1/12 x Super Pastel "Weird" 4/06. 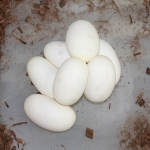 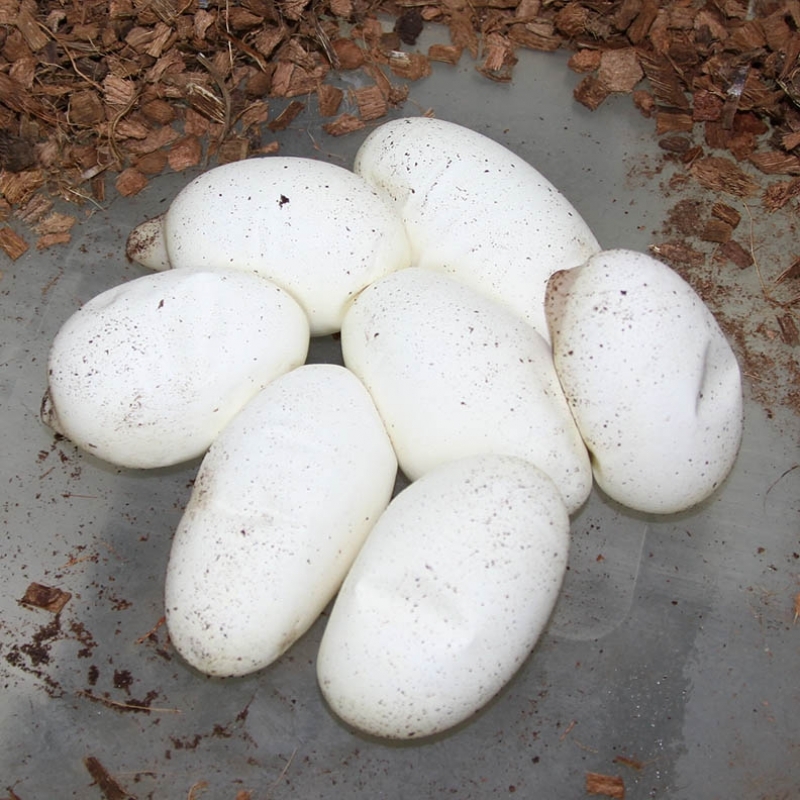 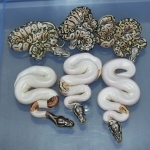 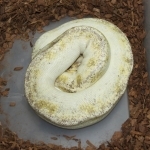 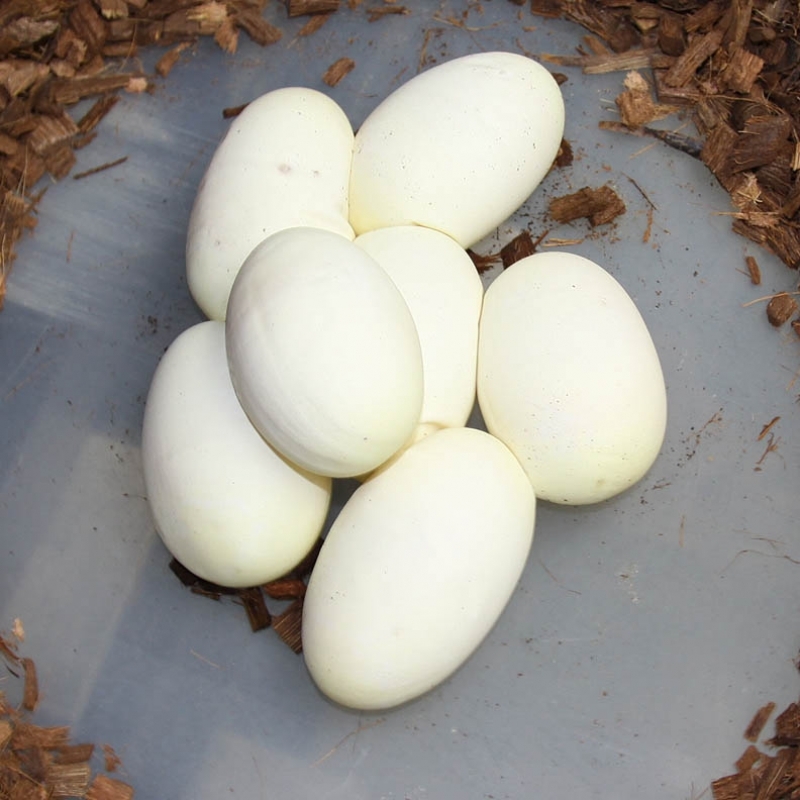 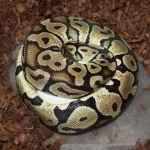 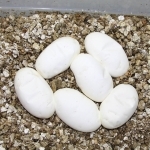 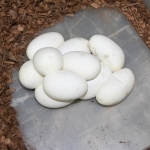 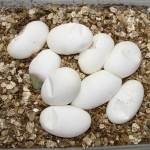 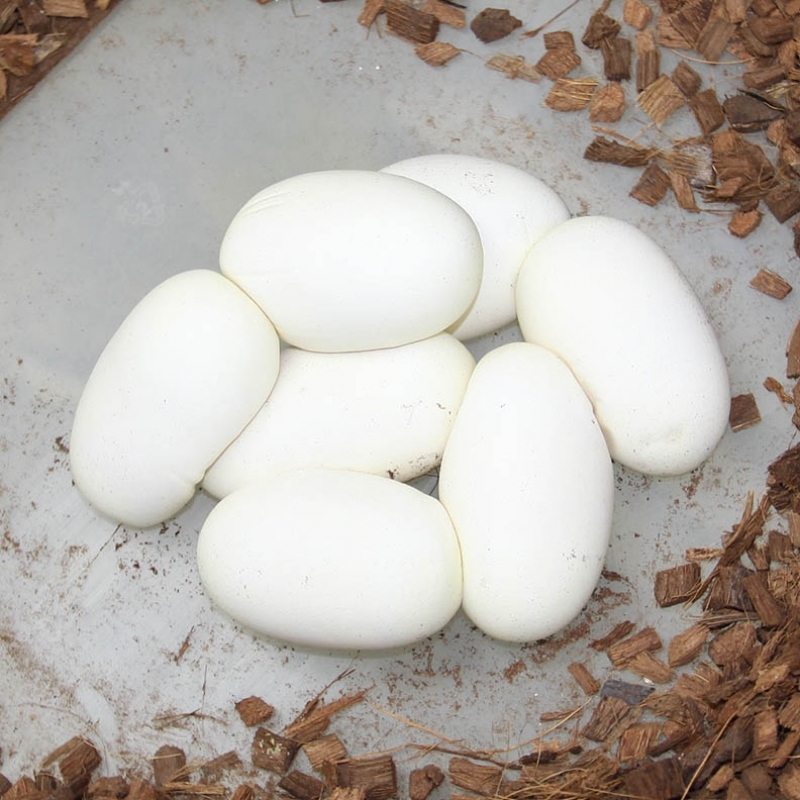 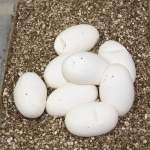 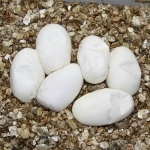 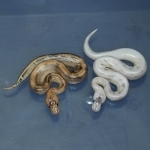 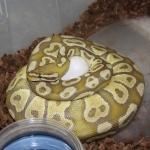 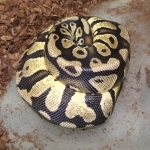 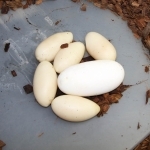 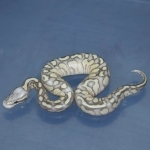 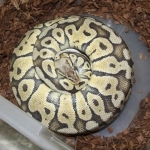 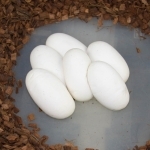 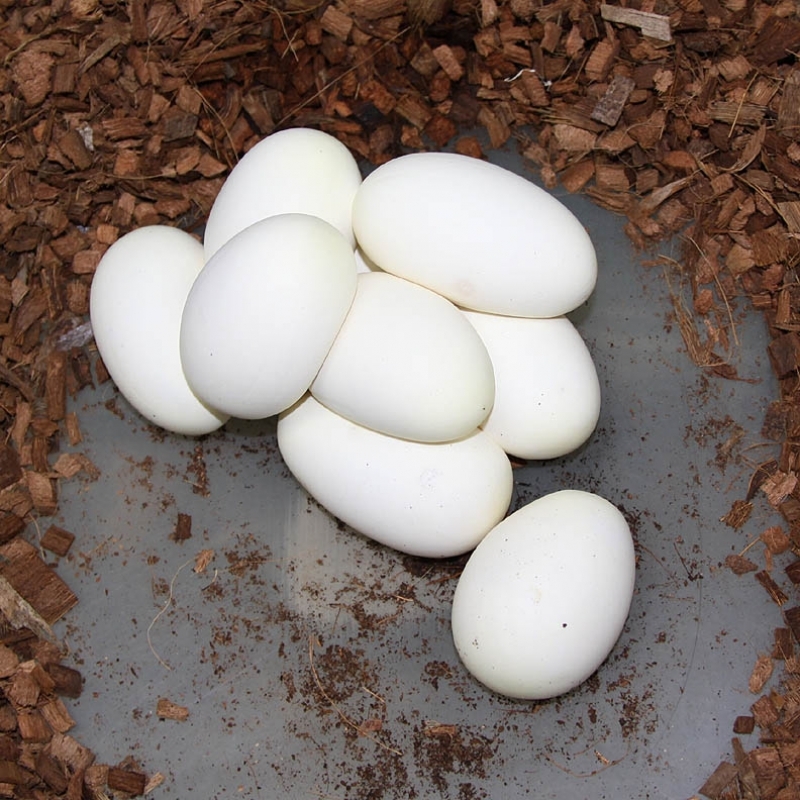 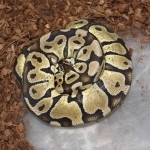 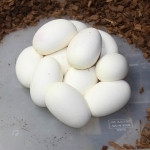 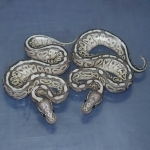 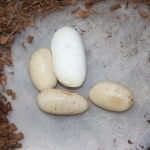 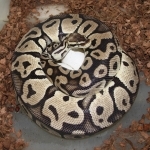 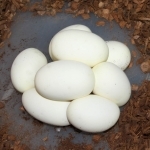 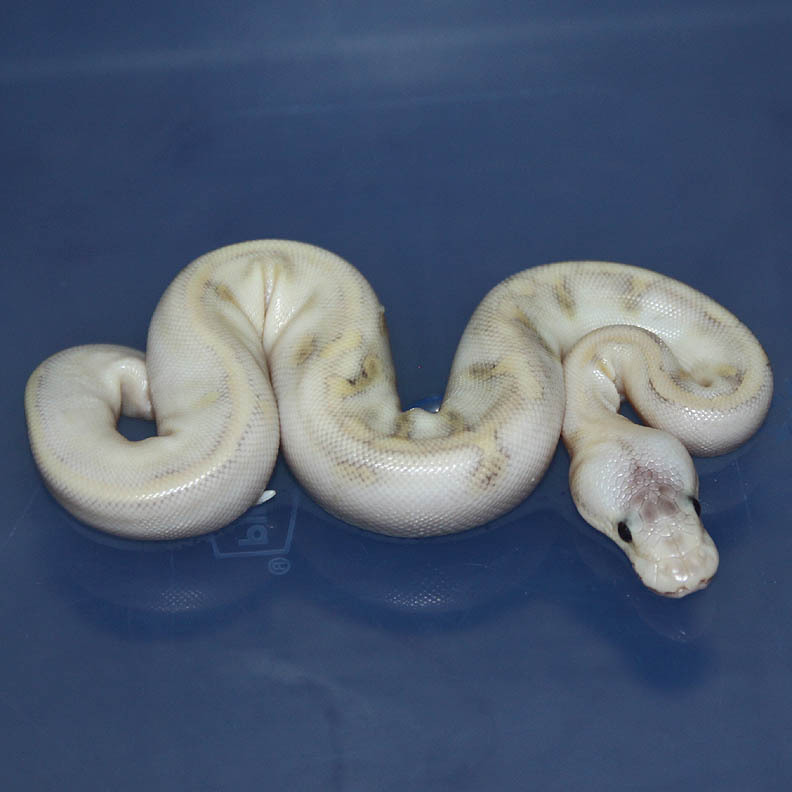 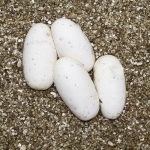 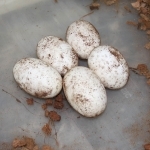 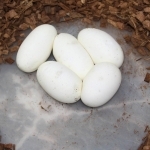 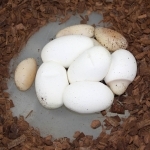 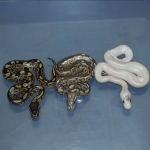 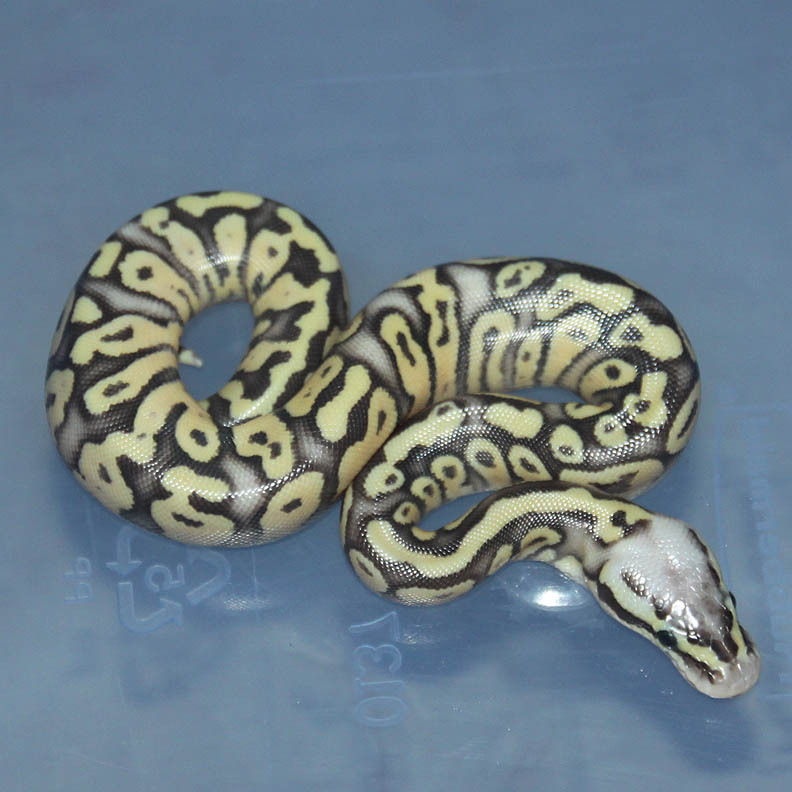 Description: Pastel DH OG/Pied 2/10 x Pastel DH OG/Pied 1/11. 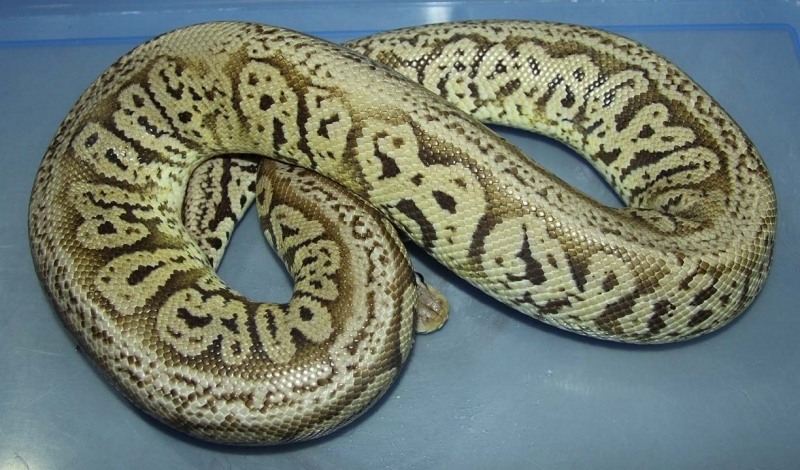 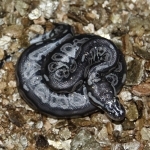 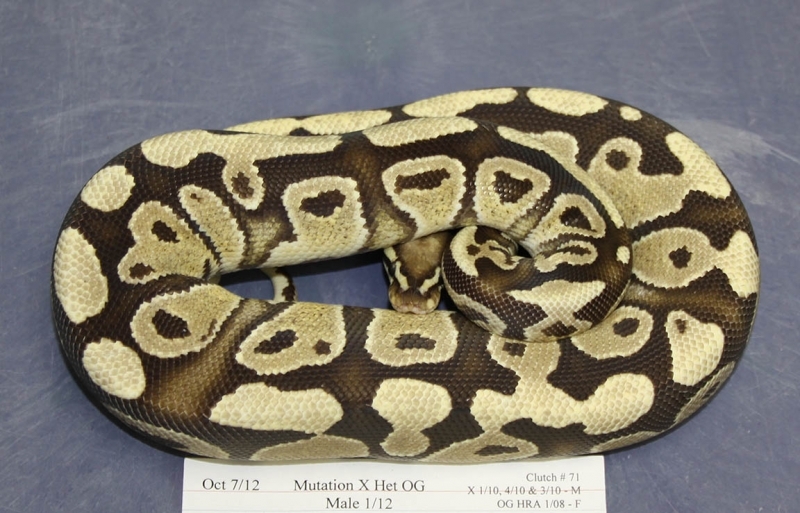 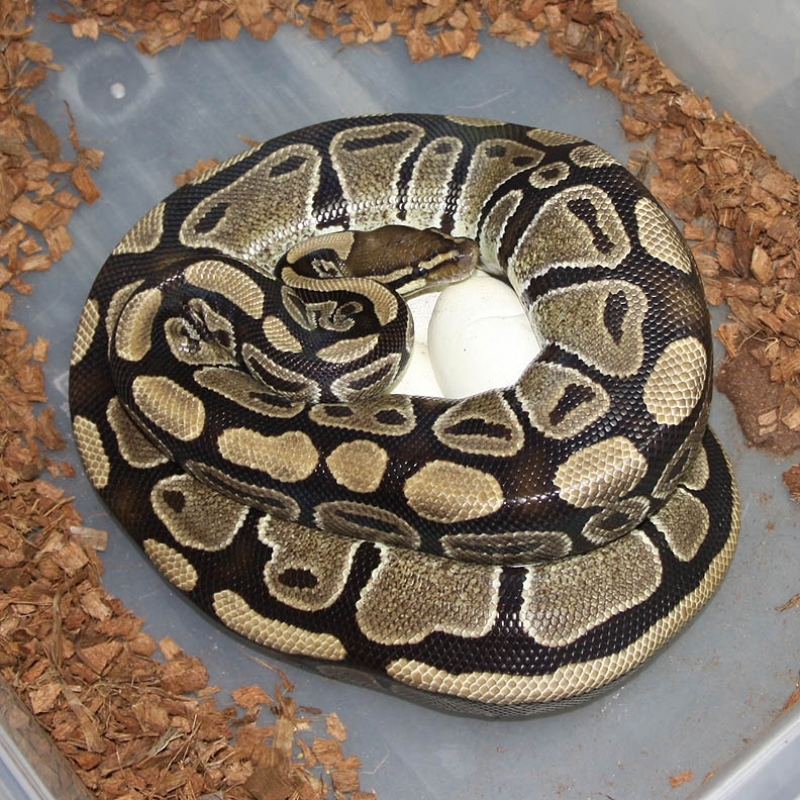 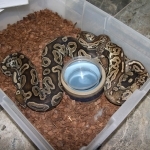 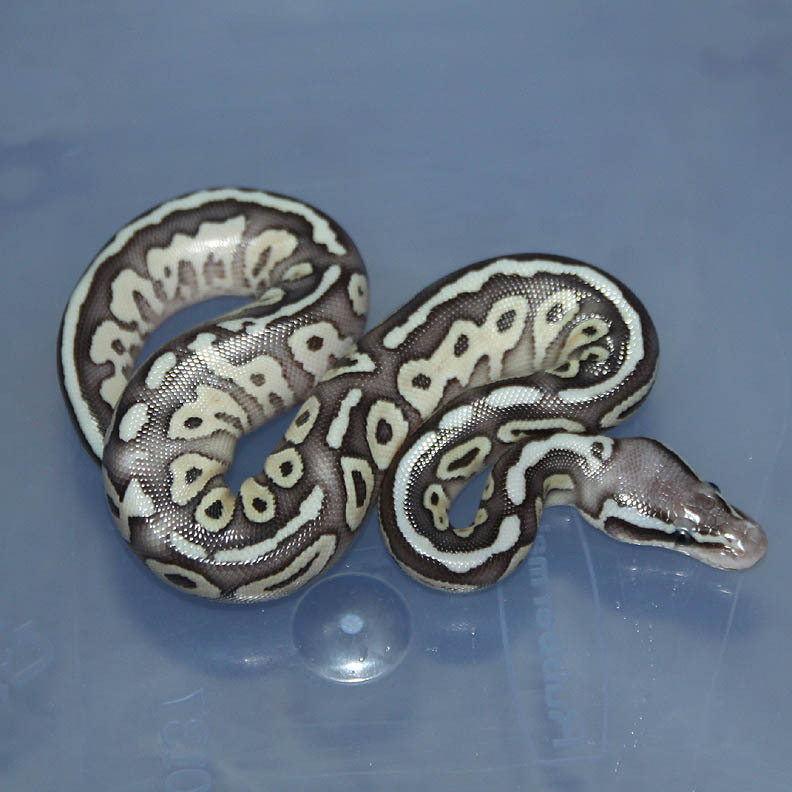 Description: Lesser Genetic Stripe HRA 1/12 x Pastel Het GS 2/08. 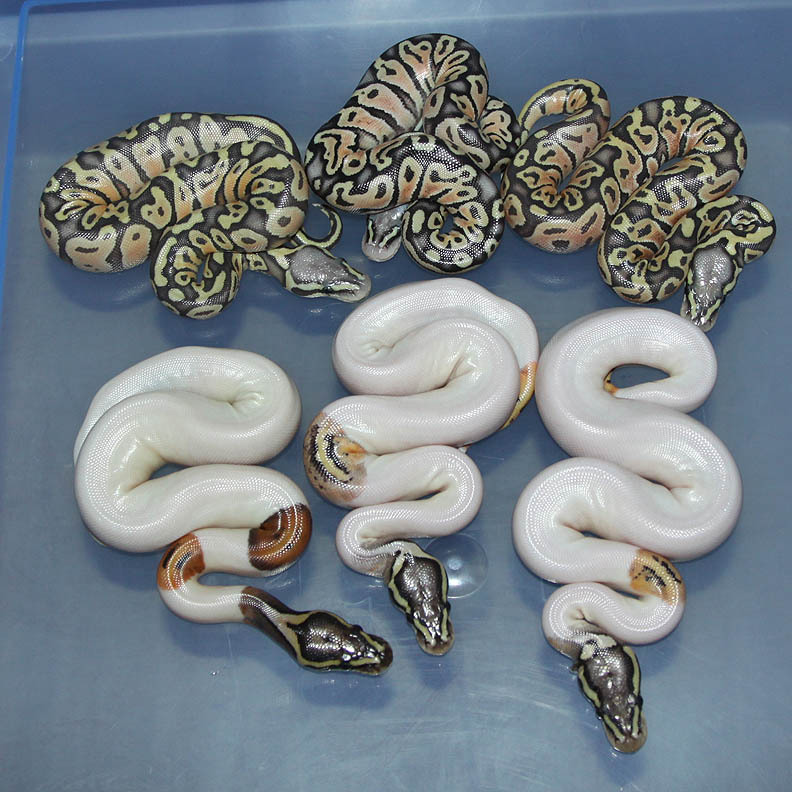 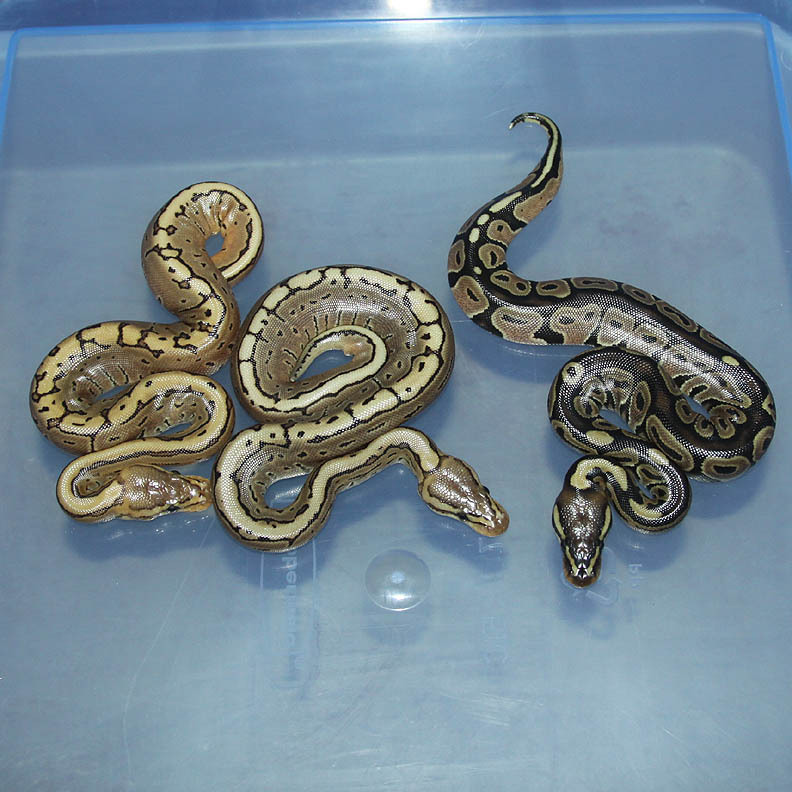 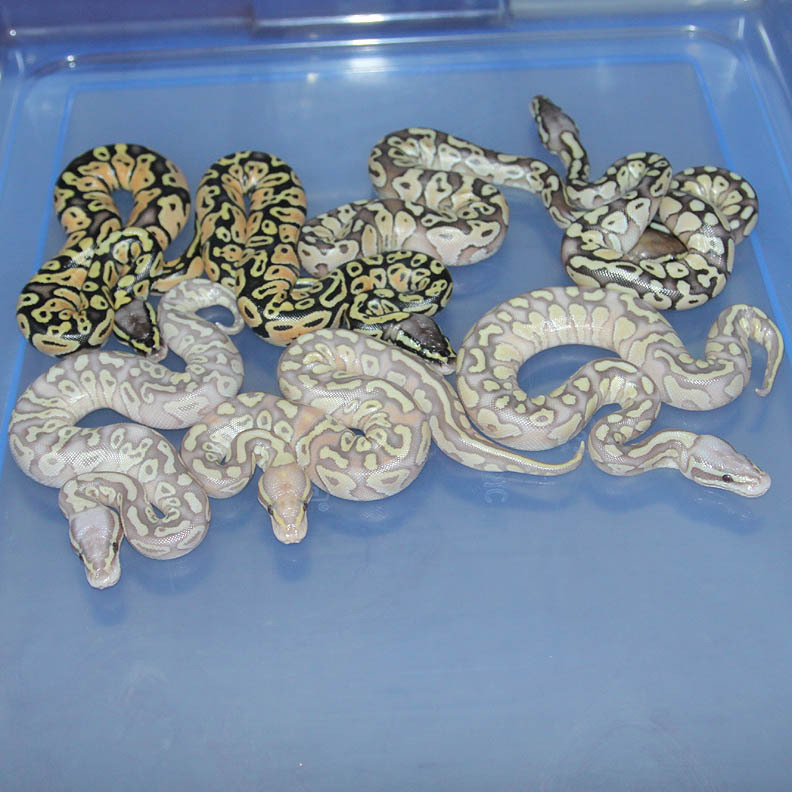 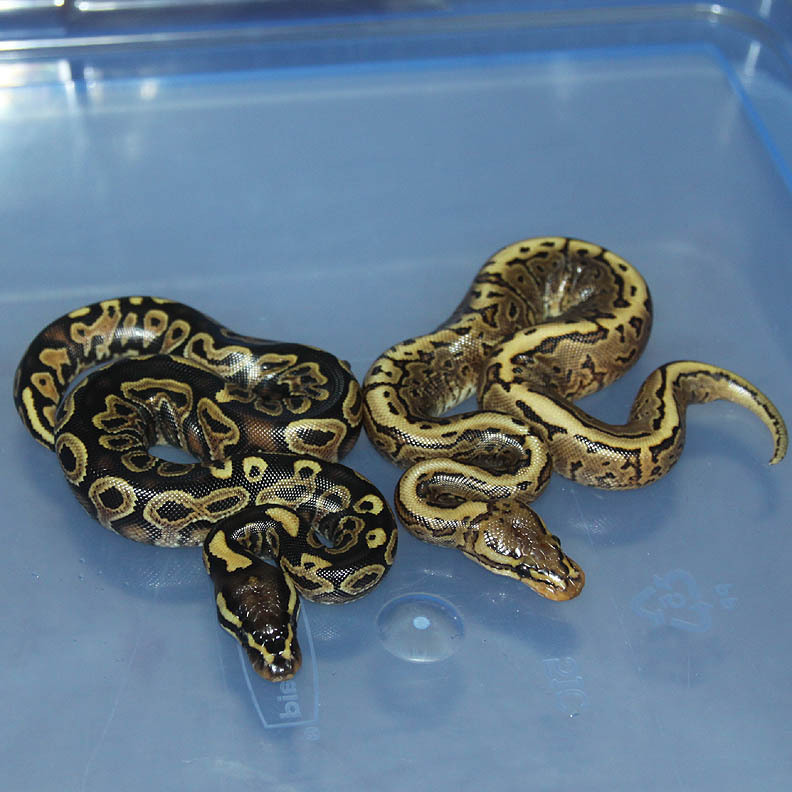 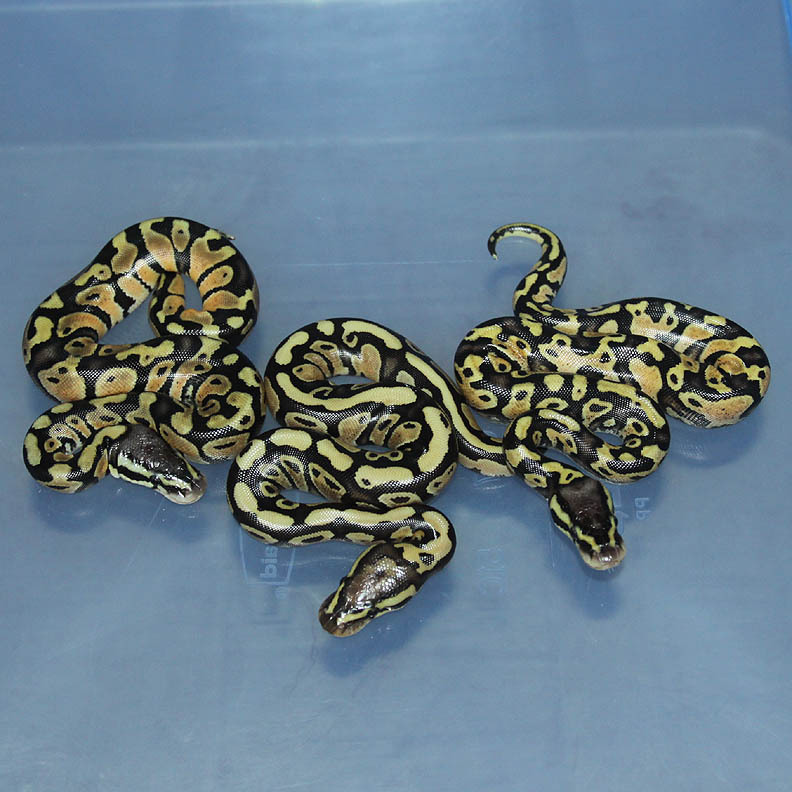 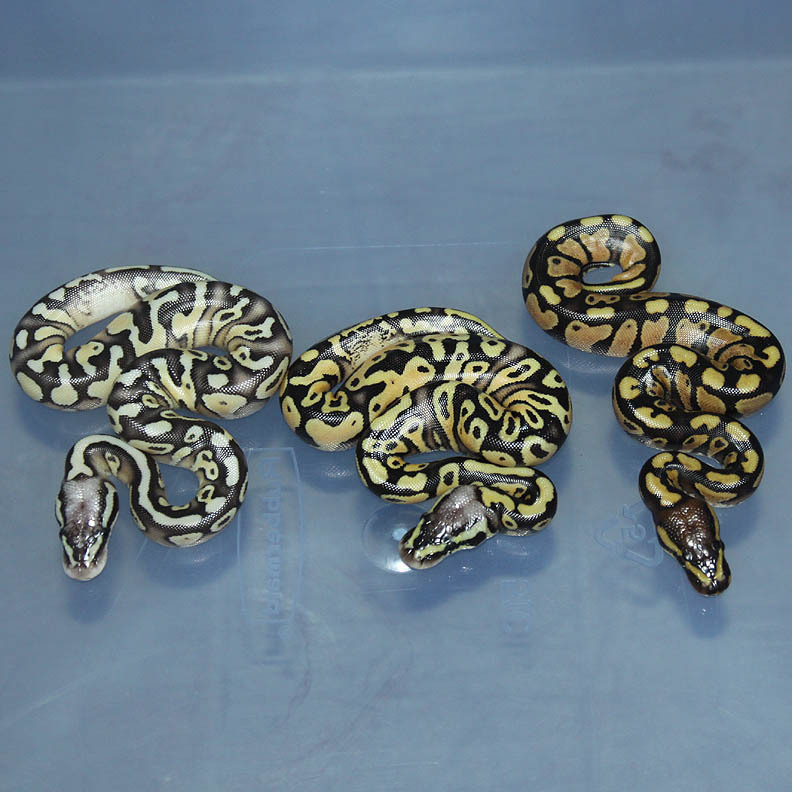 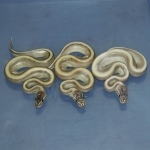 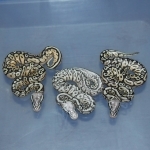 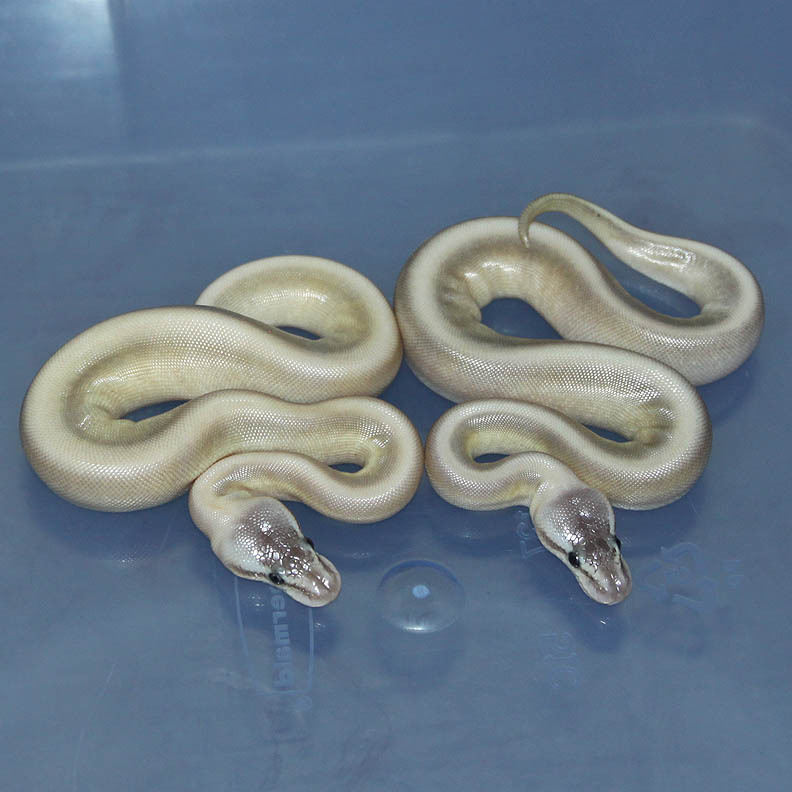 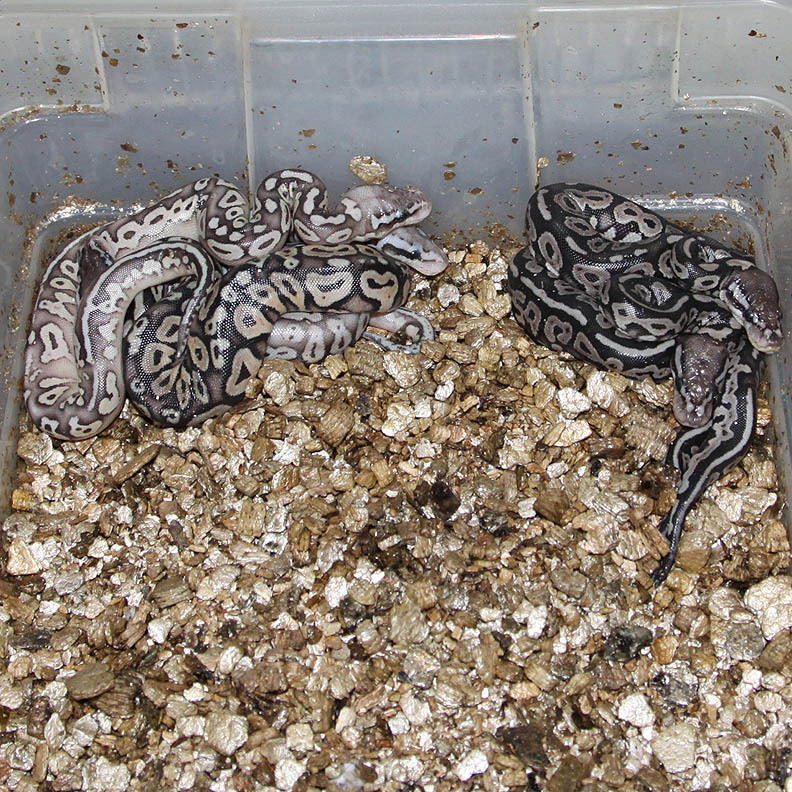 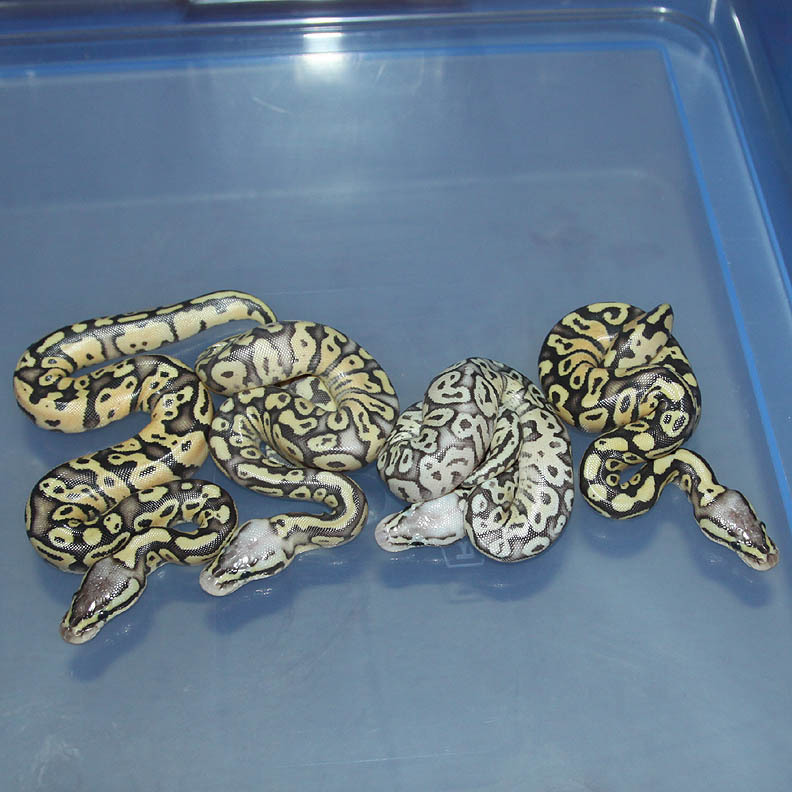 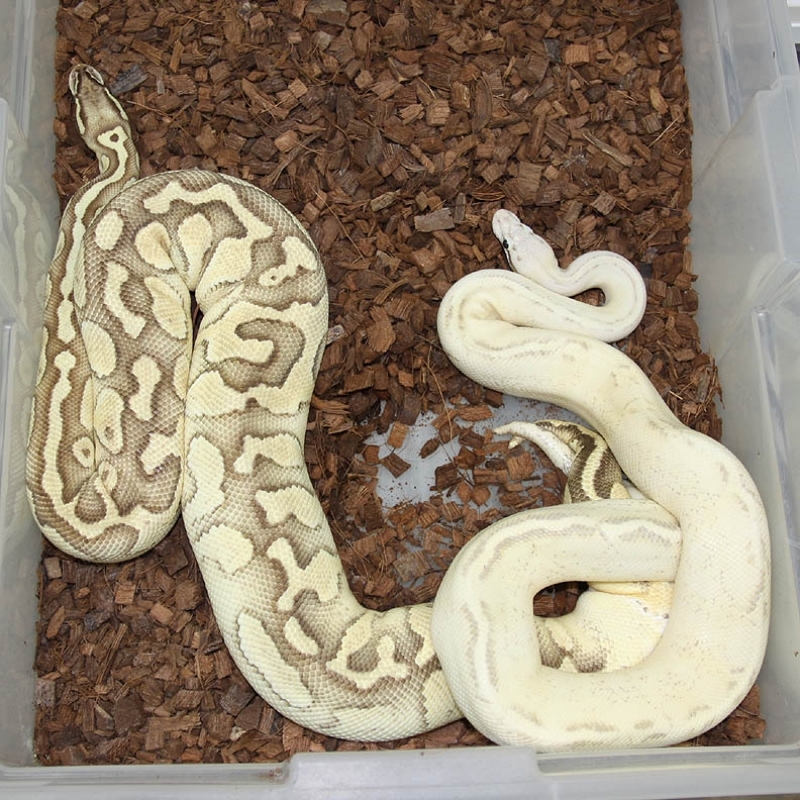 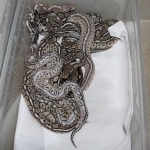 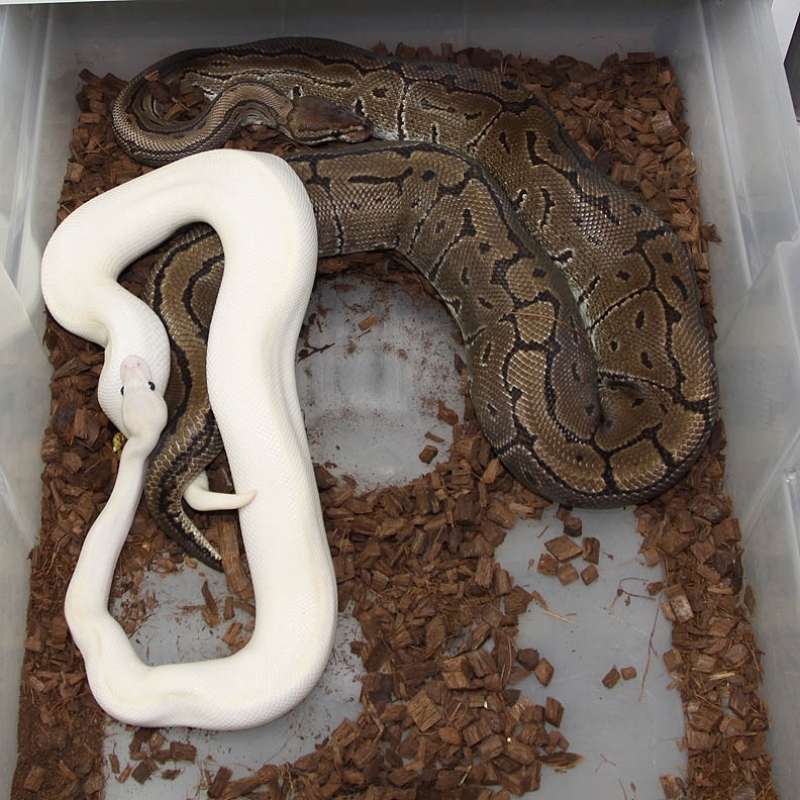 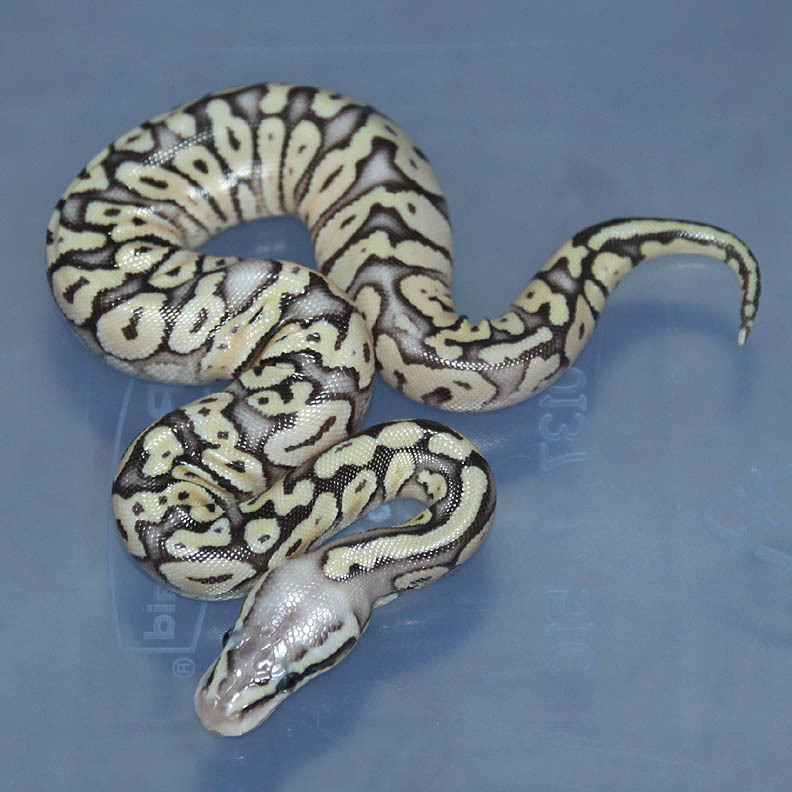 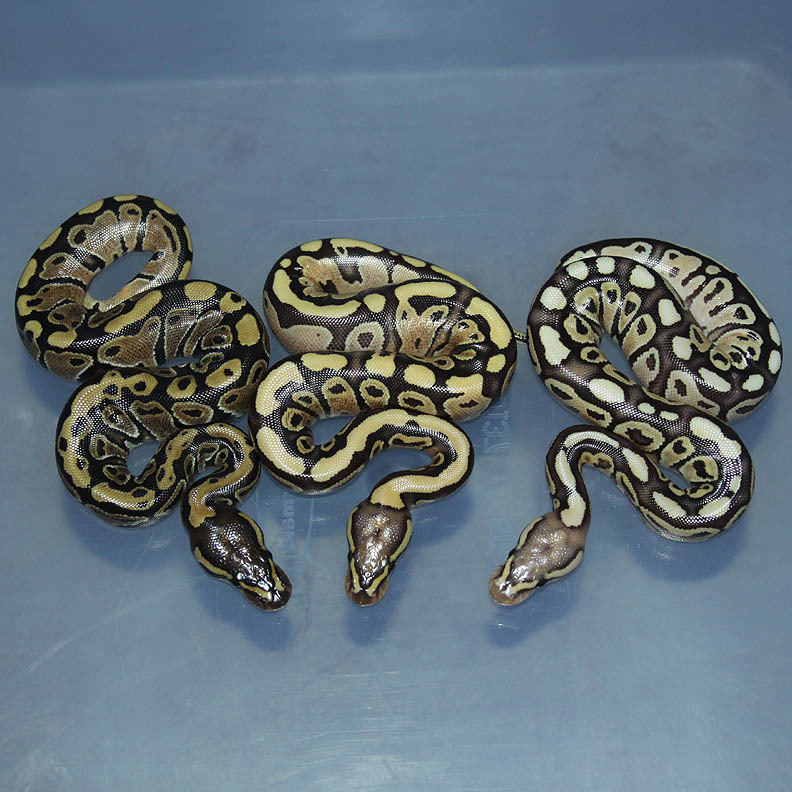 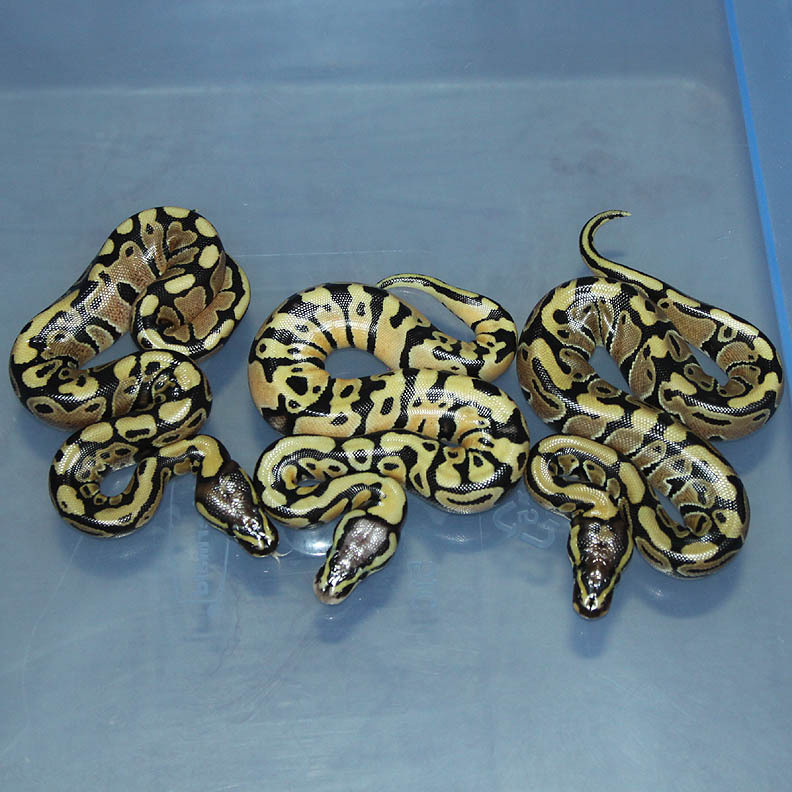 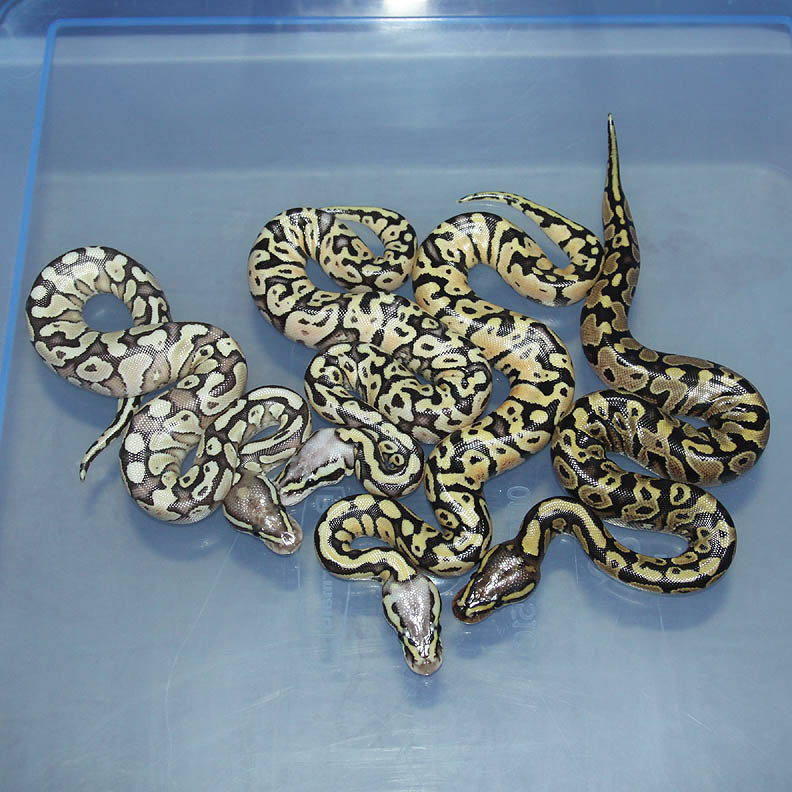 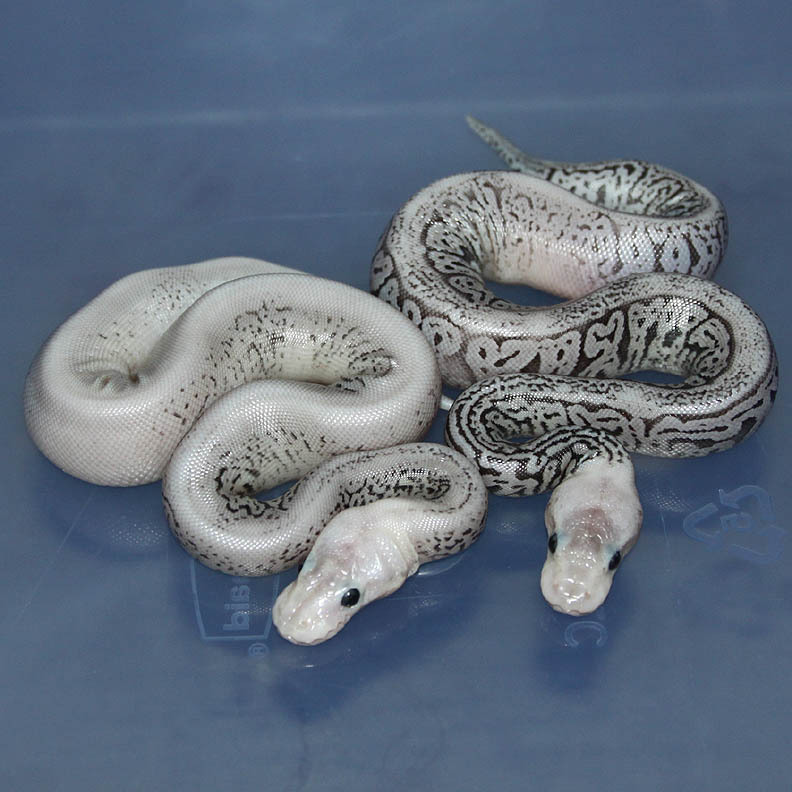 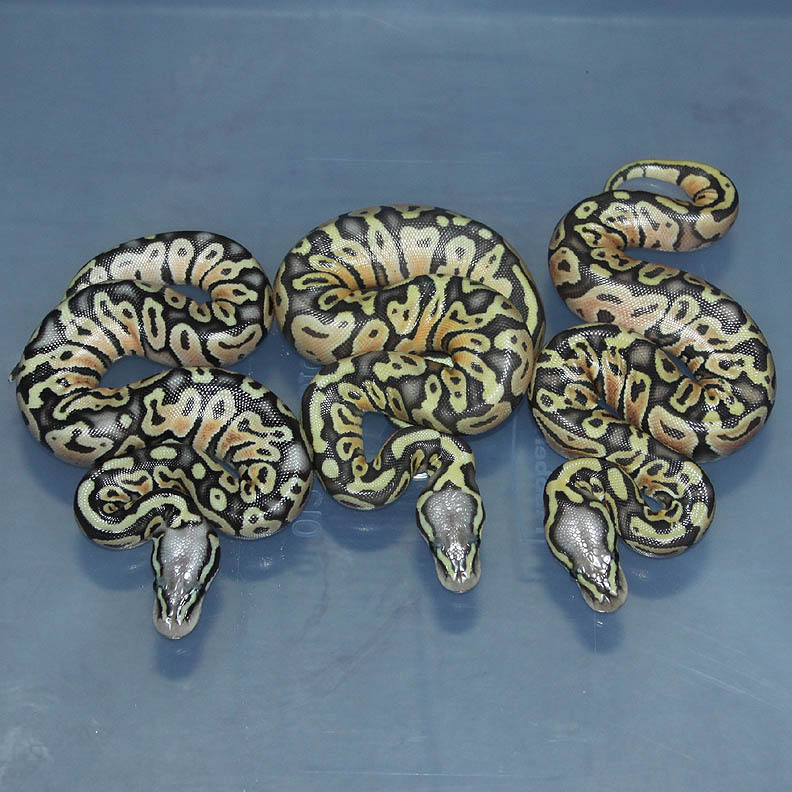 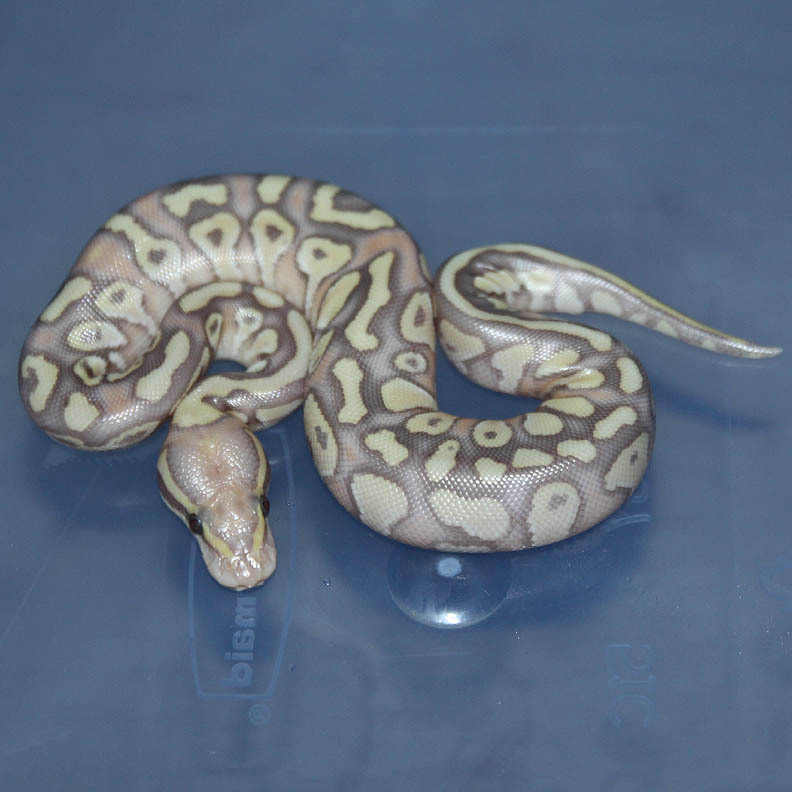 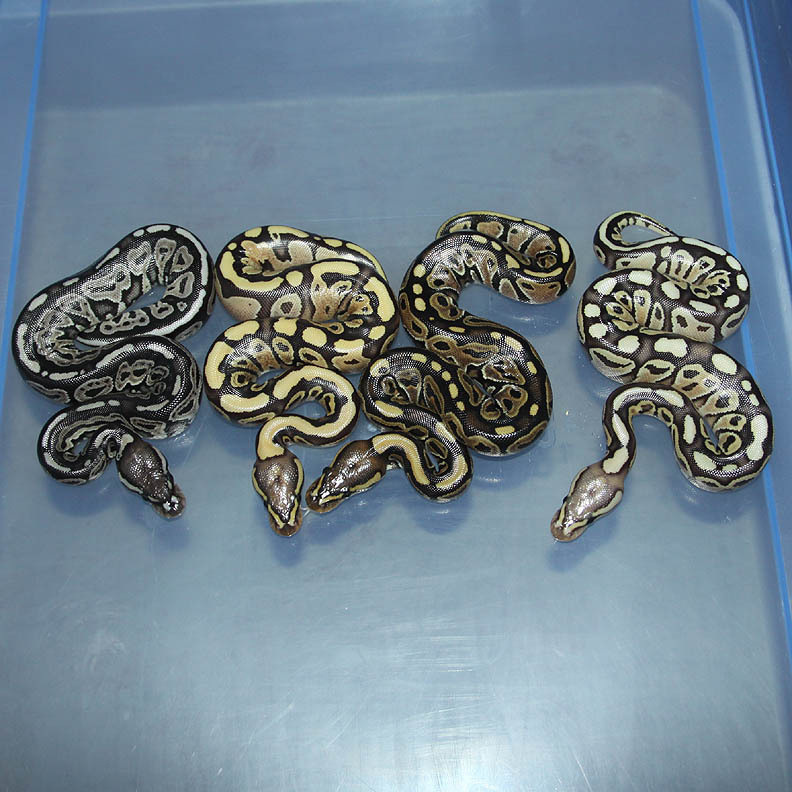 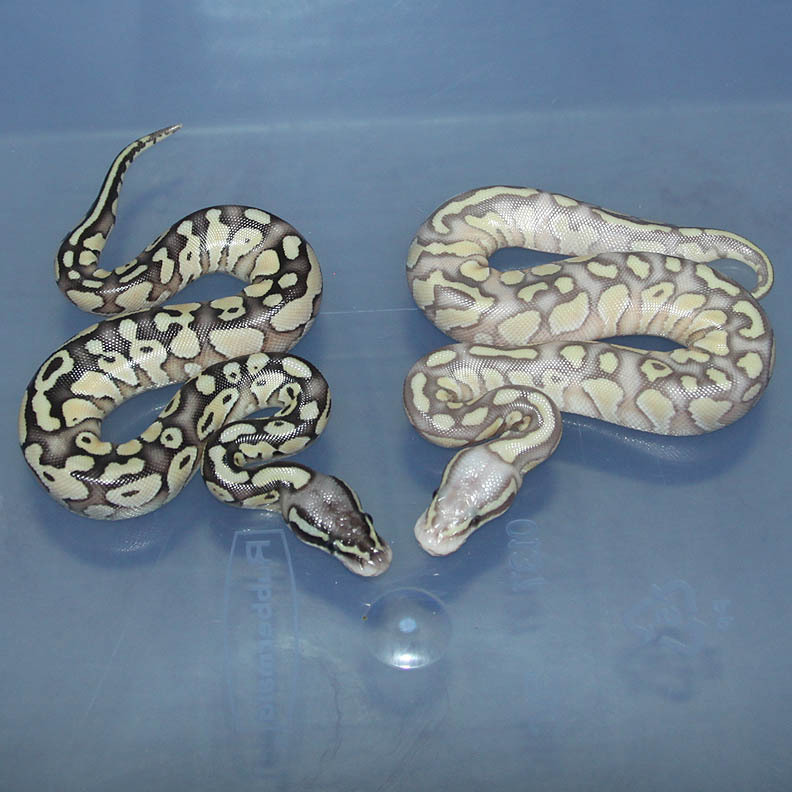 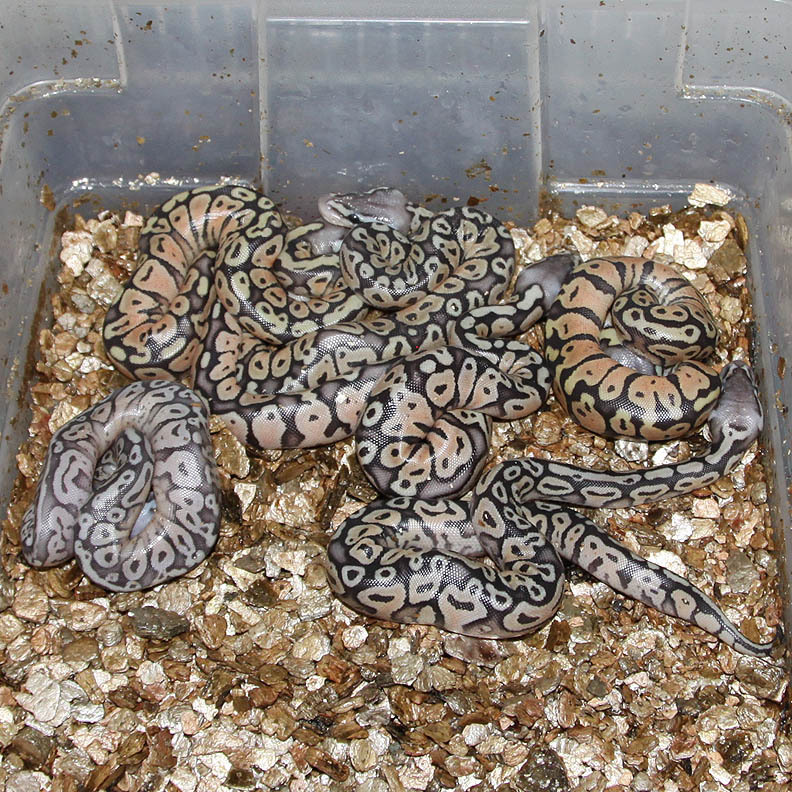 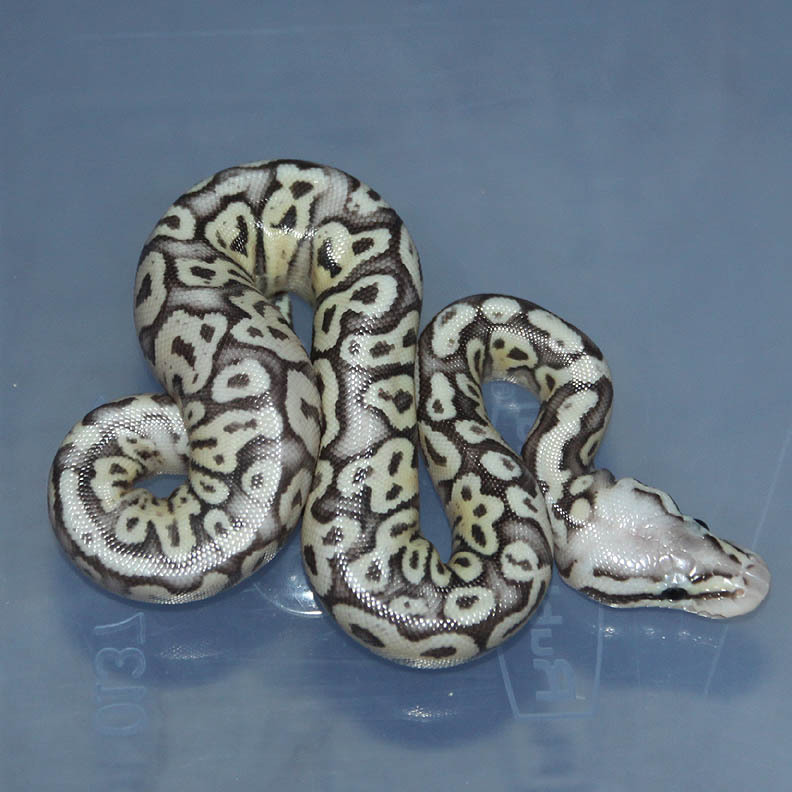 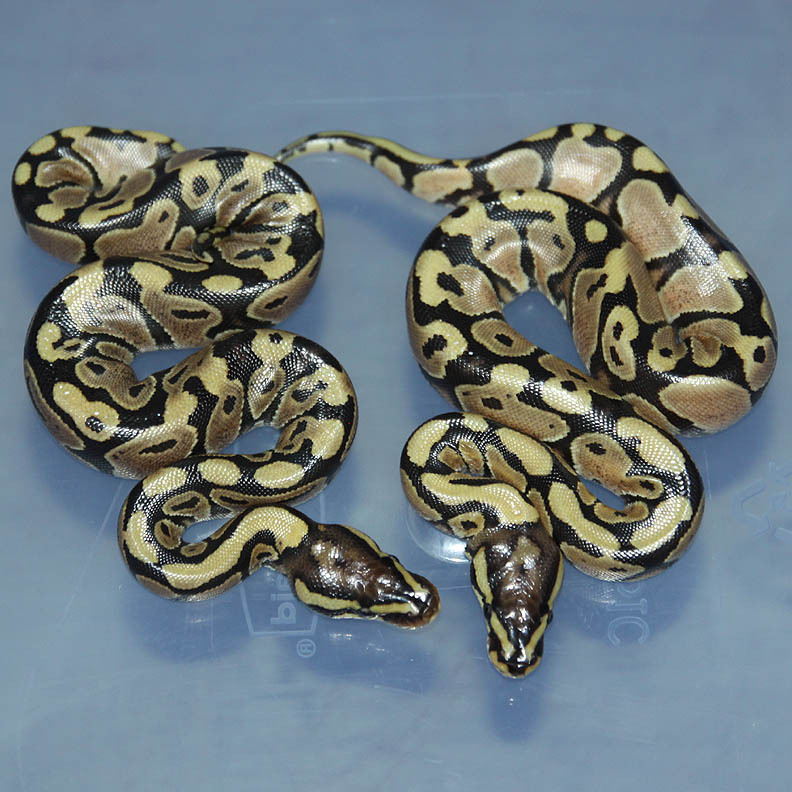 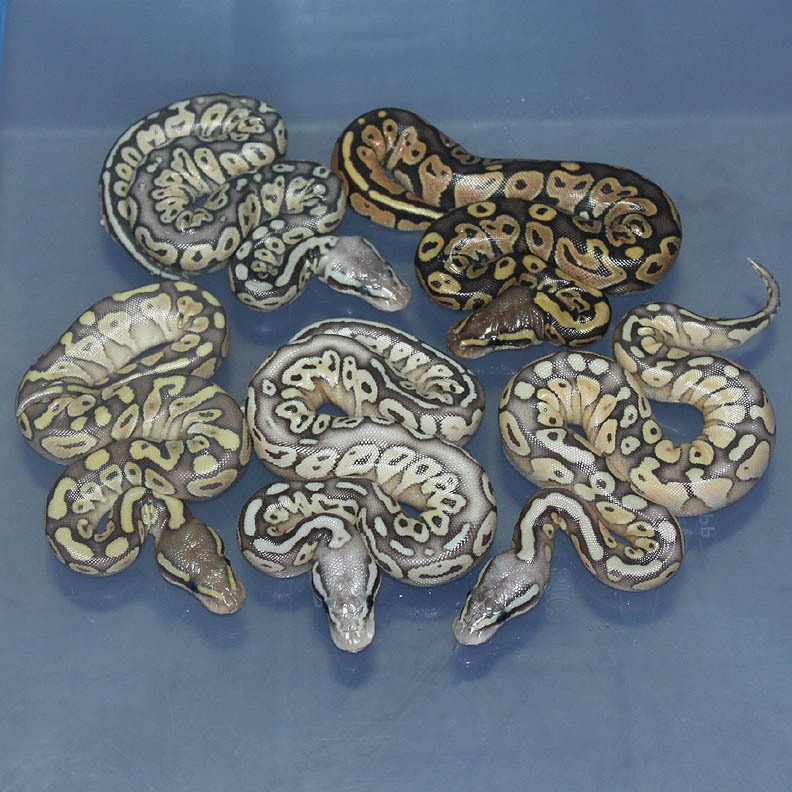 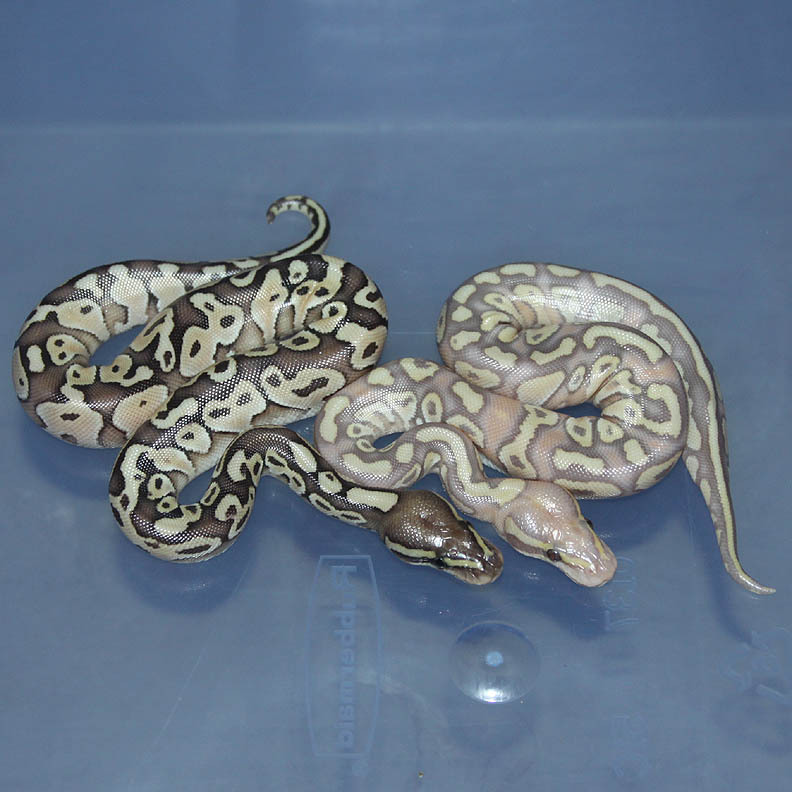 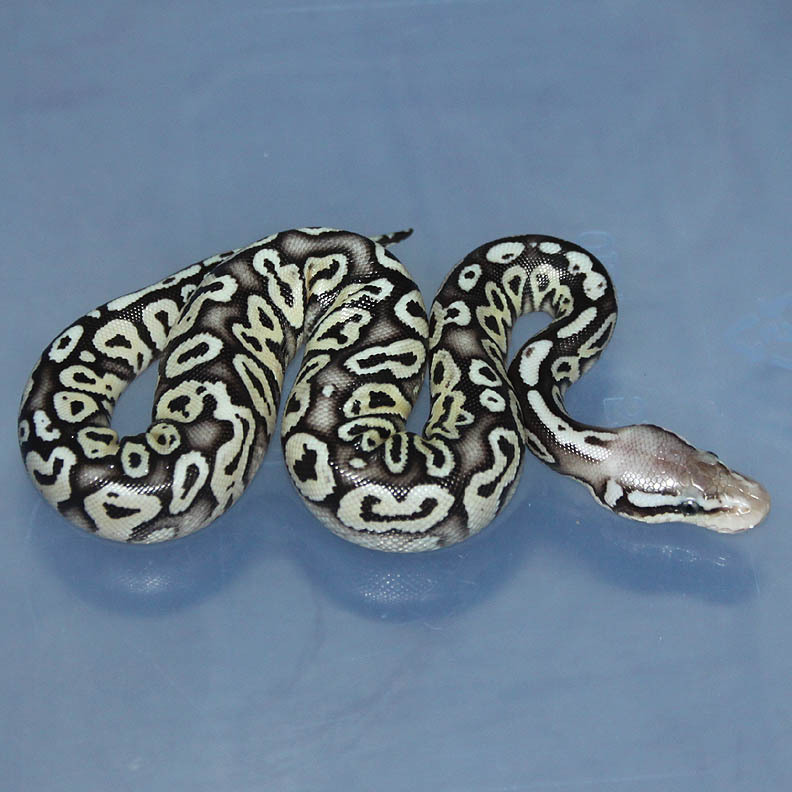 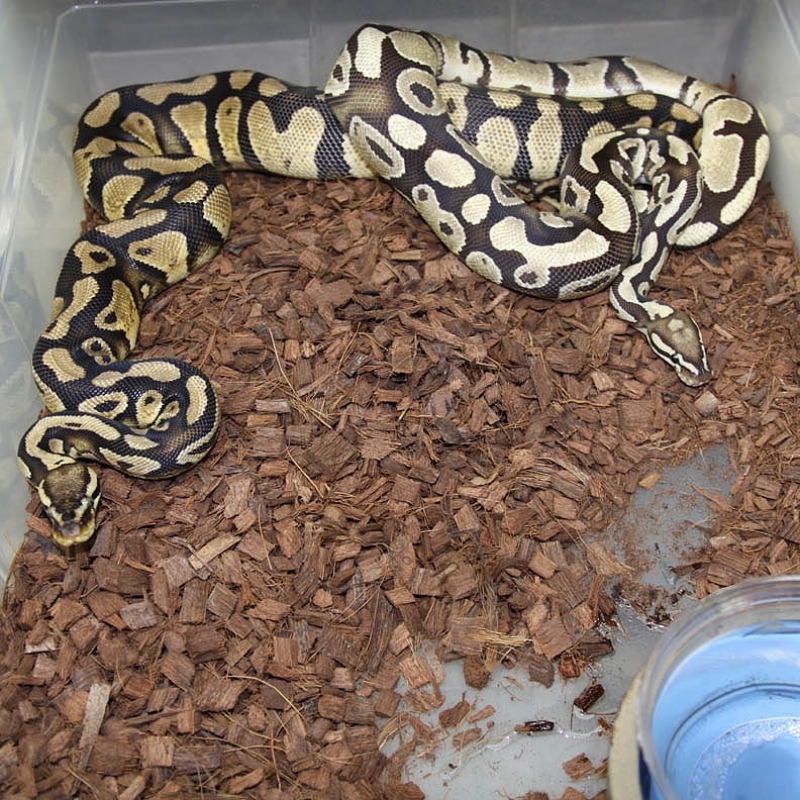 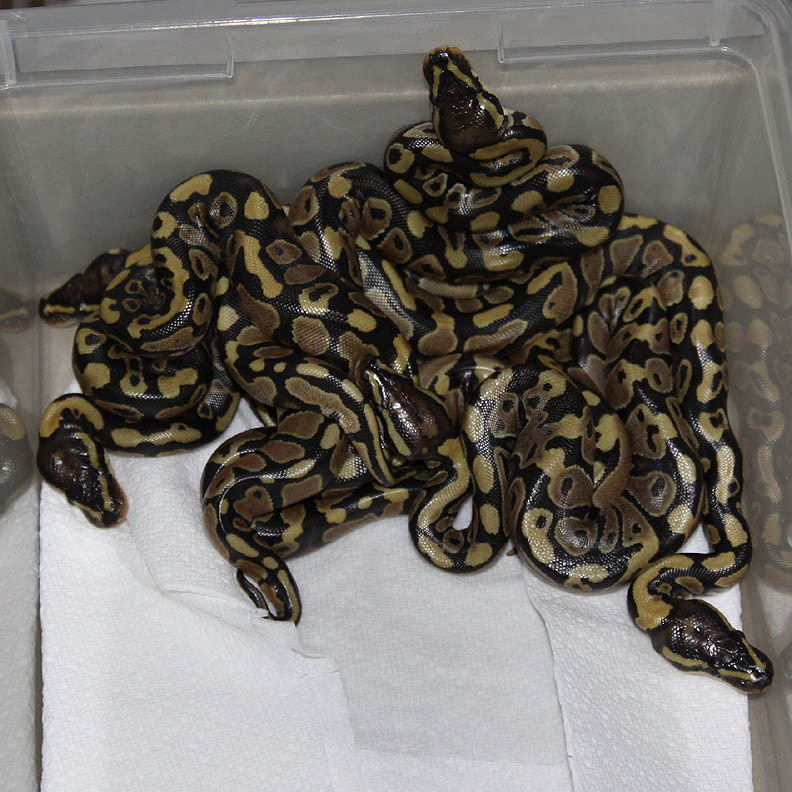 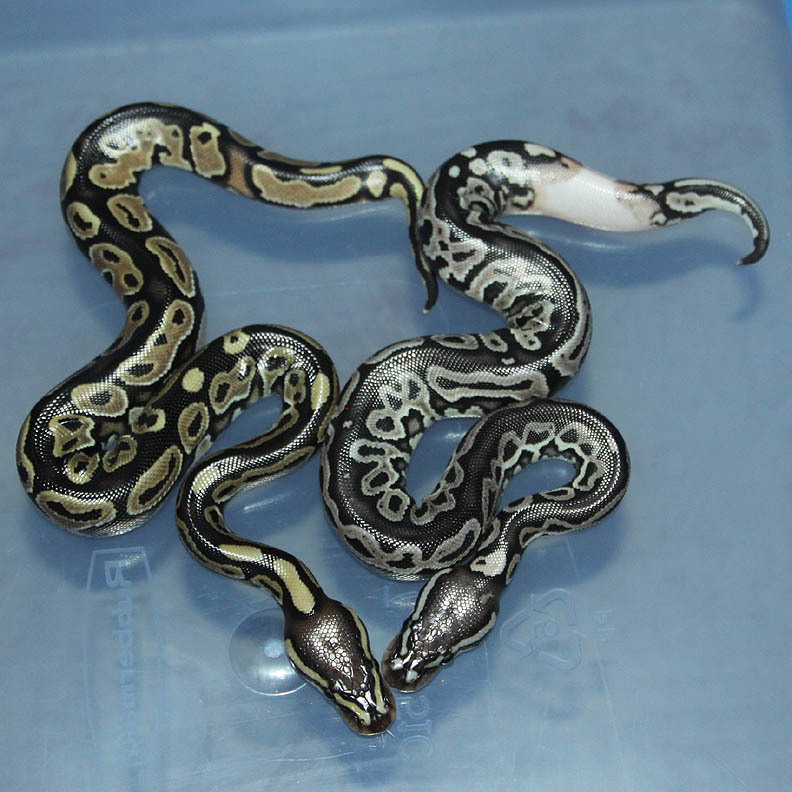 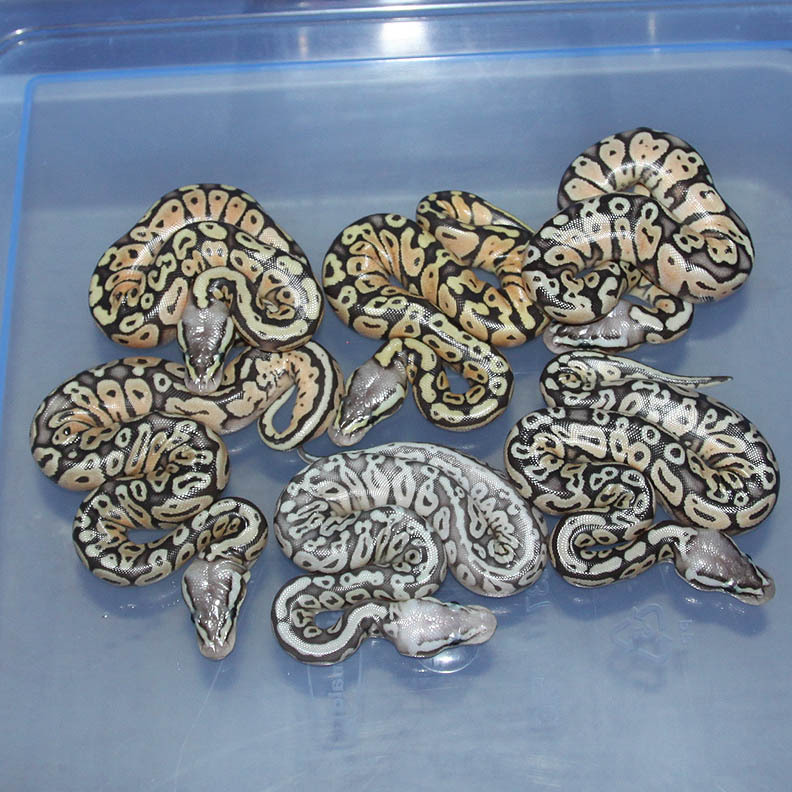 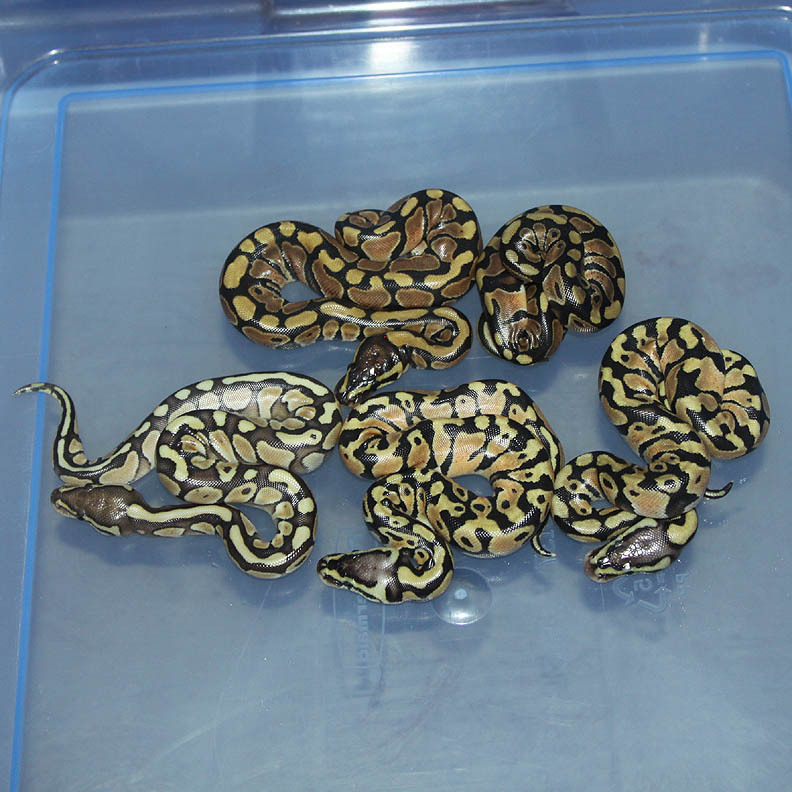 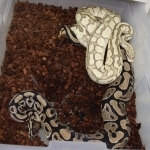 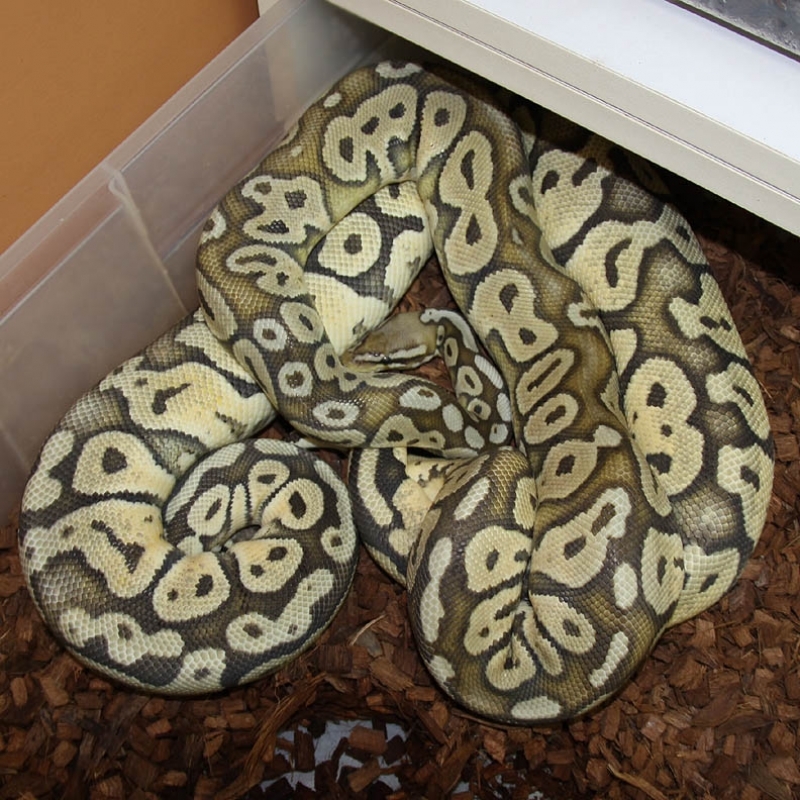 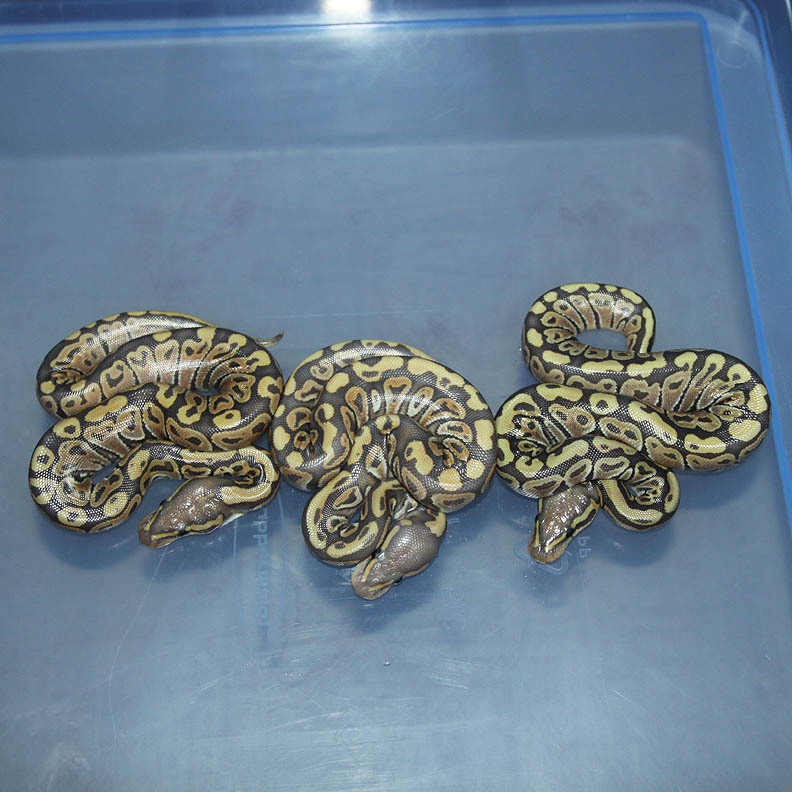 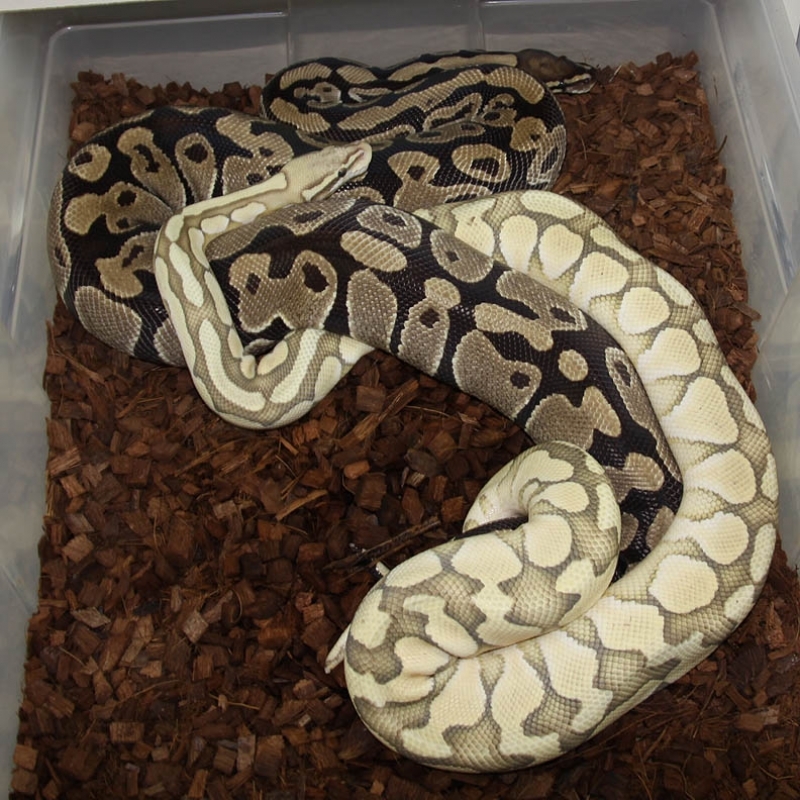 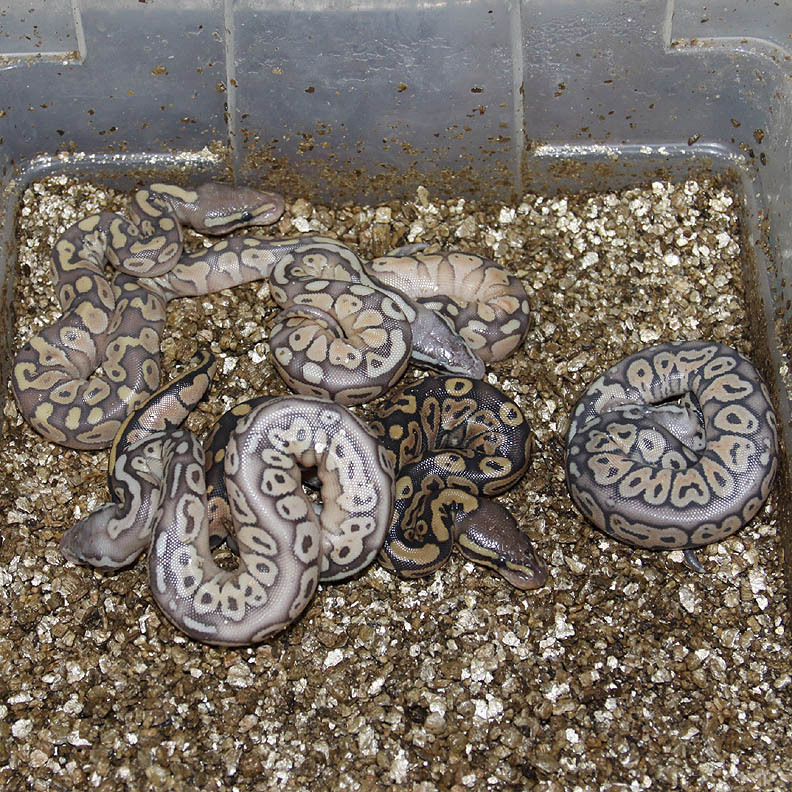 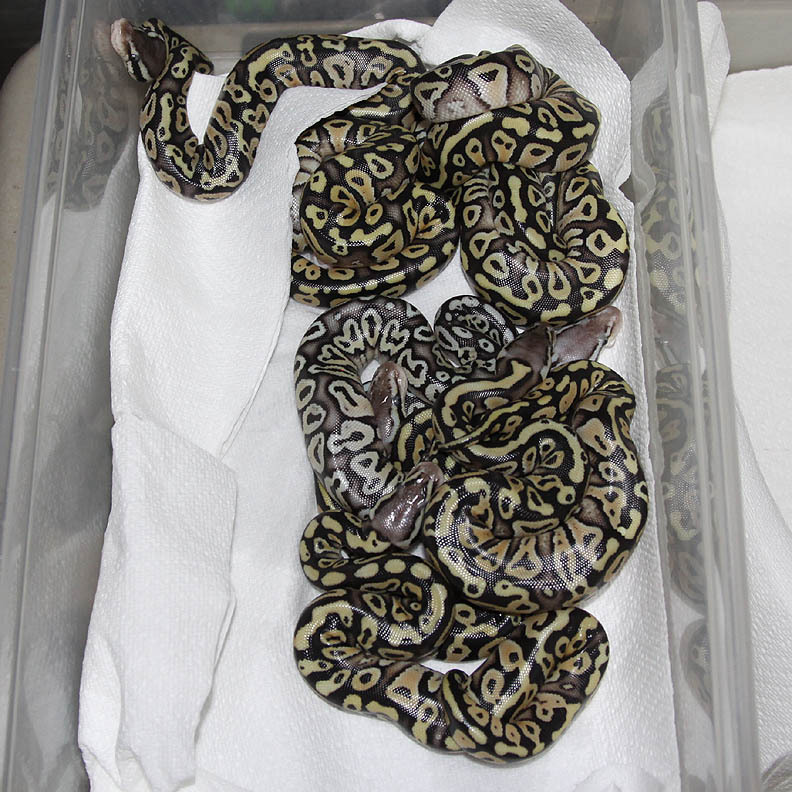 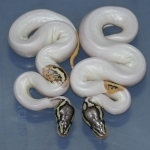 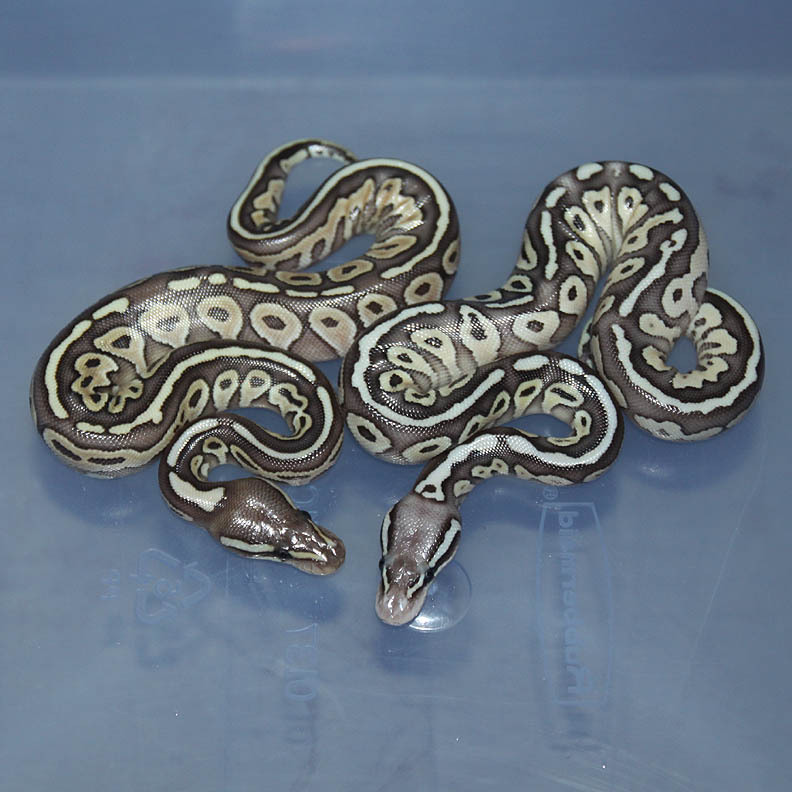 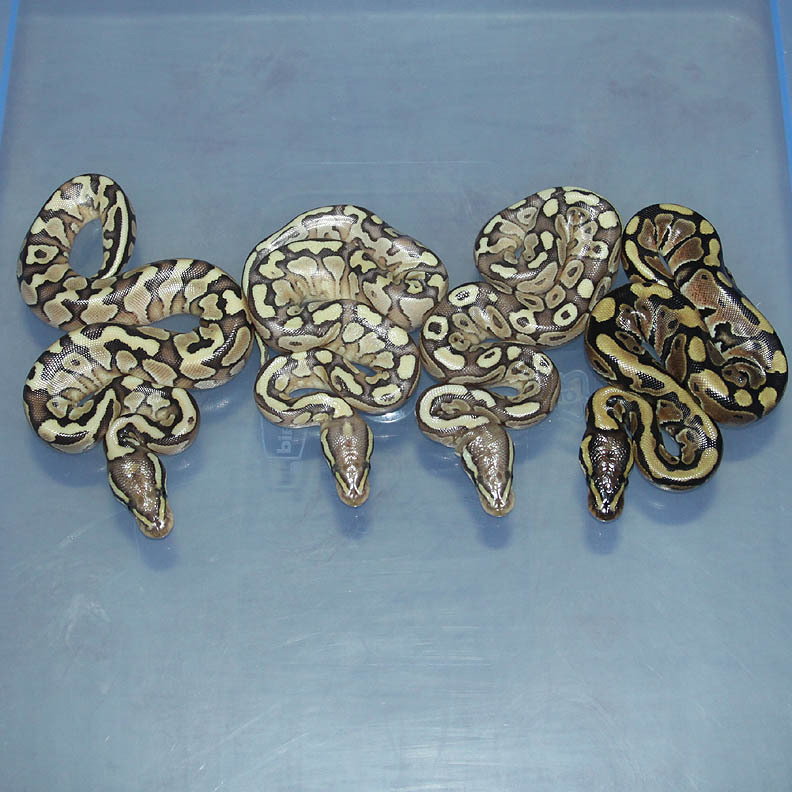 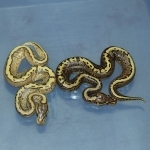 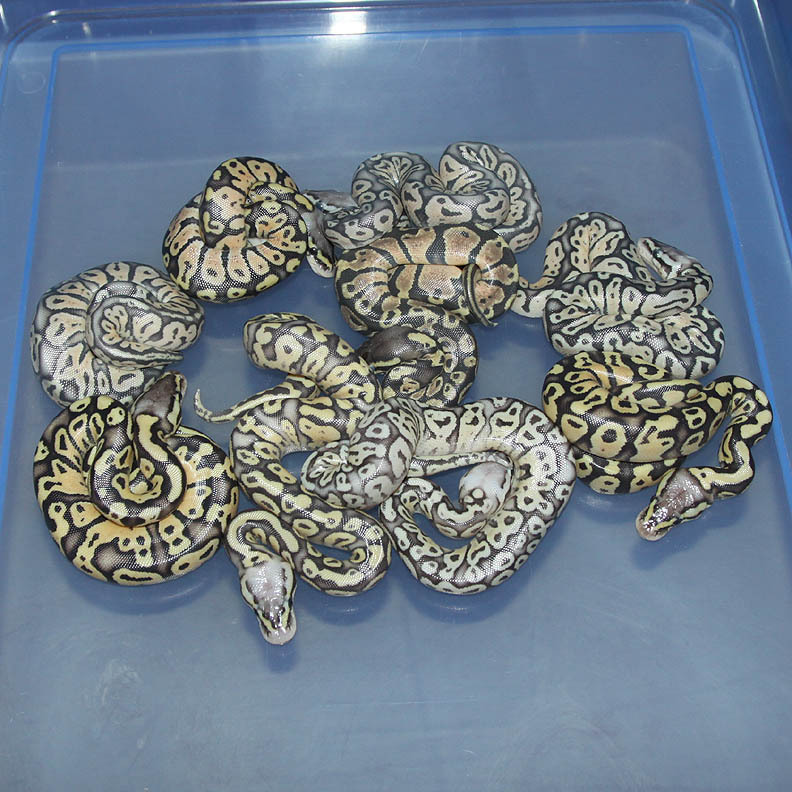 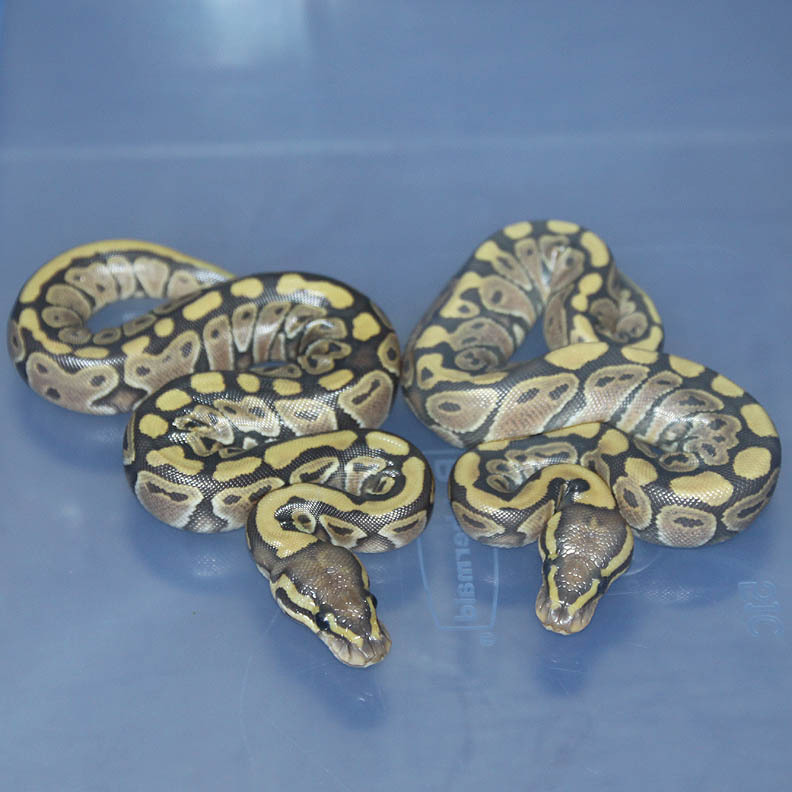 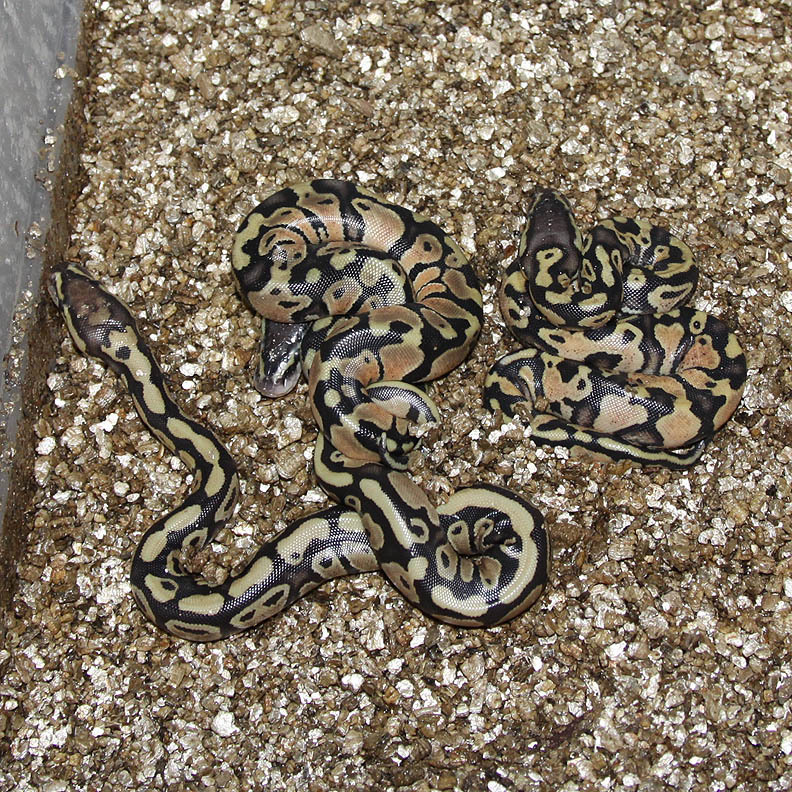 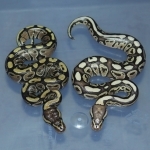 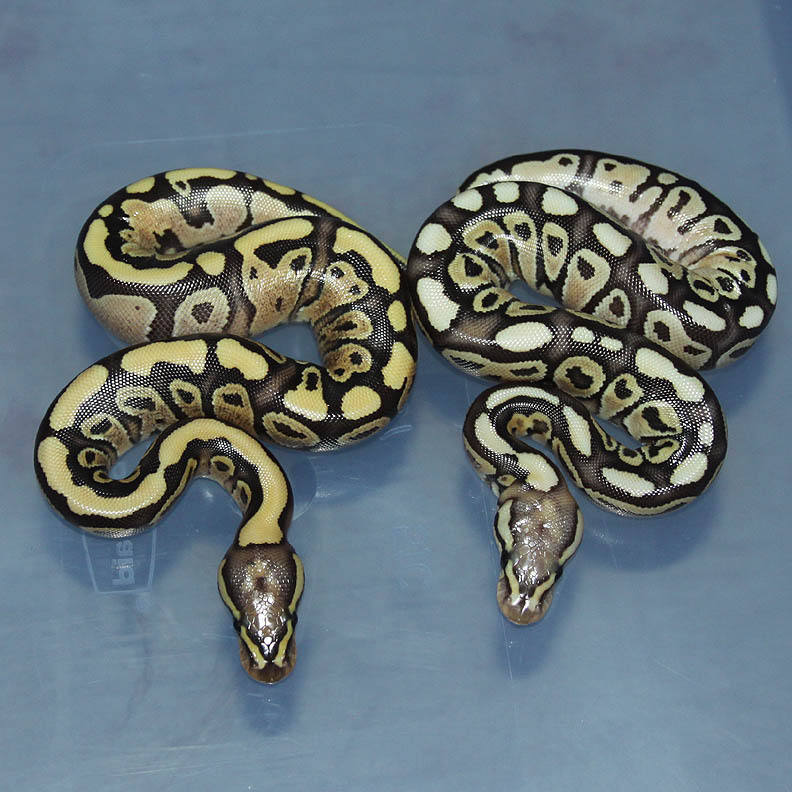 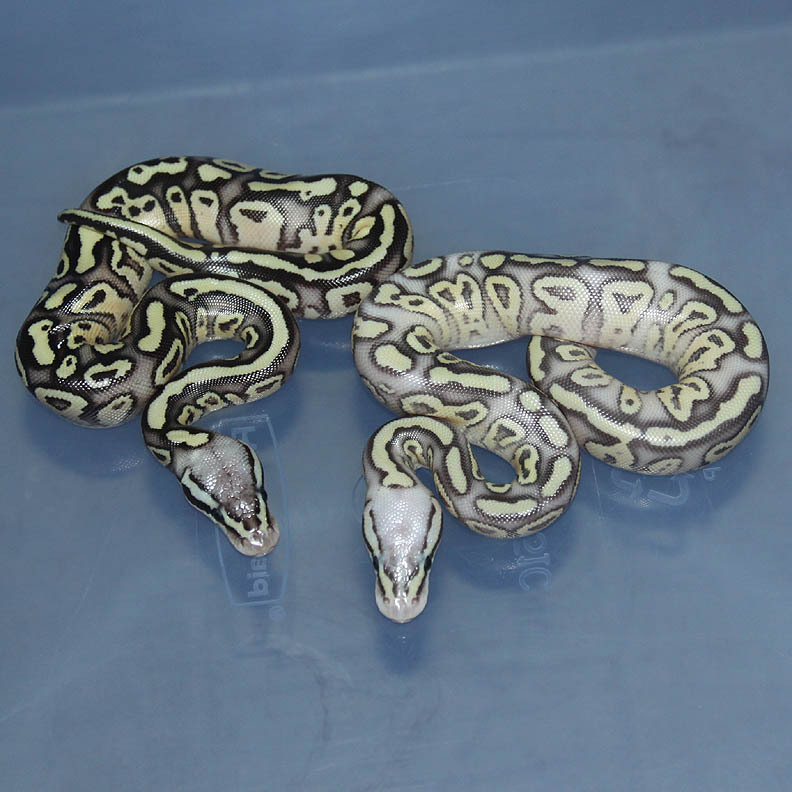 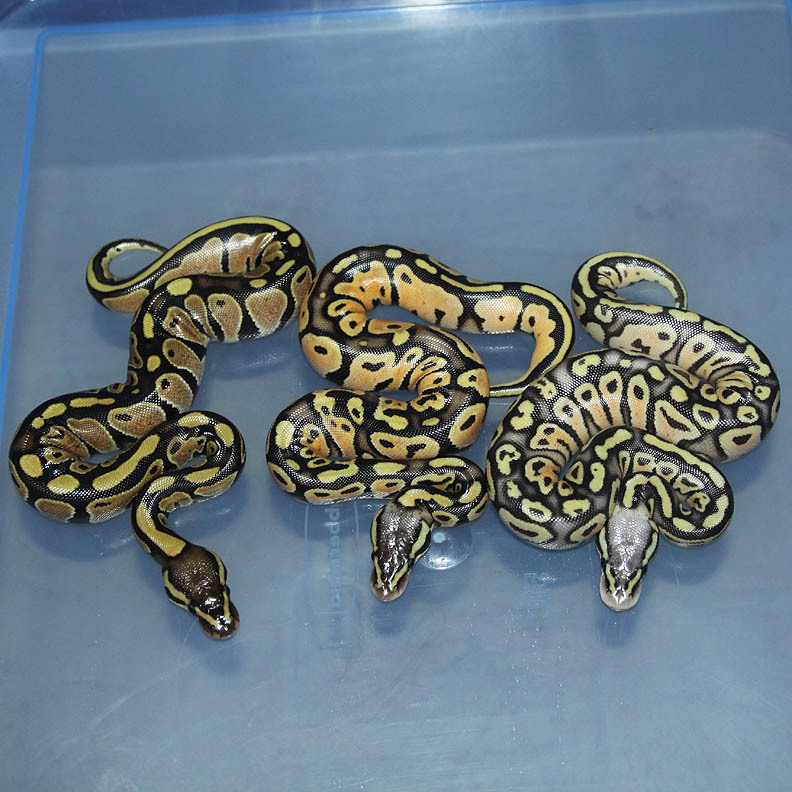 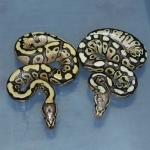 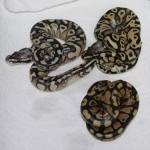 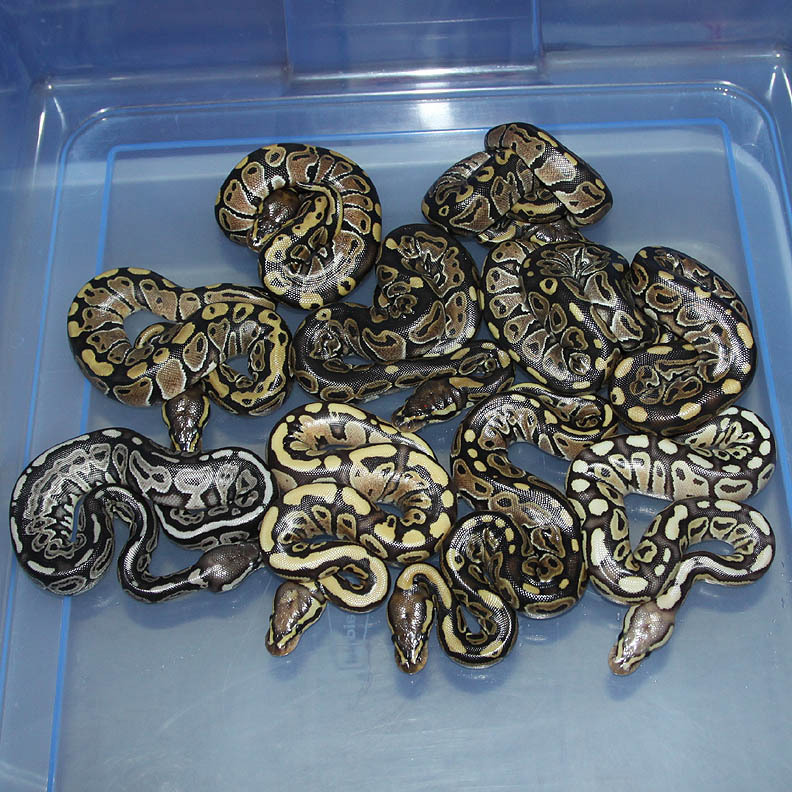 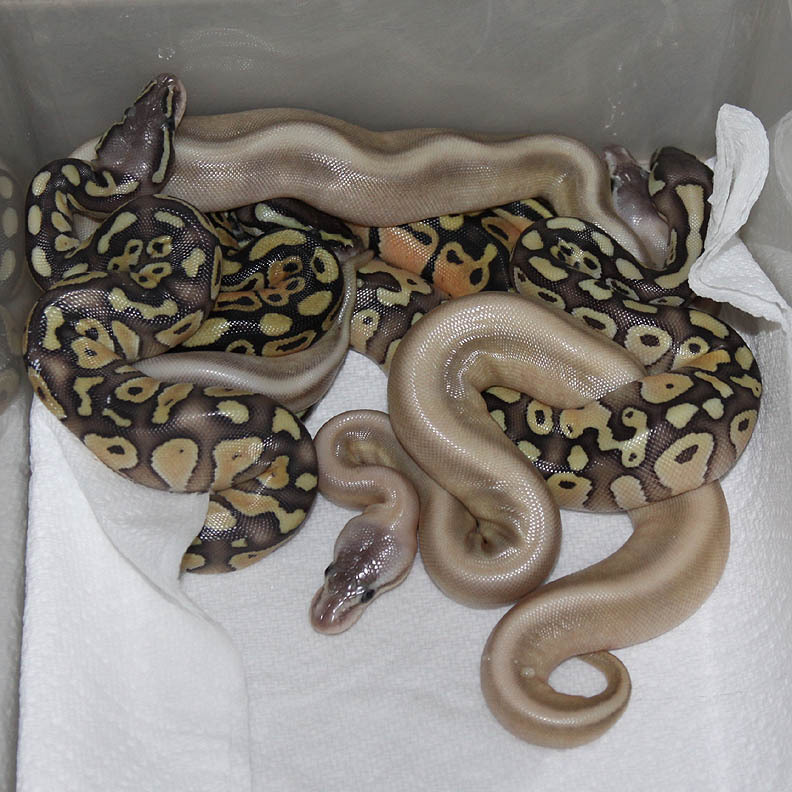 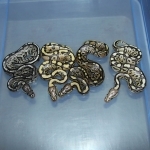 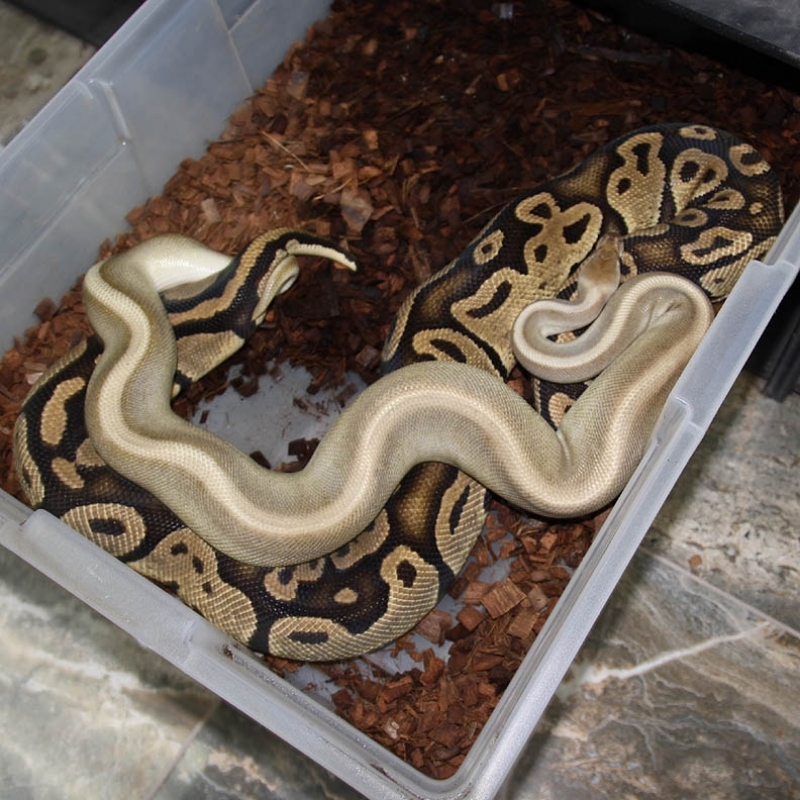 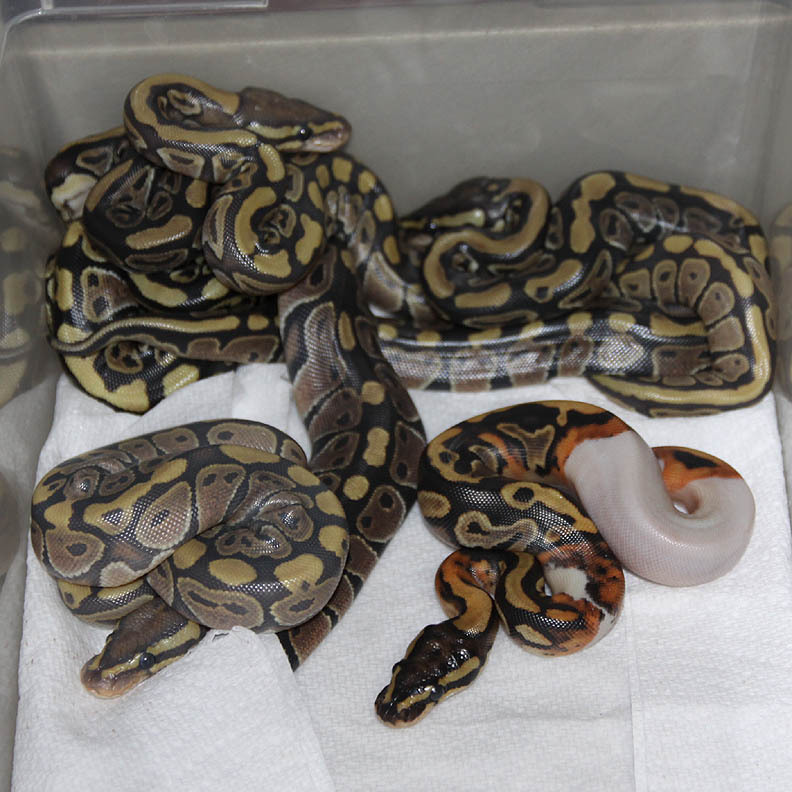 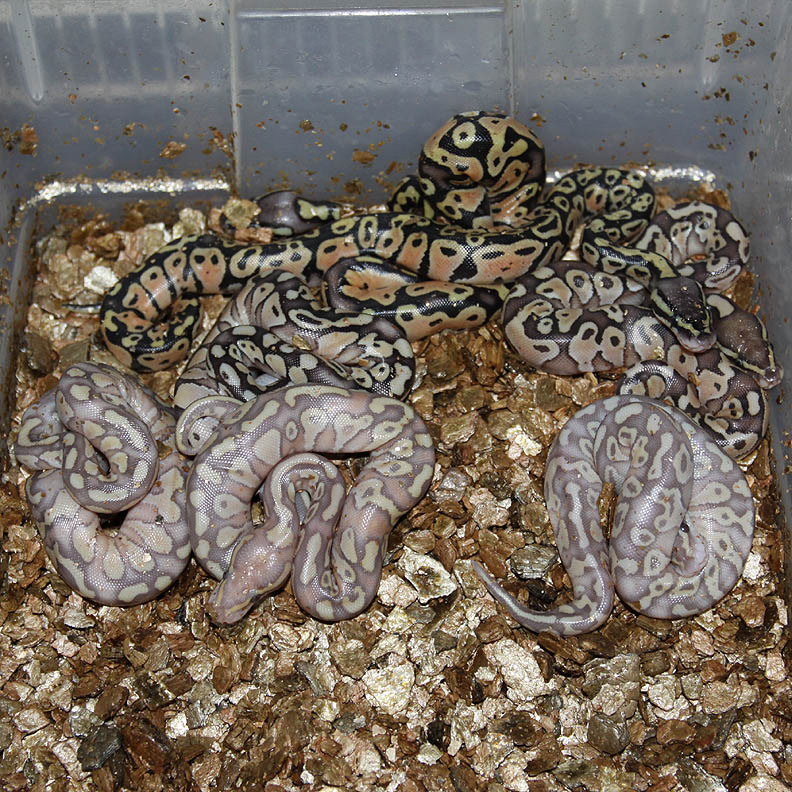 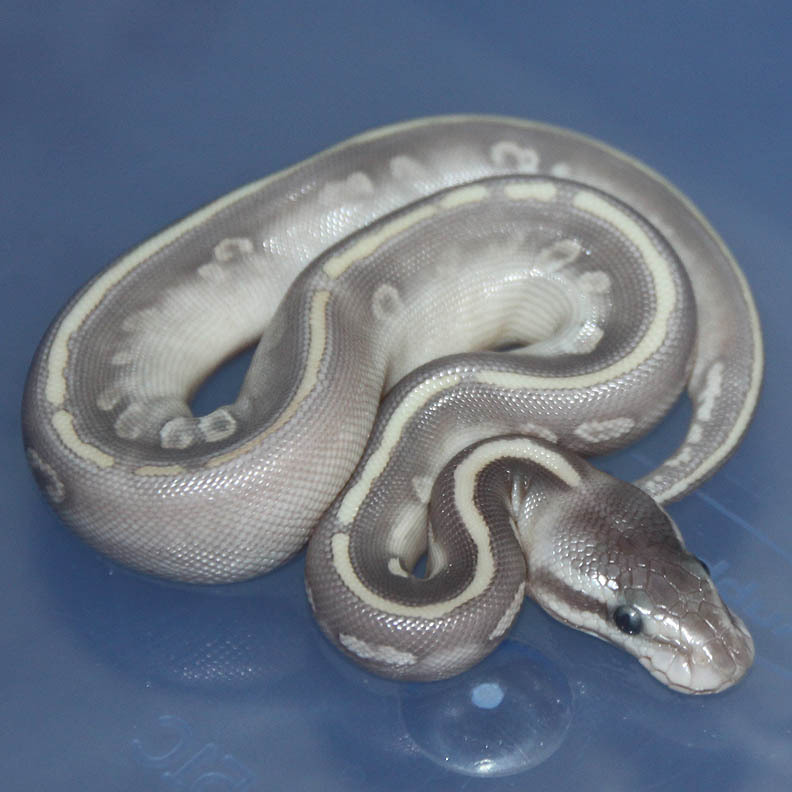 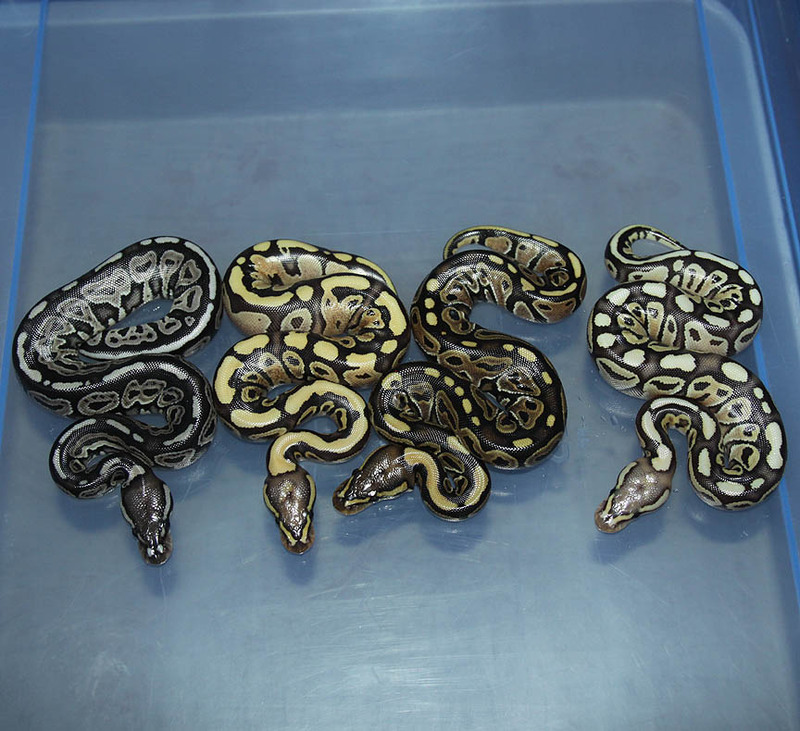 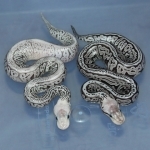 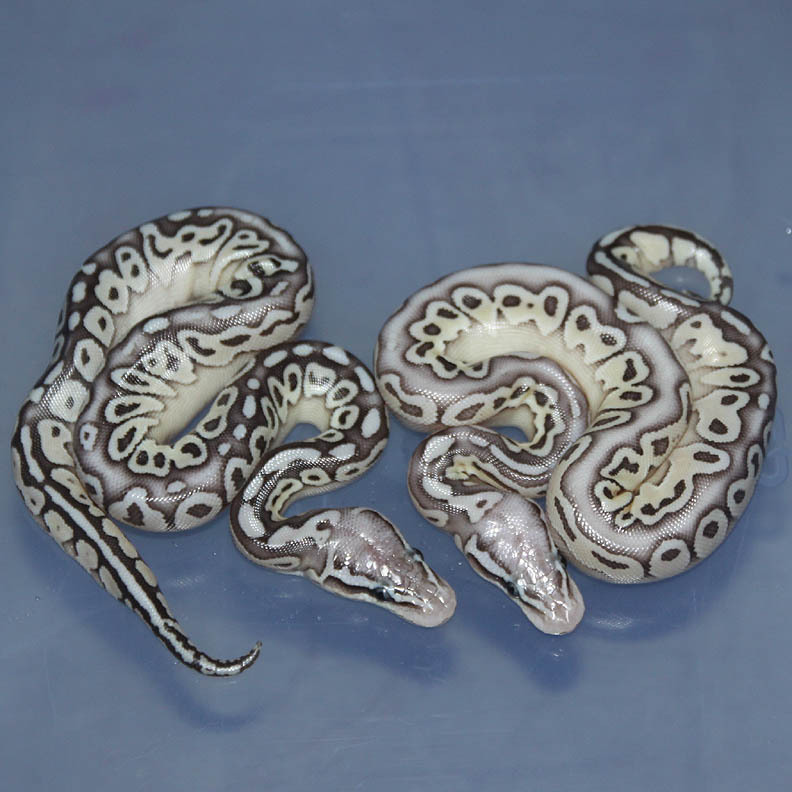 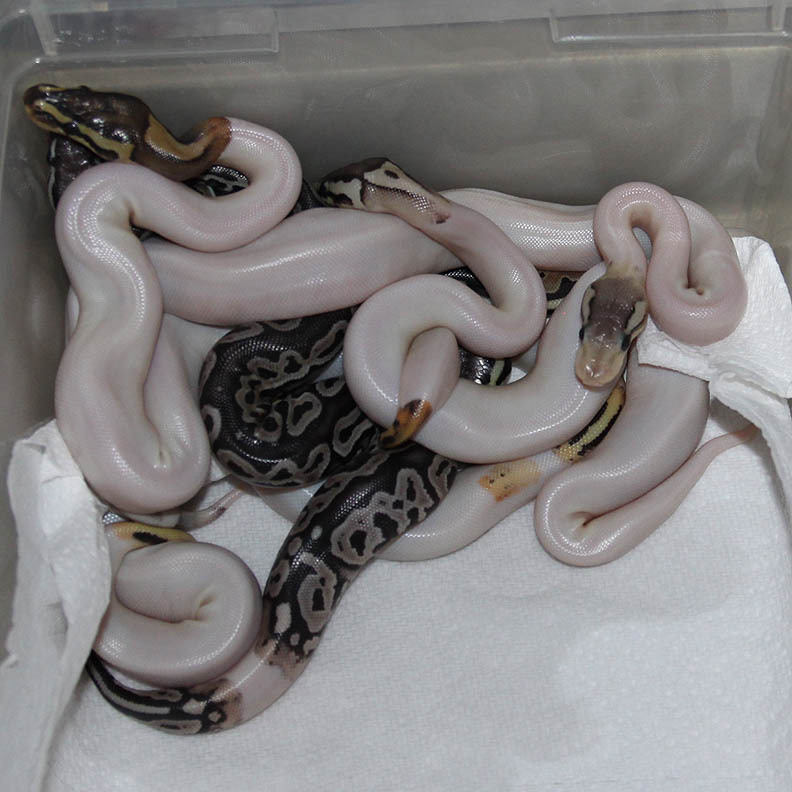 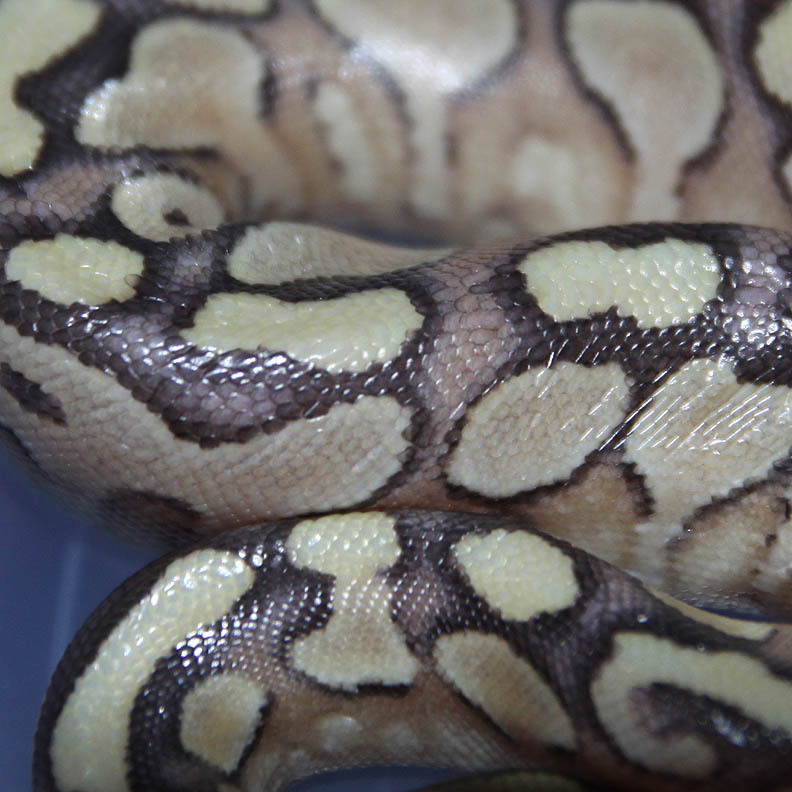 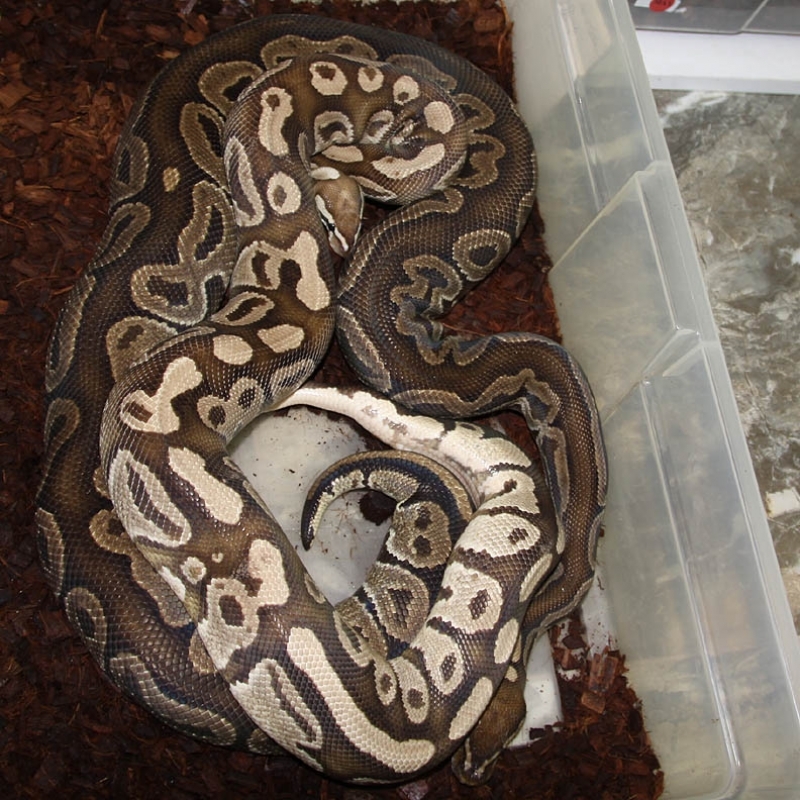 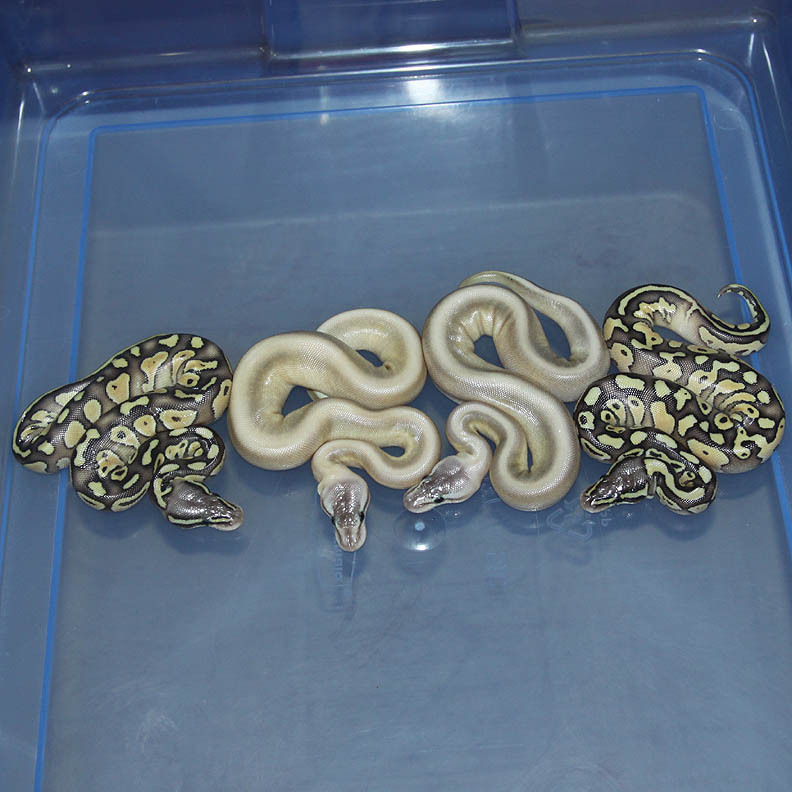 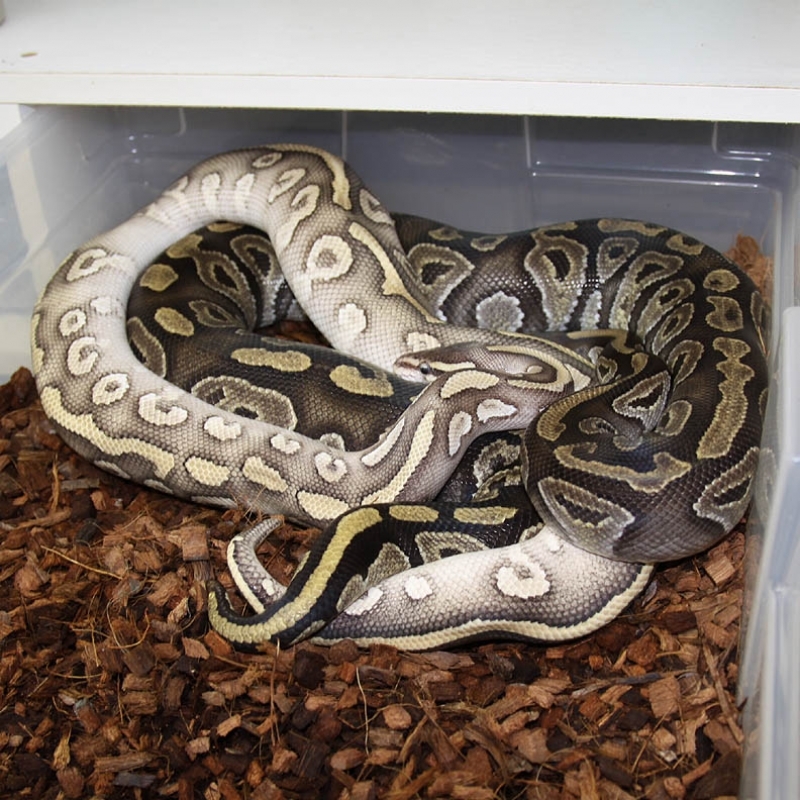 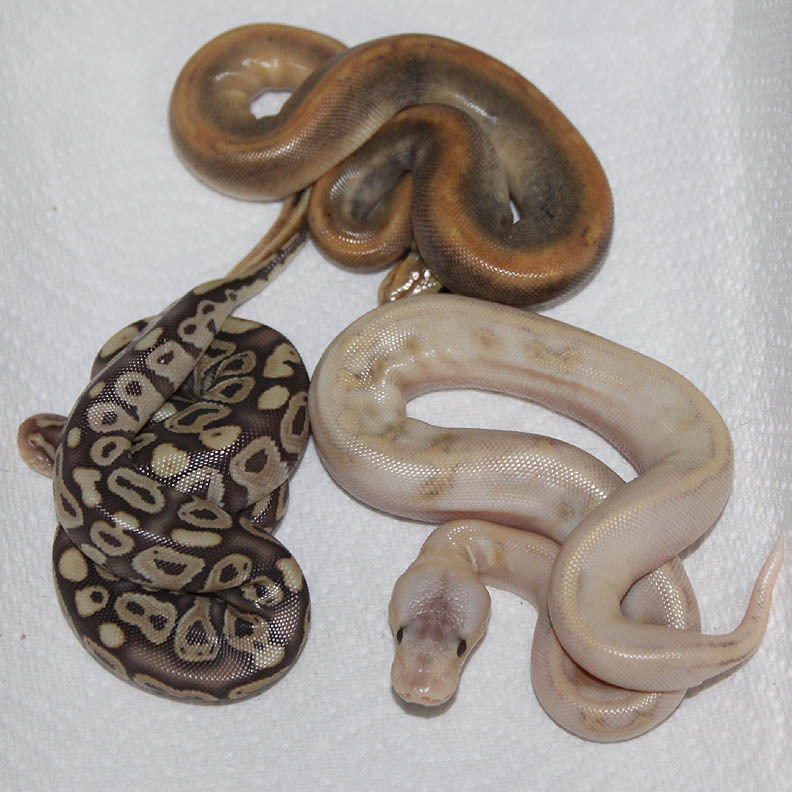 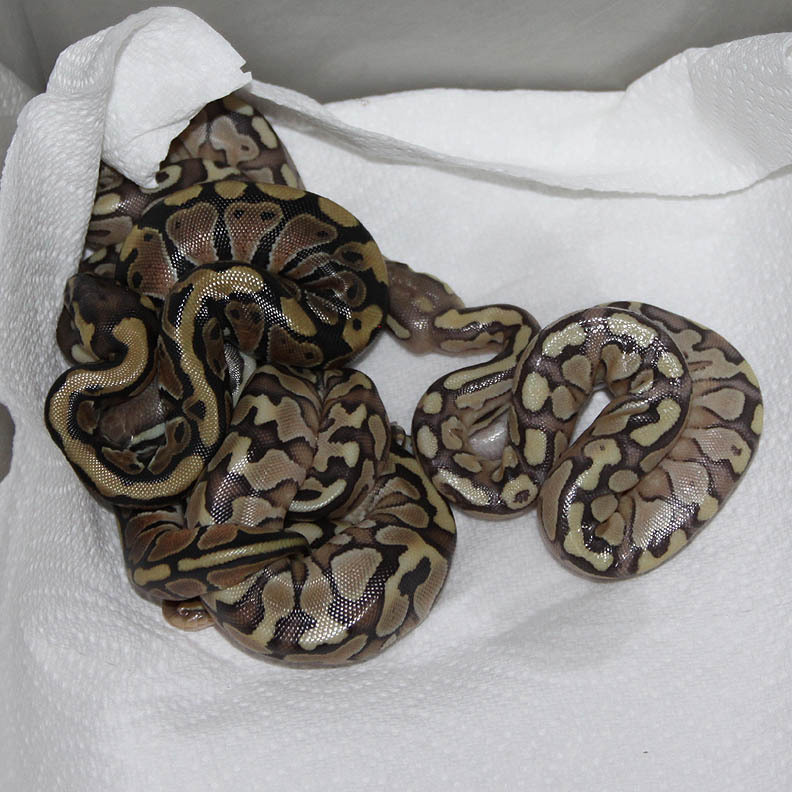 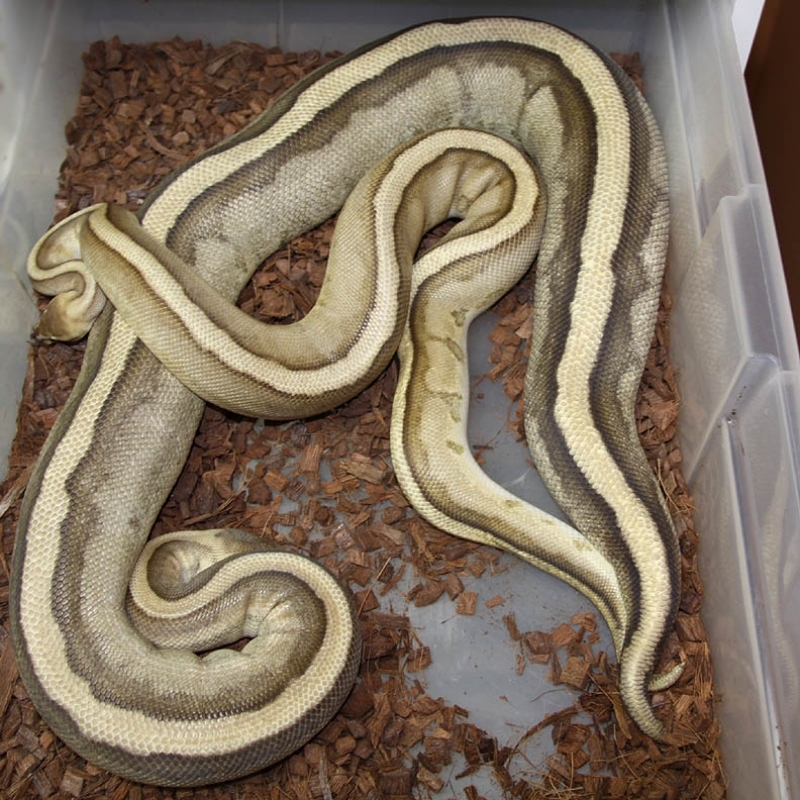 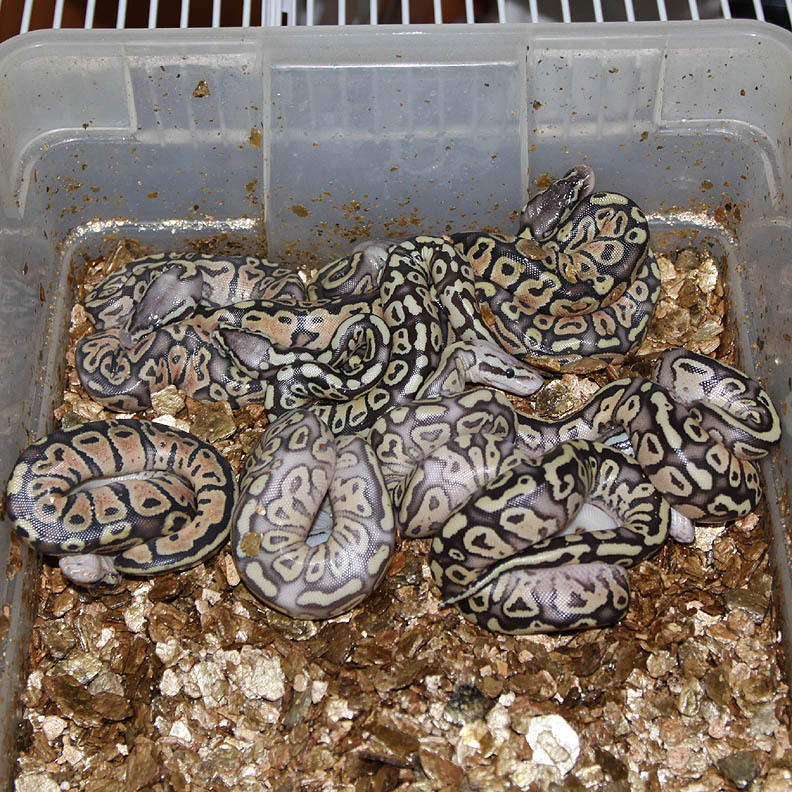 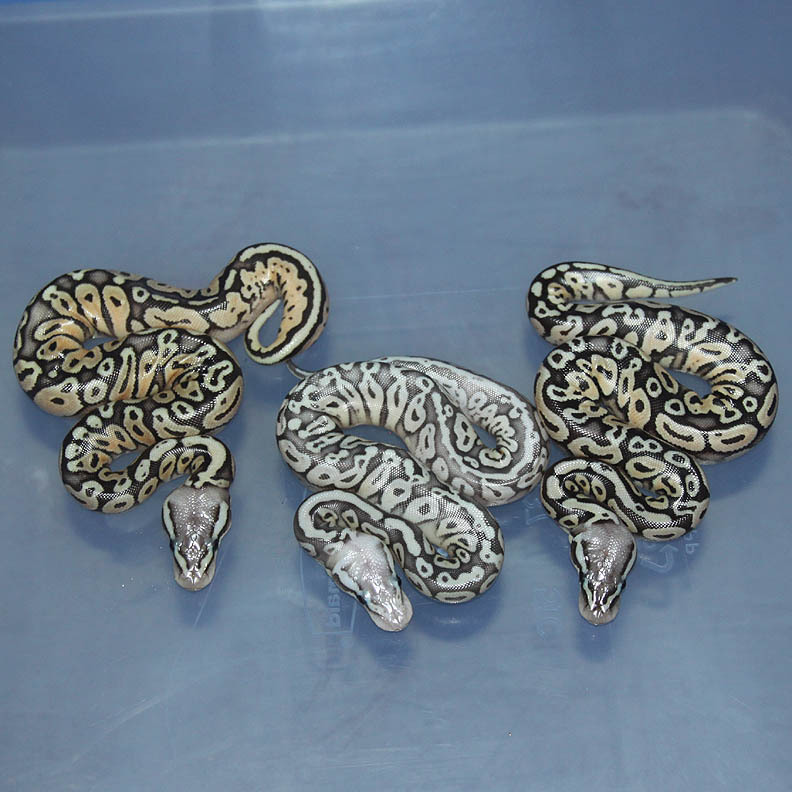 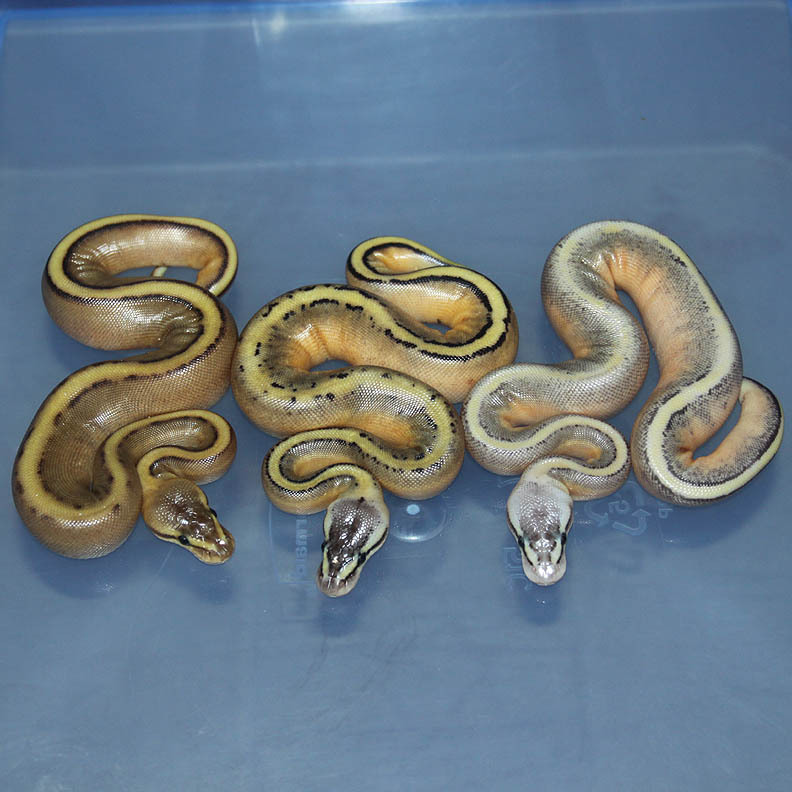 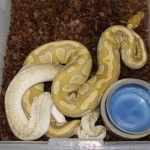 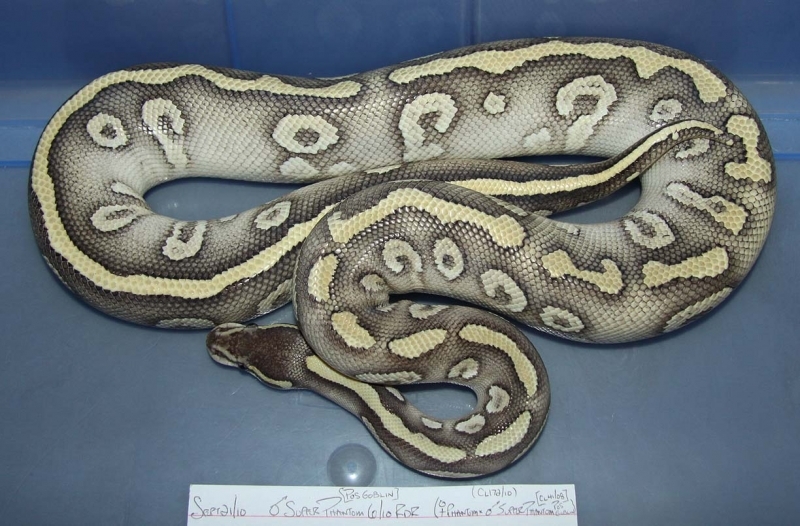 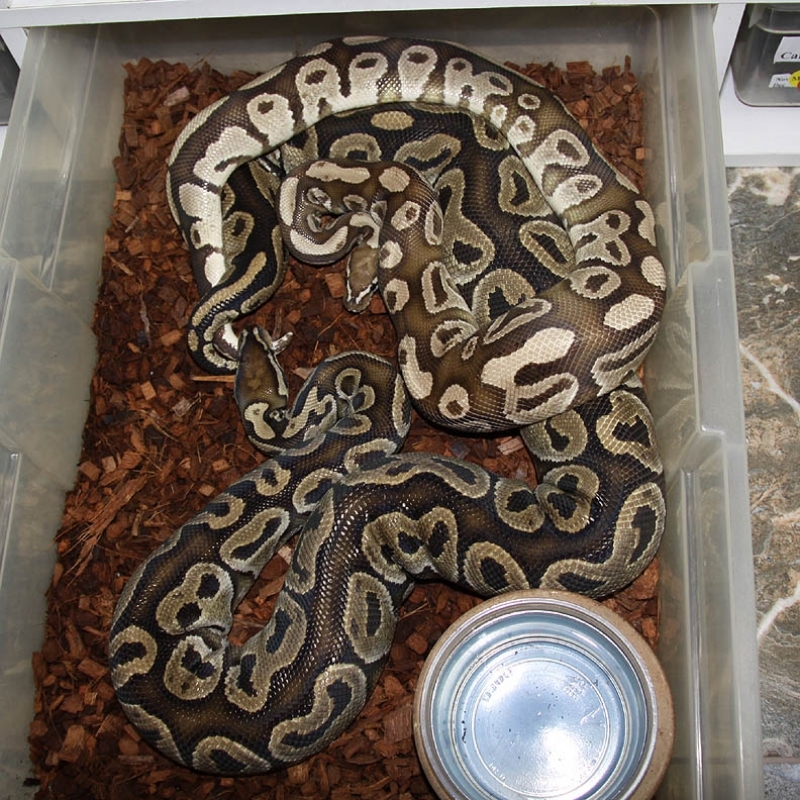 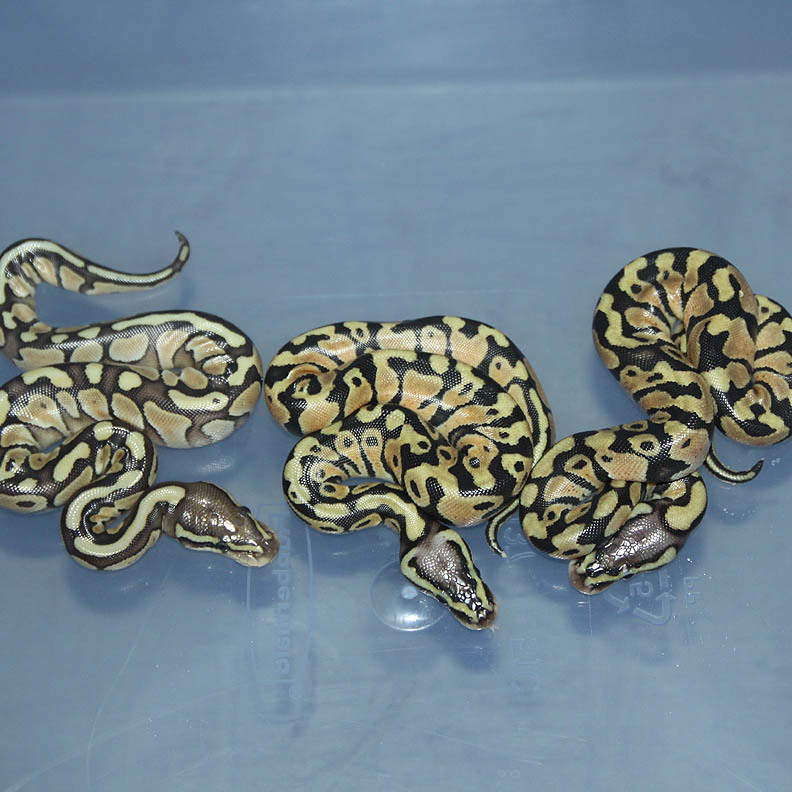 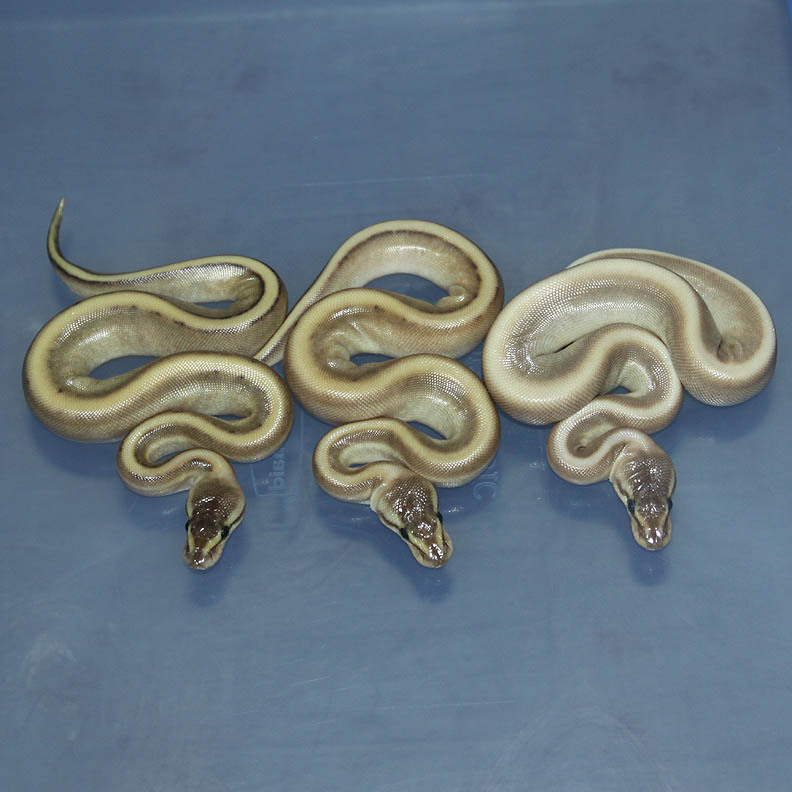 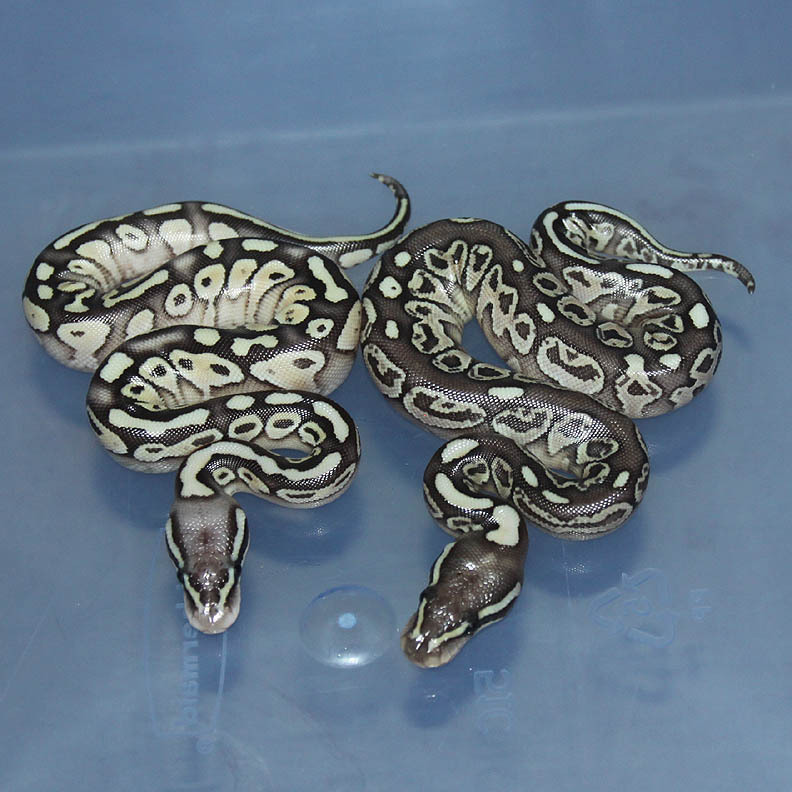 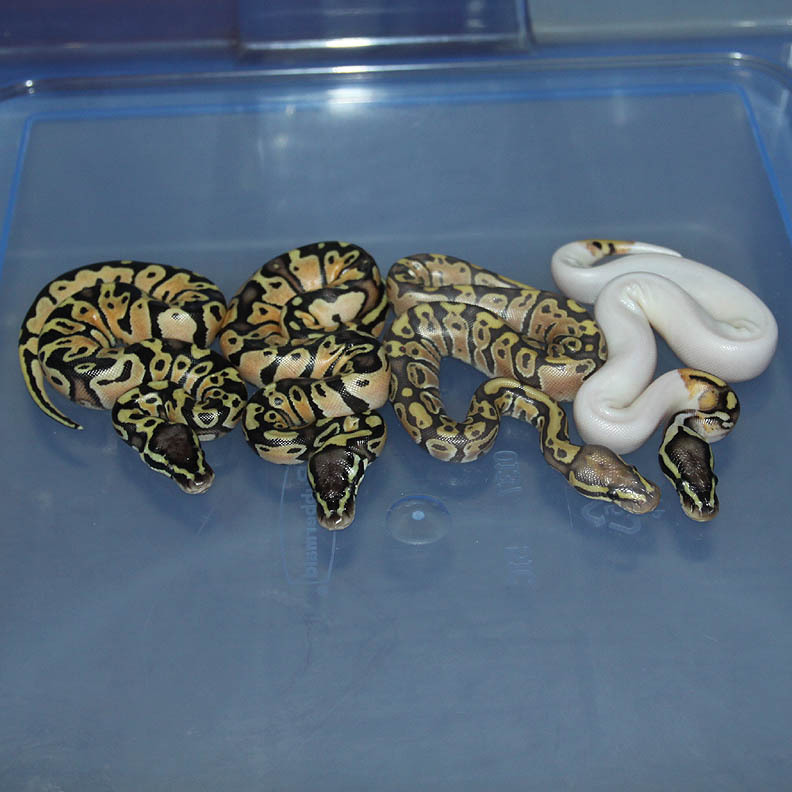 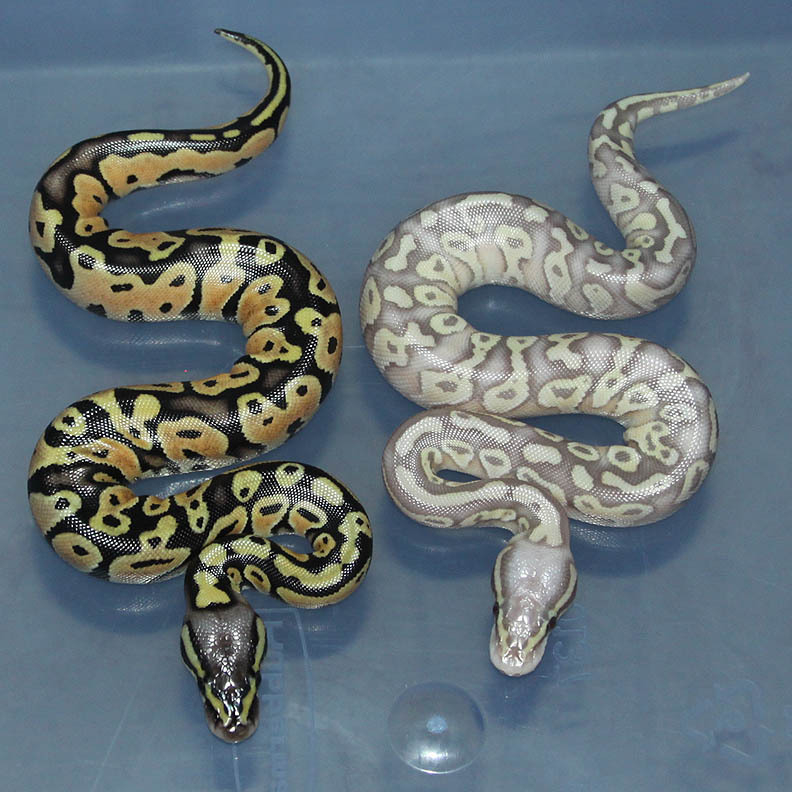 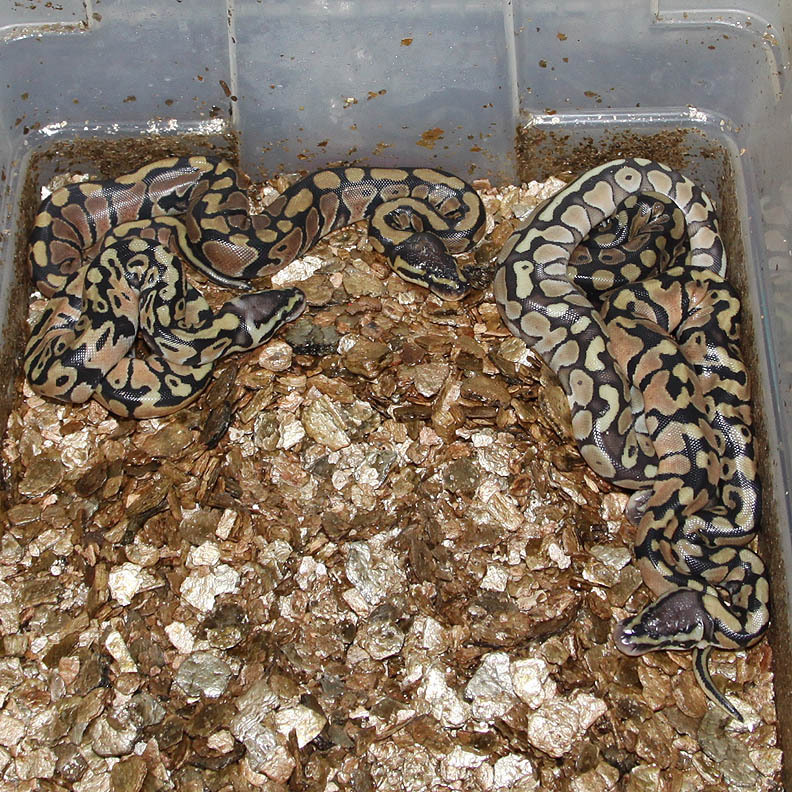 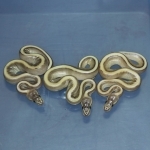 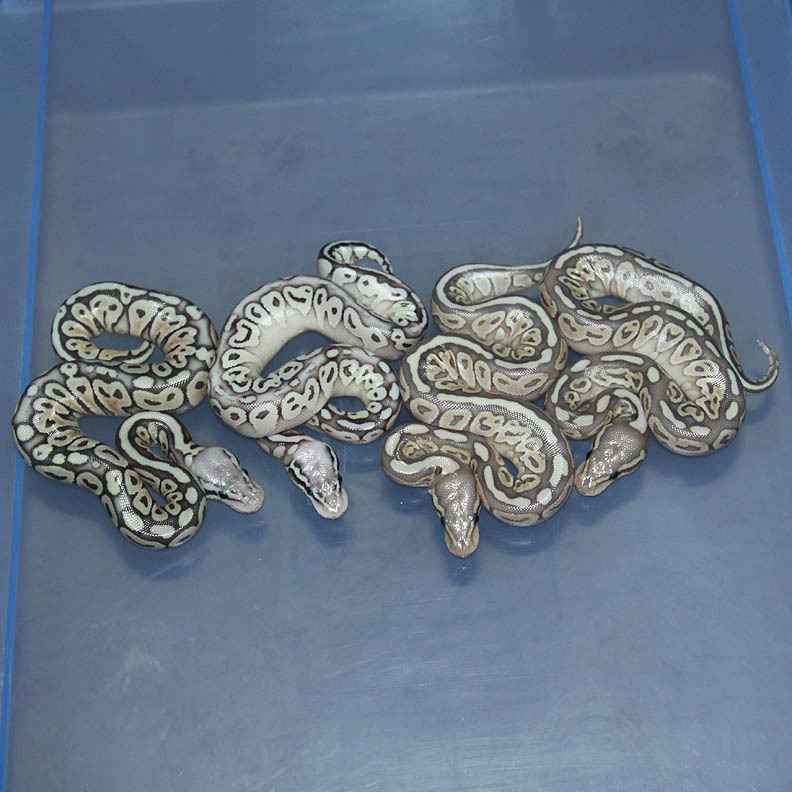 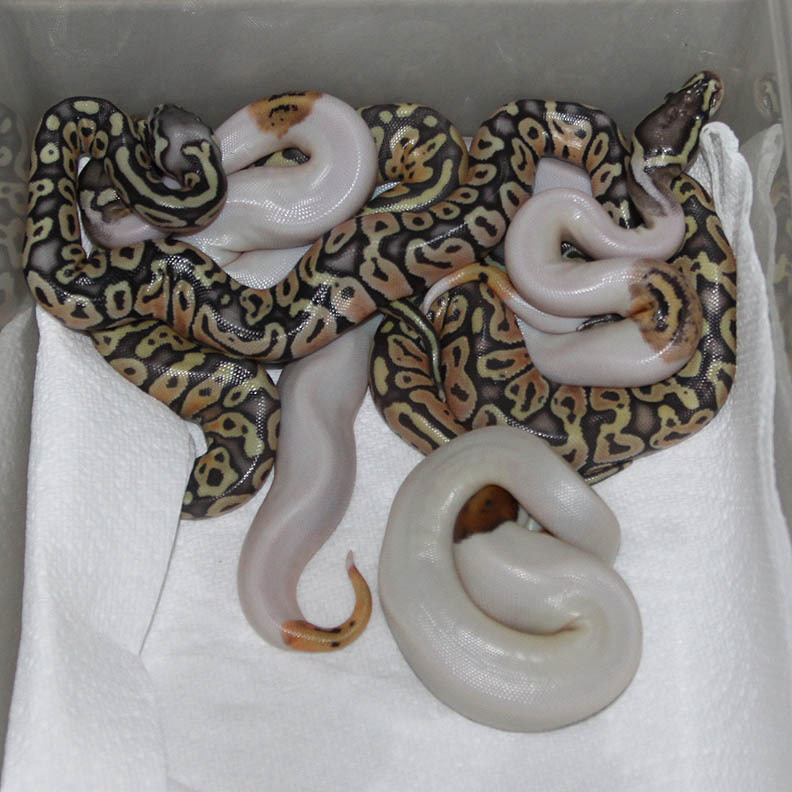 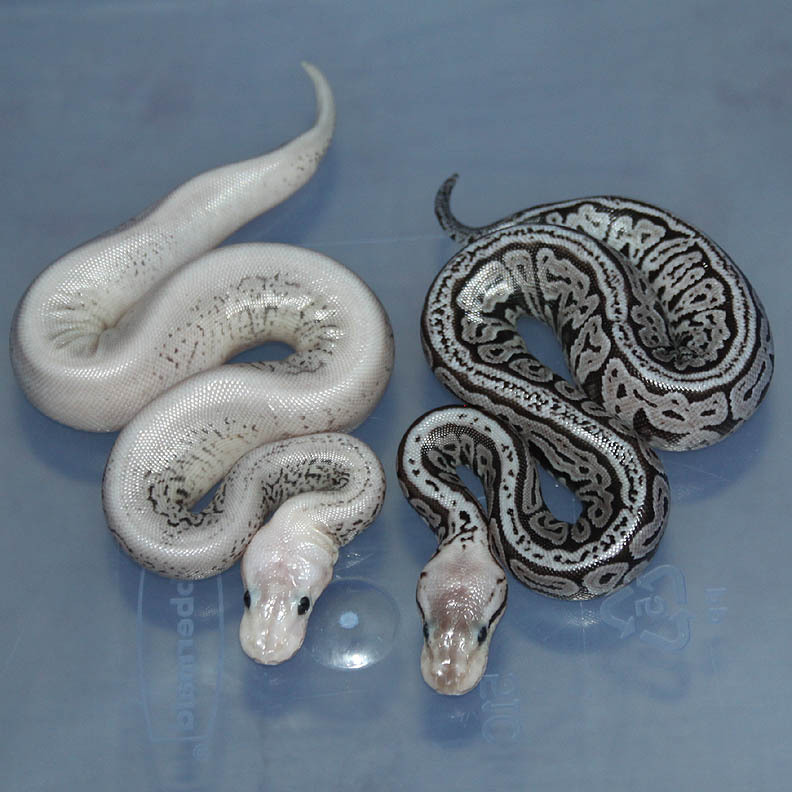 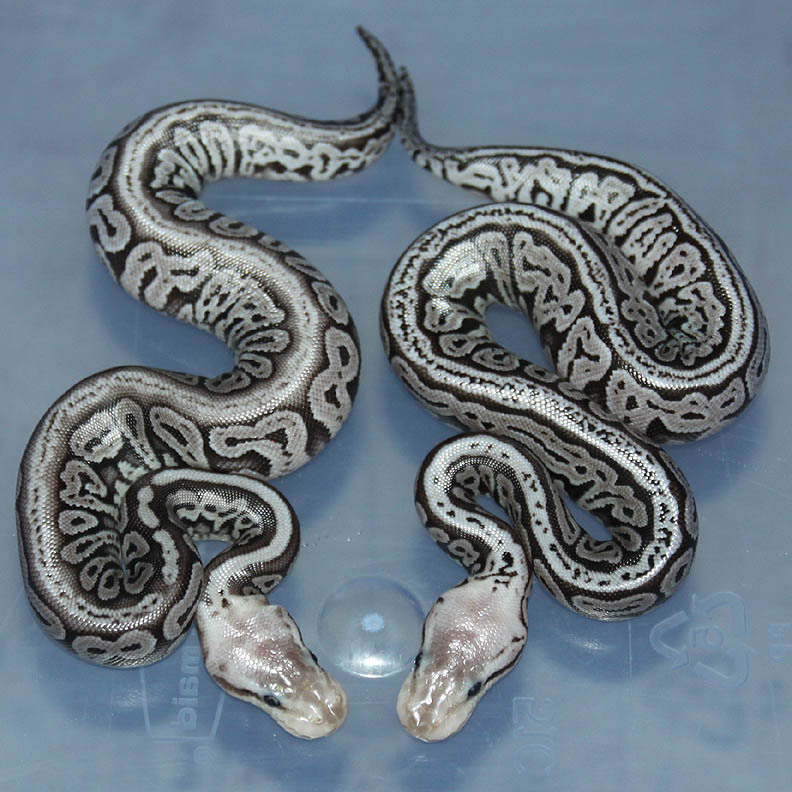 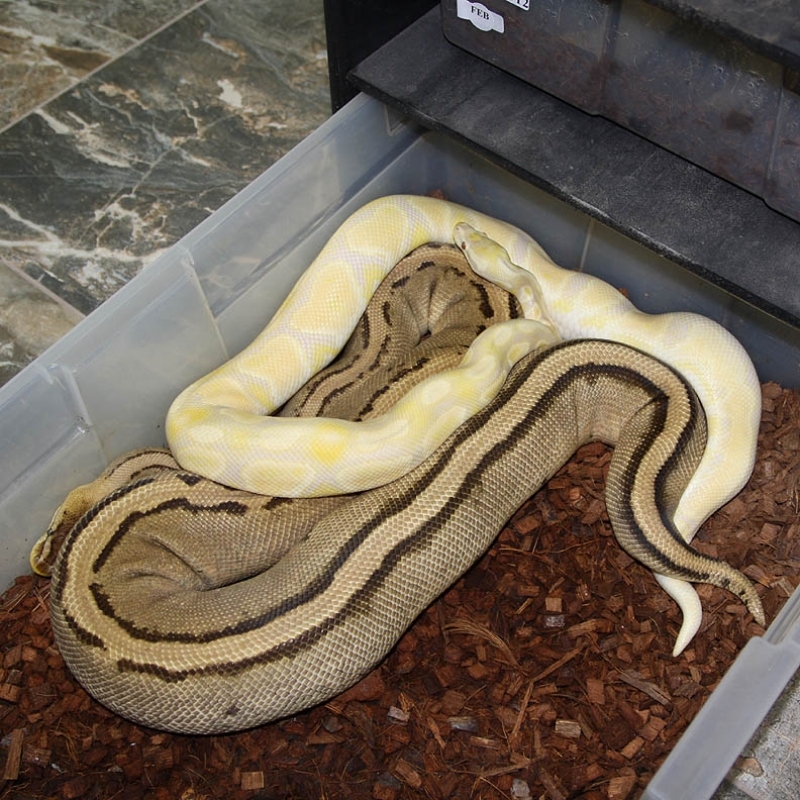 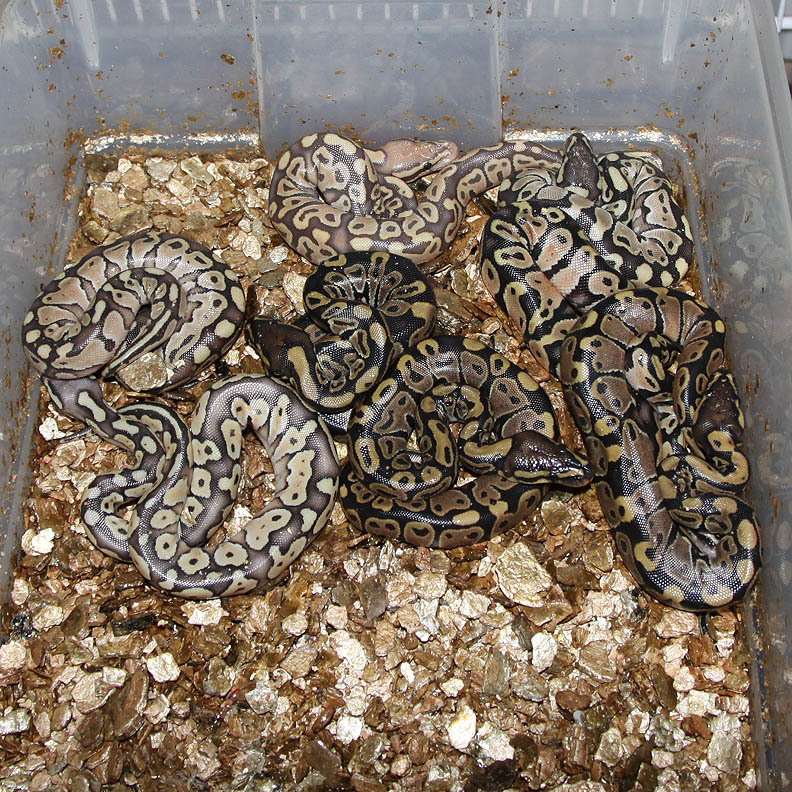 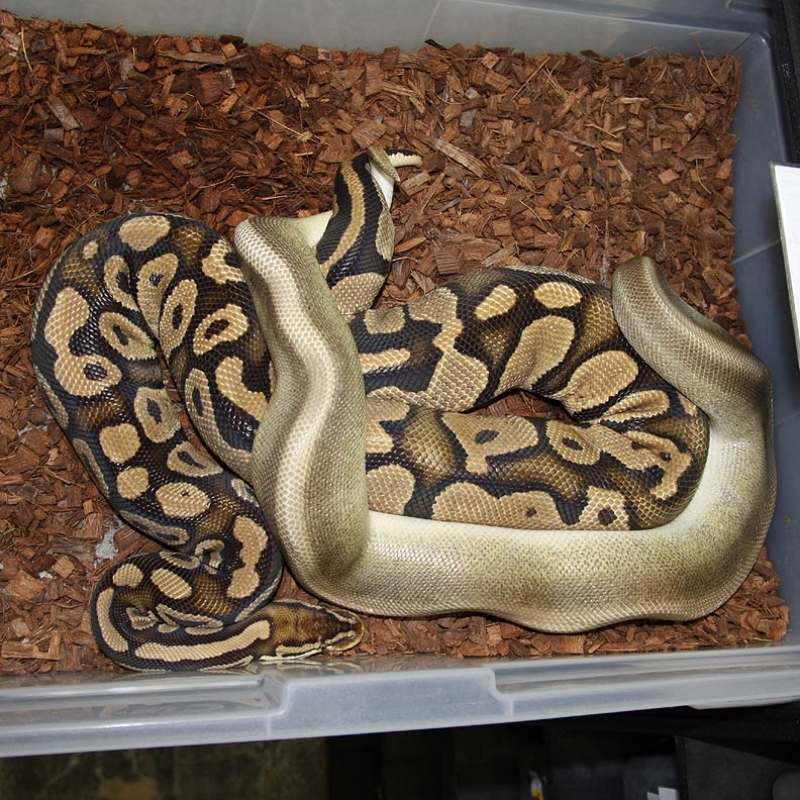 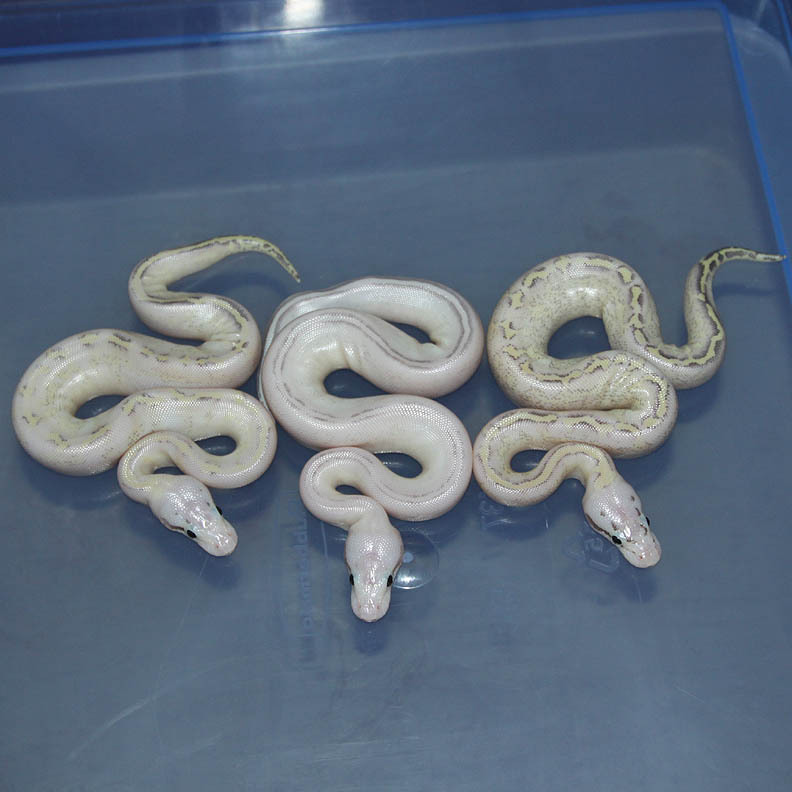 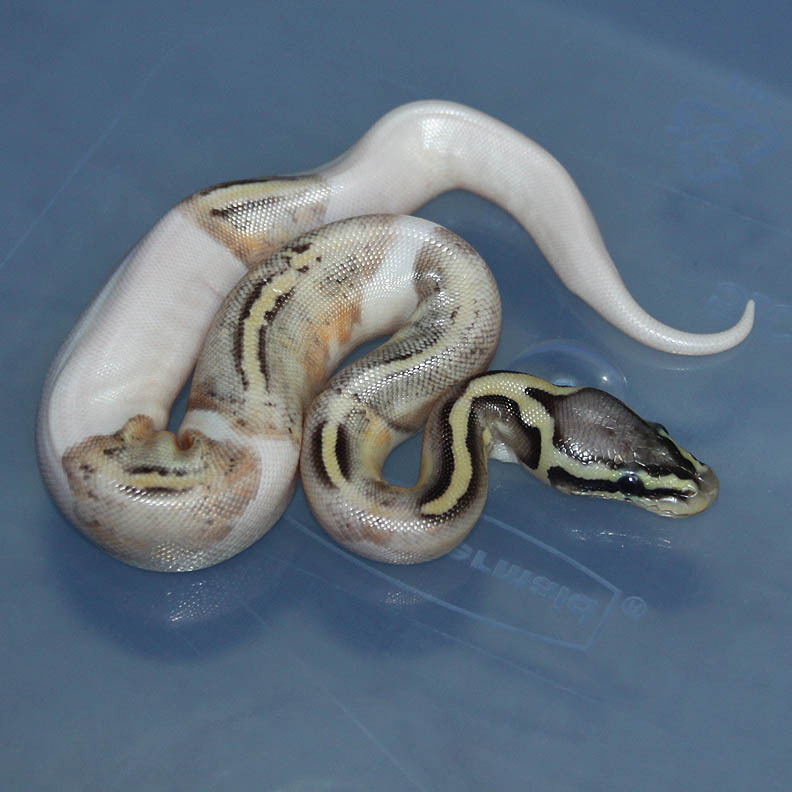 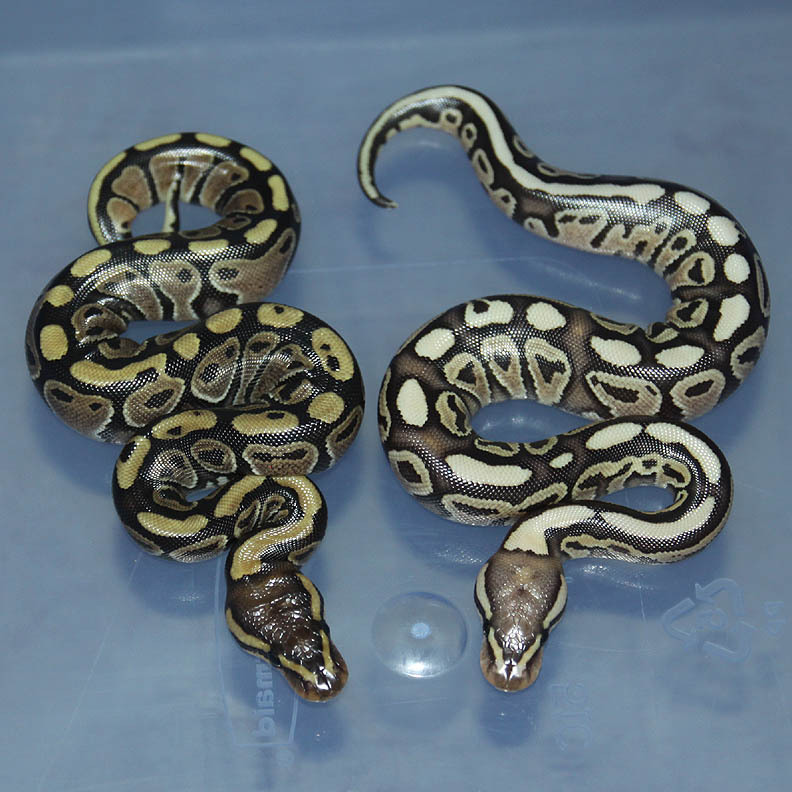 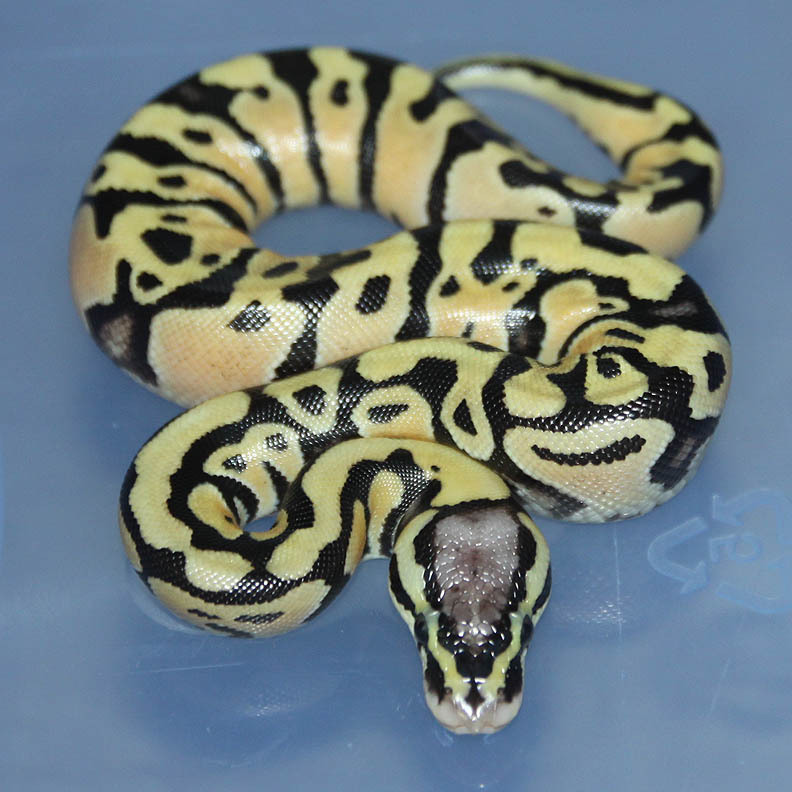 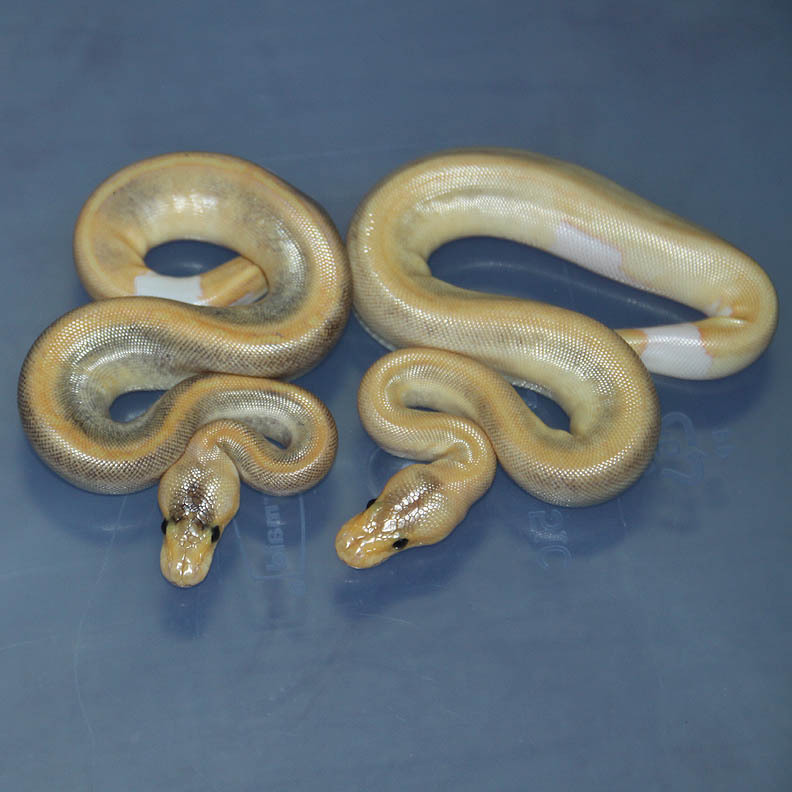 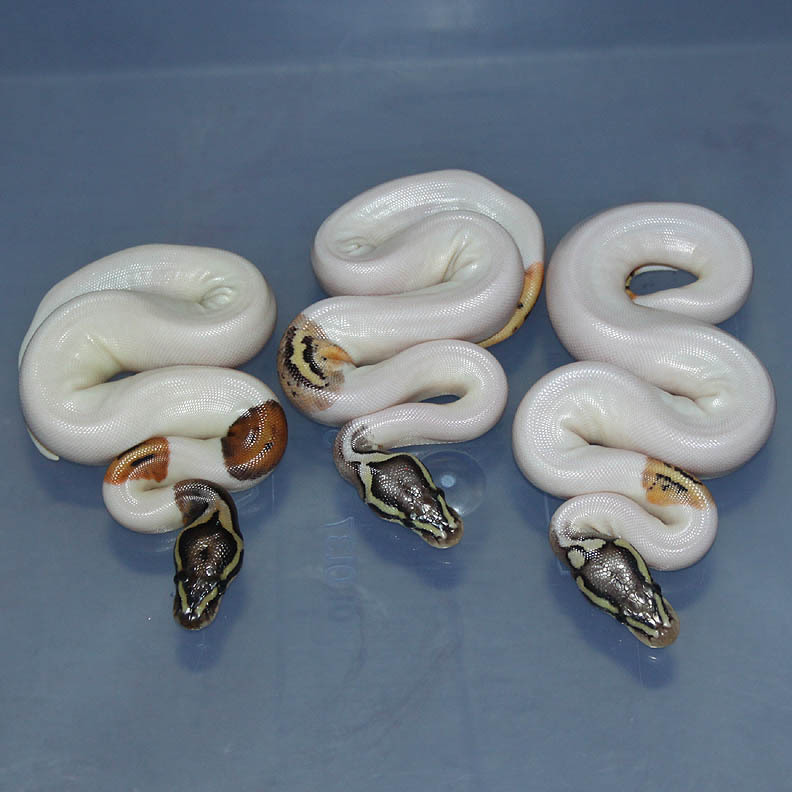 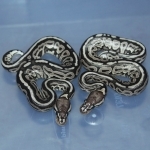 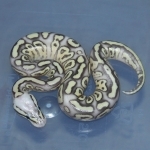 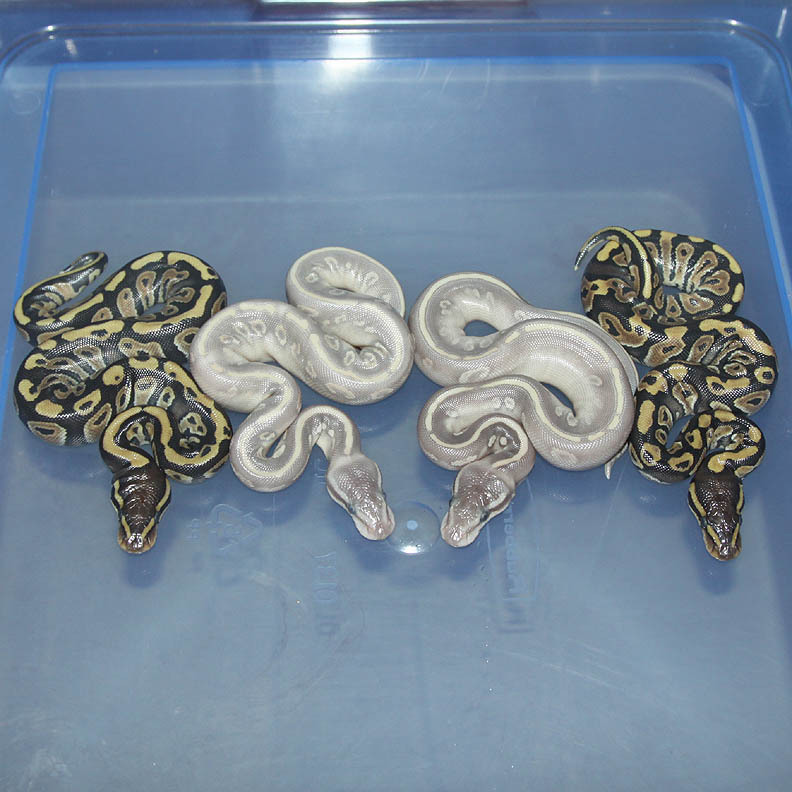 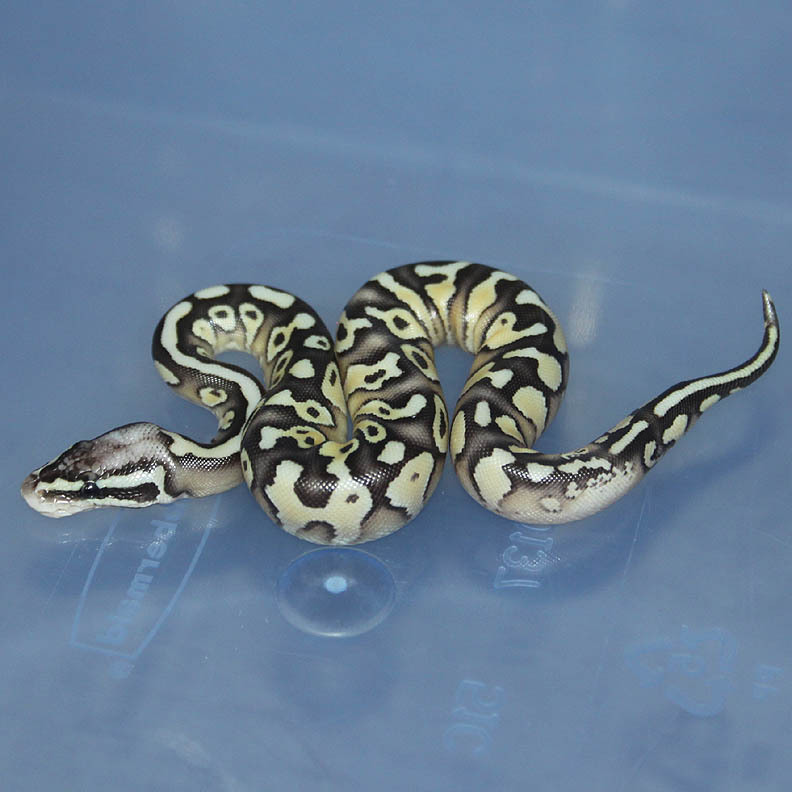 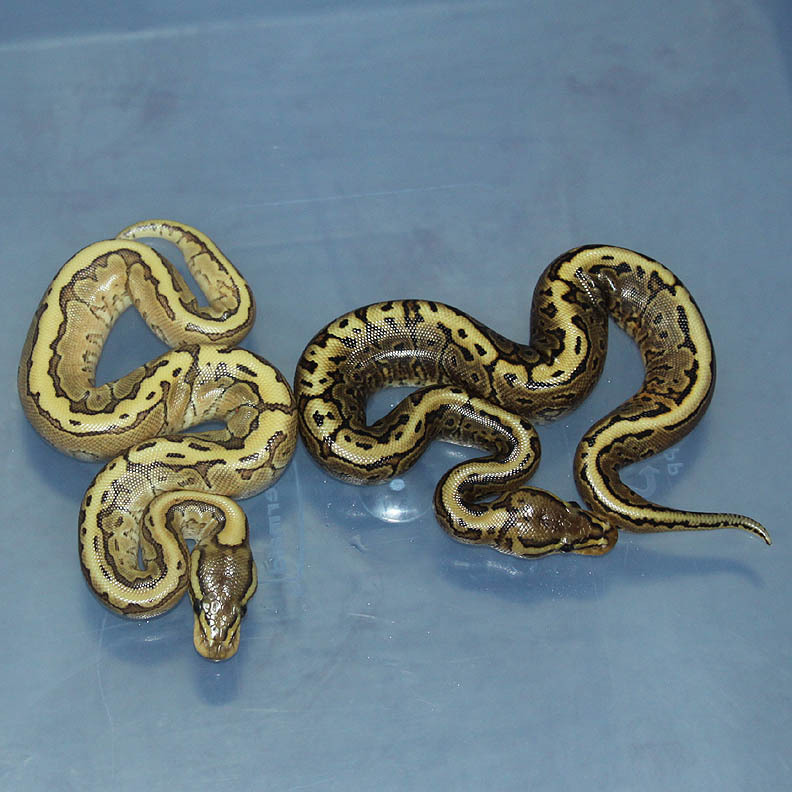 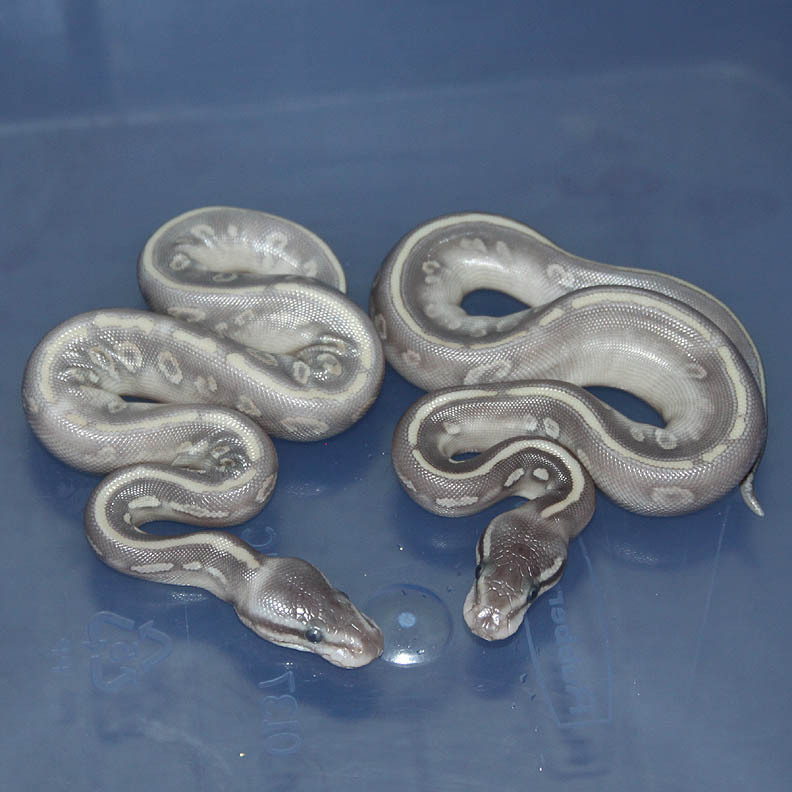 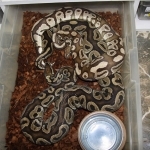 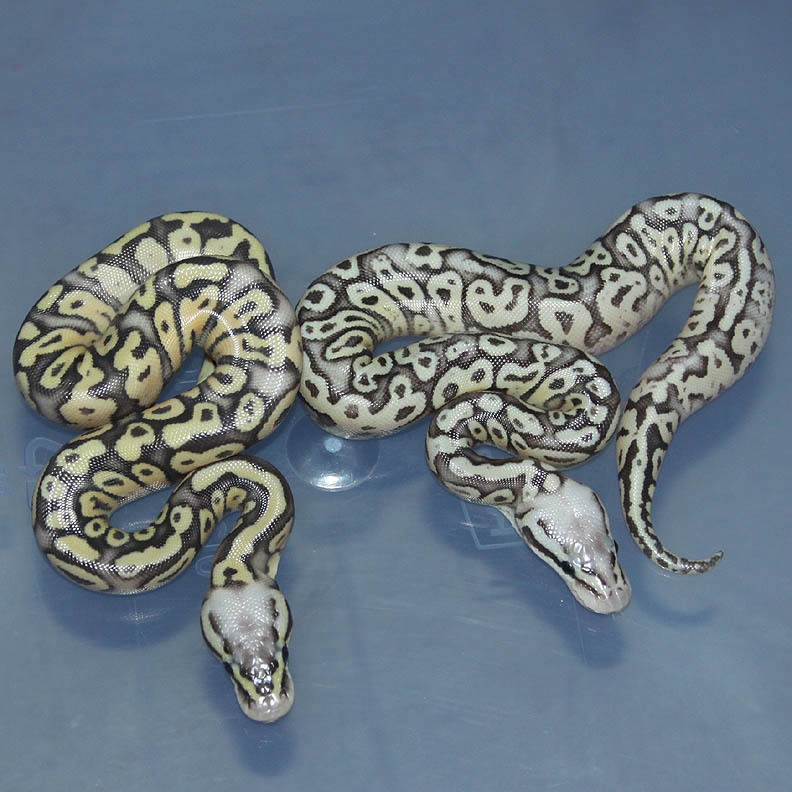 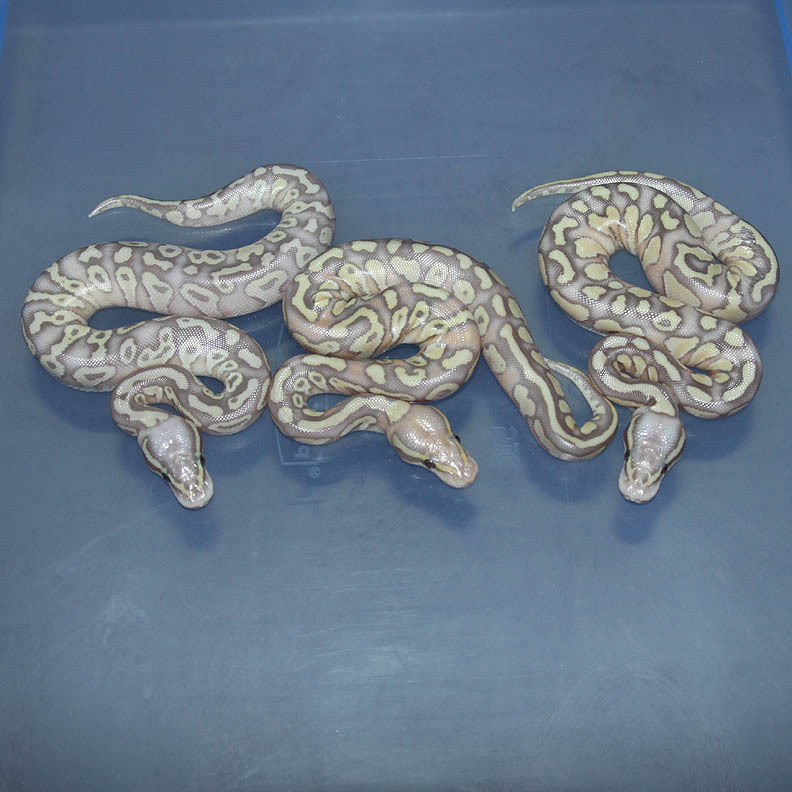 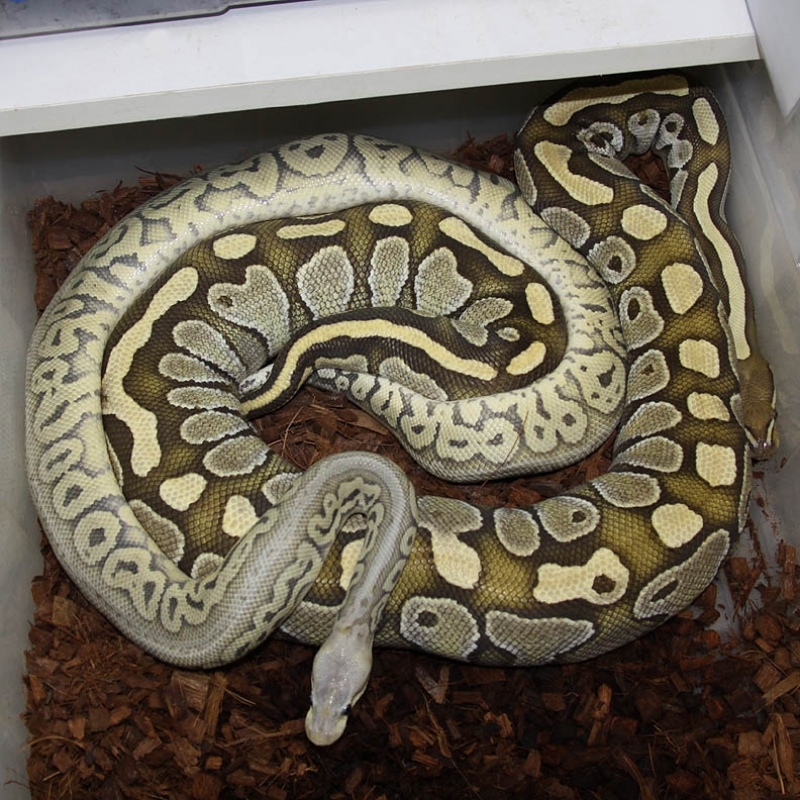 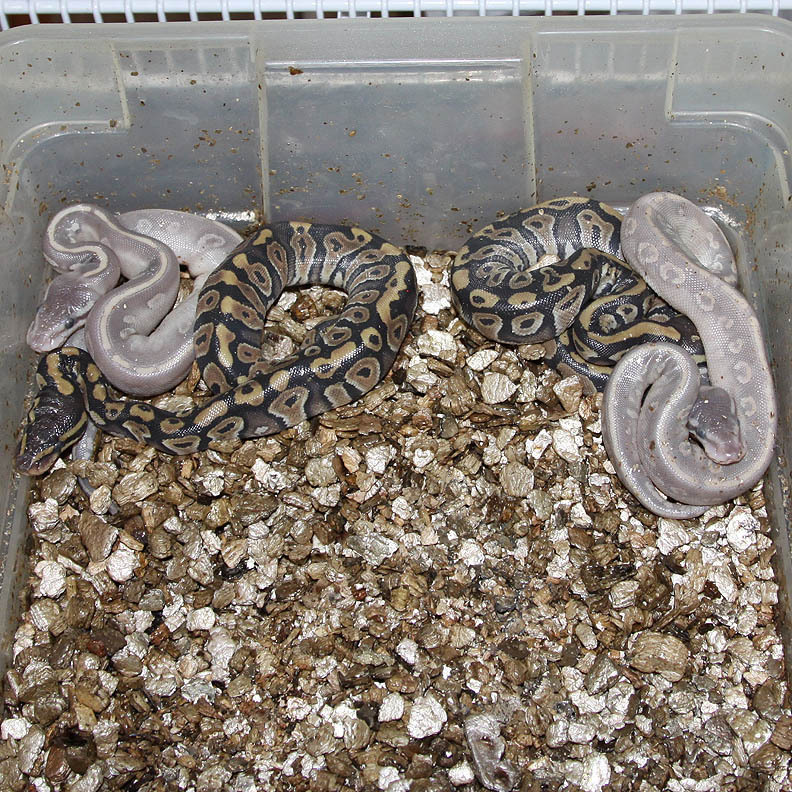 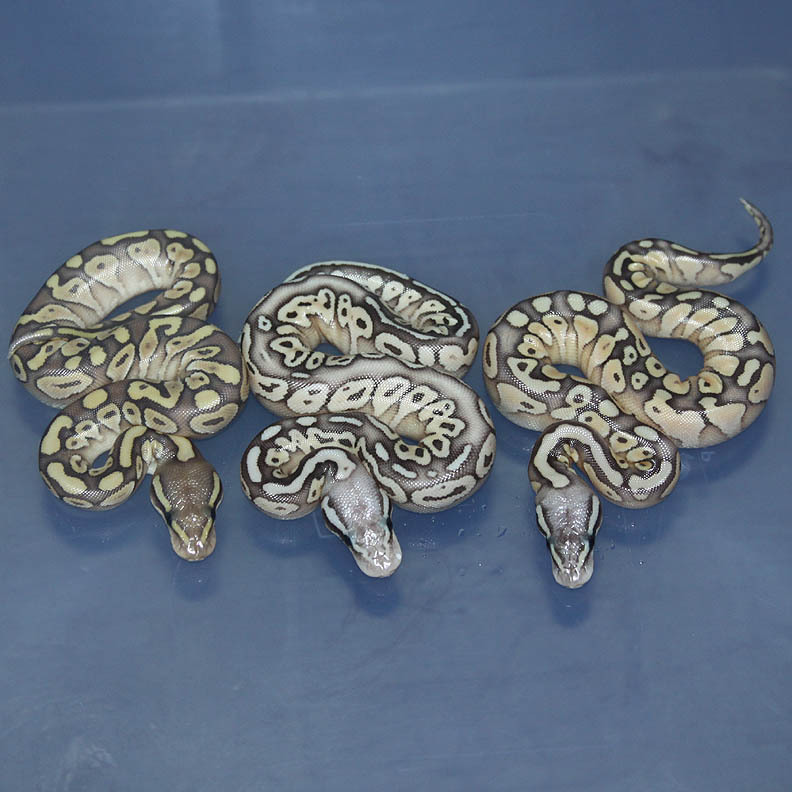 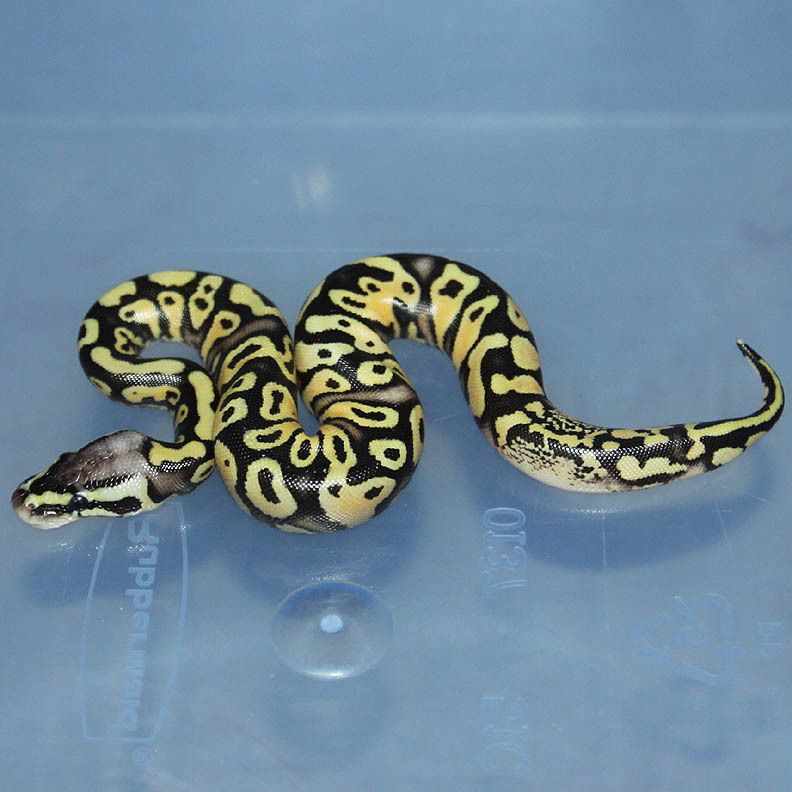 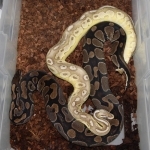 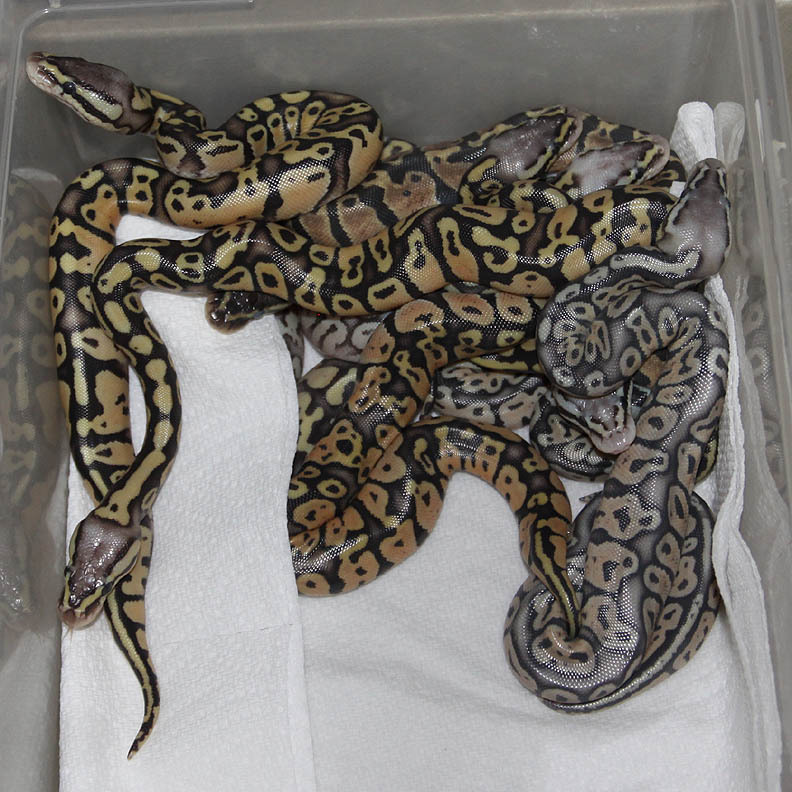 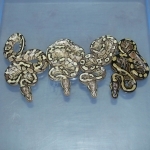 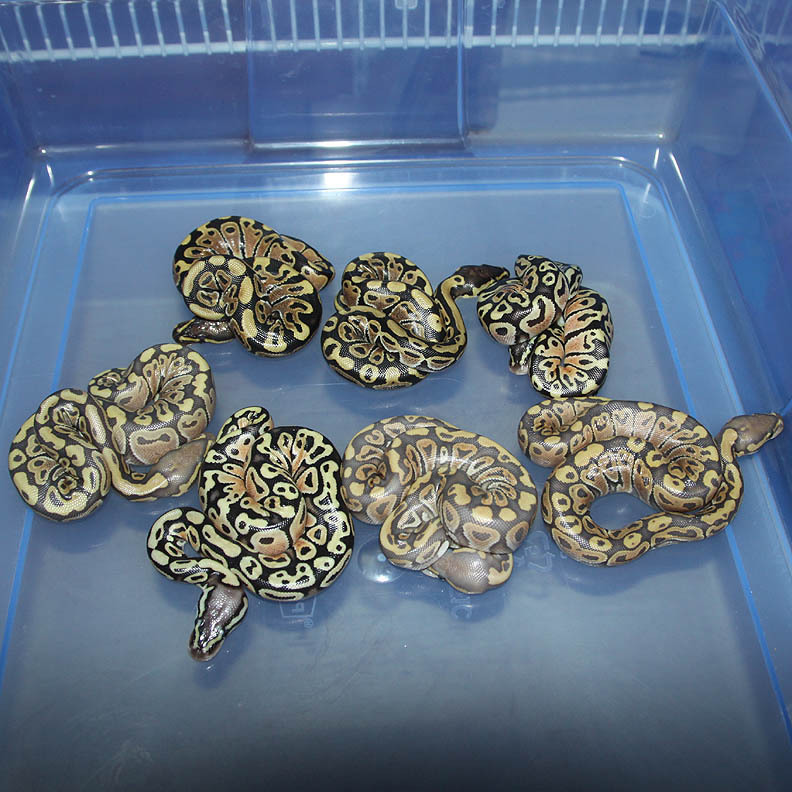 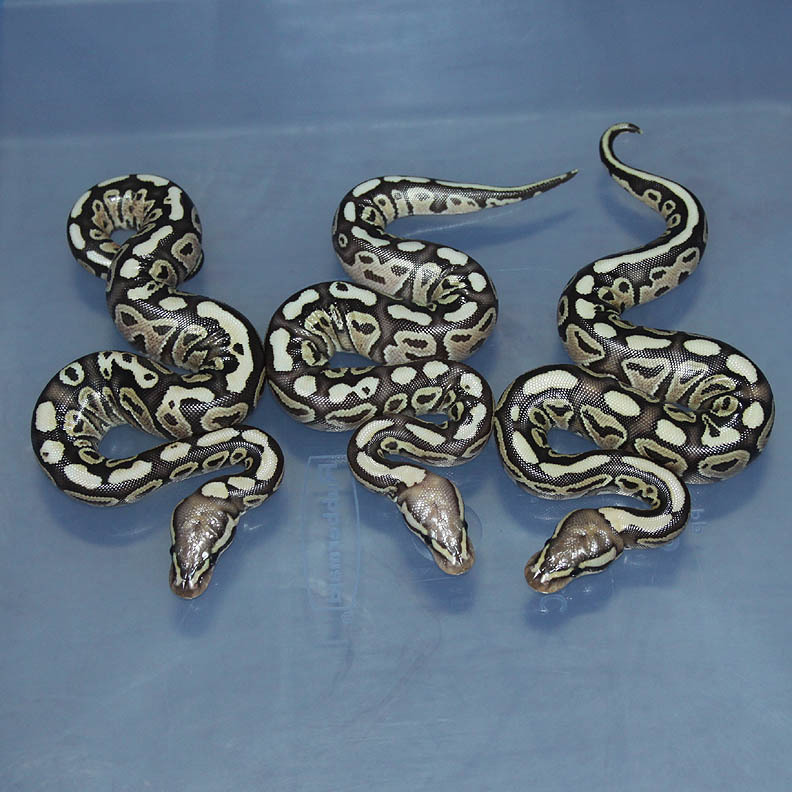 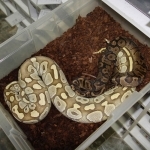 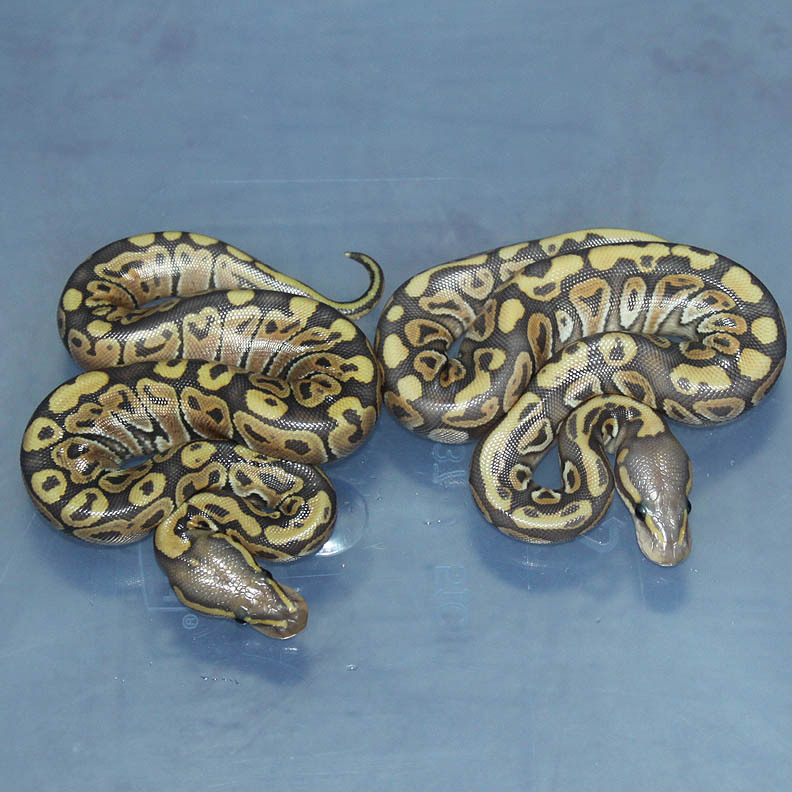 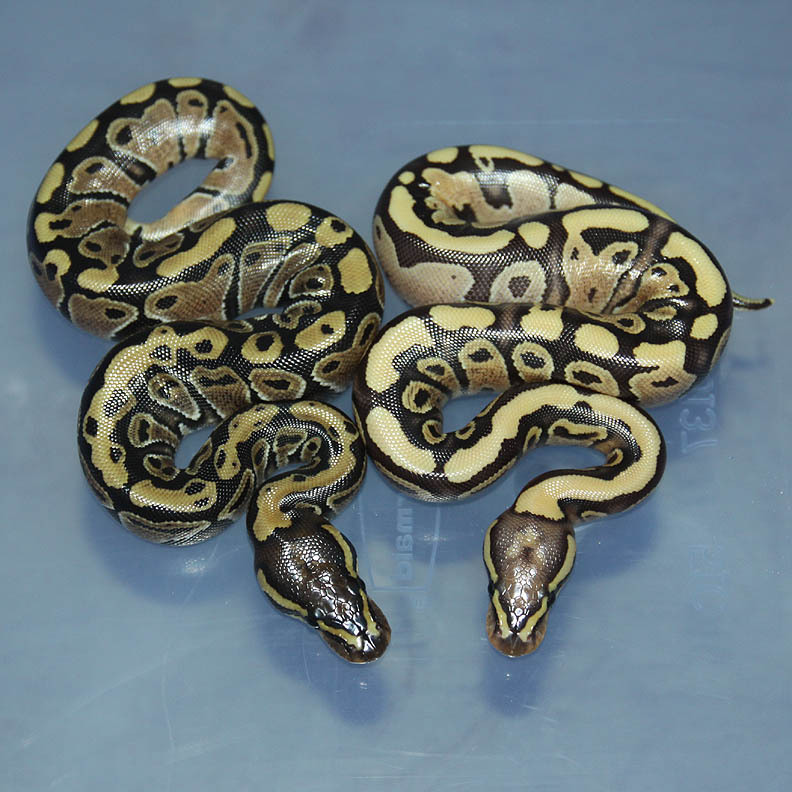 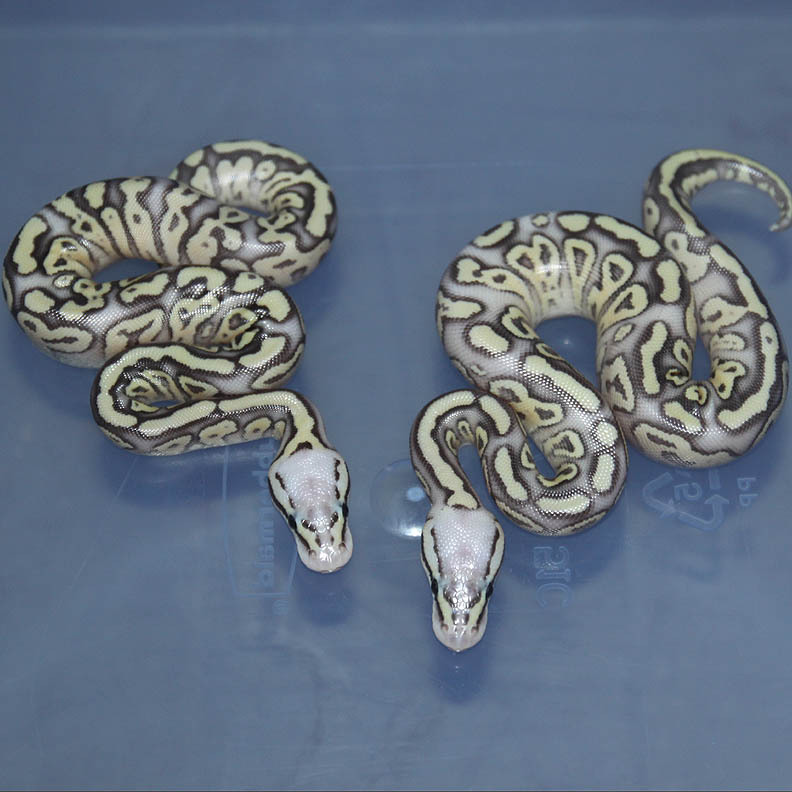 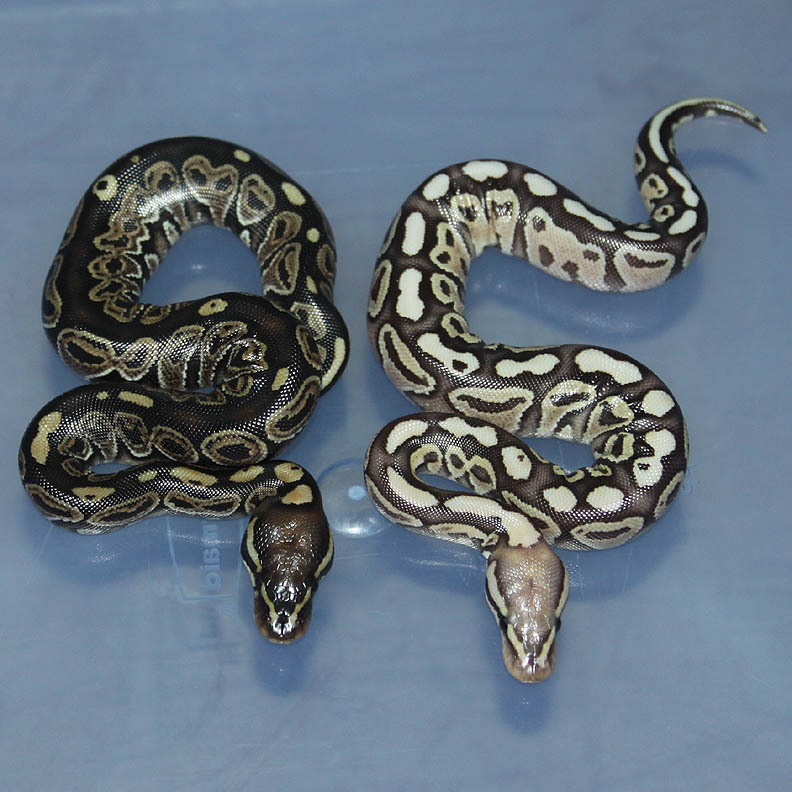 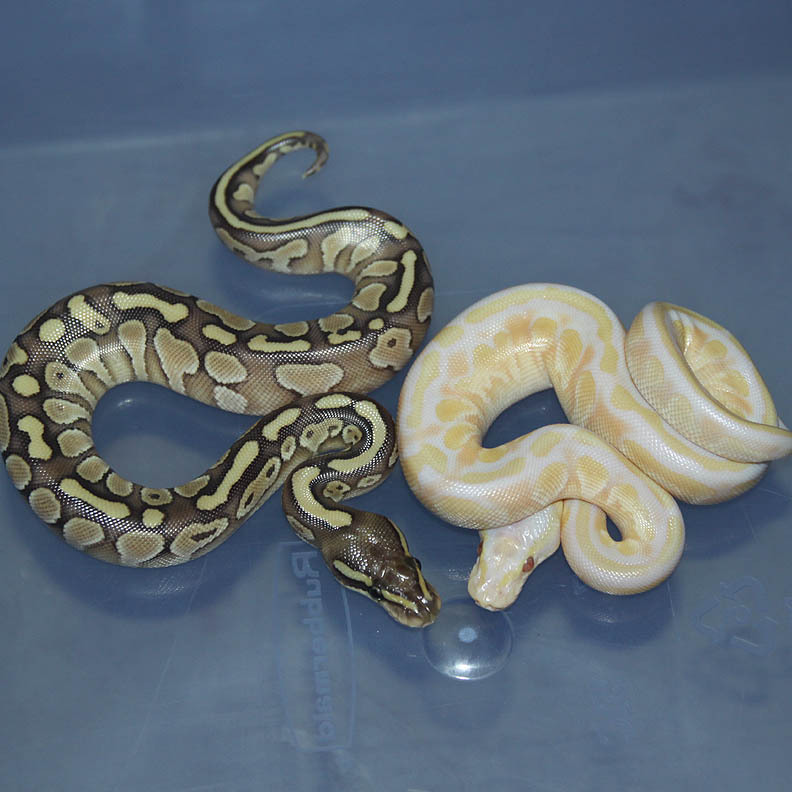 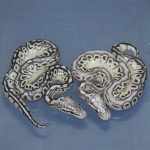 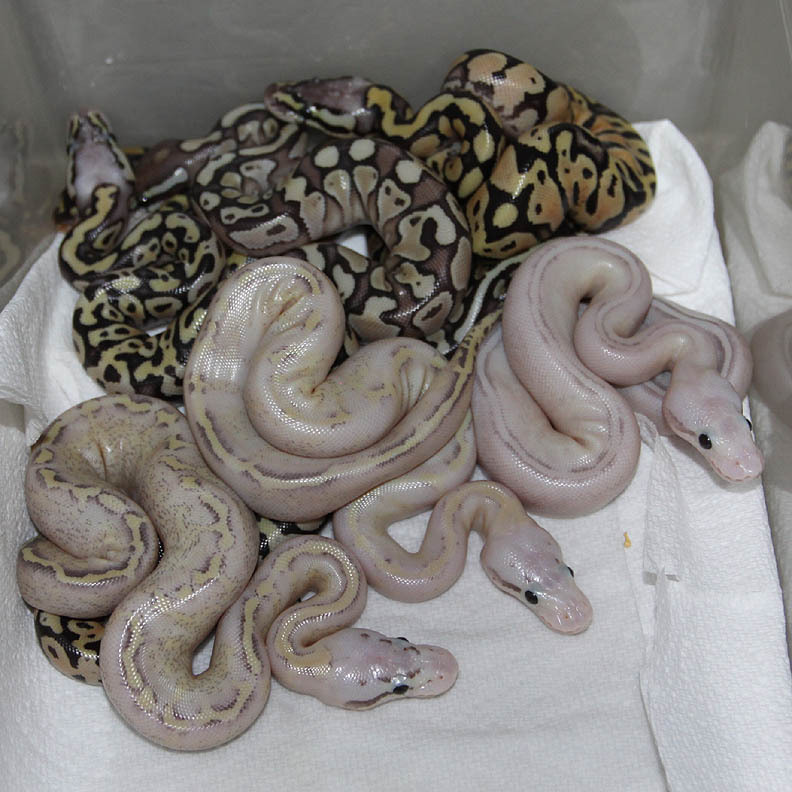 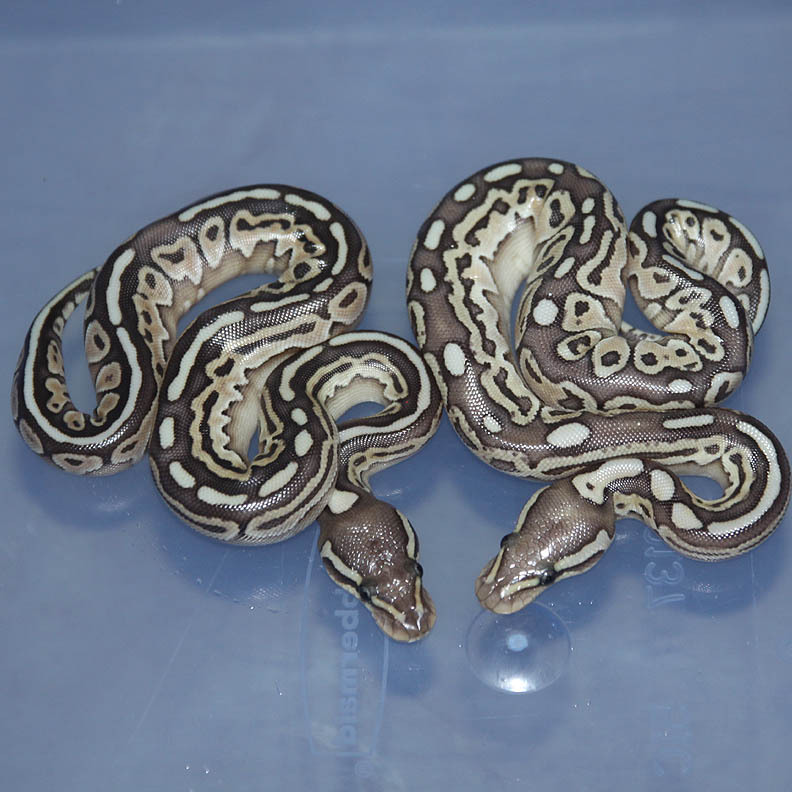 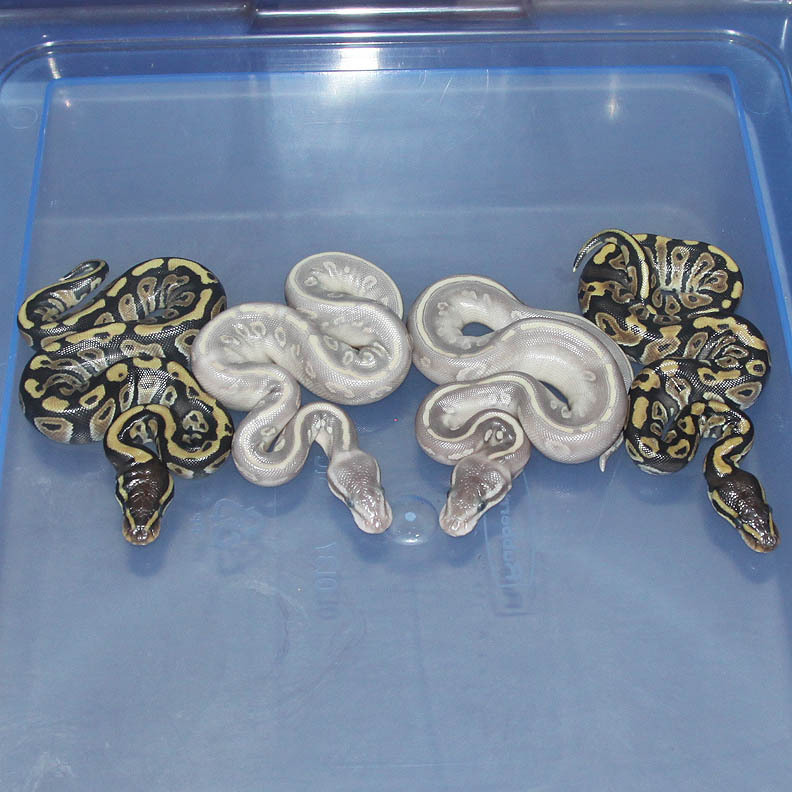 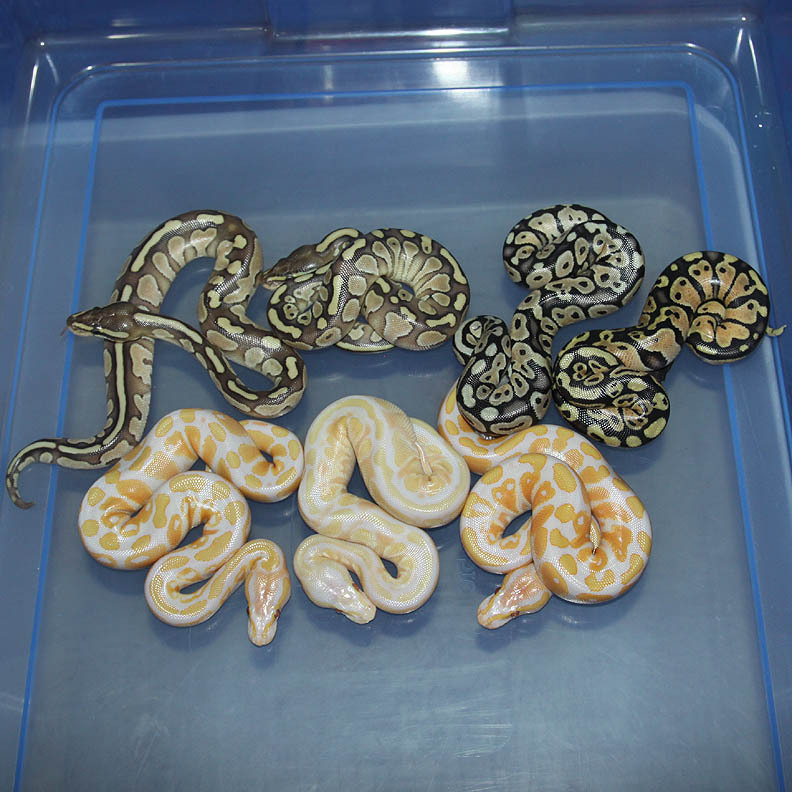 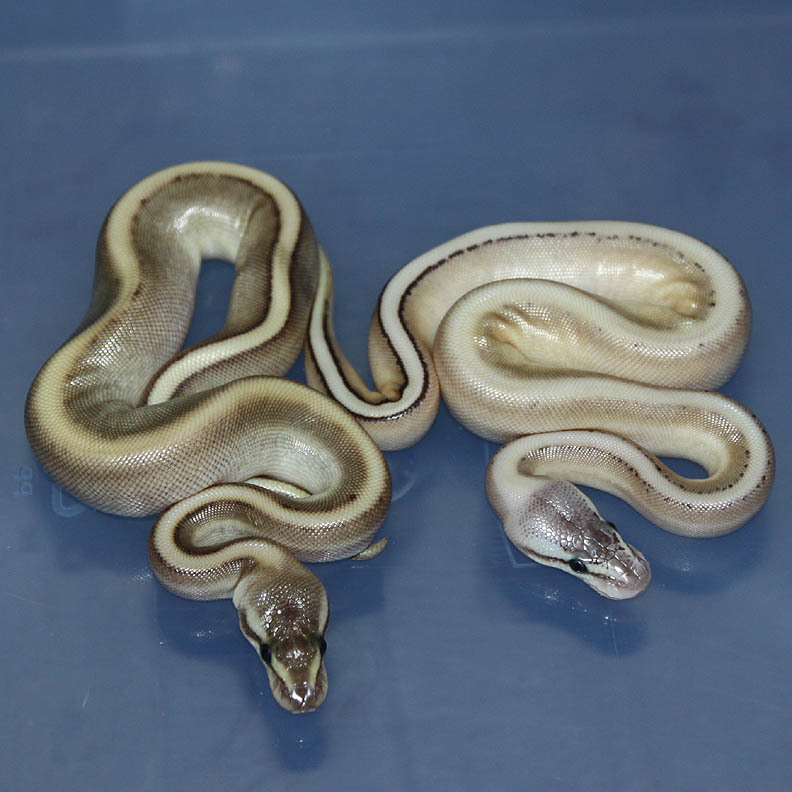 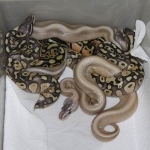 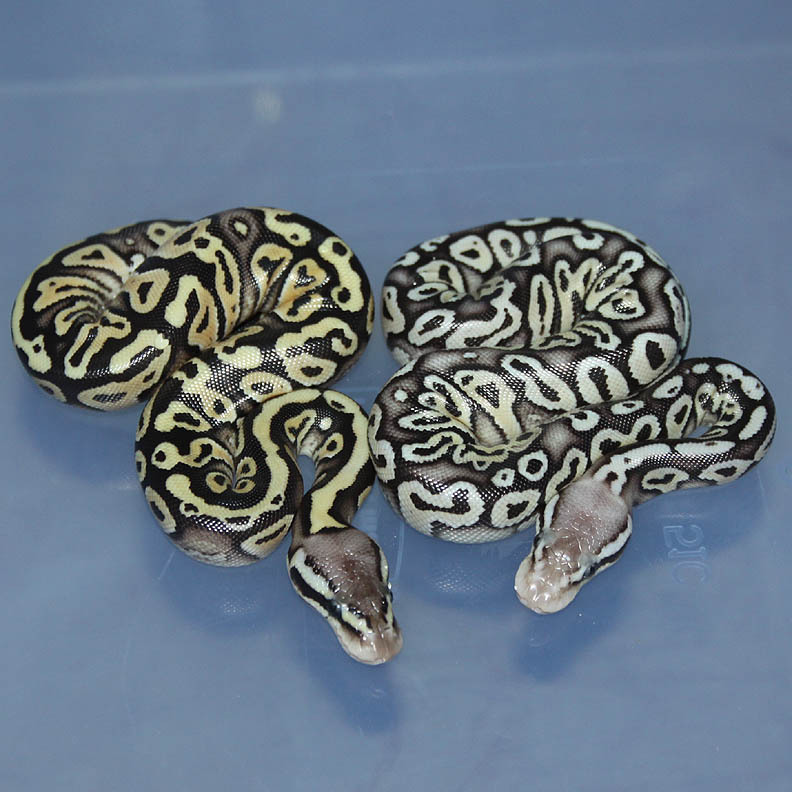 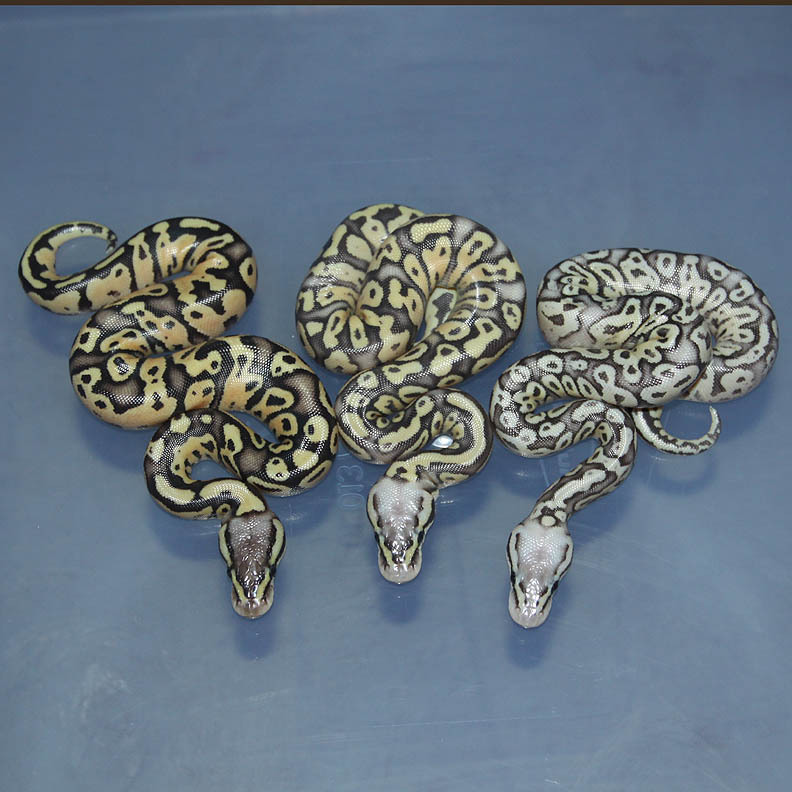 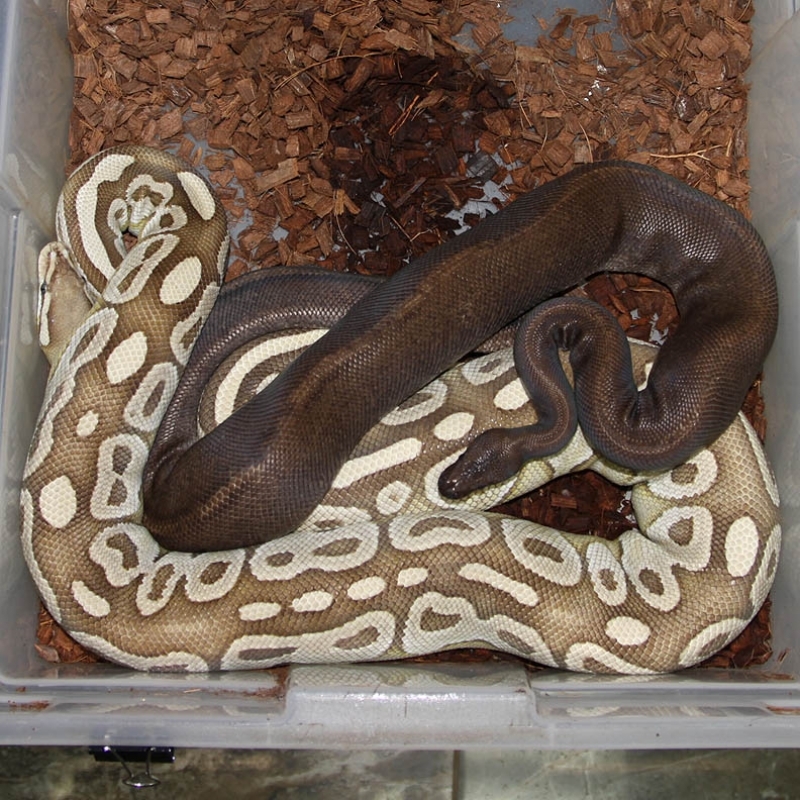 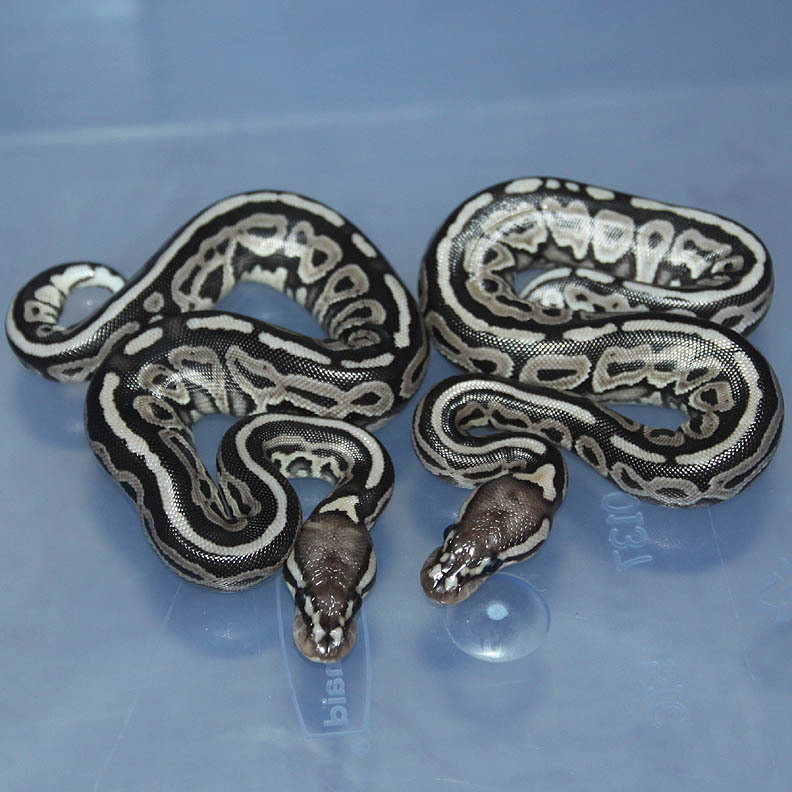 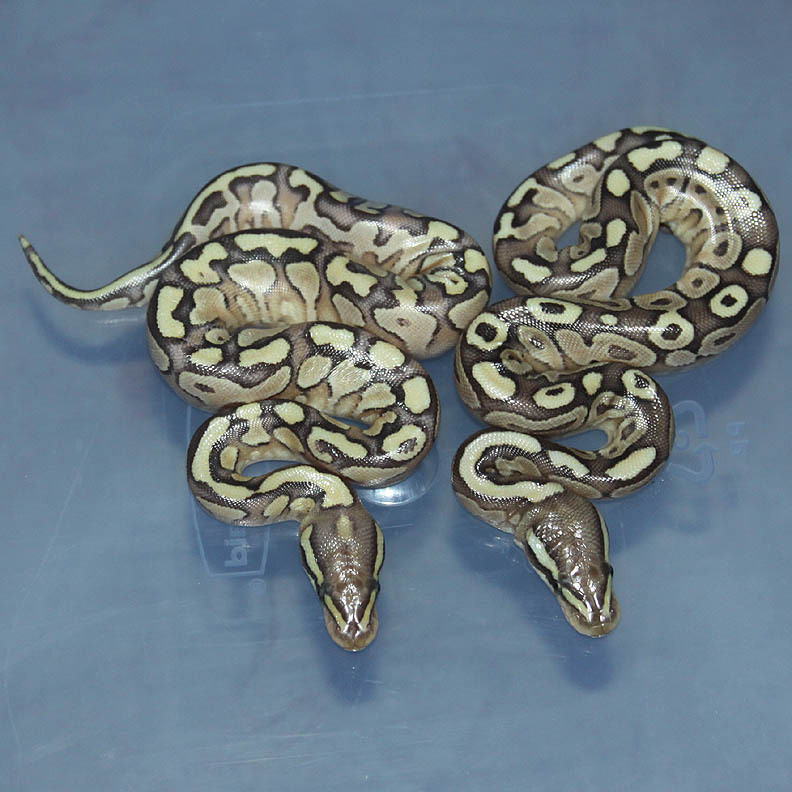 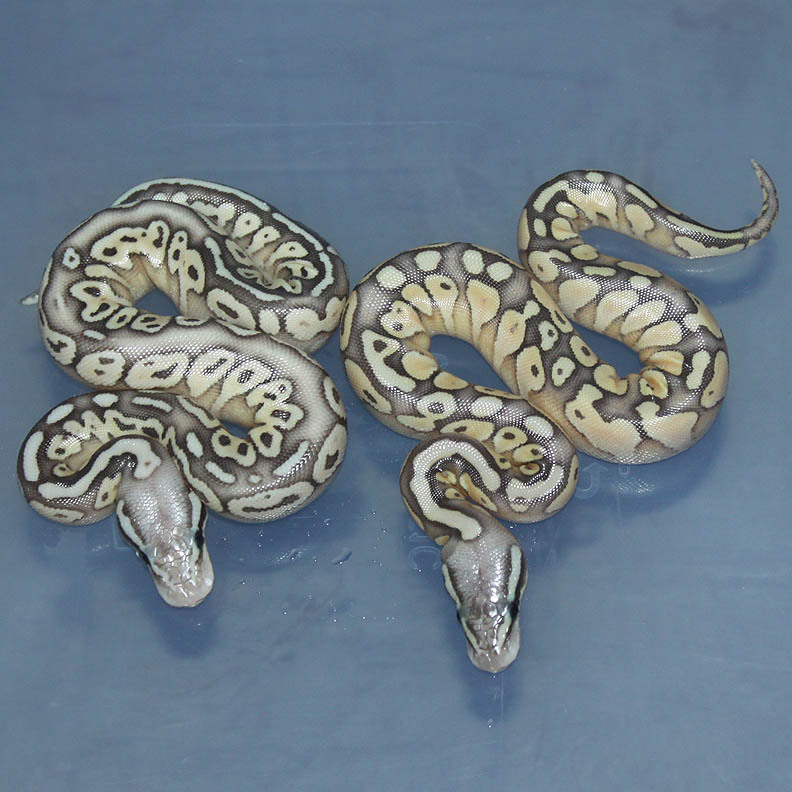 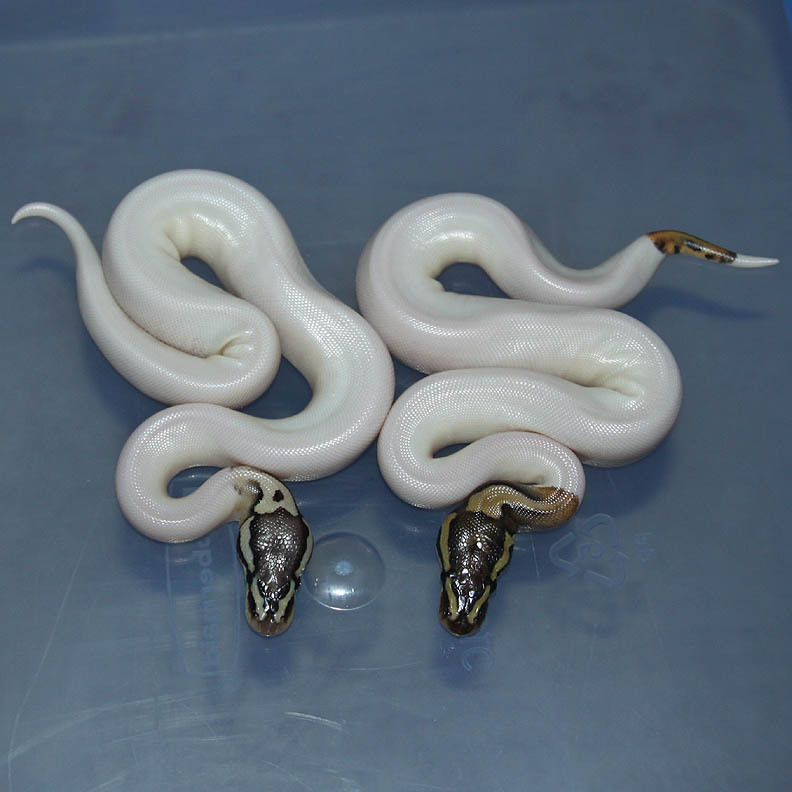 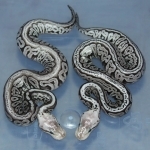 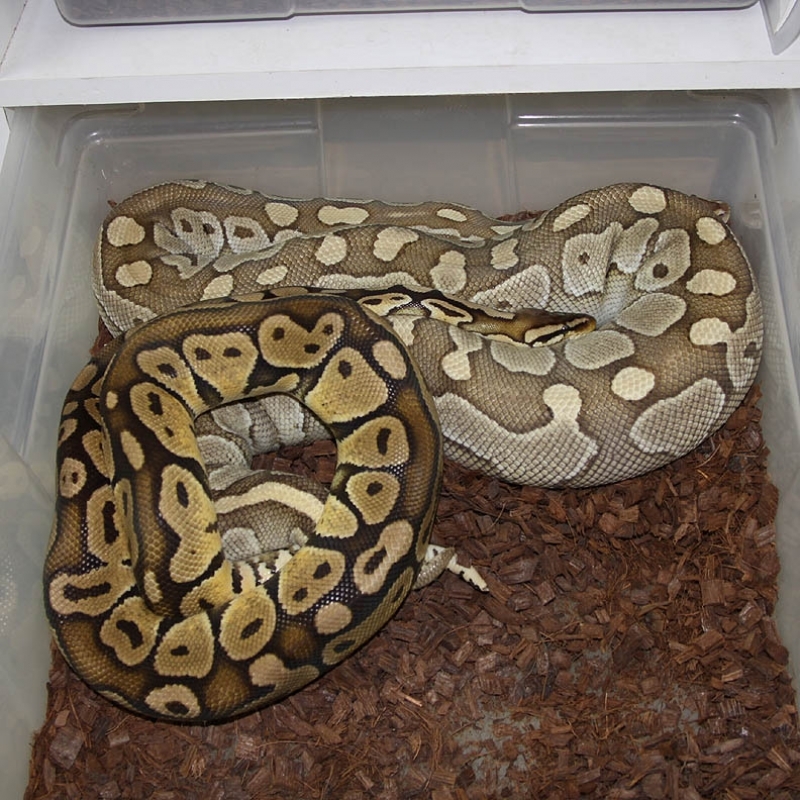 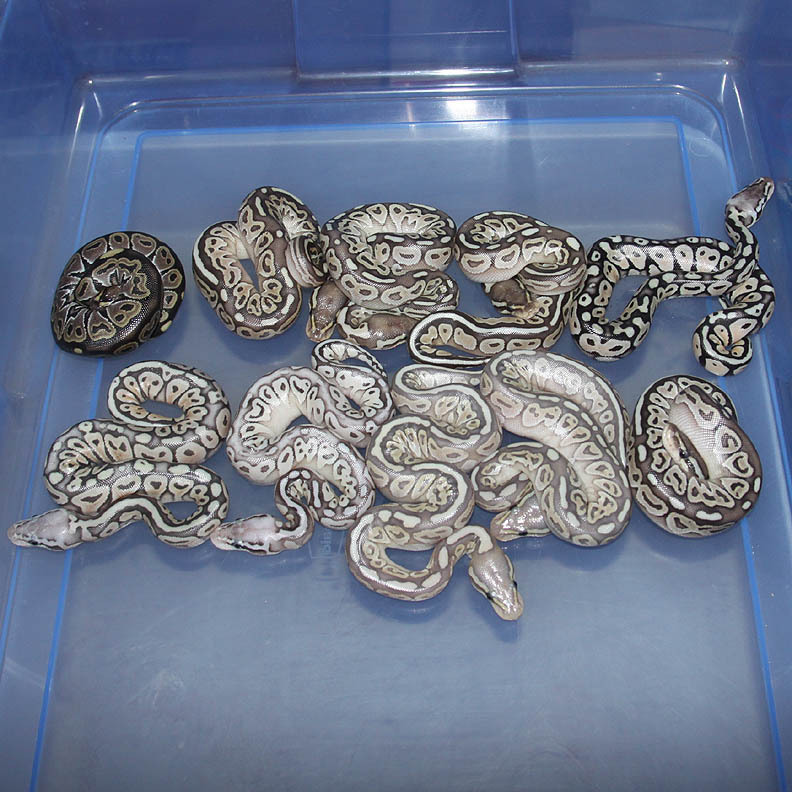 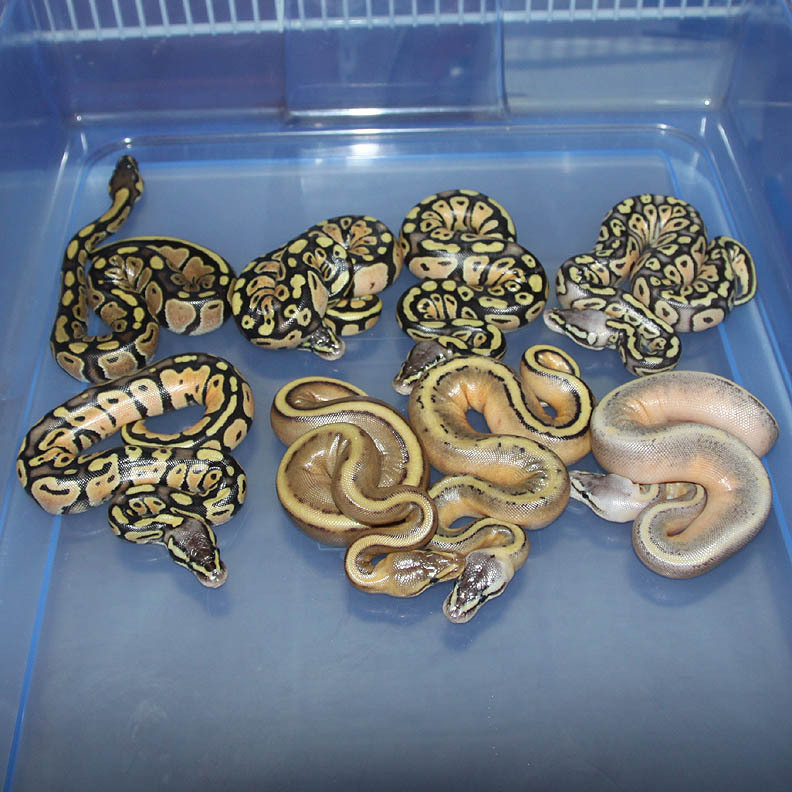 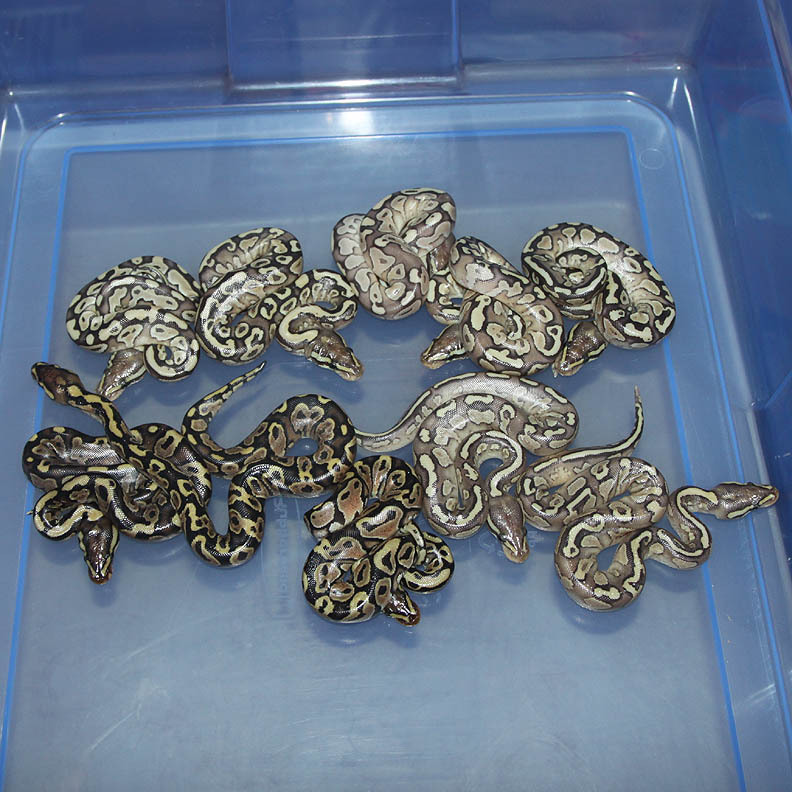 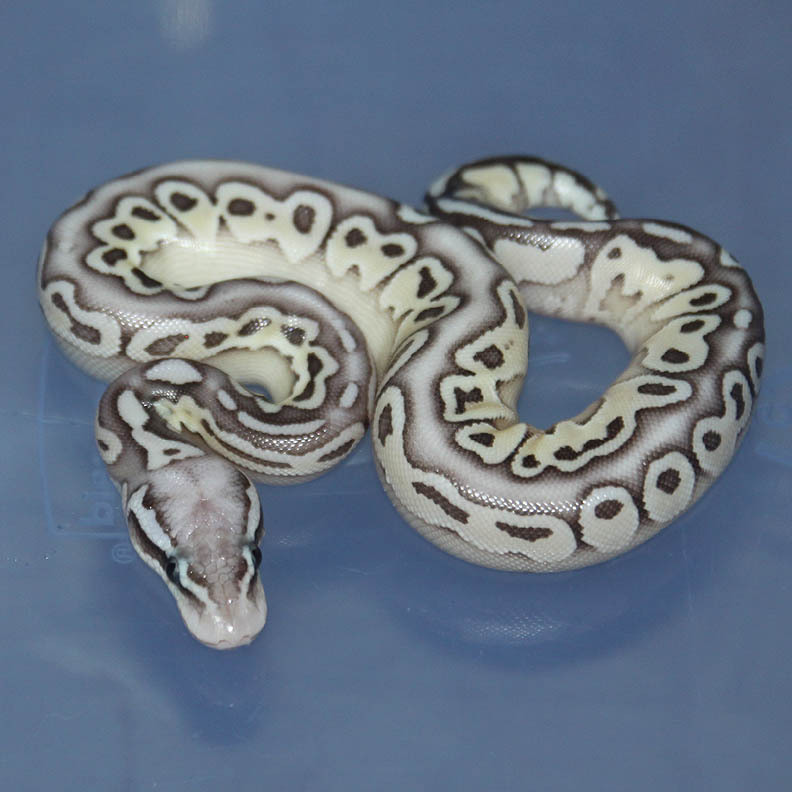 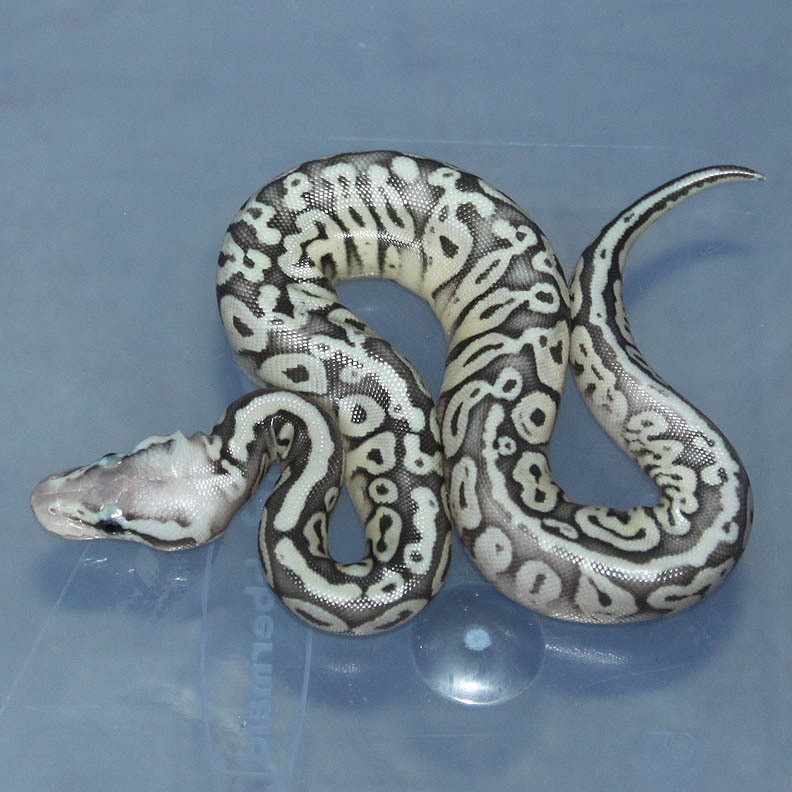 The 2 Pastel Lesser GS HRA are super nice!!! 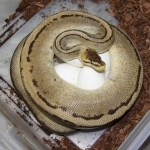 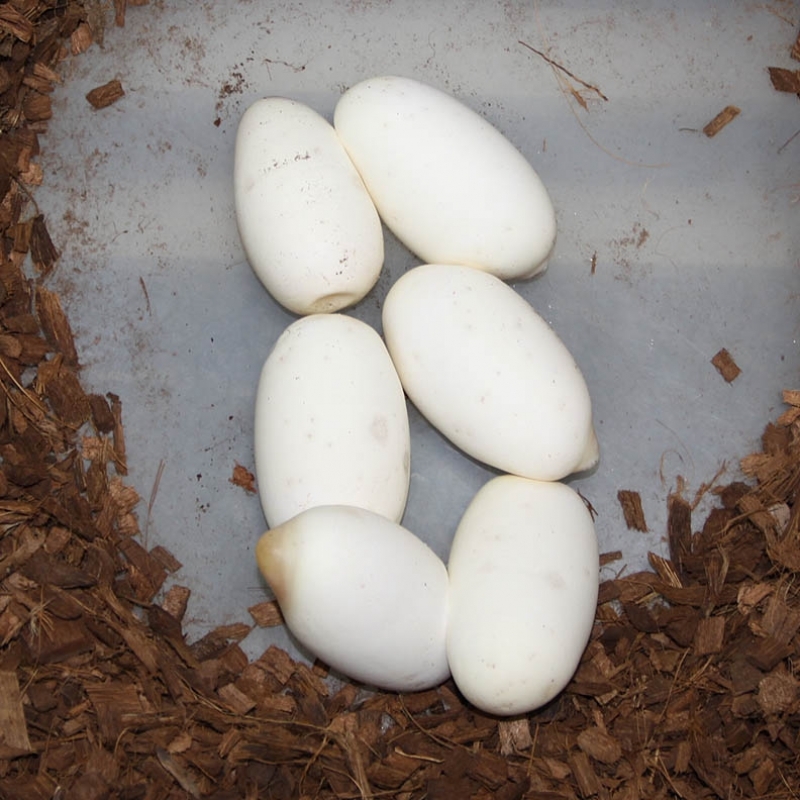 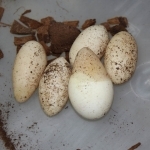 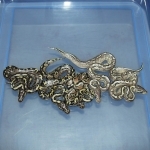 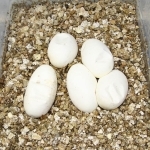 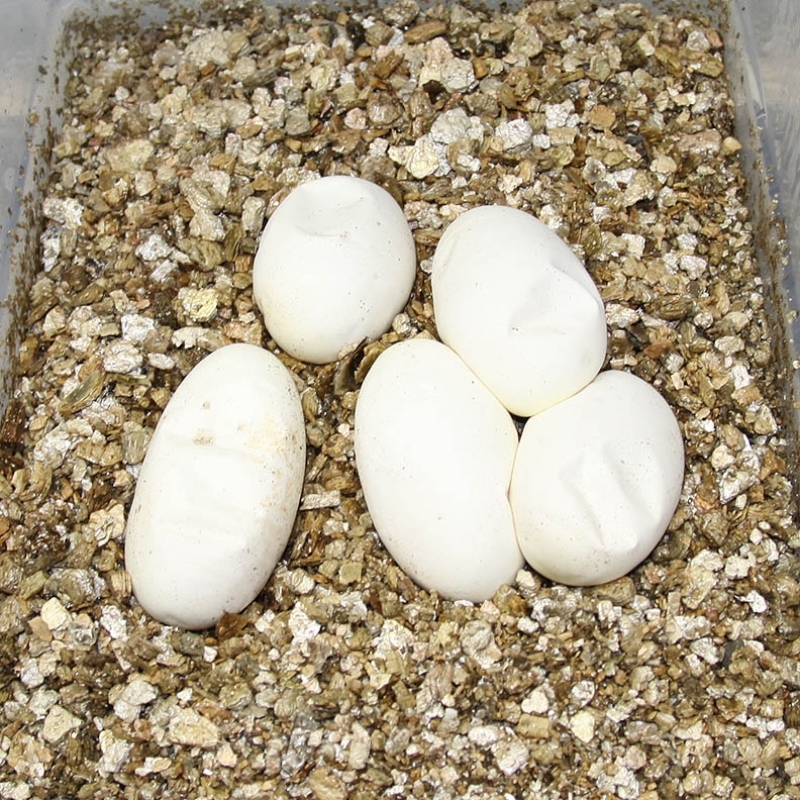 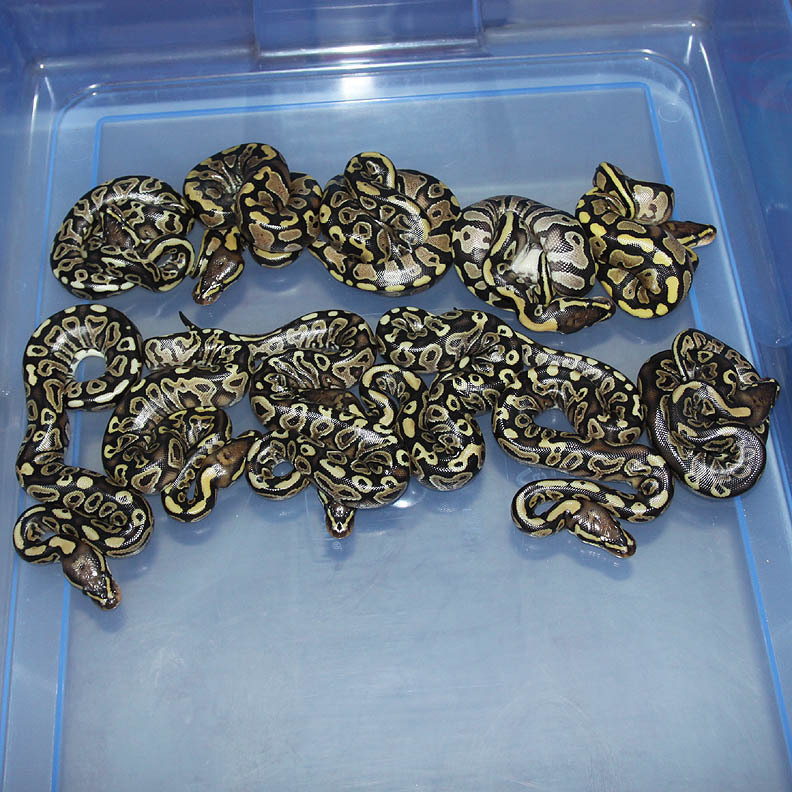 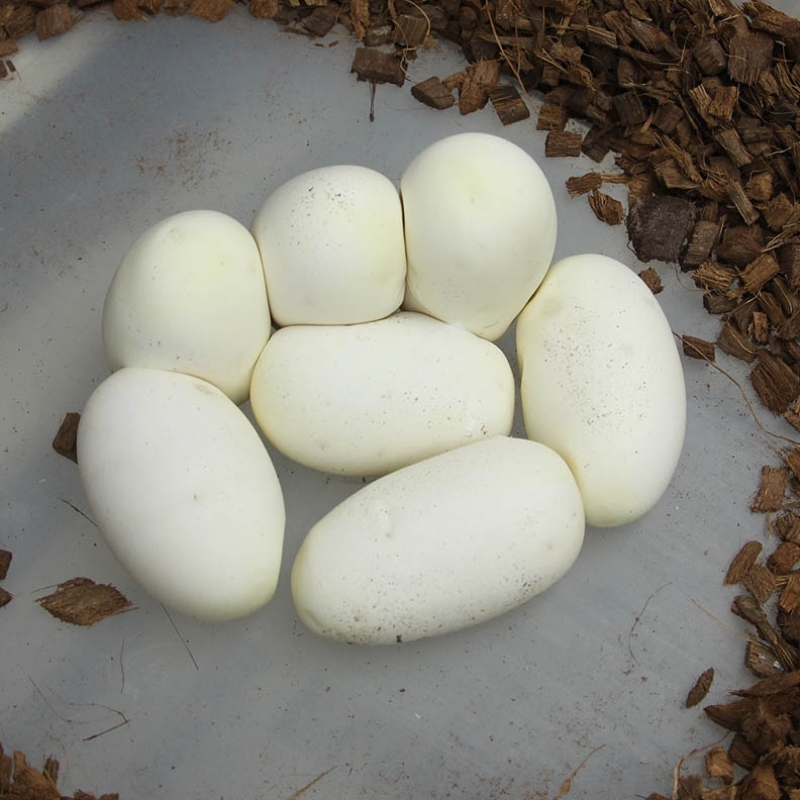 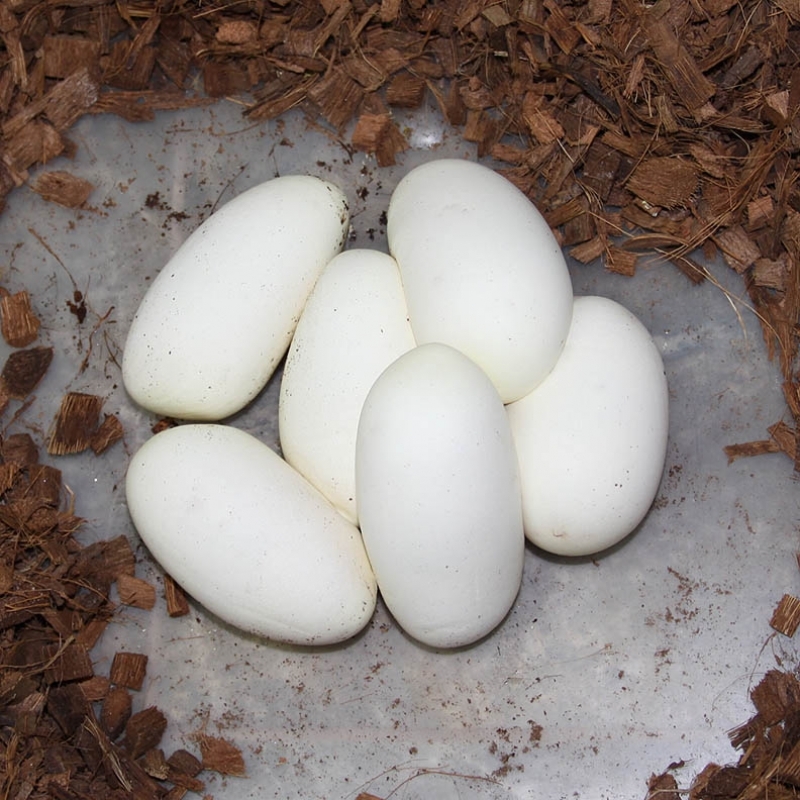 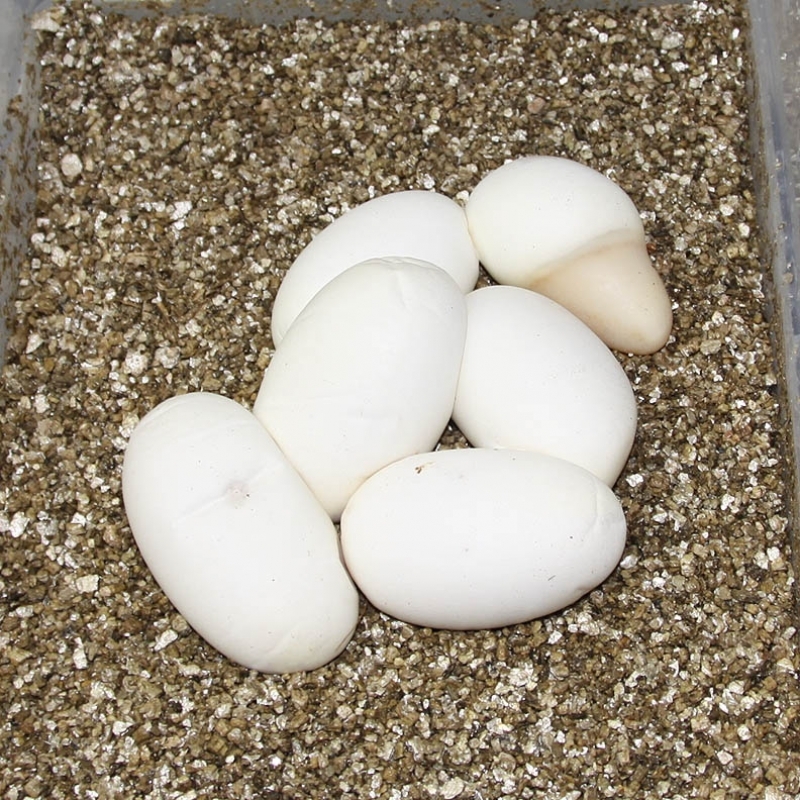 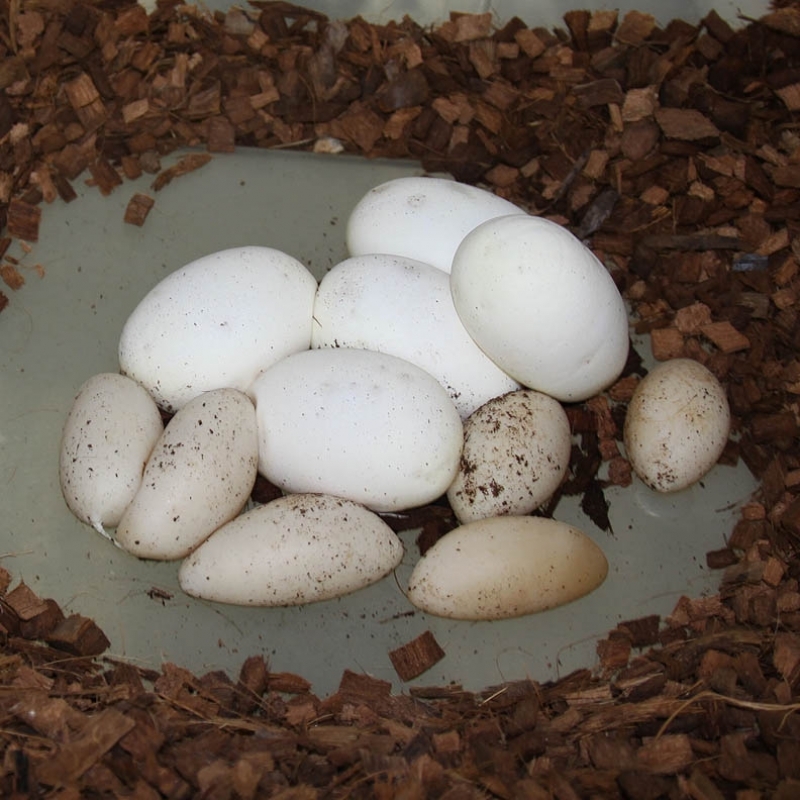 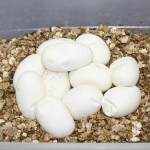 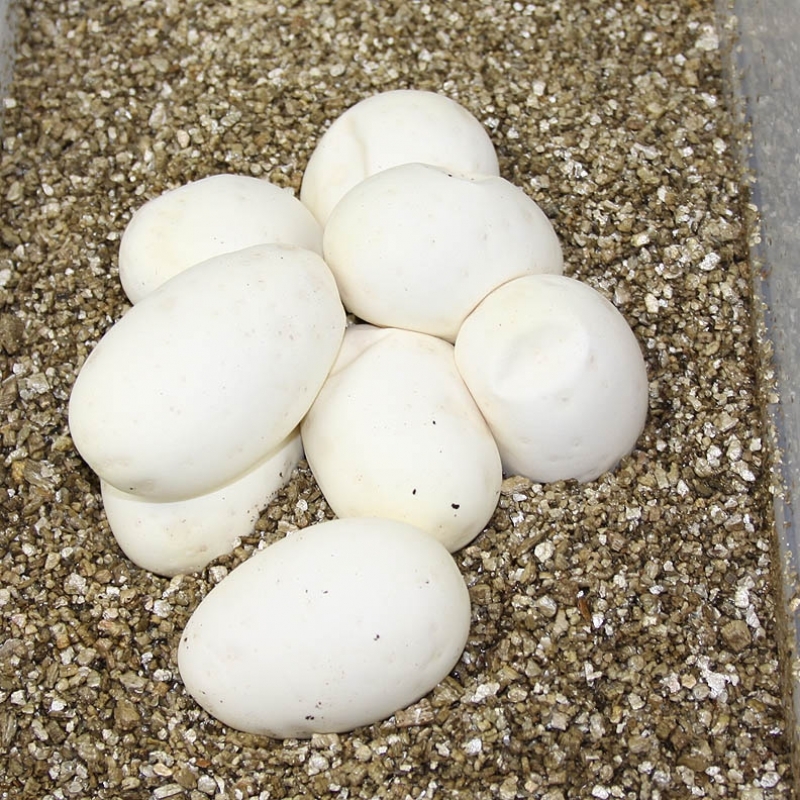 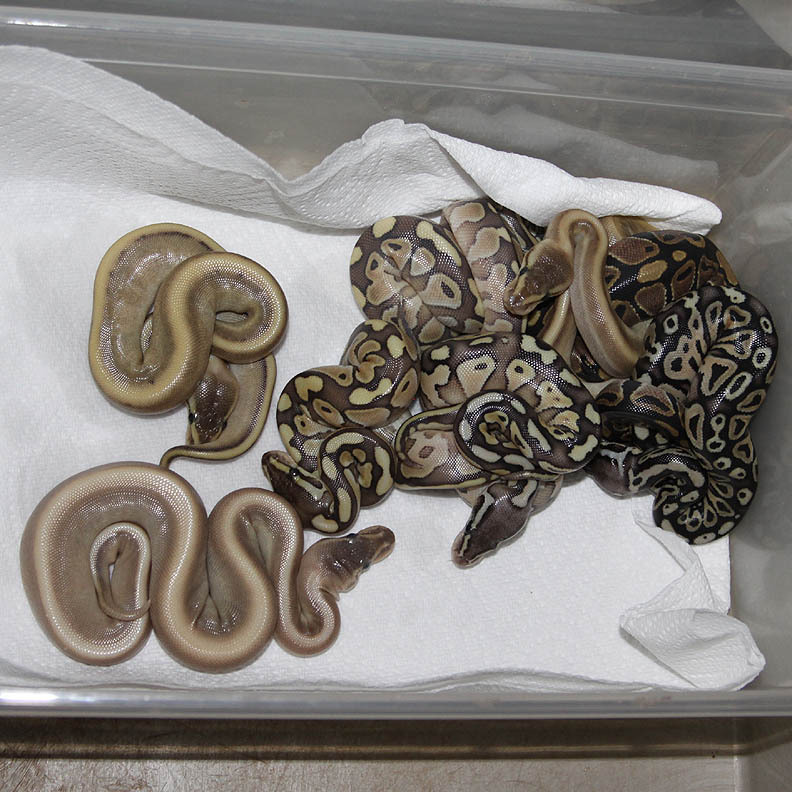 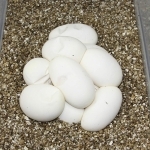 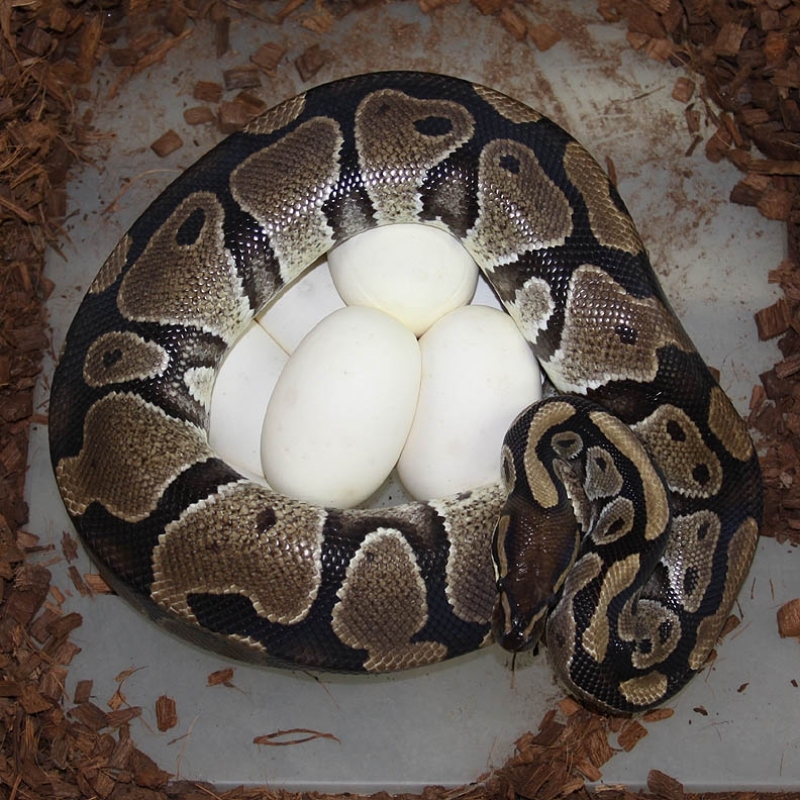 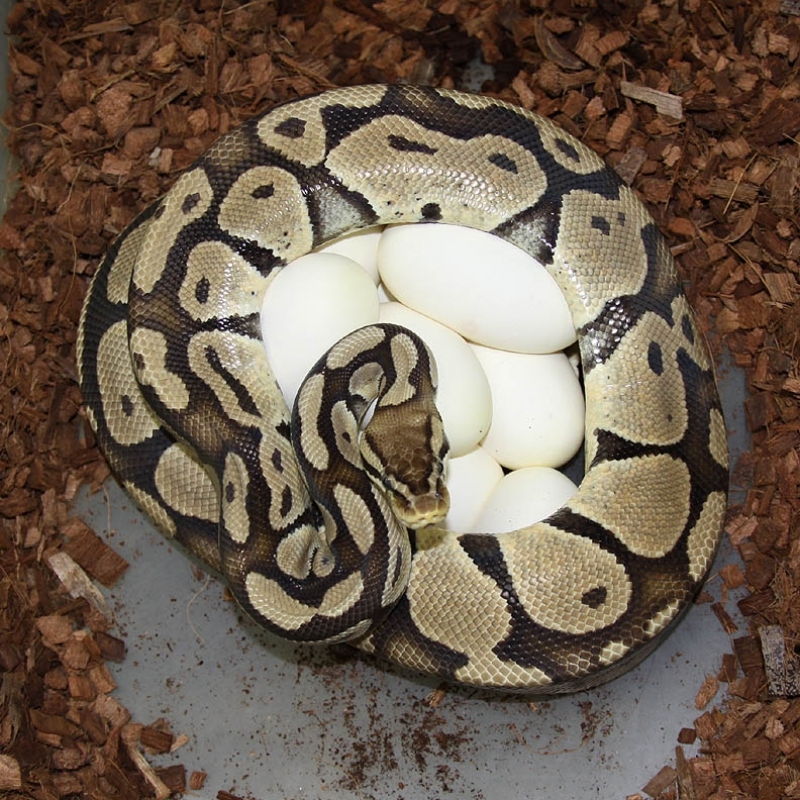 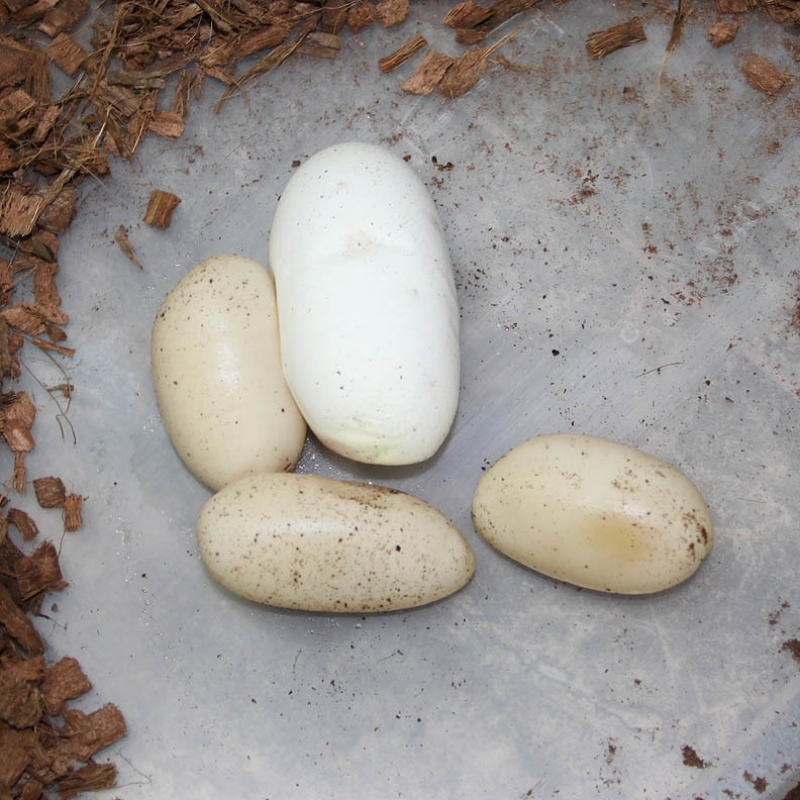 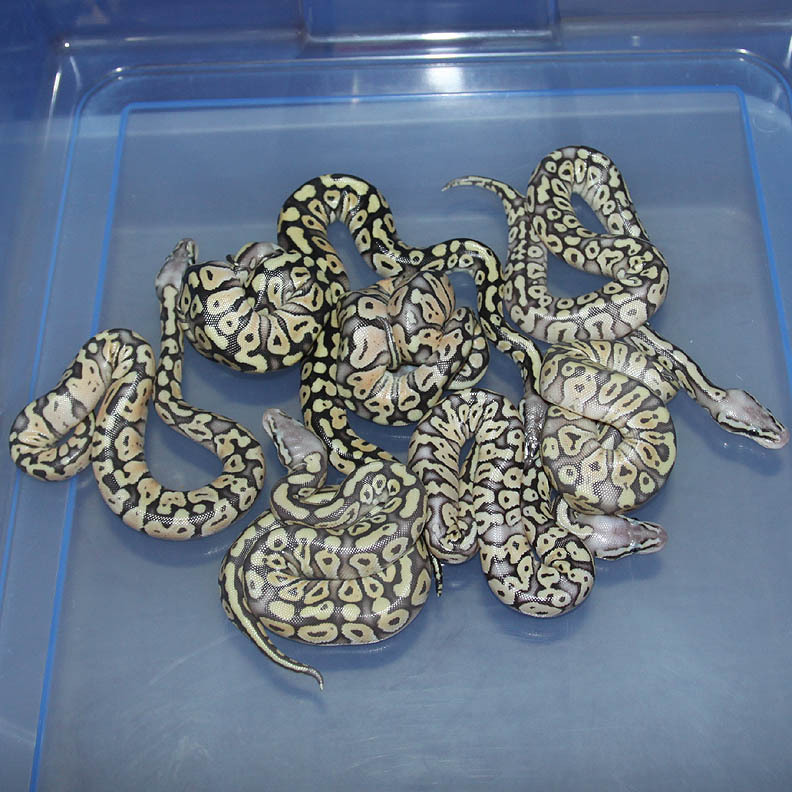 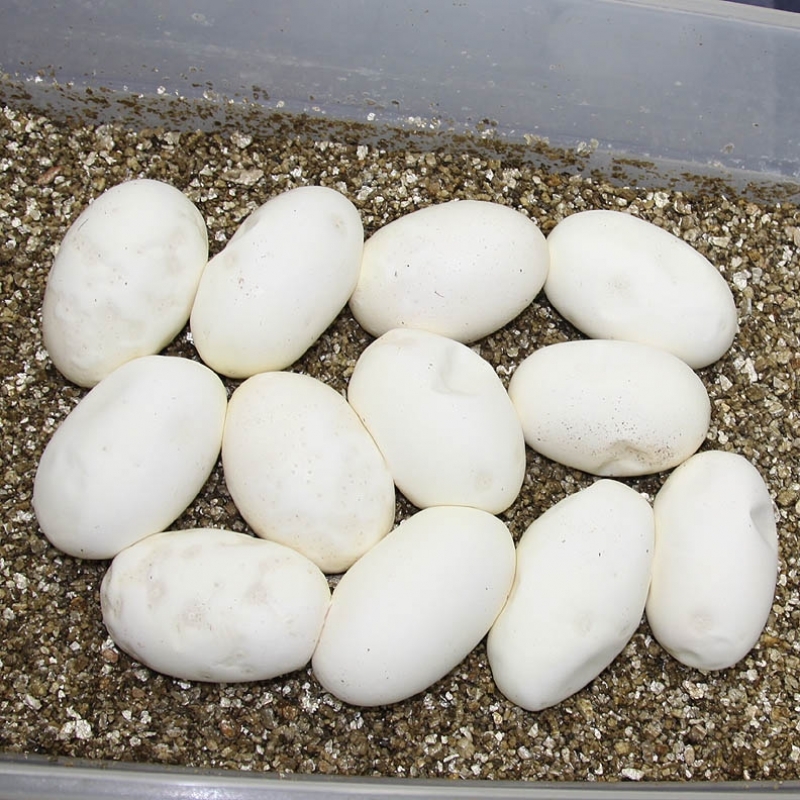 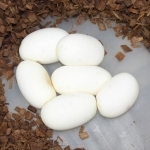 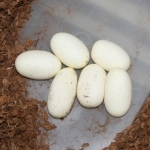 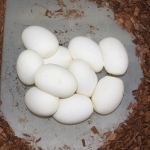 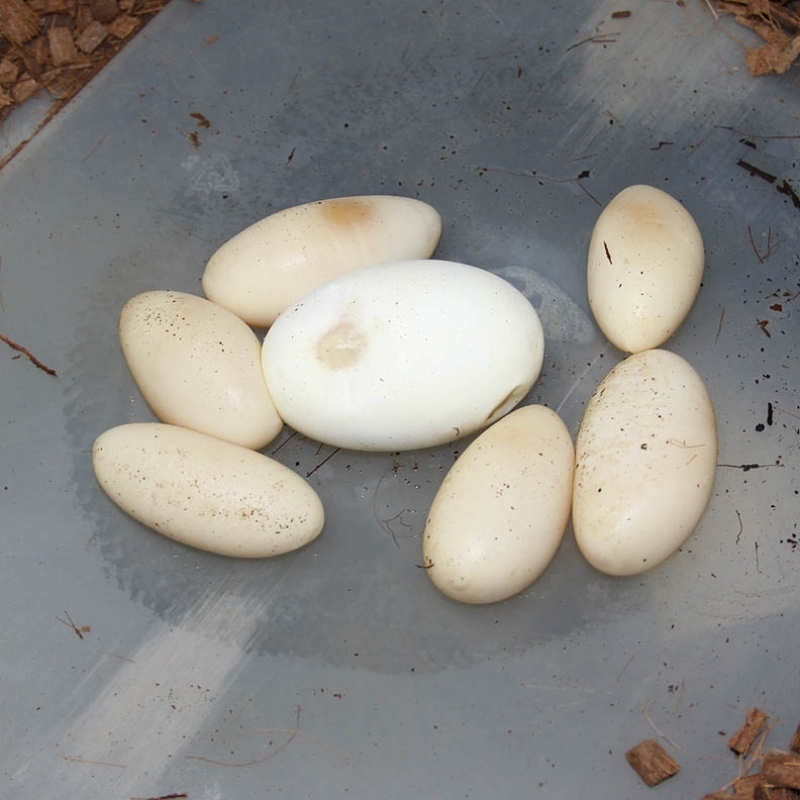 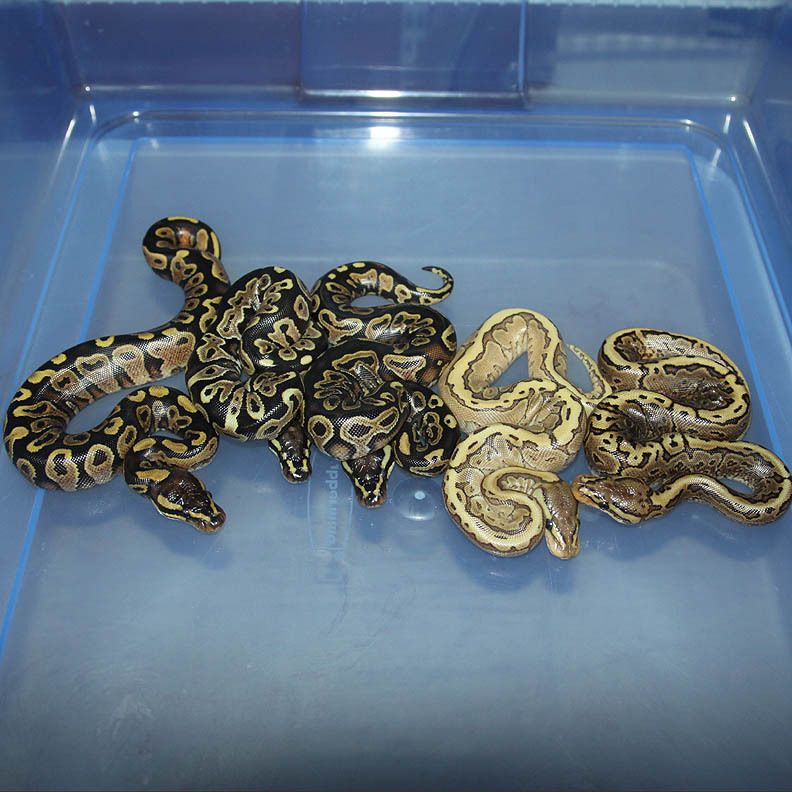 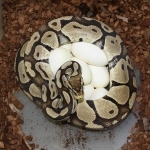 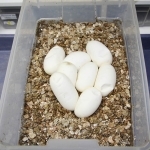 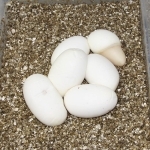 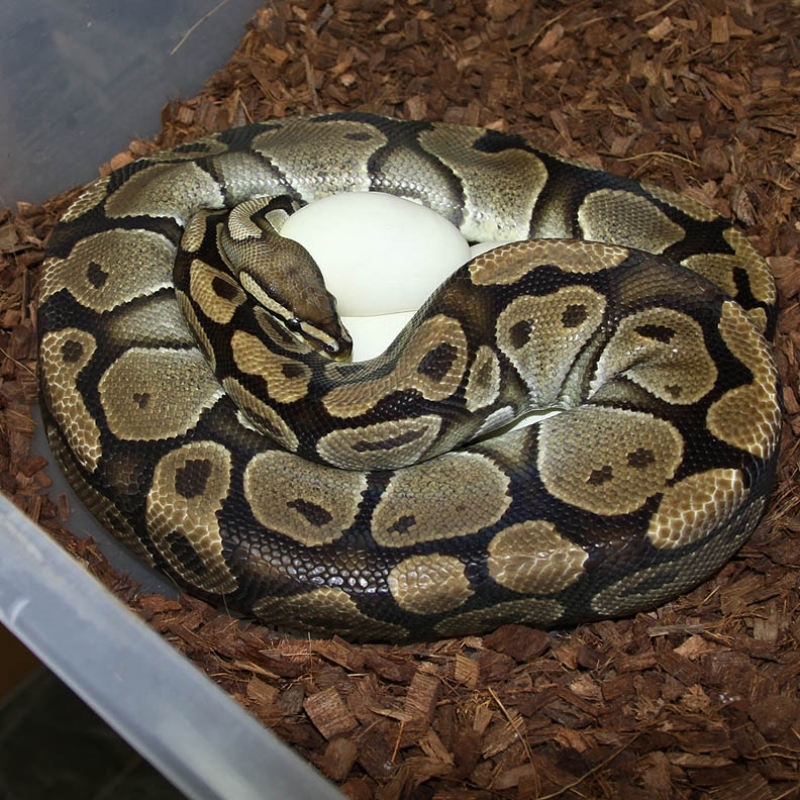 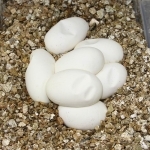 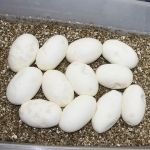 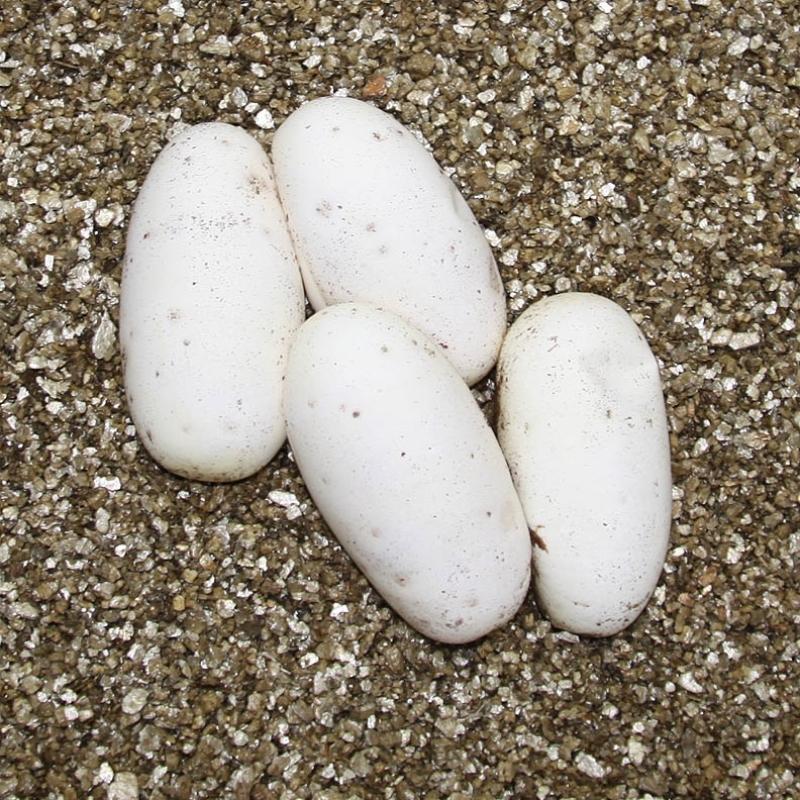 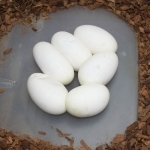 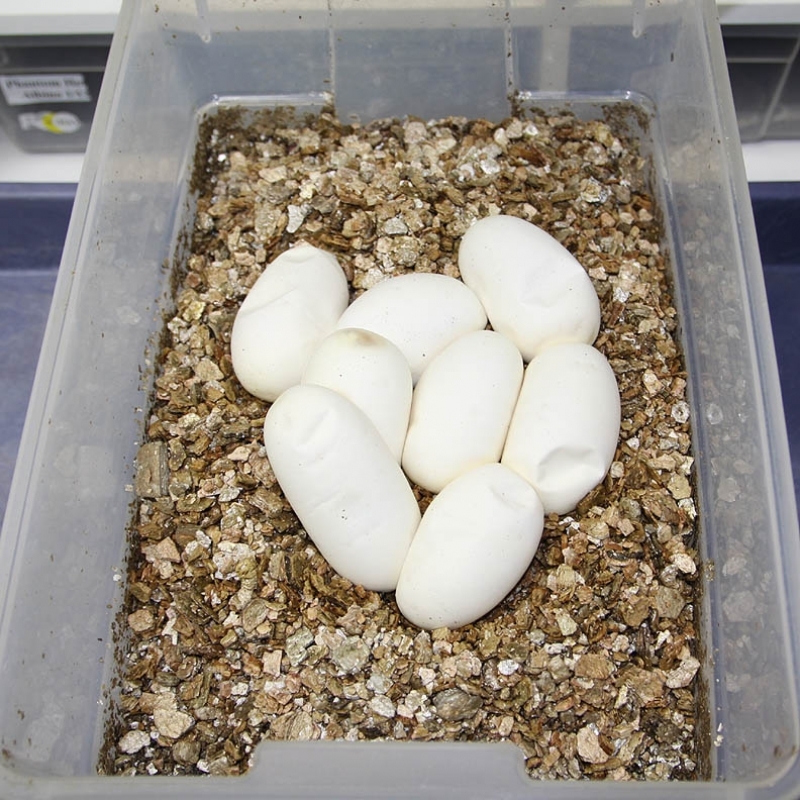 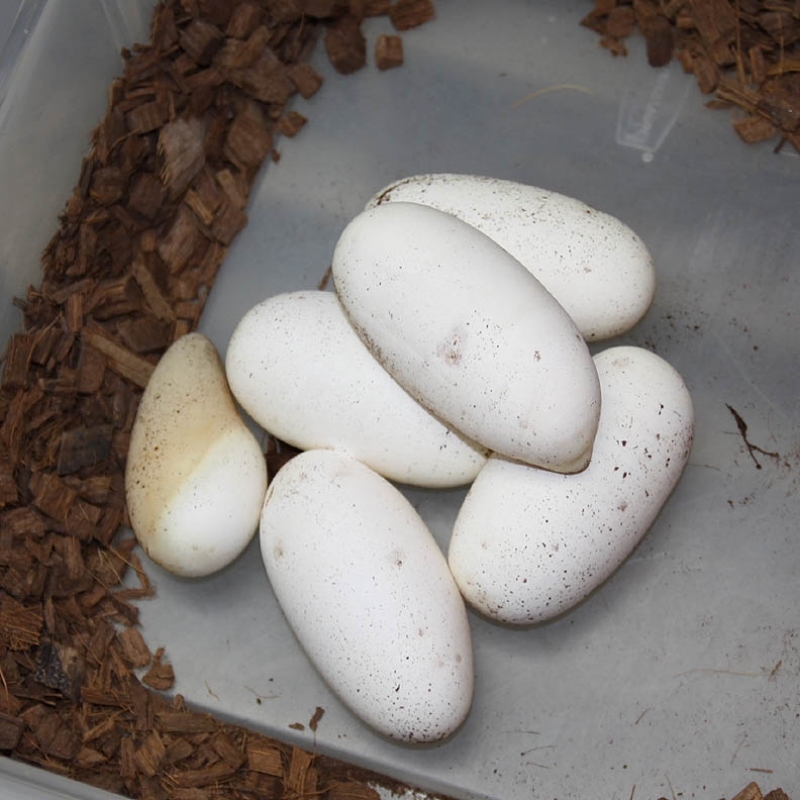 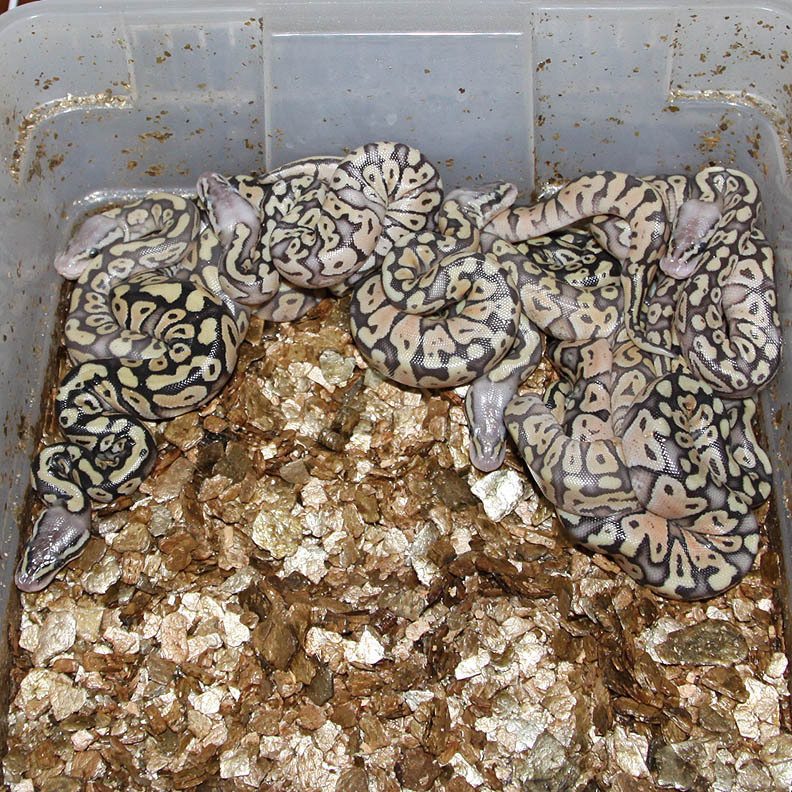 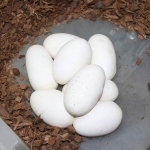 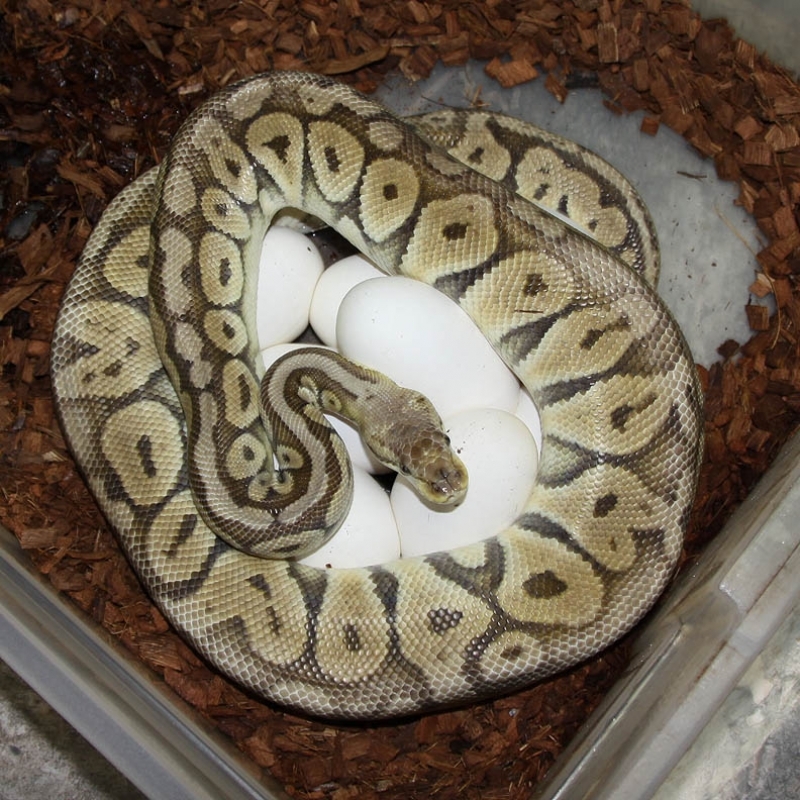 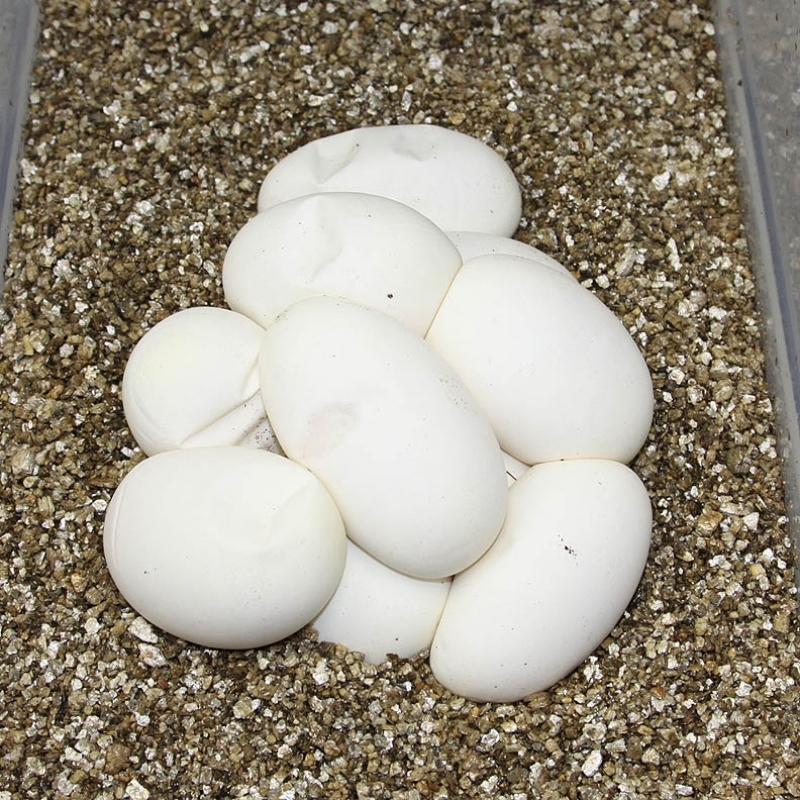 Description: Pastel Lesser Het Red Axanthic Het Lavender PHGS 1/12 x Het Lavender 1/10 JW. 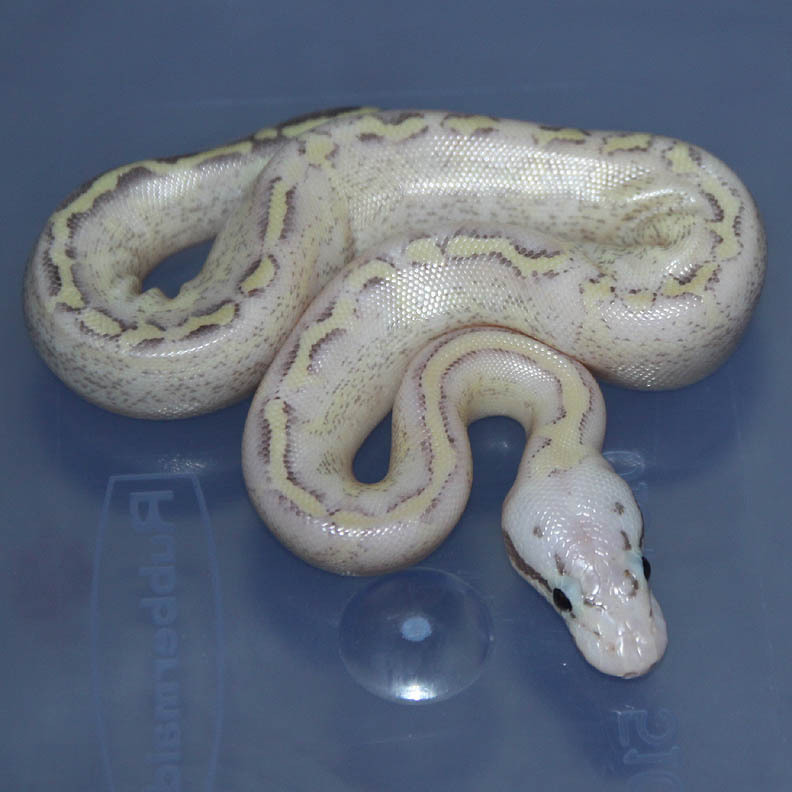 I will post updated pictures of the Pastel Lesser Lavender after he sheds. 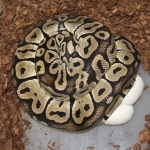 Fresh out of the egg he looks amazing so I'm sure he's just going to get better and better! 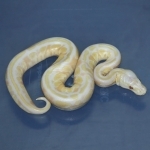 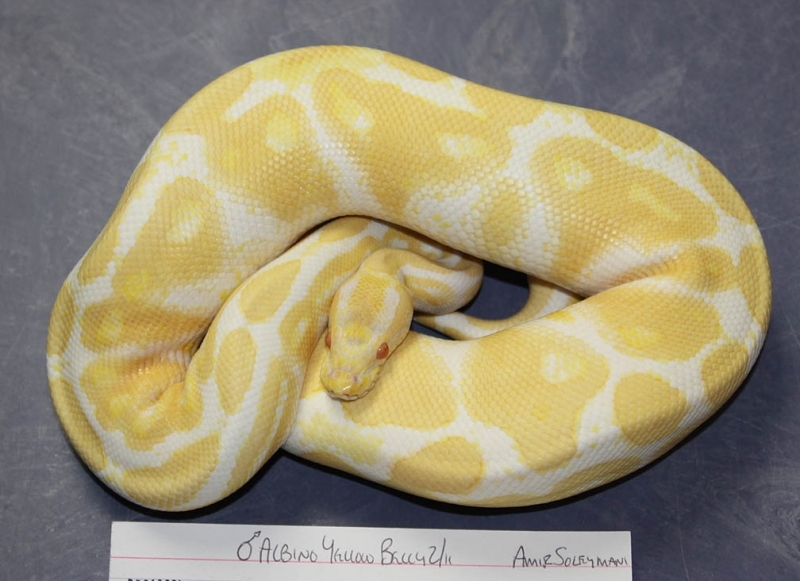 Description: Albino YB 2/11 x YB 6/08 JS. 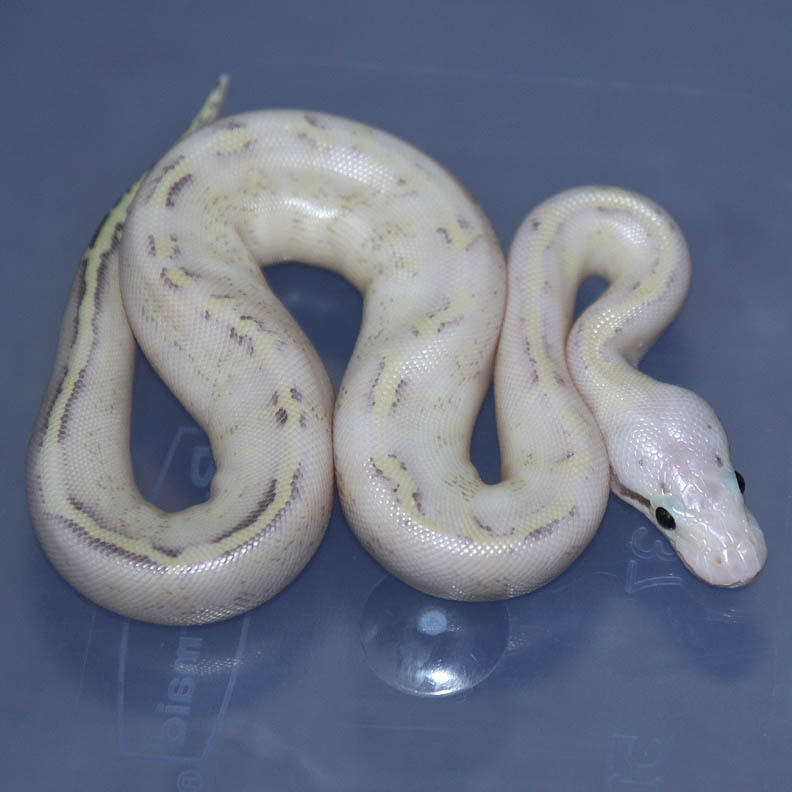 Either I have really bad luck (which is possible) or the "Albino YB" is really just an Albino. 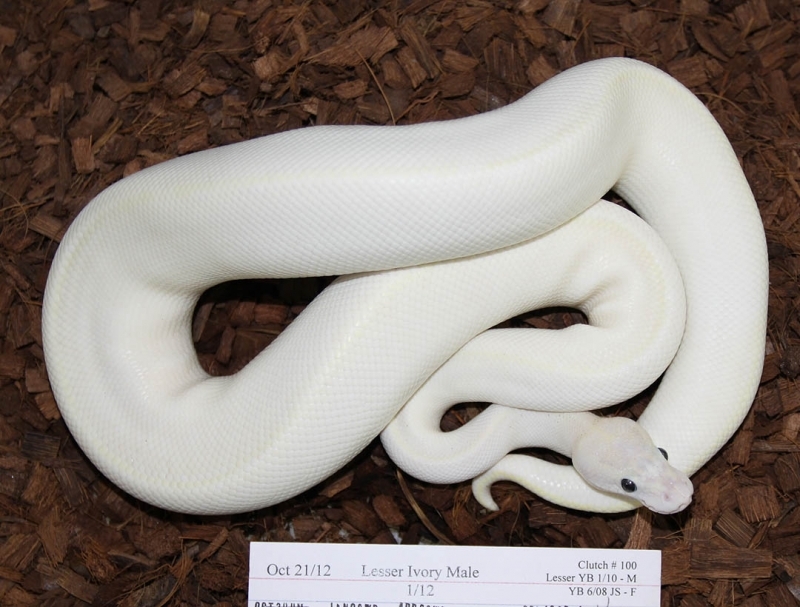 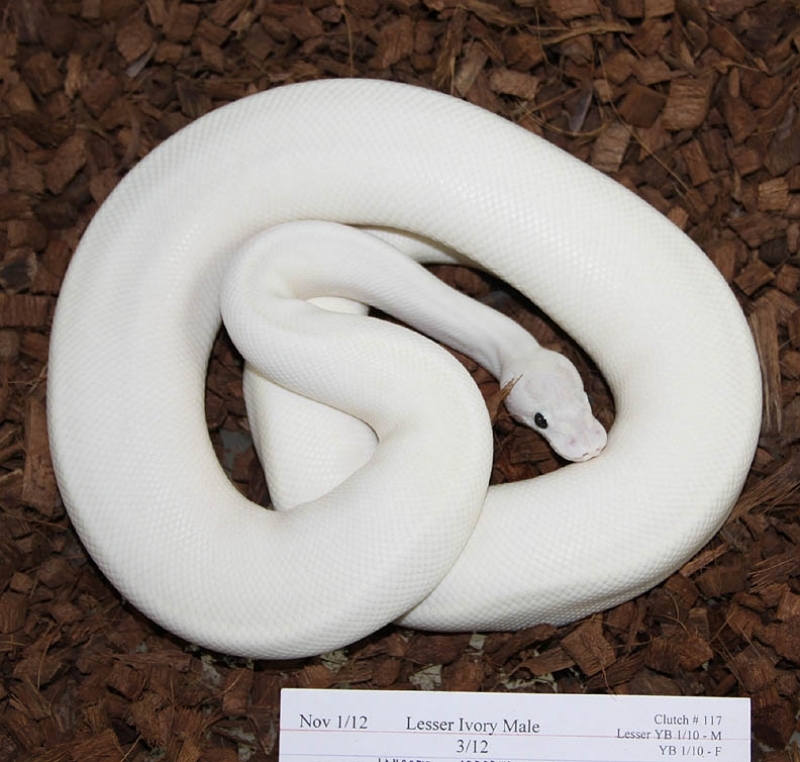 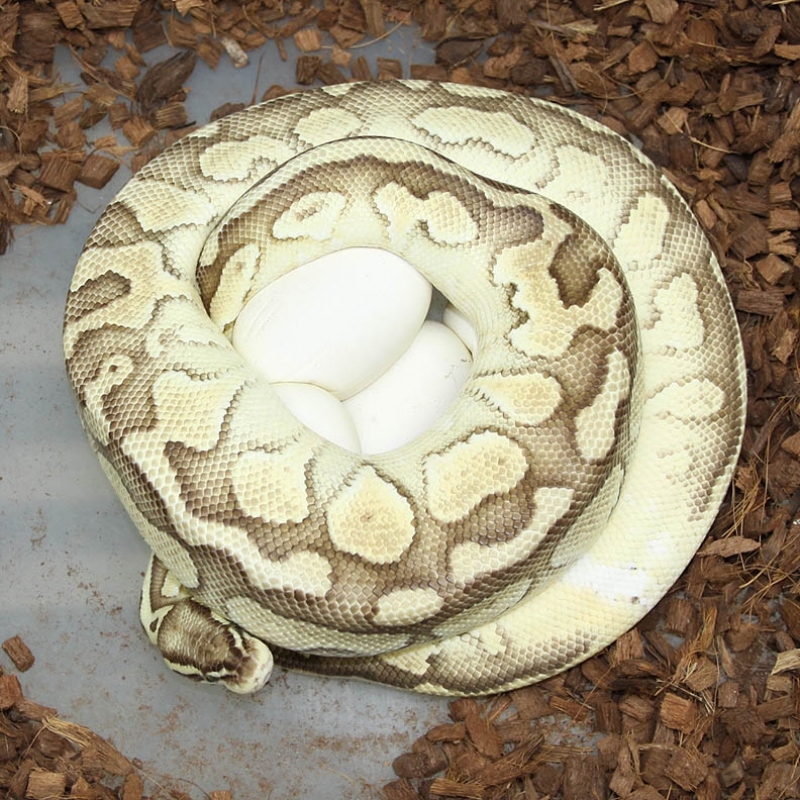 If he's just a regular Albino it will be disappointing due to the fact that I'm going to have 6 clutches from him and was expecting to produce a bunch of Ivory Het albinos to further the Ivory/Puma/Highway Albino project. If he is just a regular Albino it really puts me back in this project. 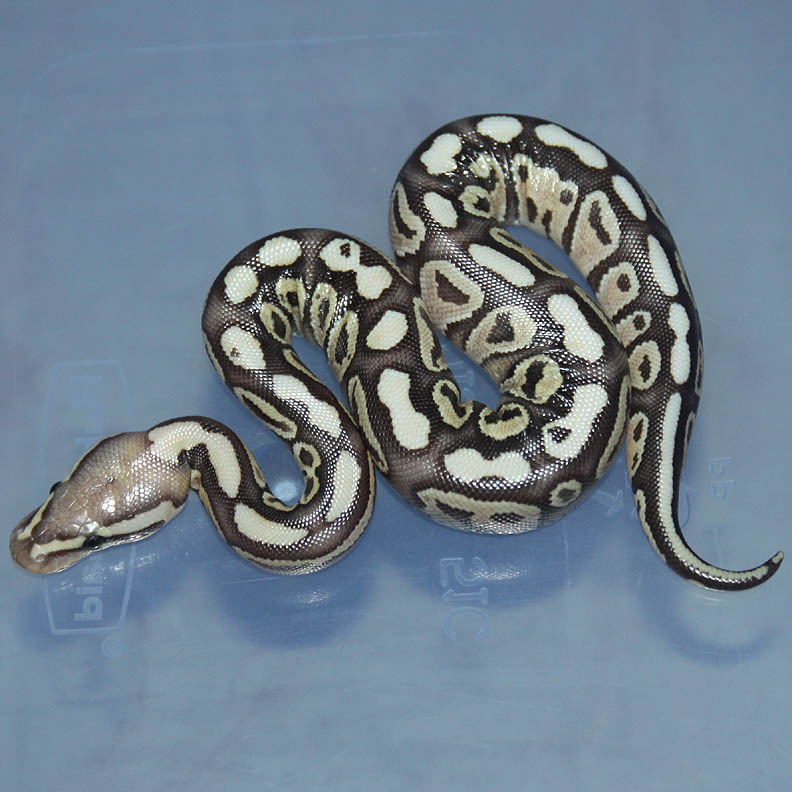 Description: Pastel Lavender Het Genetic Stripe 1/10 x Pastel Genetic Stripe 1/07. 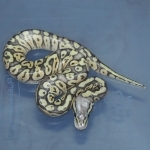 Description: Pastel Phantom HOG 1/12 x SPOG 4/06. 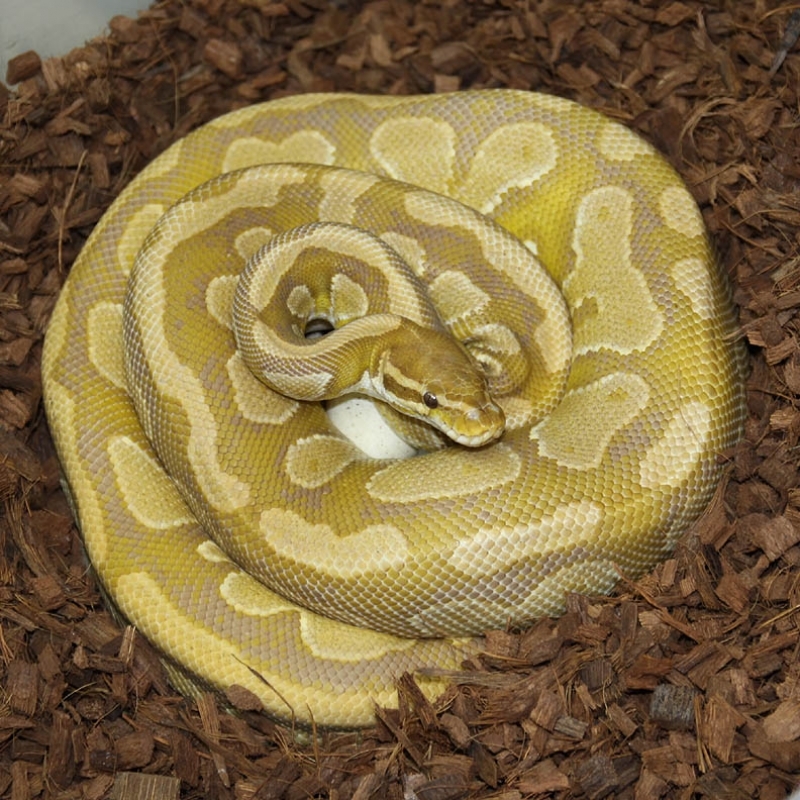 Description: Pastel Pin Champagne Het Caramel 1/12 x Caramel 1/08 JS. 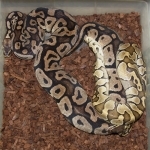 Description: Lesser Het Caramel 1/12 x Pastel Het Caramel 1/09. 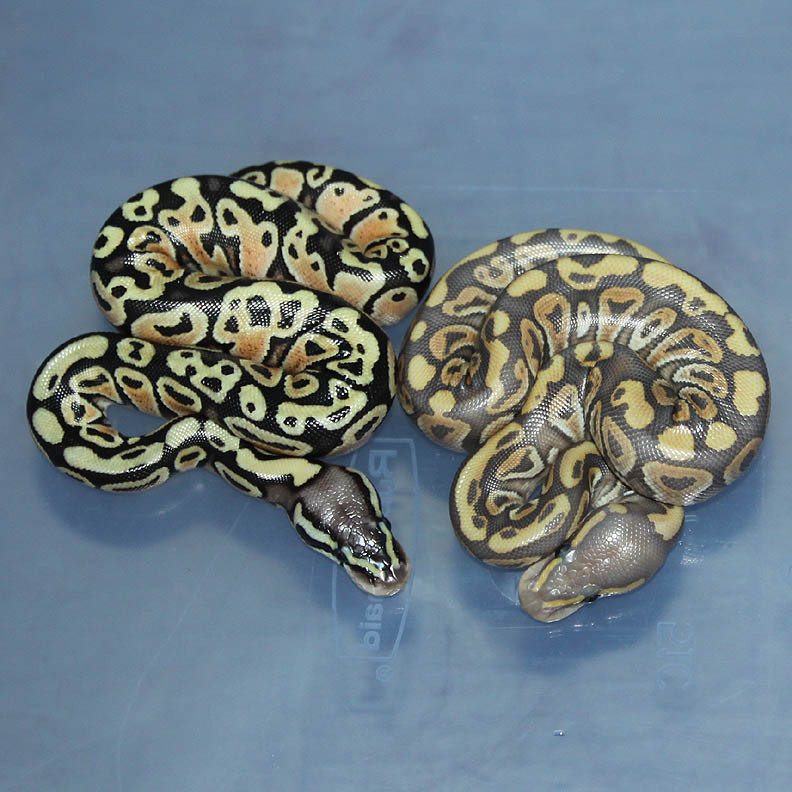 The Lesser Caramel and Pastel Lesser Caramel are really nice!! 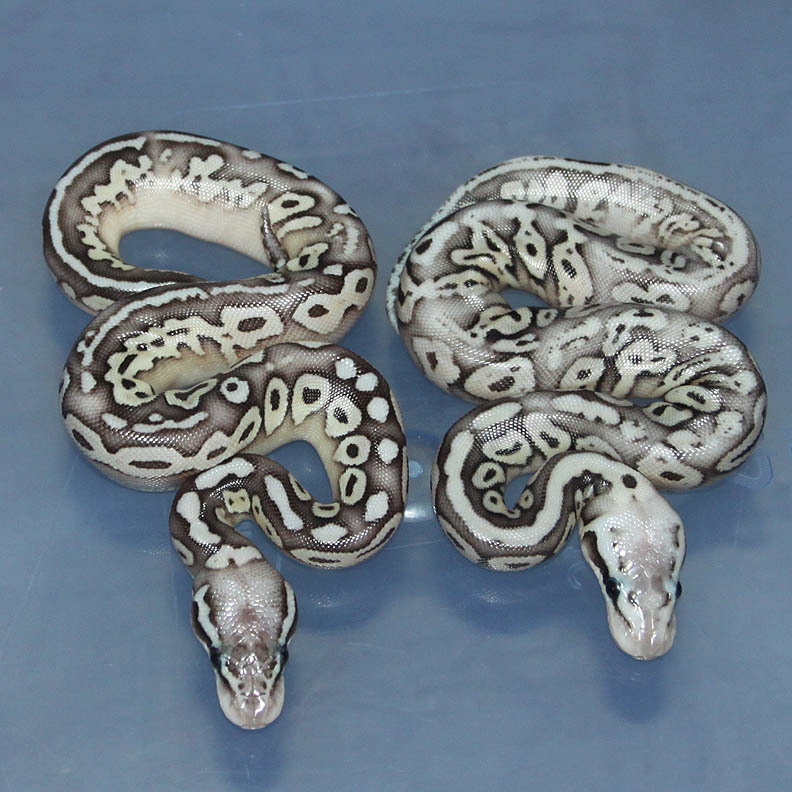 Description: Funky YB 1/11 x Funky 2/08. 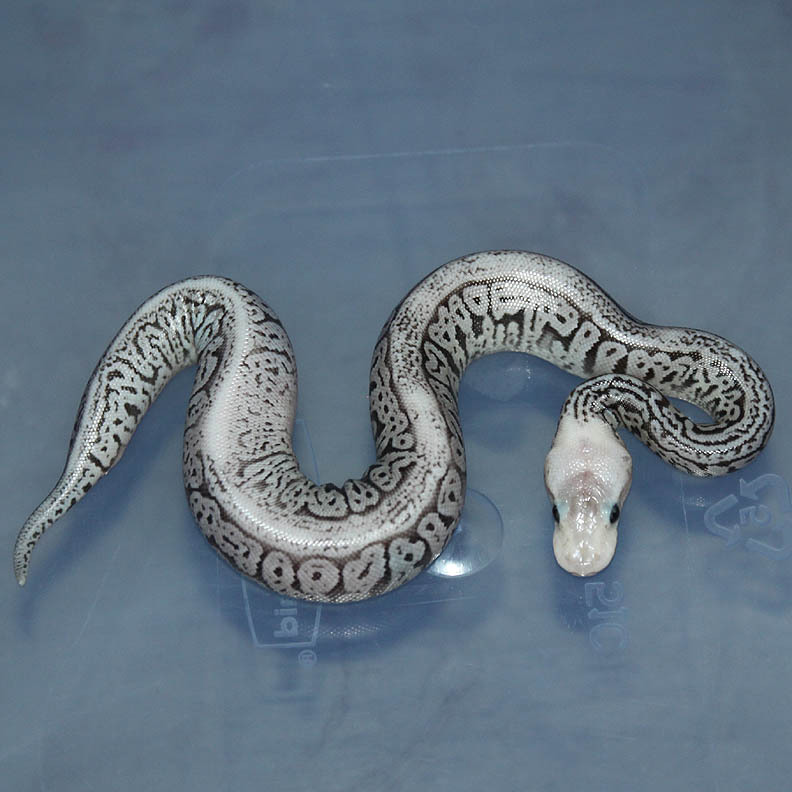 Another chance at a super??? 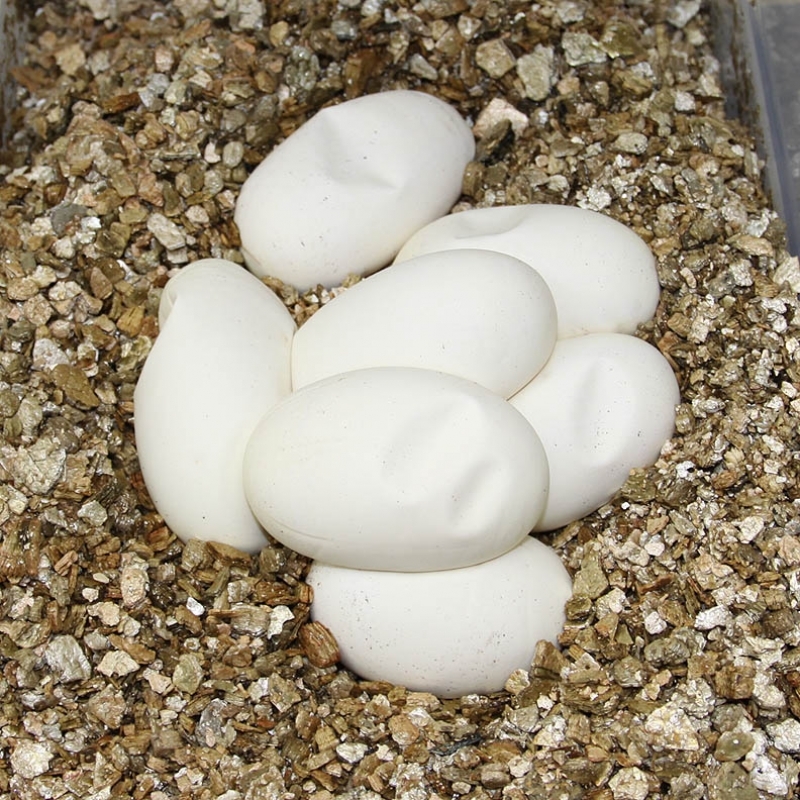 All with the chance of having the "Dot Matrix" gene as well. 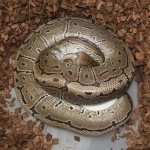 So, what's up with this vanishing pattern Super Pastel Red Axanthic "Dot Matrix"?????? 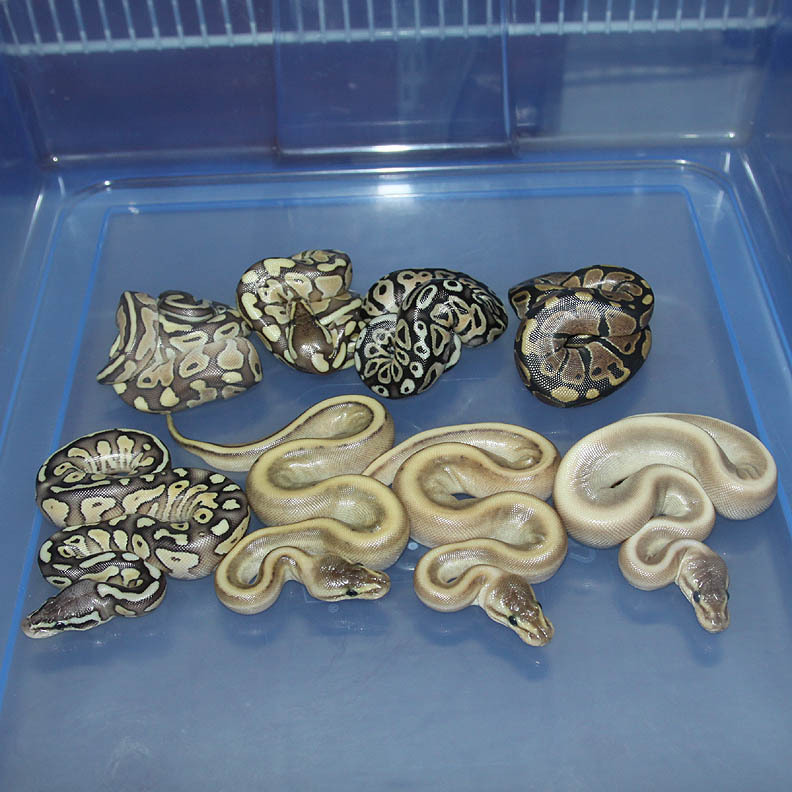 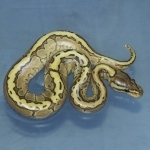 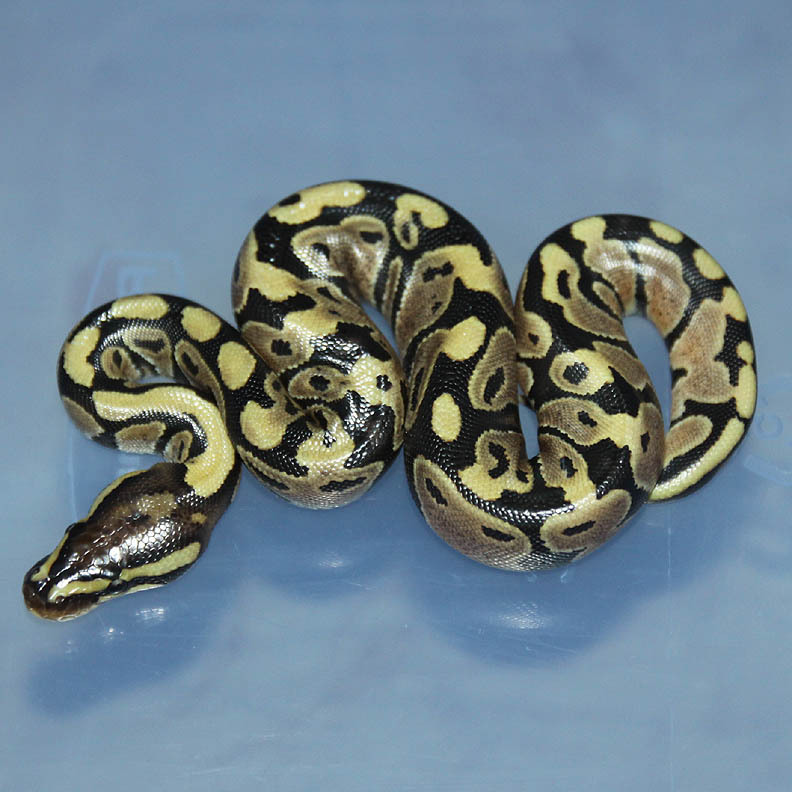 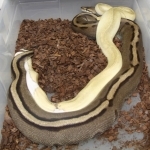 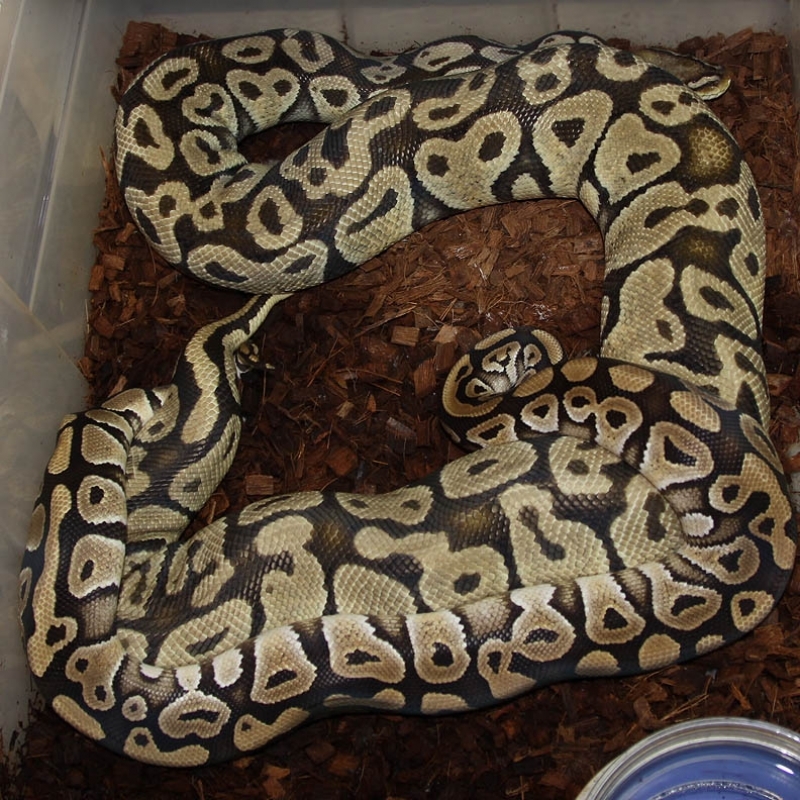 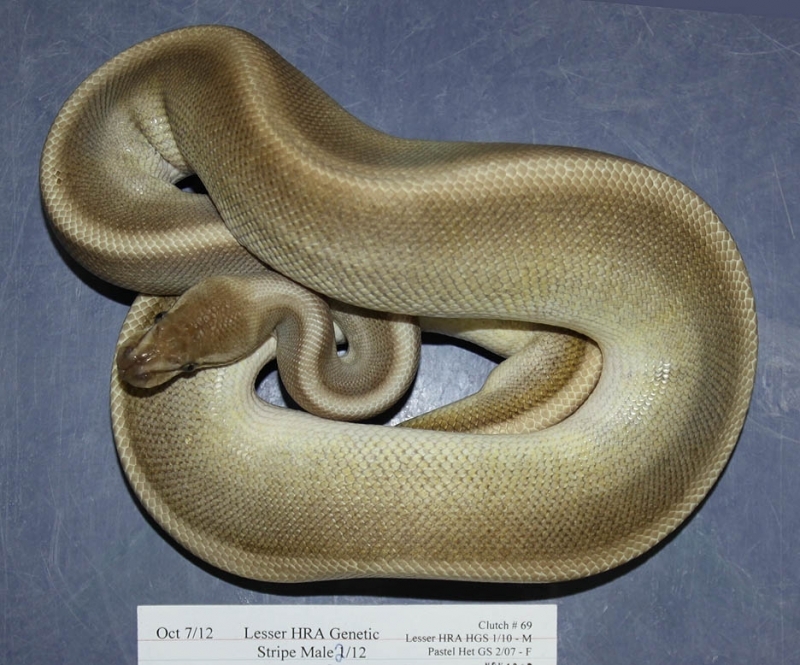 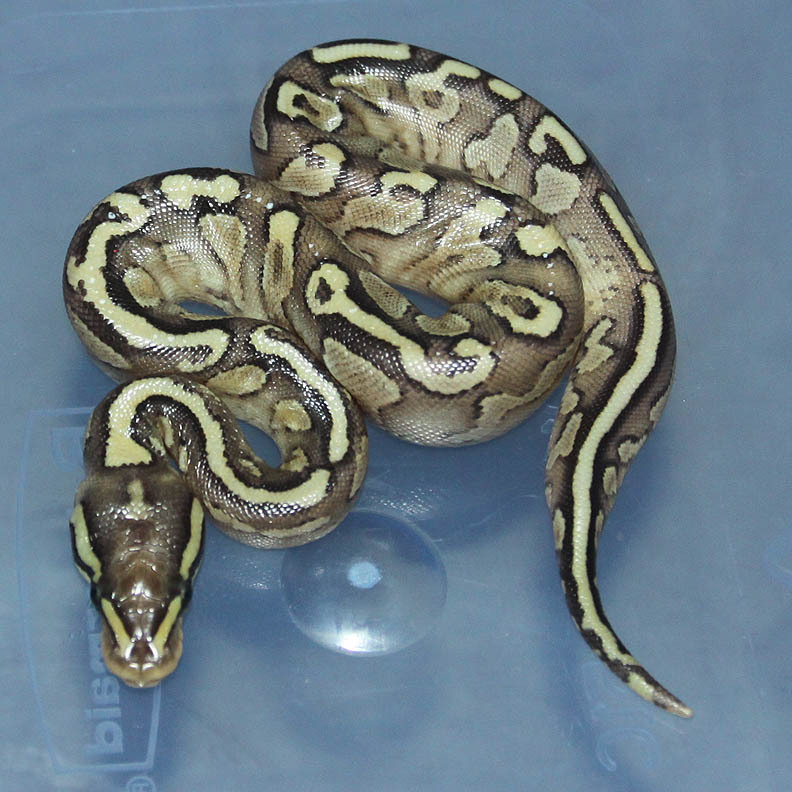 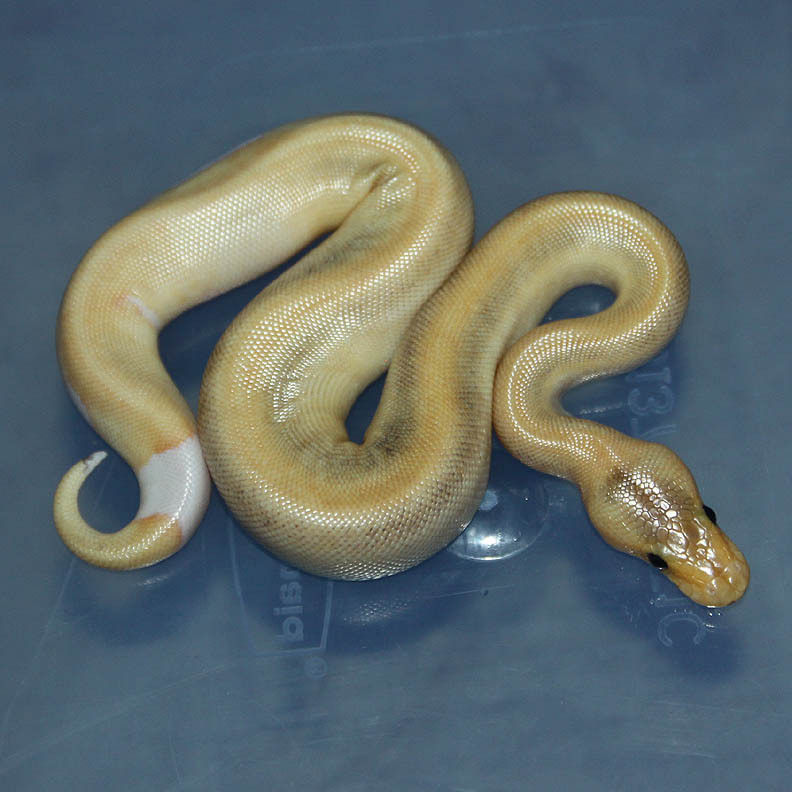 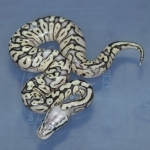 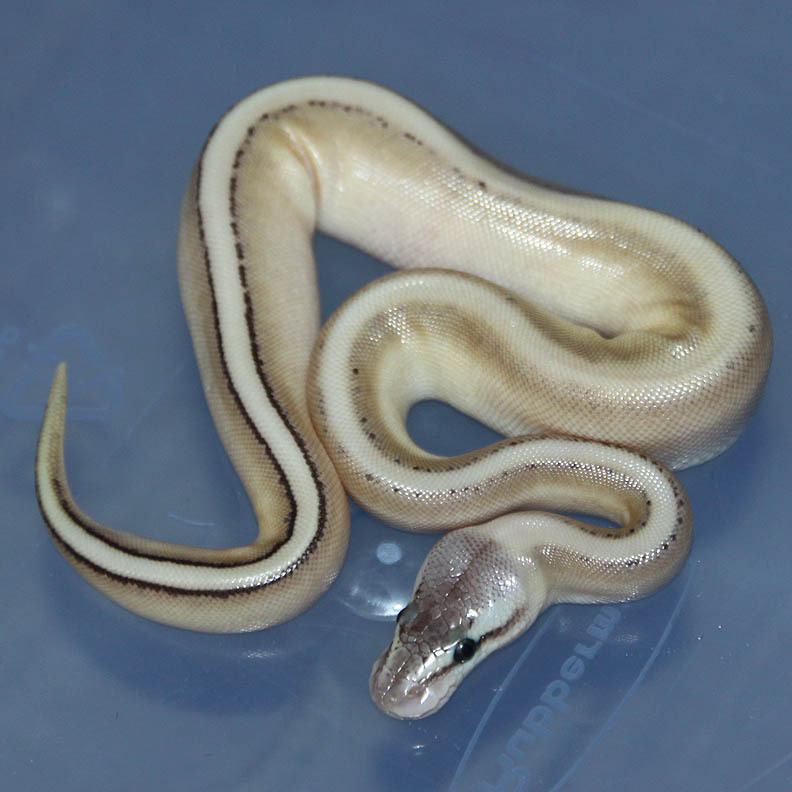 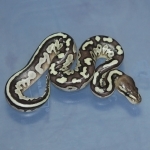 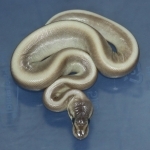 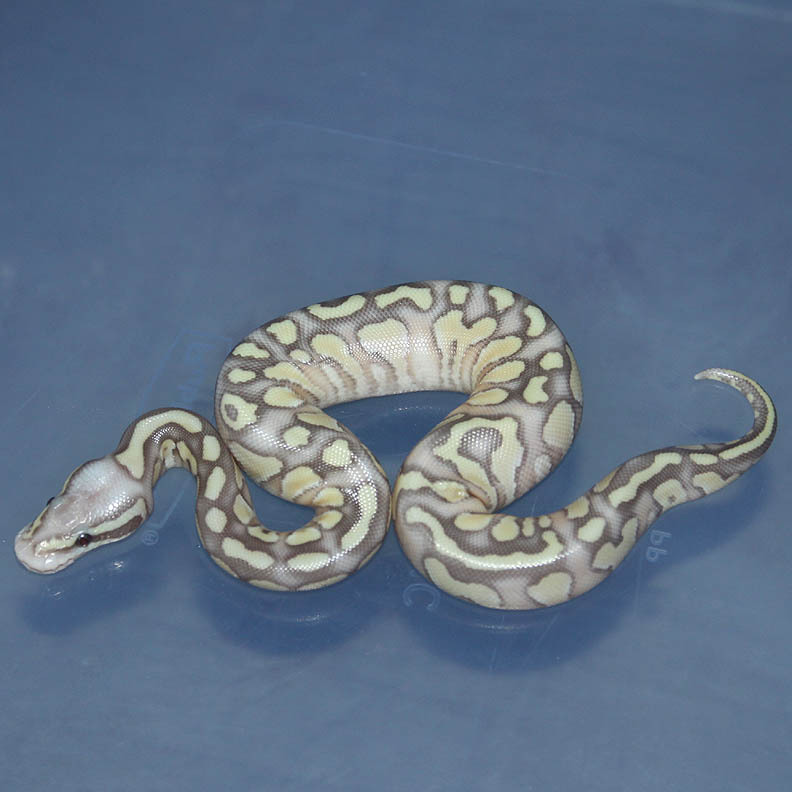 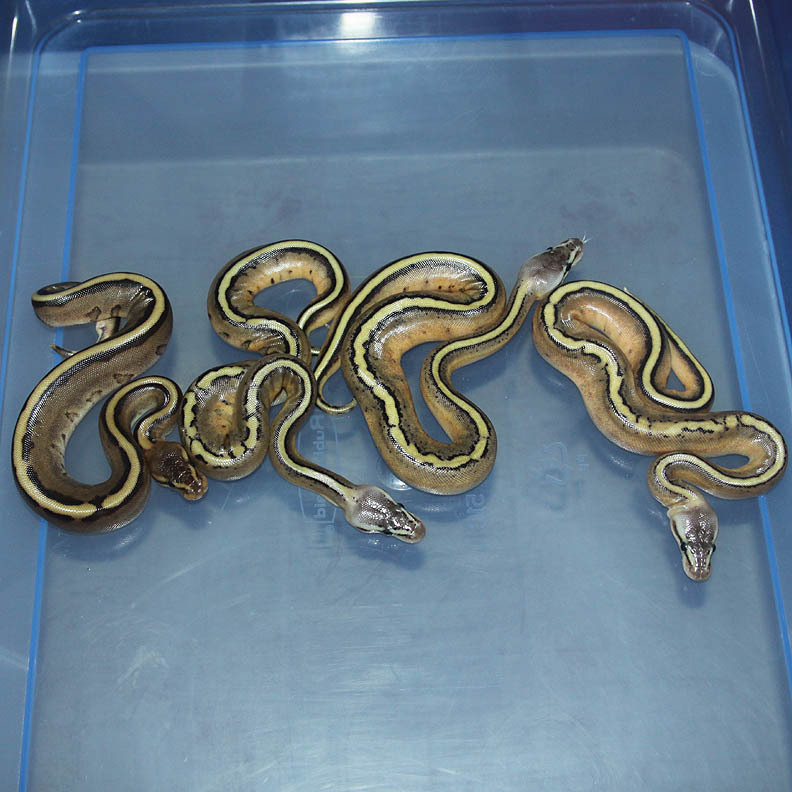 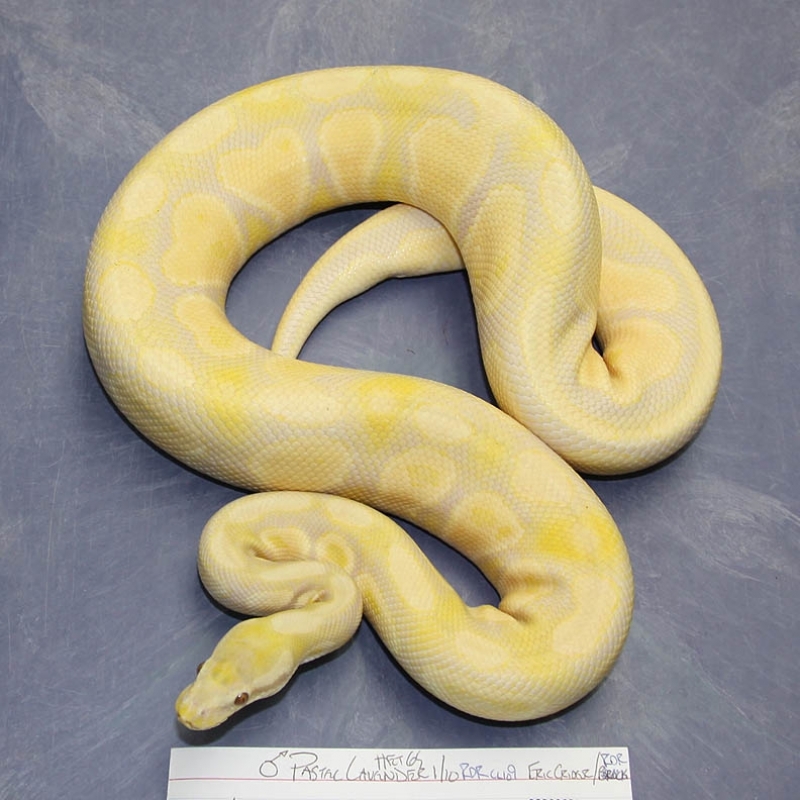 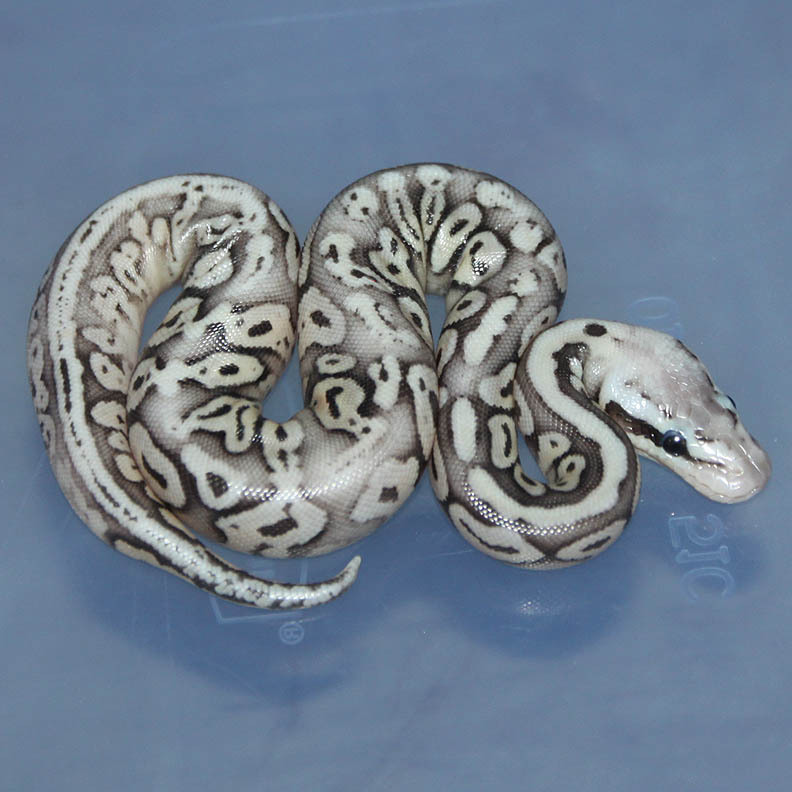 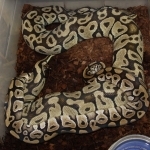 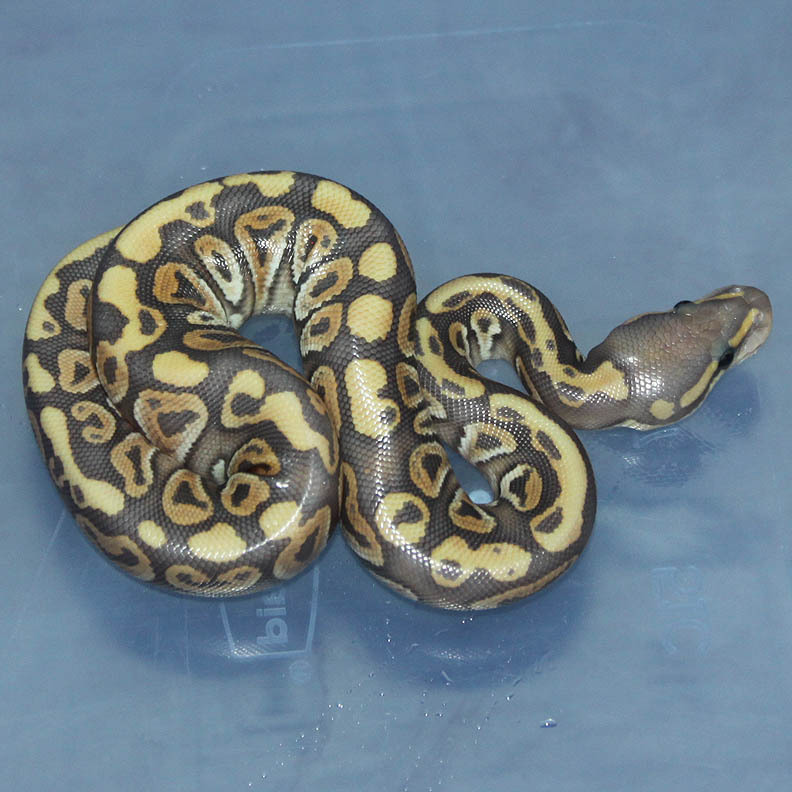 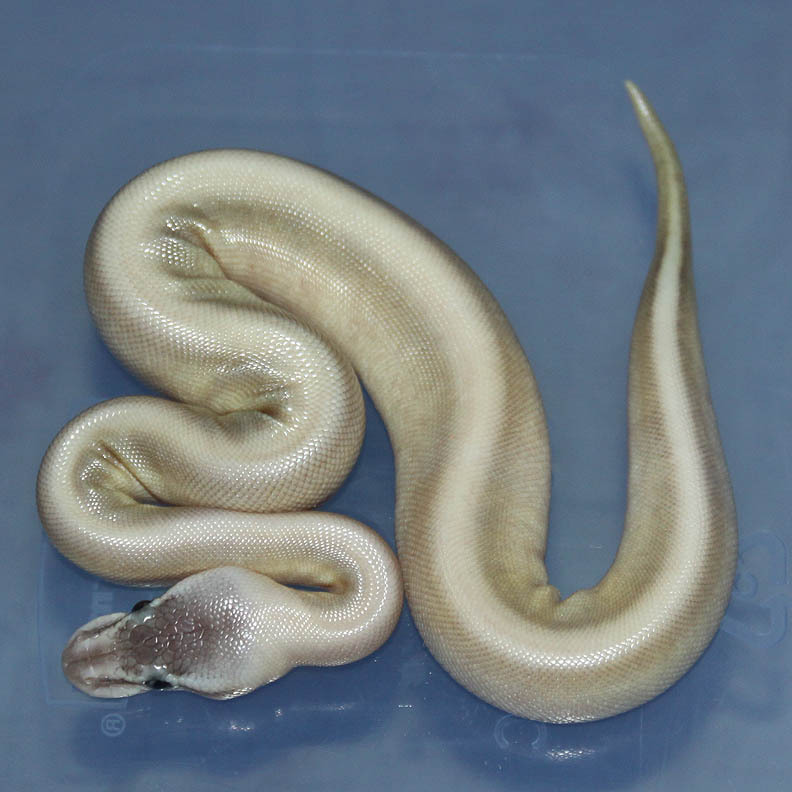 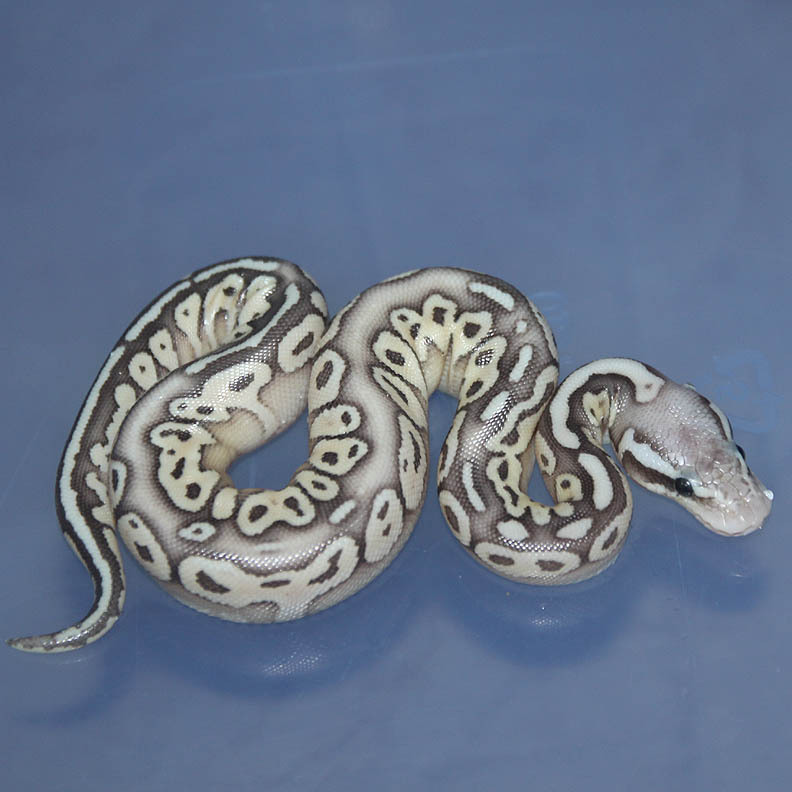 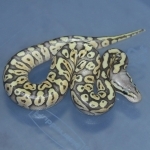 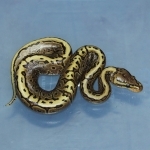 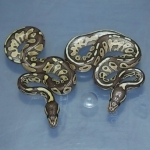 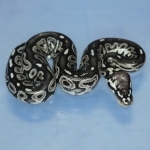 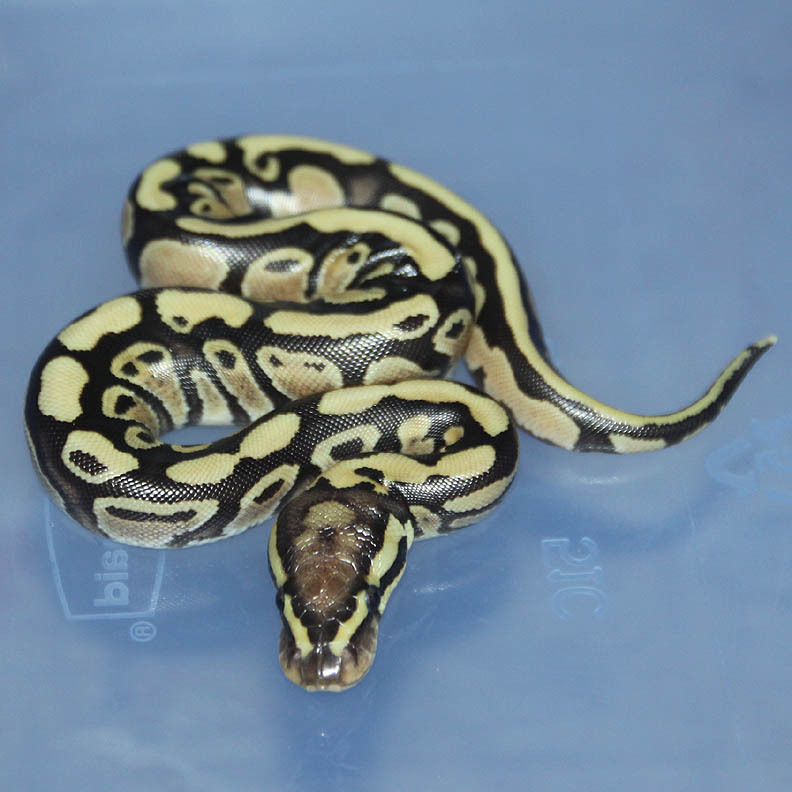 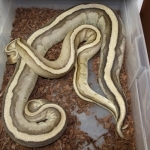 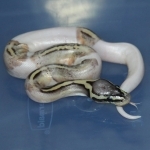 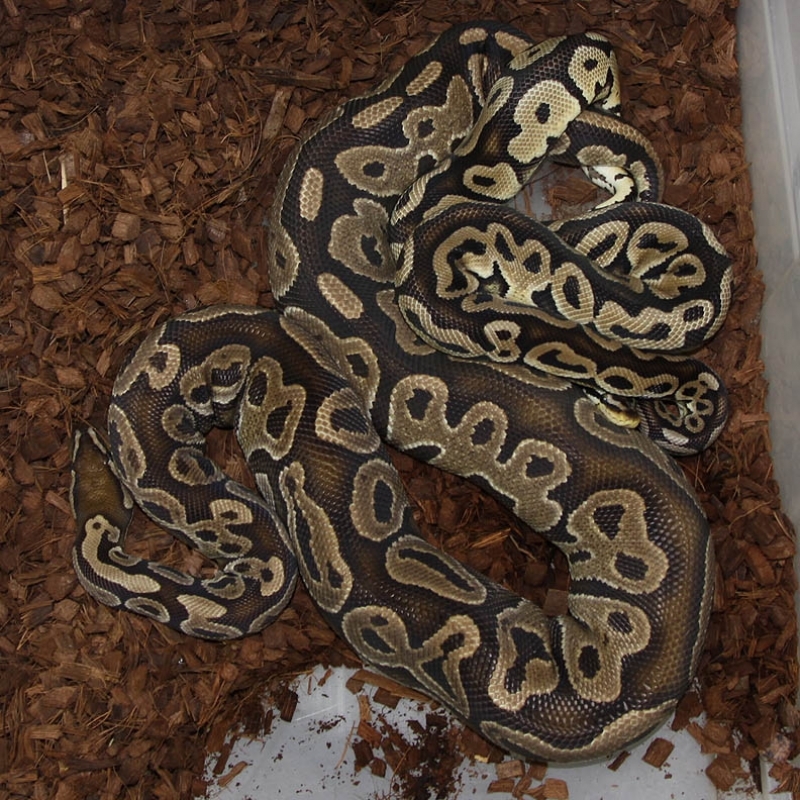 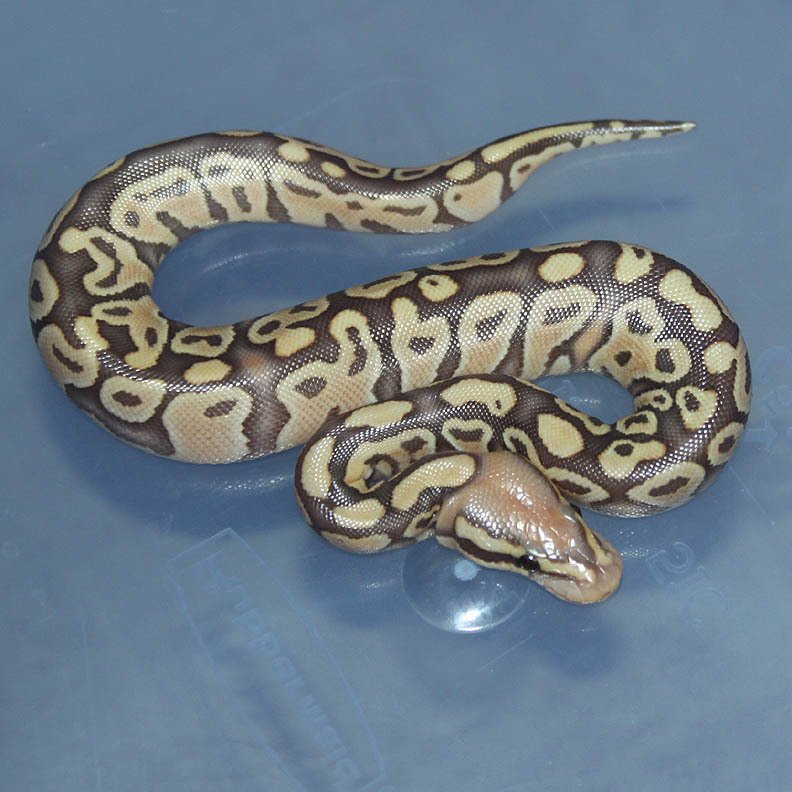 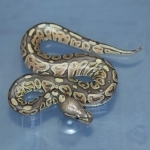 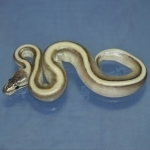 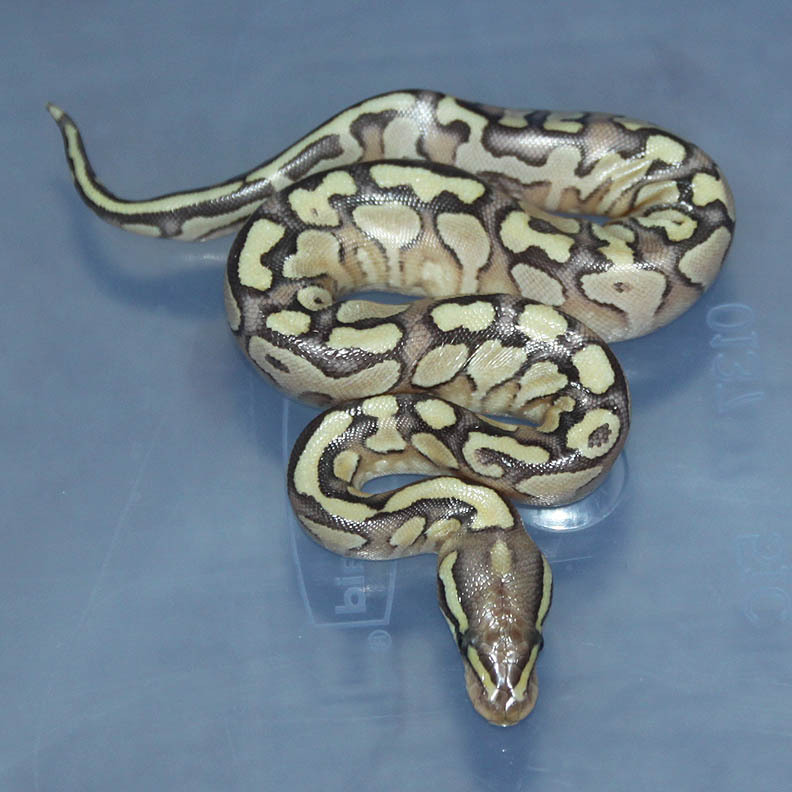 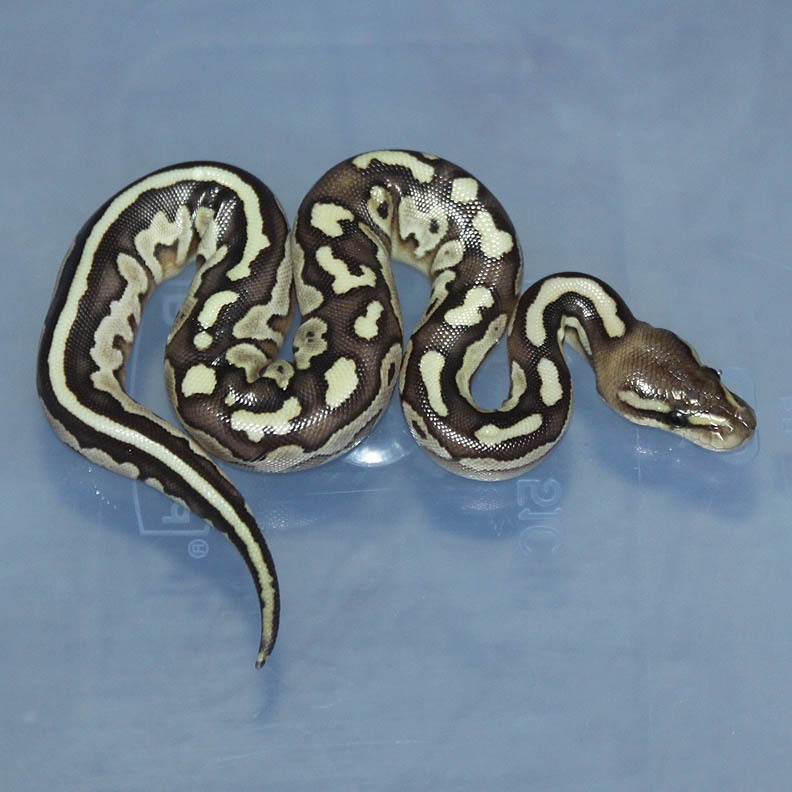 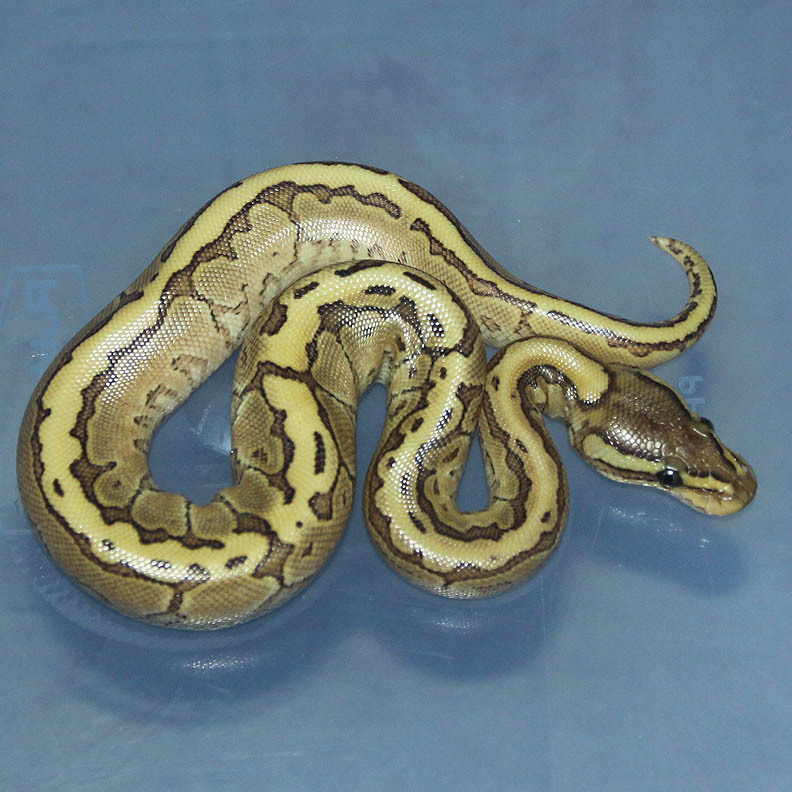 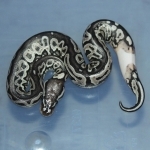 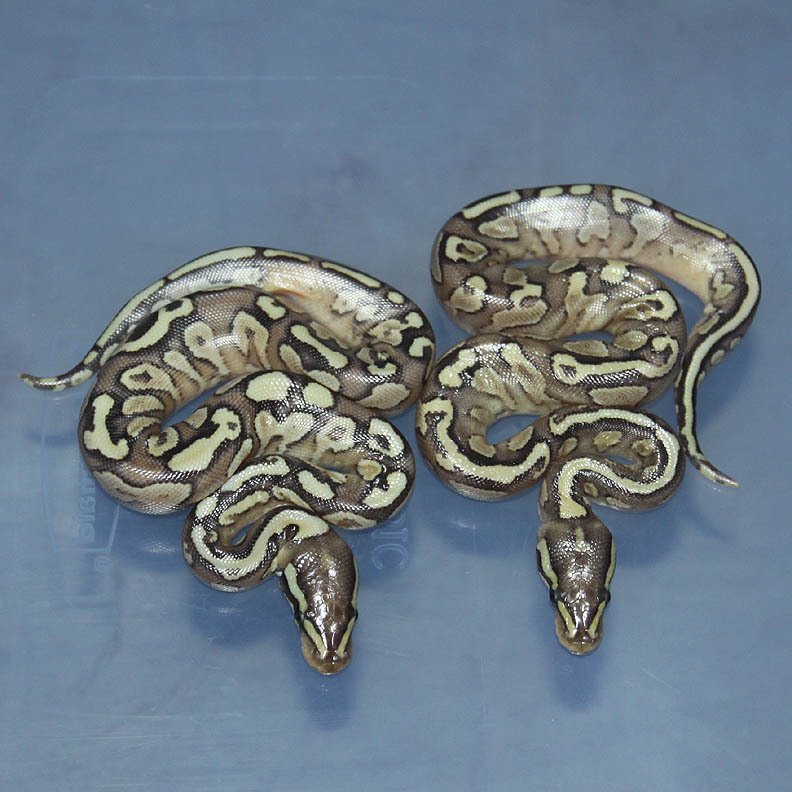 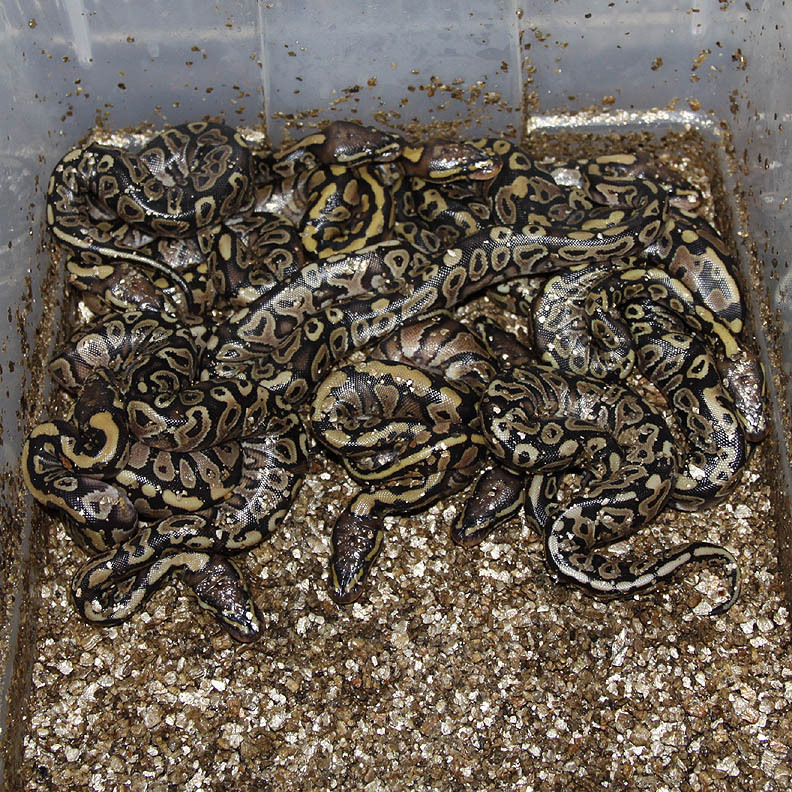 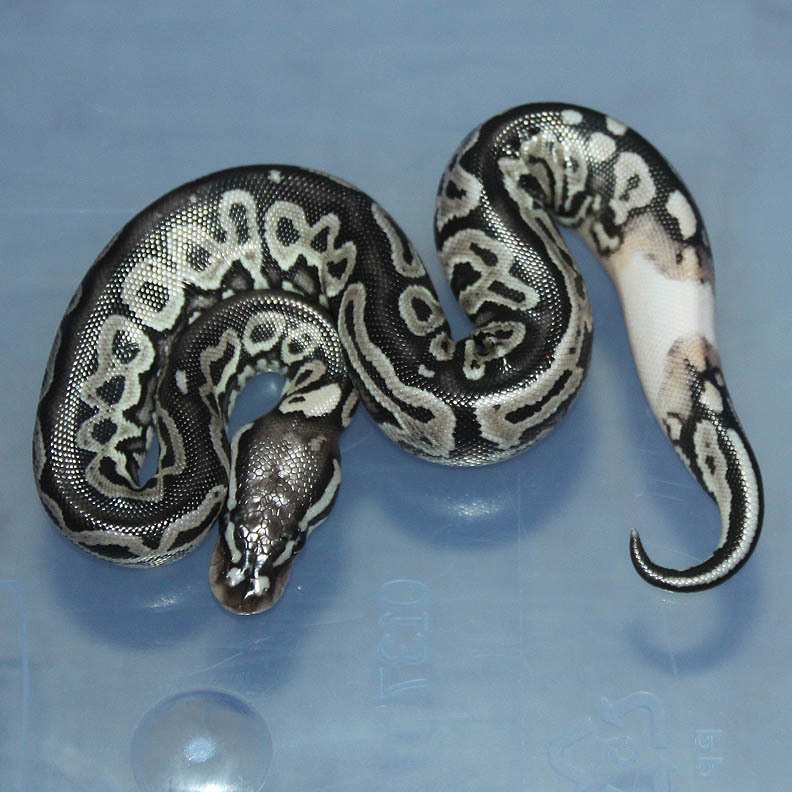 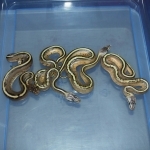 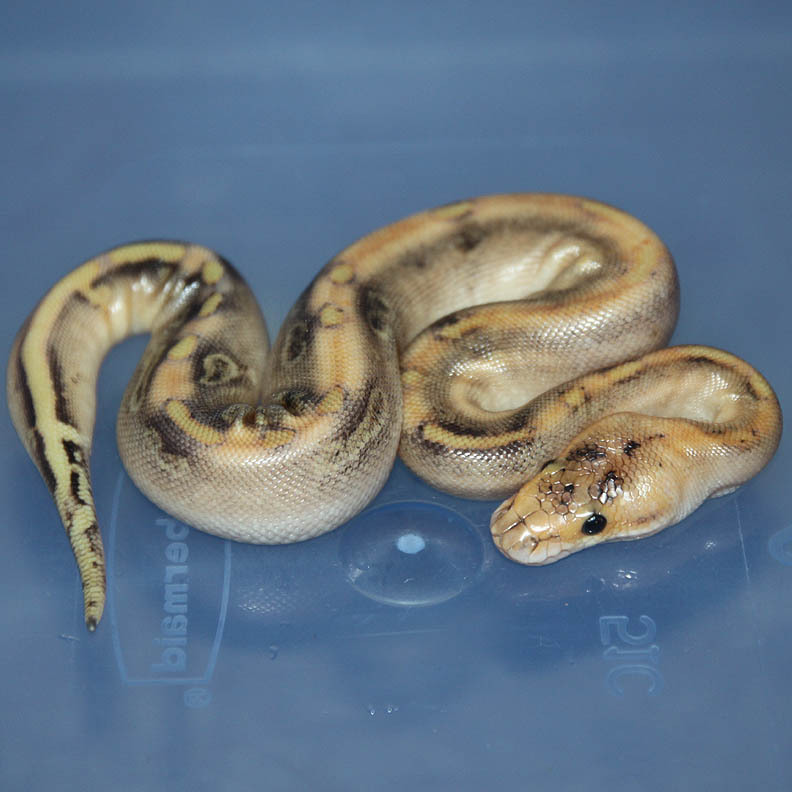 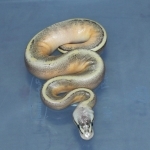 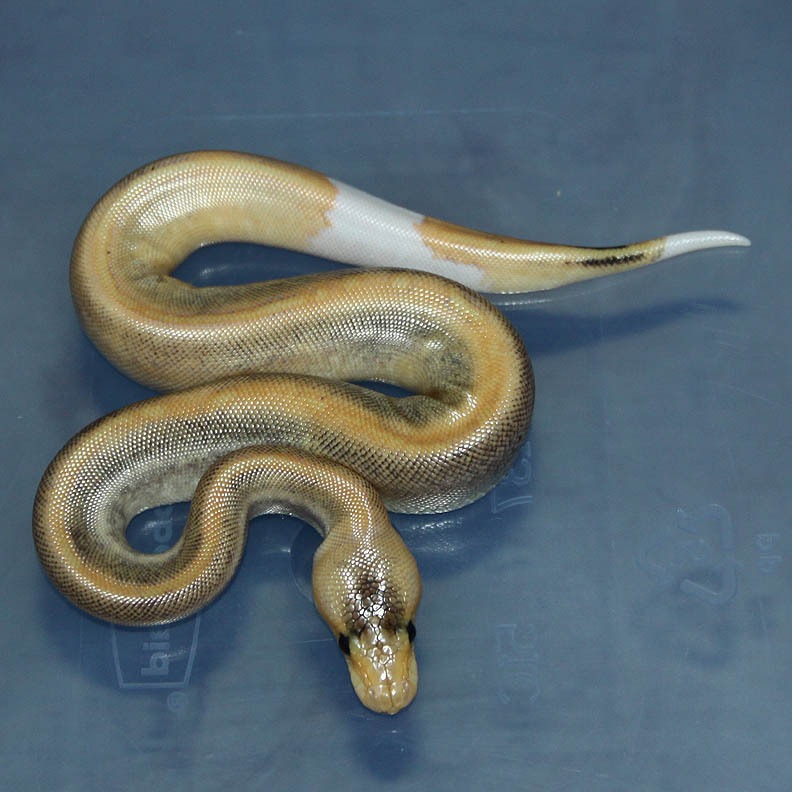 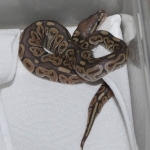 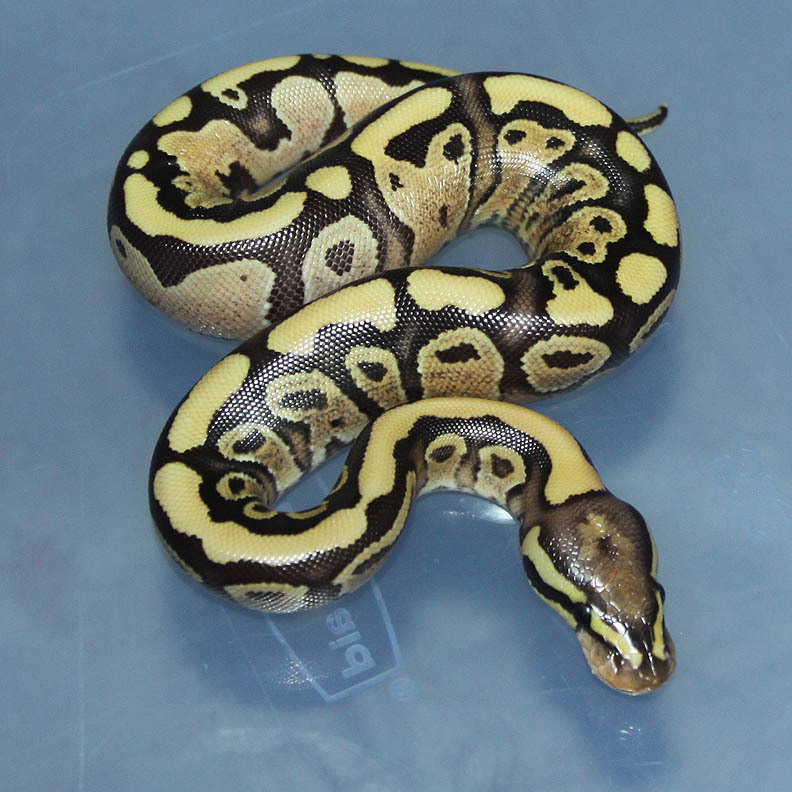 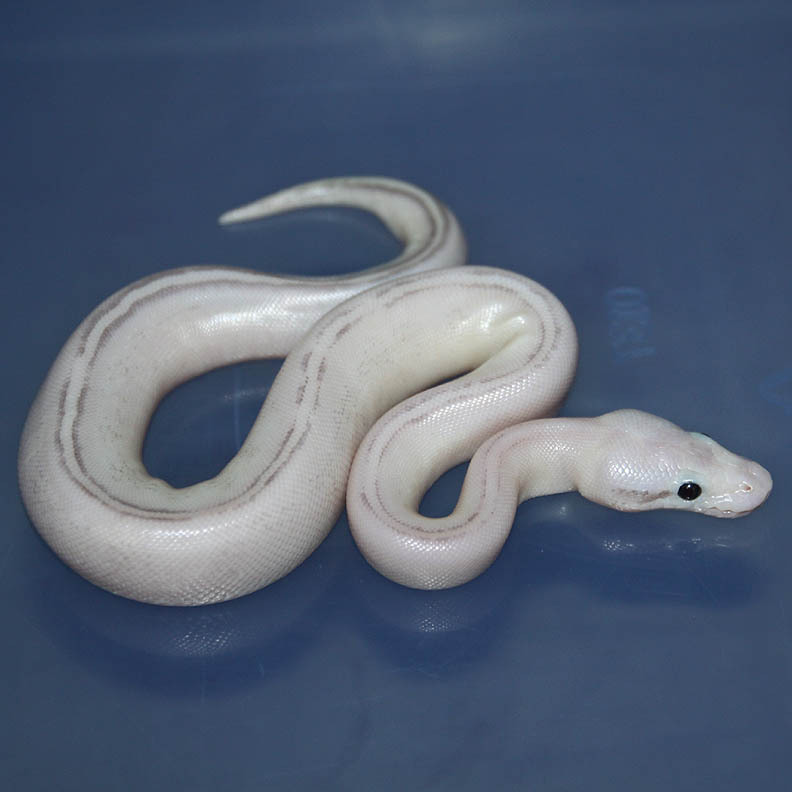 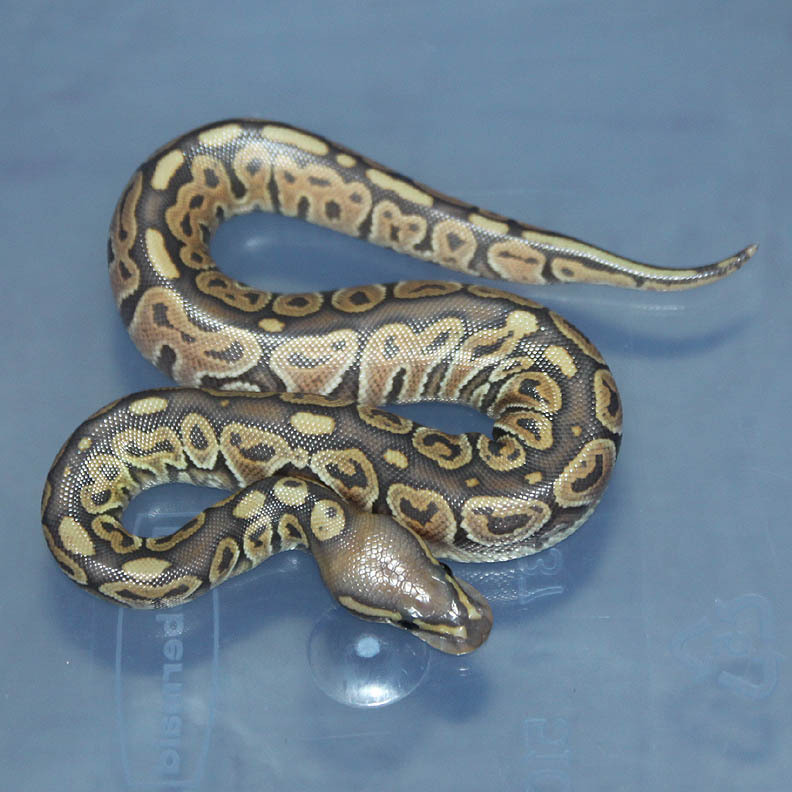 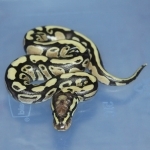 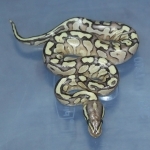 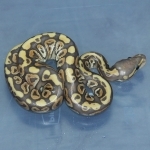 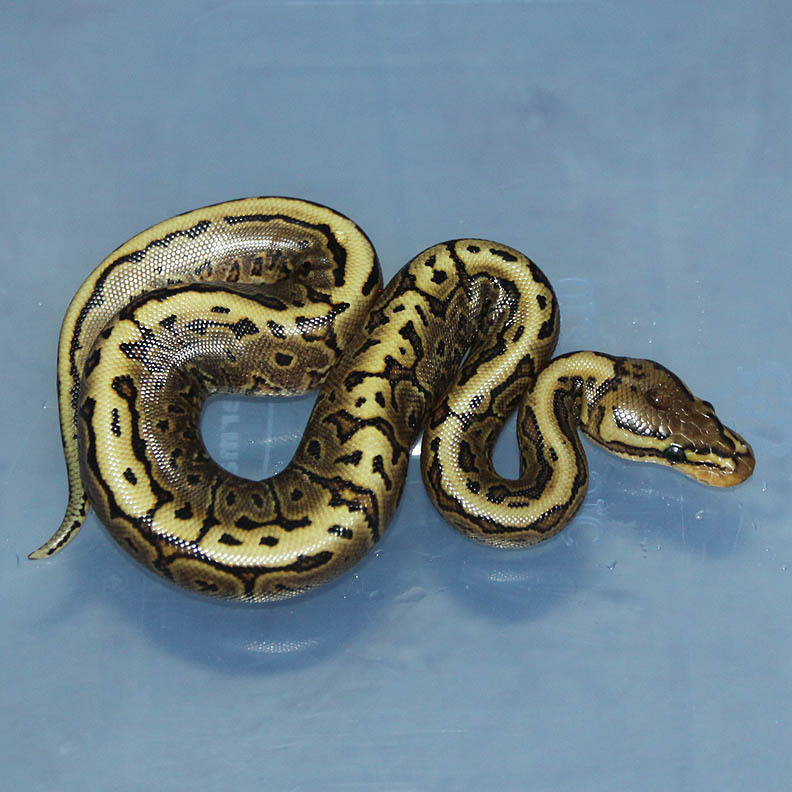 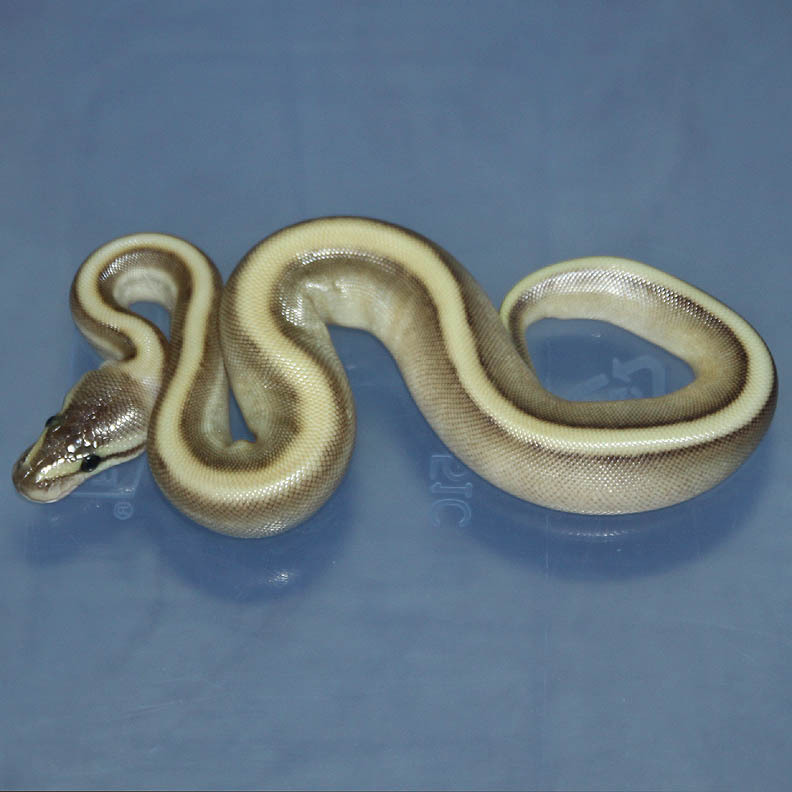 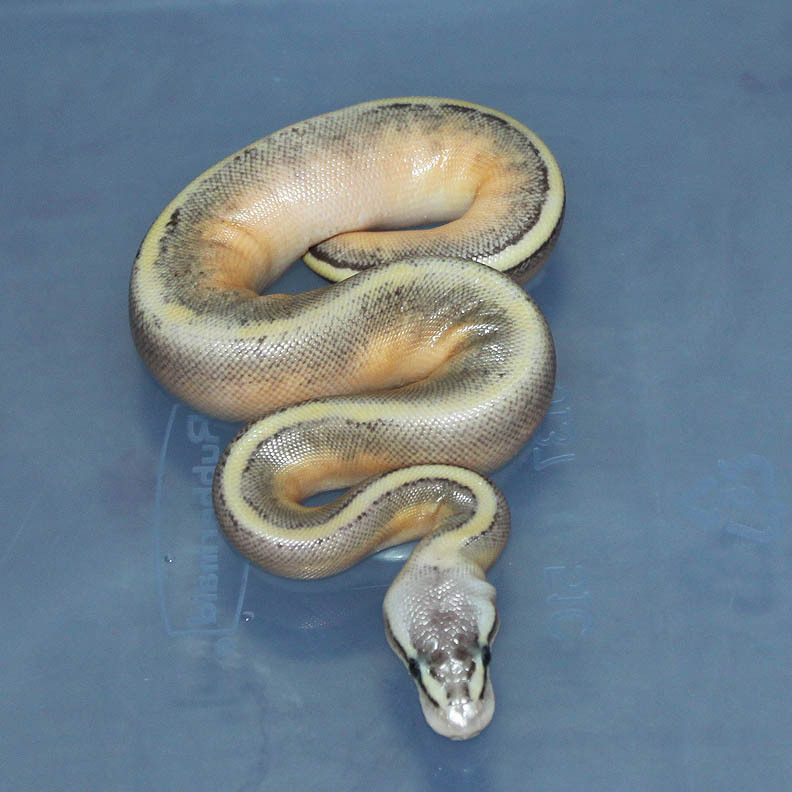 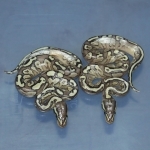 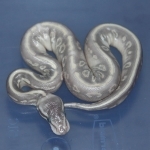 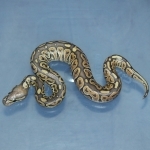 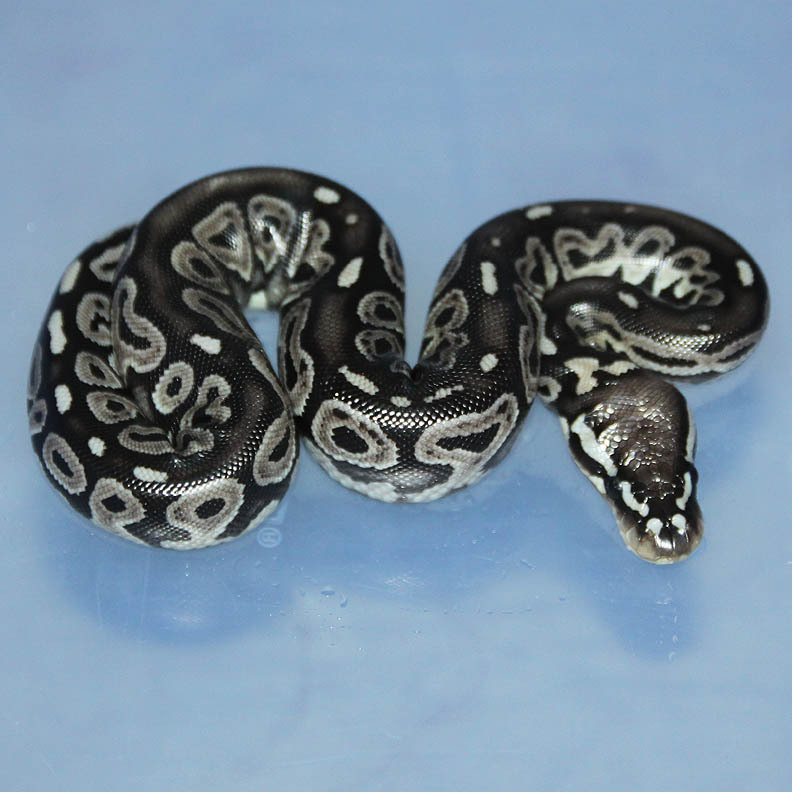 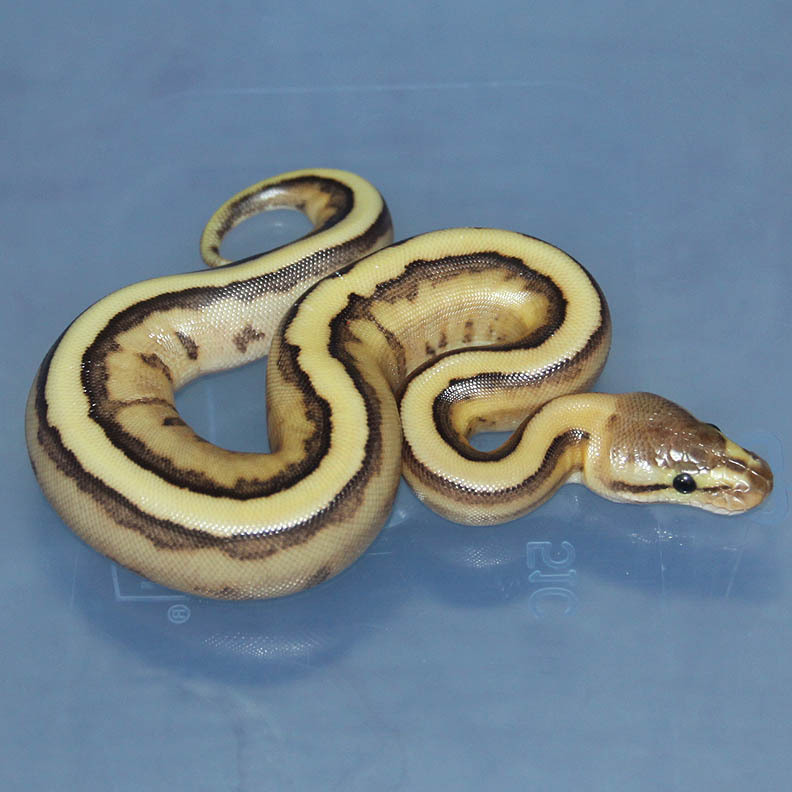 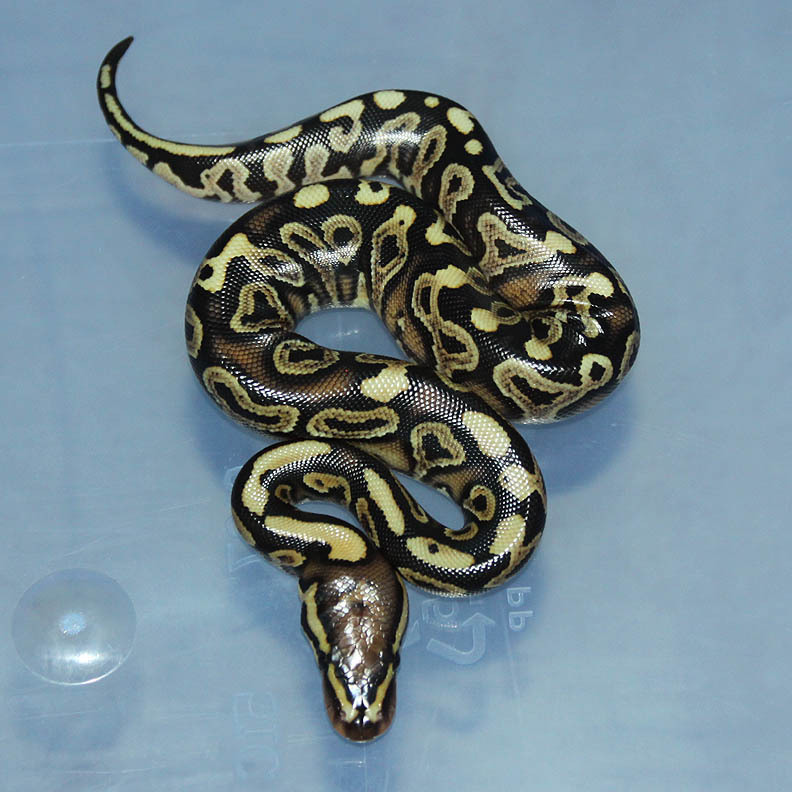 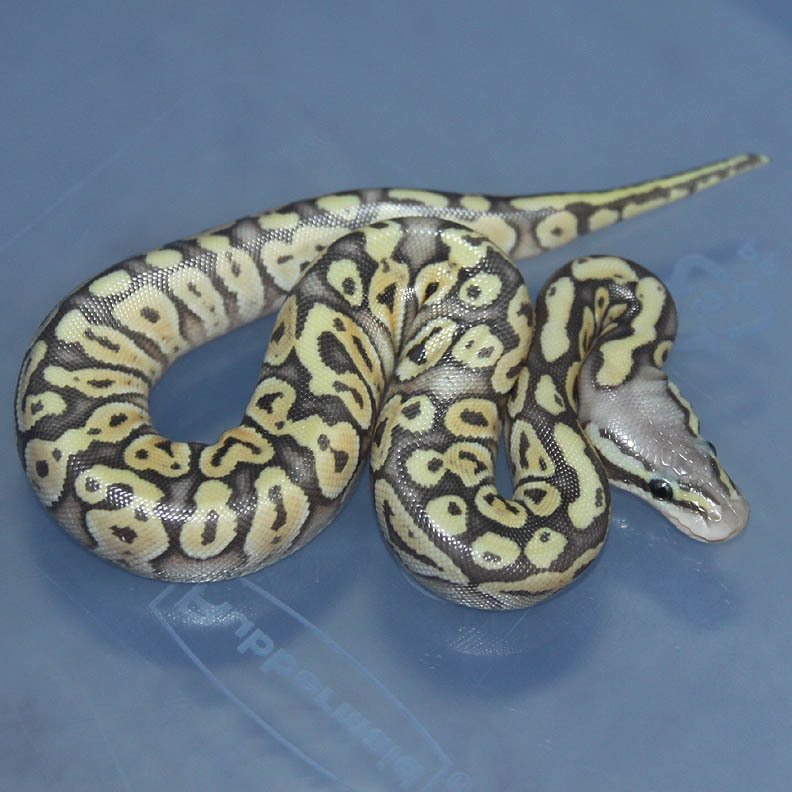 Description: Lesser Genetic Stripe HRA 1/12 x Pastel Het GS 1/07. 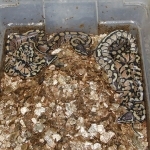 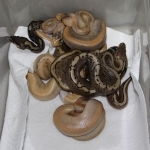 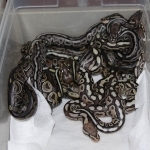 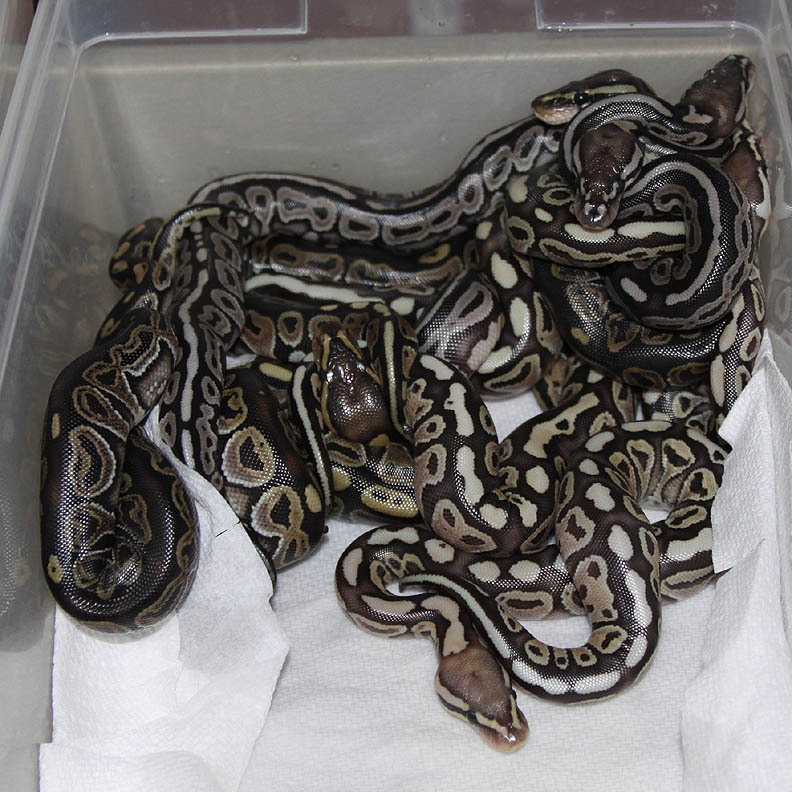 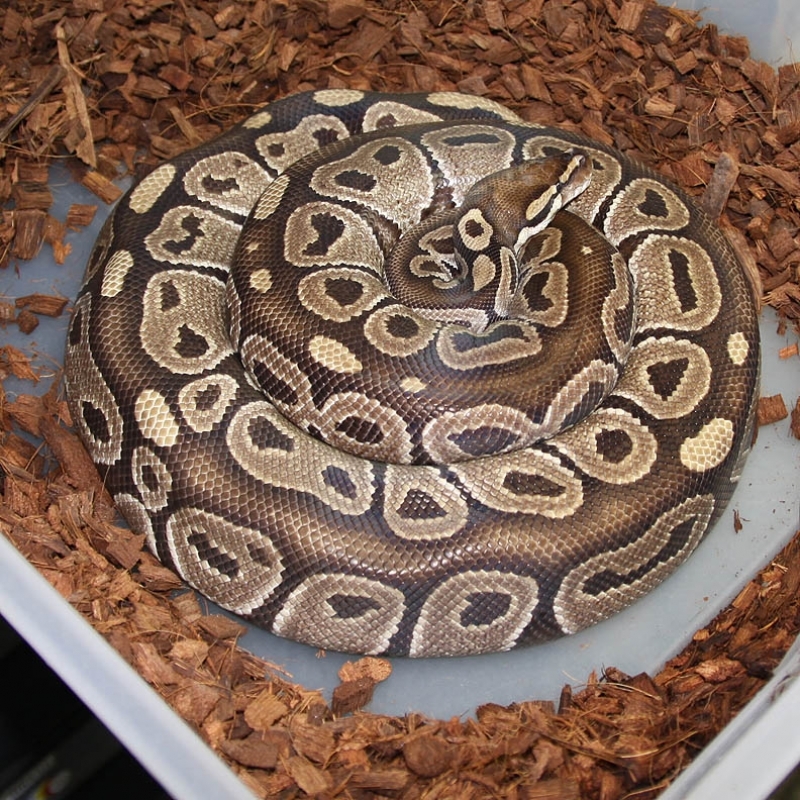 Description: Red Axanthic Het Pied 1/12 x Het RA Het Pied 3/10. 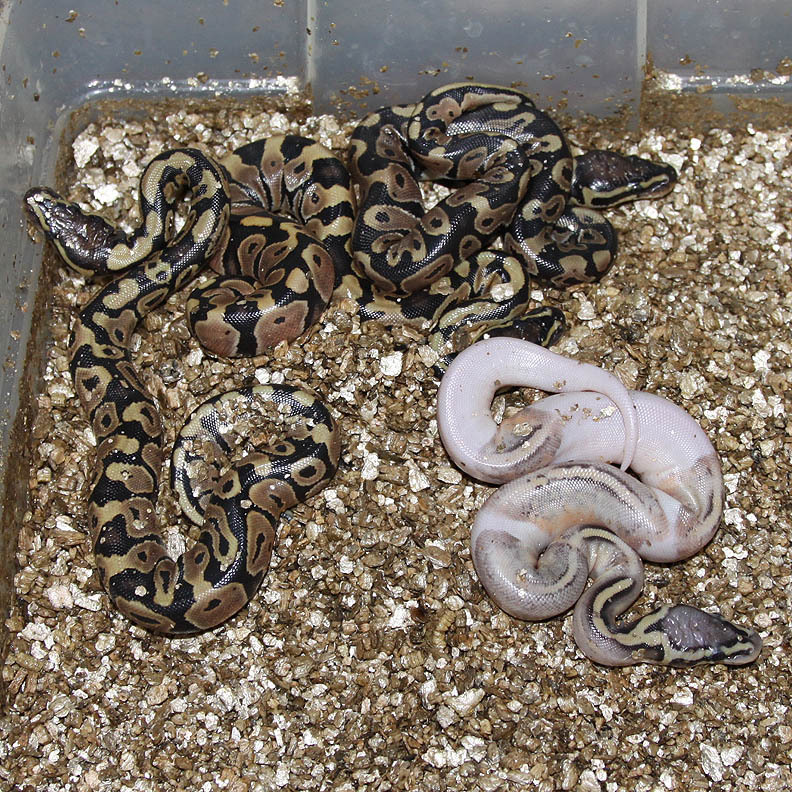 Description: Funky YB 1/11 x Lesser Het Burgandy 1/06. 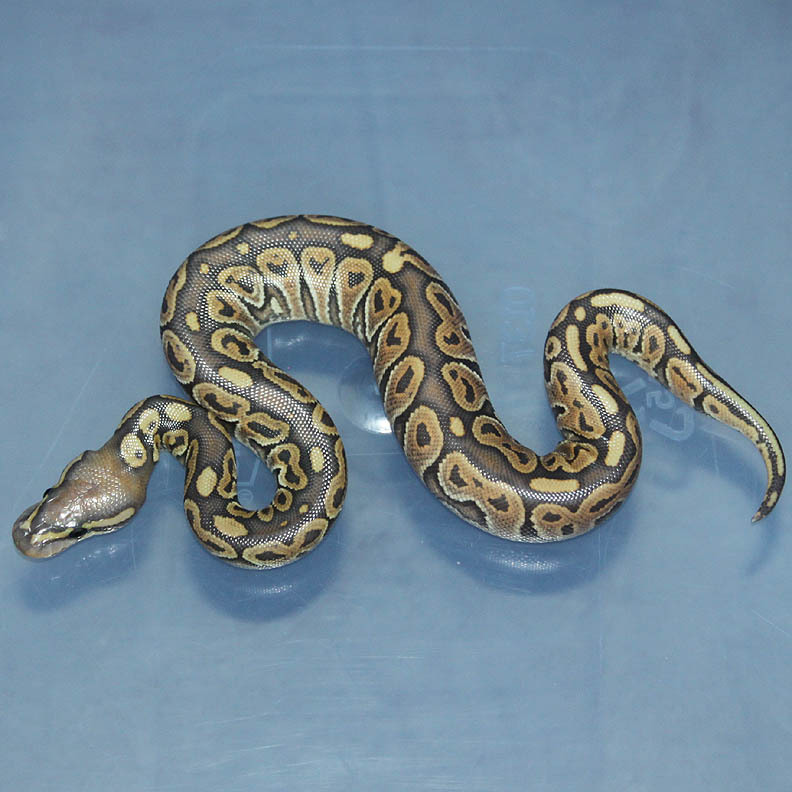 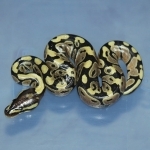 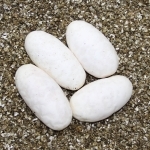 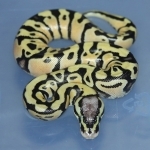 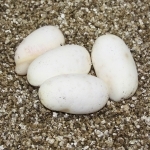 Description: Citrus Puma 1/11 x Pastel Lesser YB 1/10. 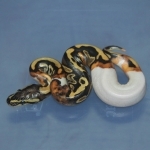 Description: Lesser Ivory 1/12 x Pin HRA 1/10. 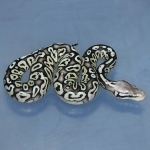 Description: SUMA 1/11 x Lesser HRA 1/06. Description: Phantom HOG 1/12 x Pastel HOG 12/06. 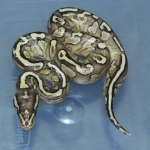 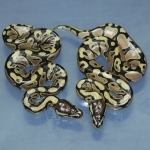 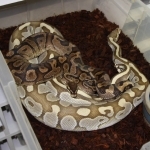 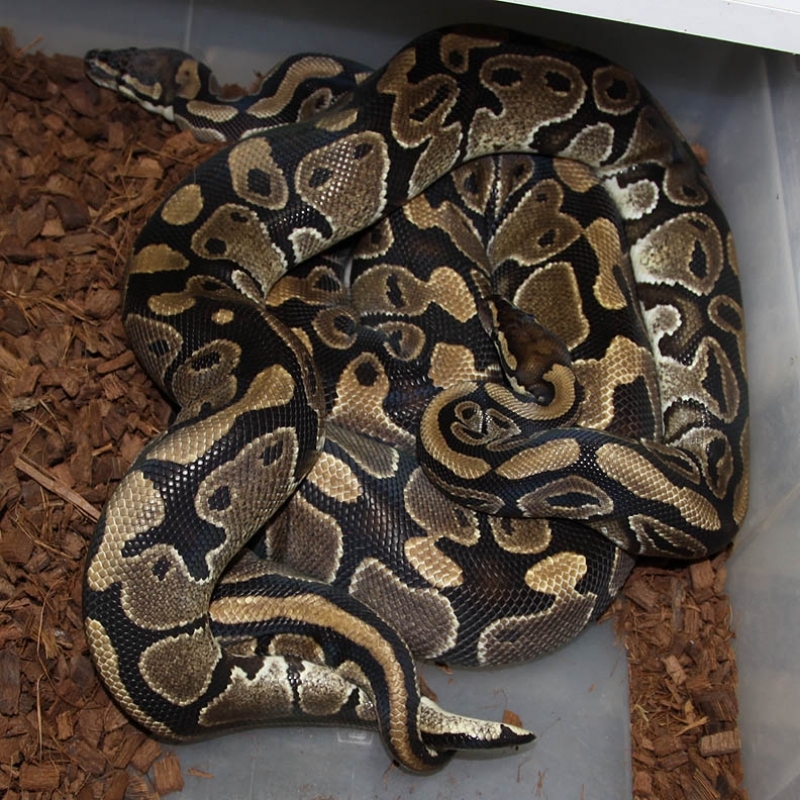 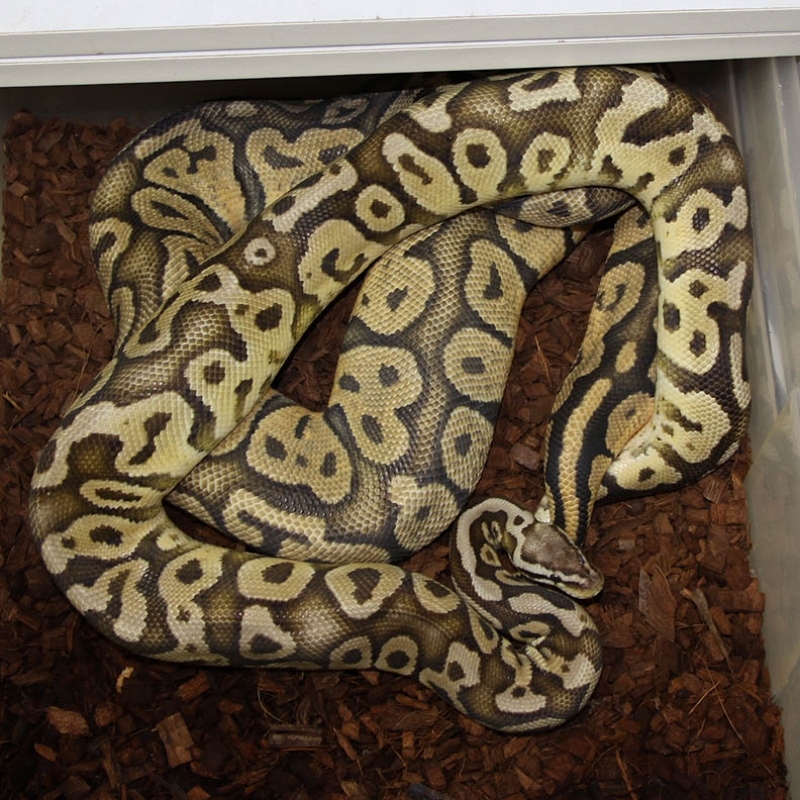 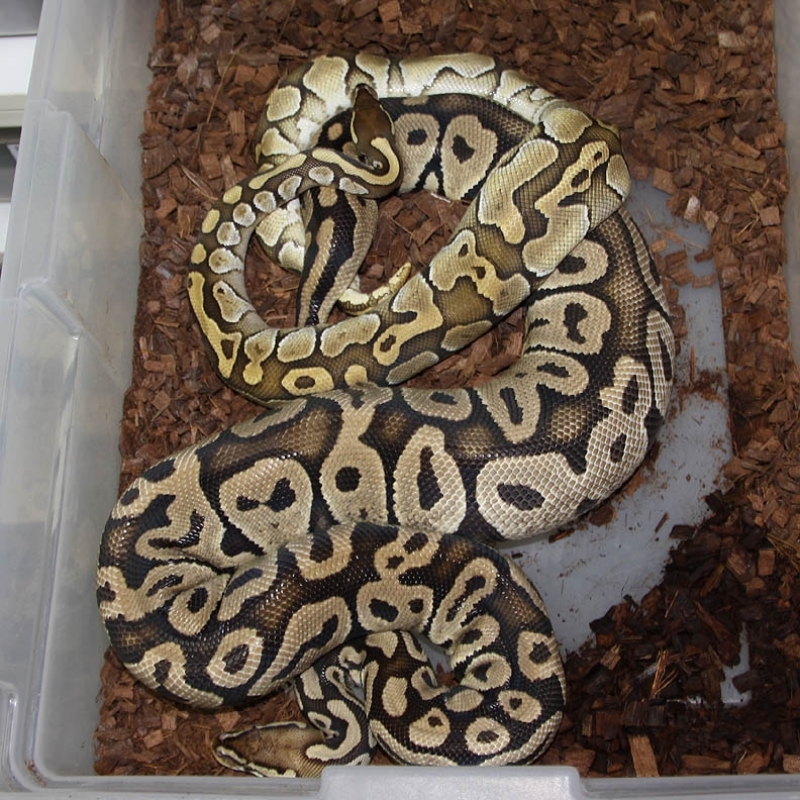 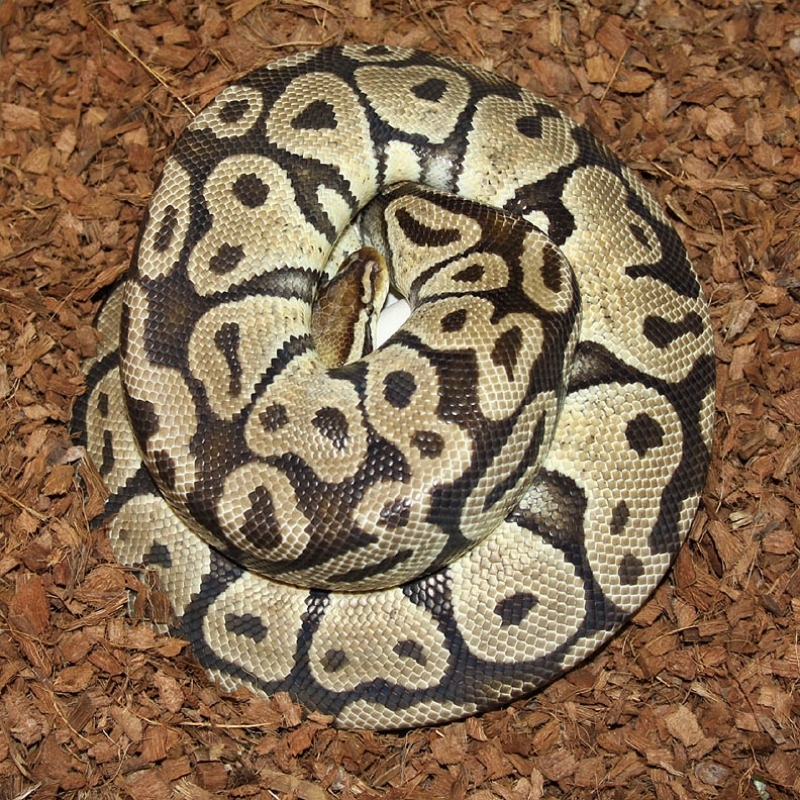 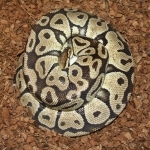 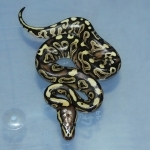 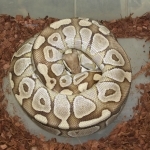 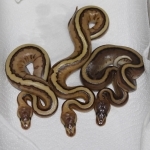 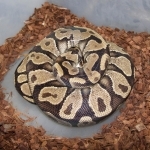 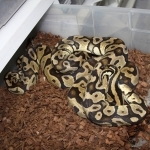 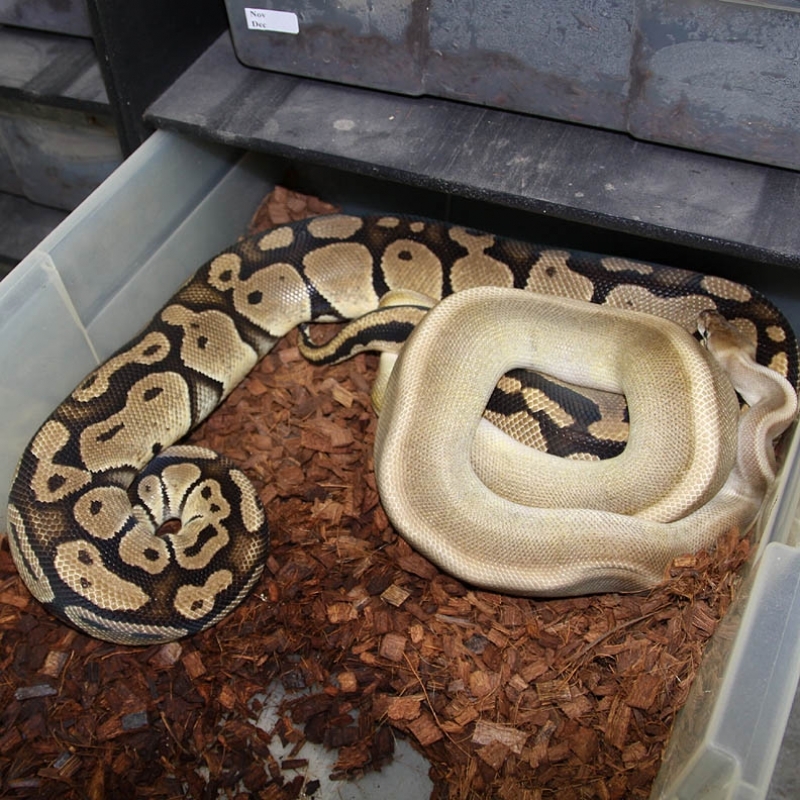 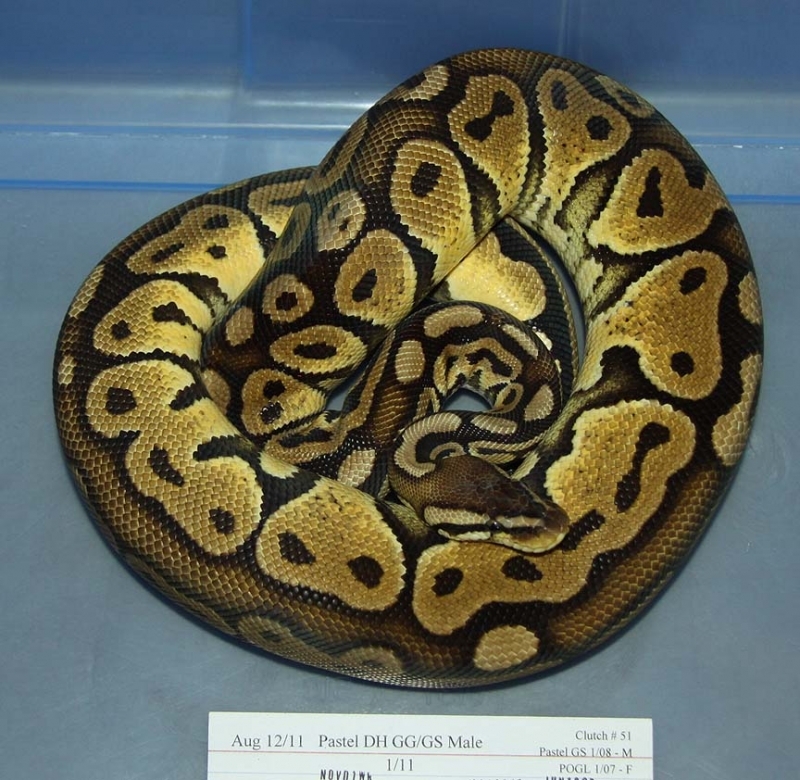 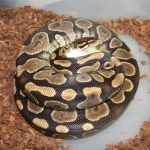 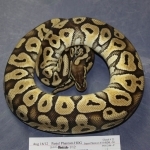 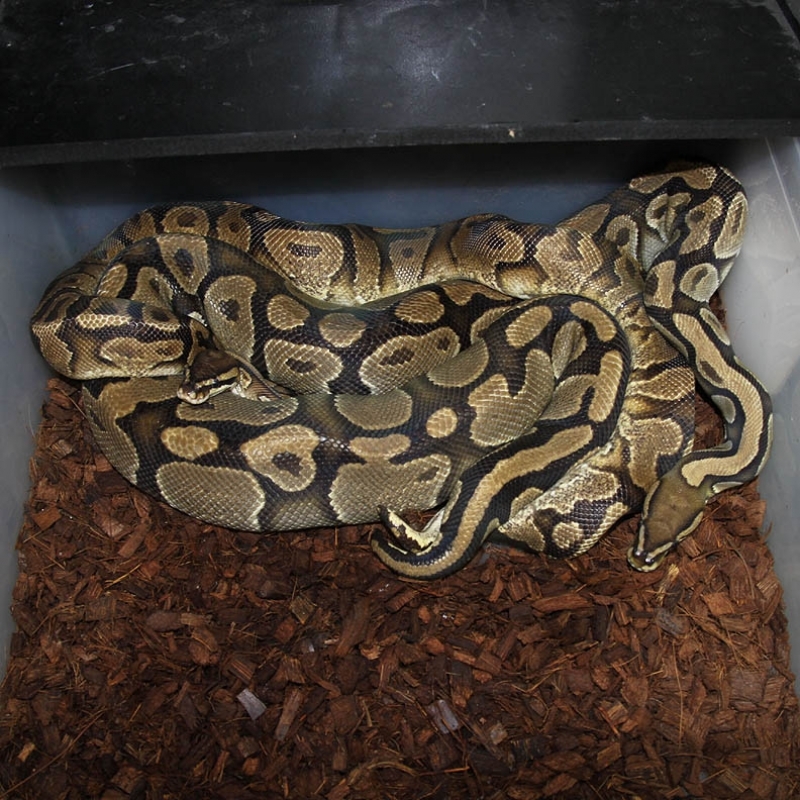 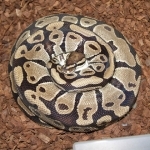 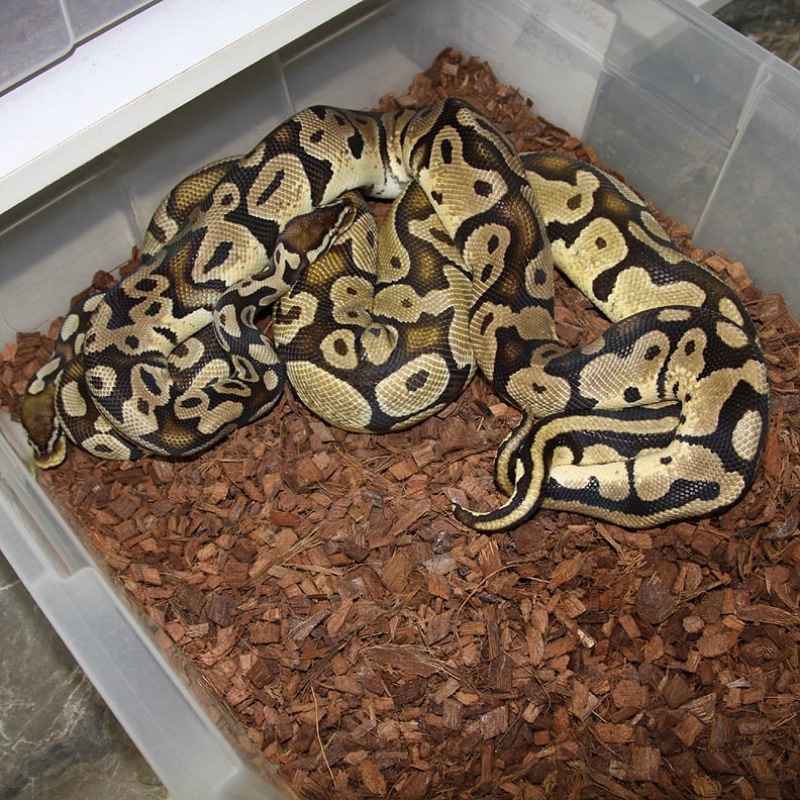 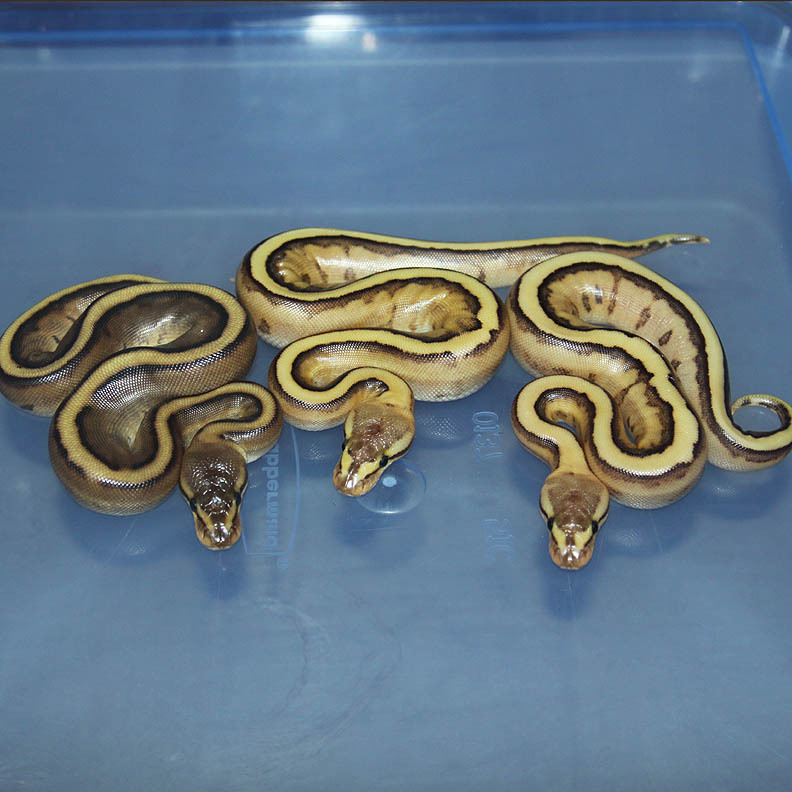 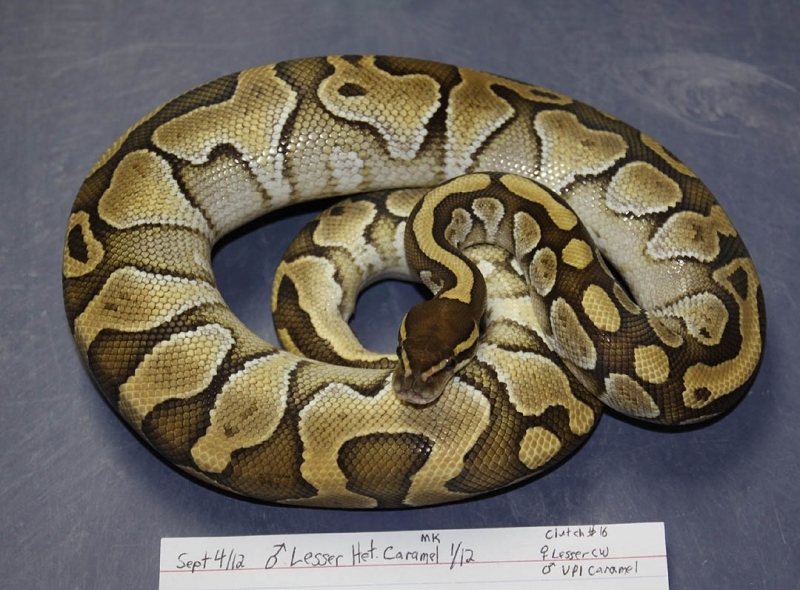 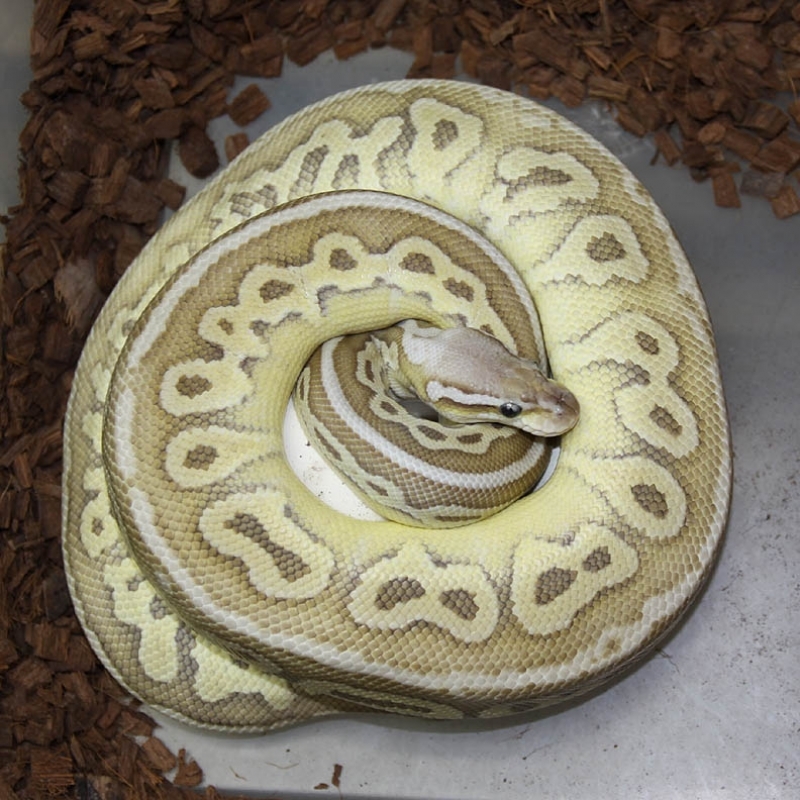 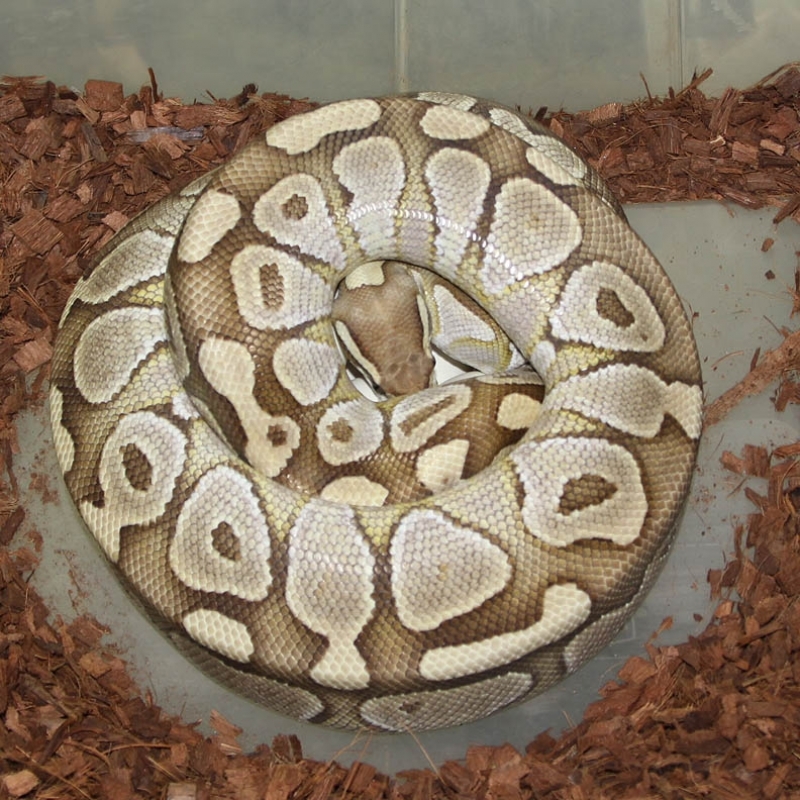 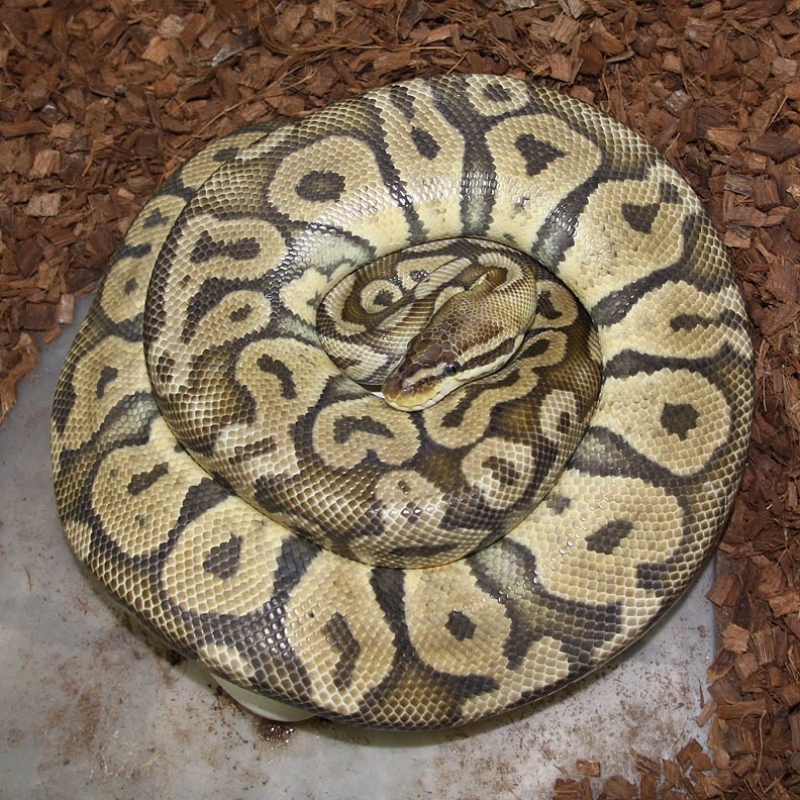 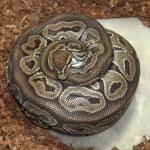 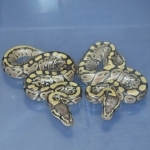 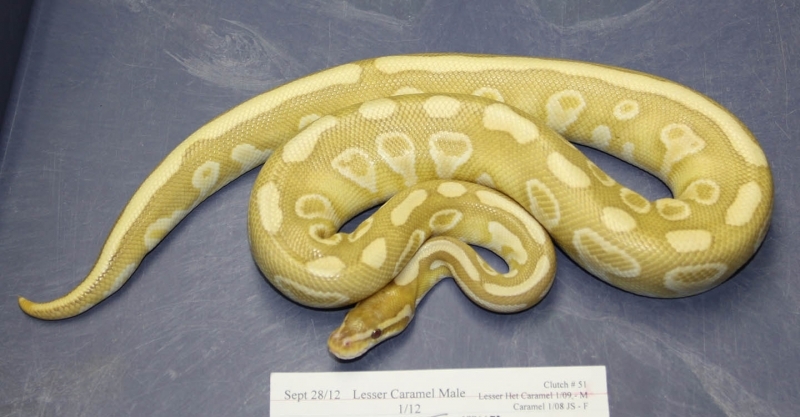 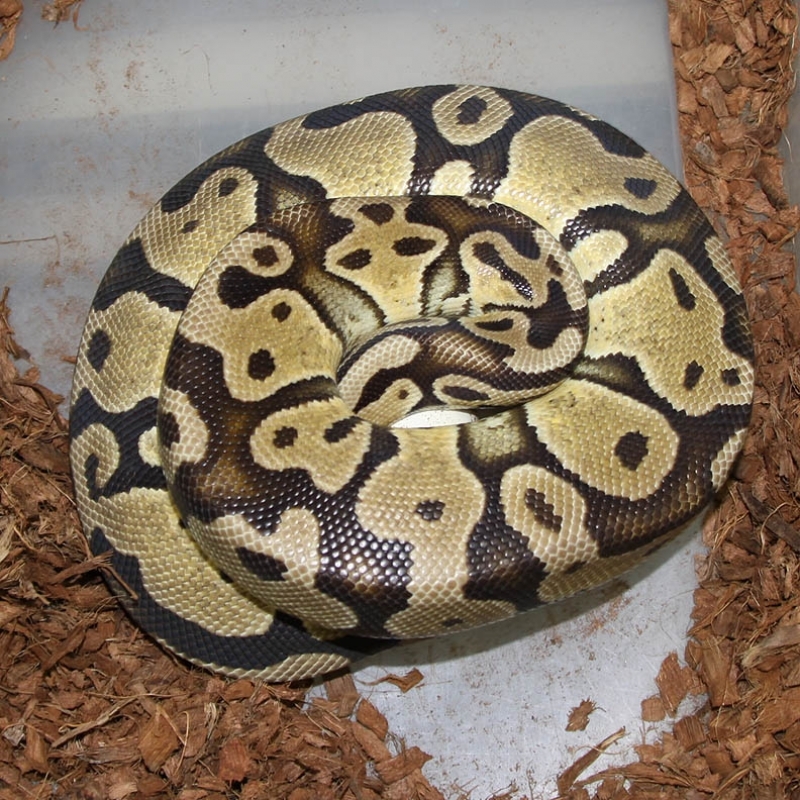 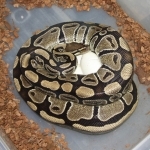 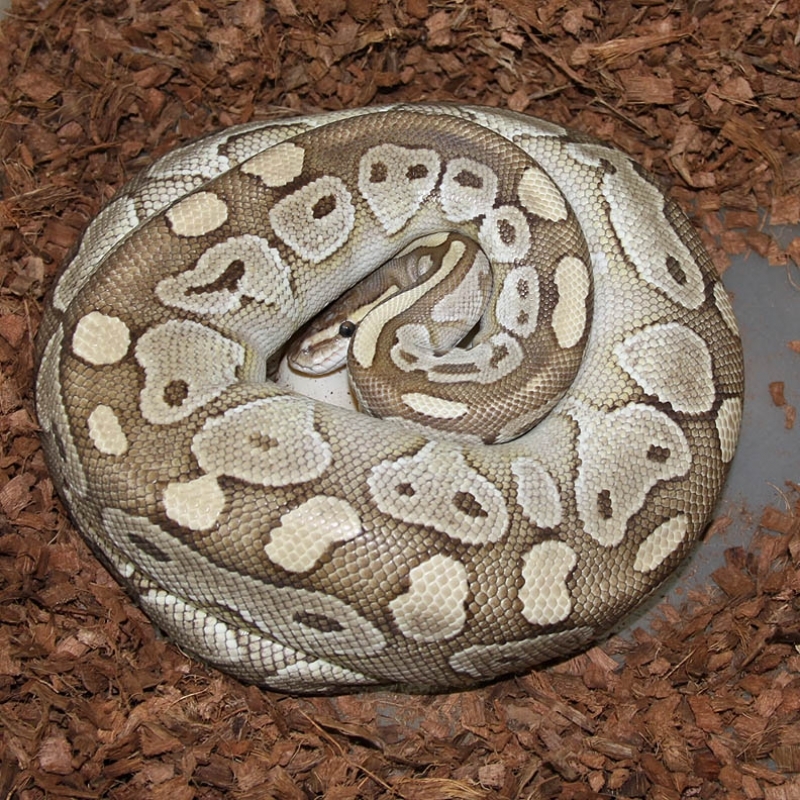 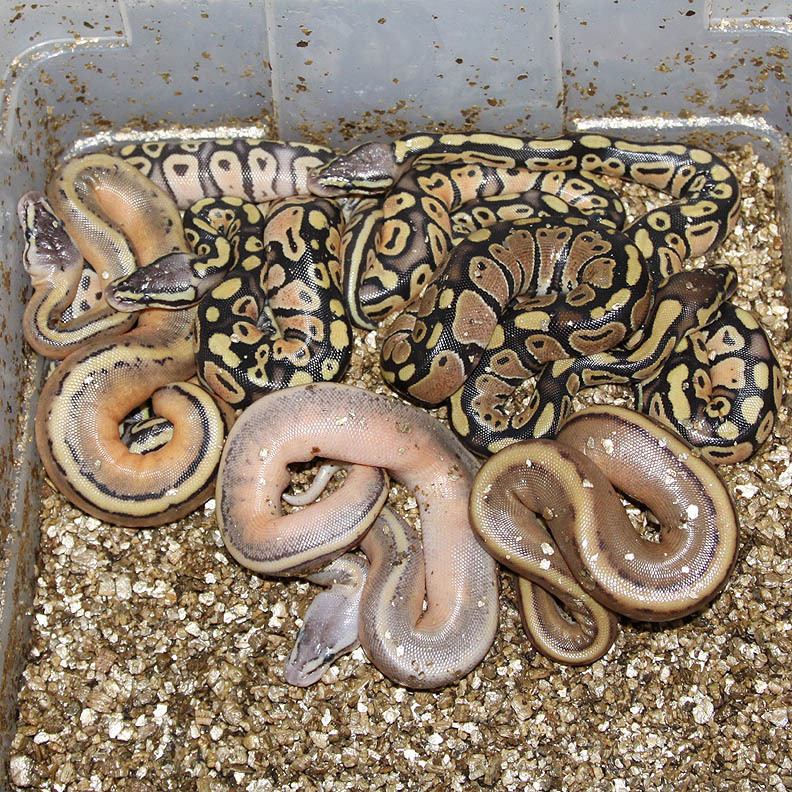 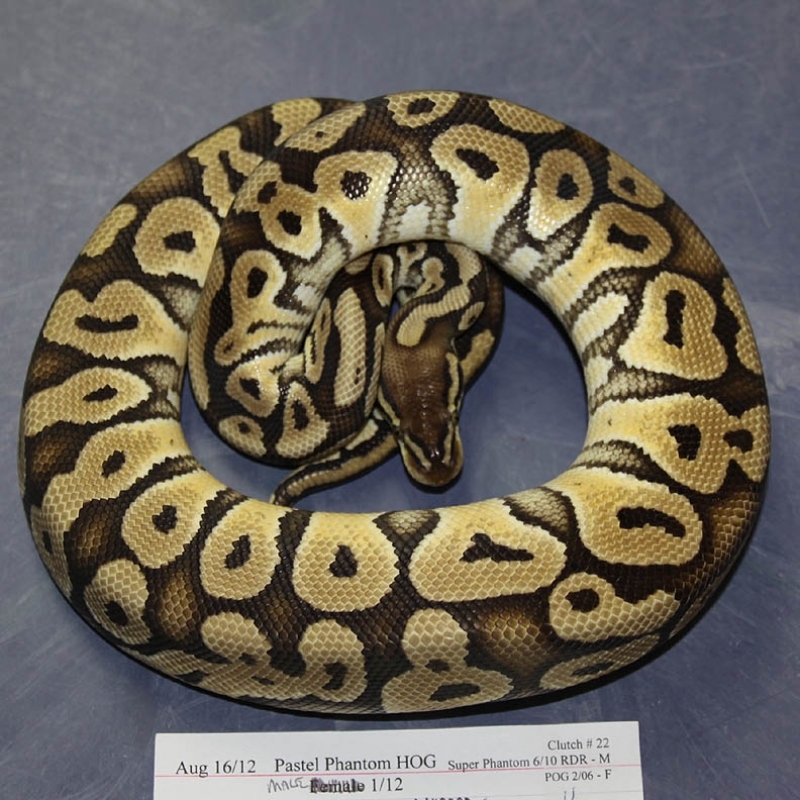 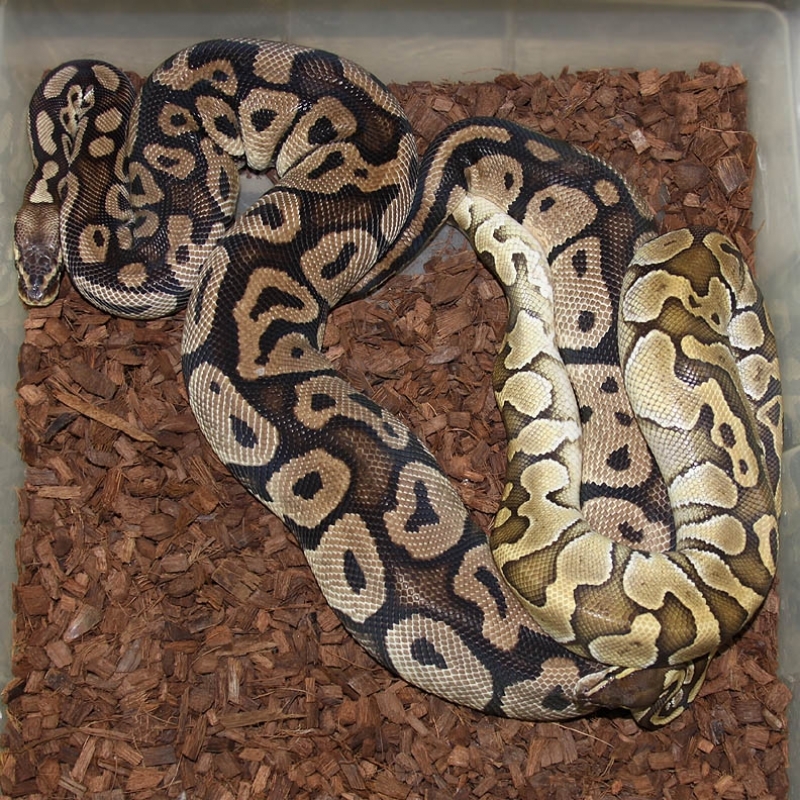 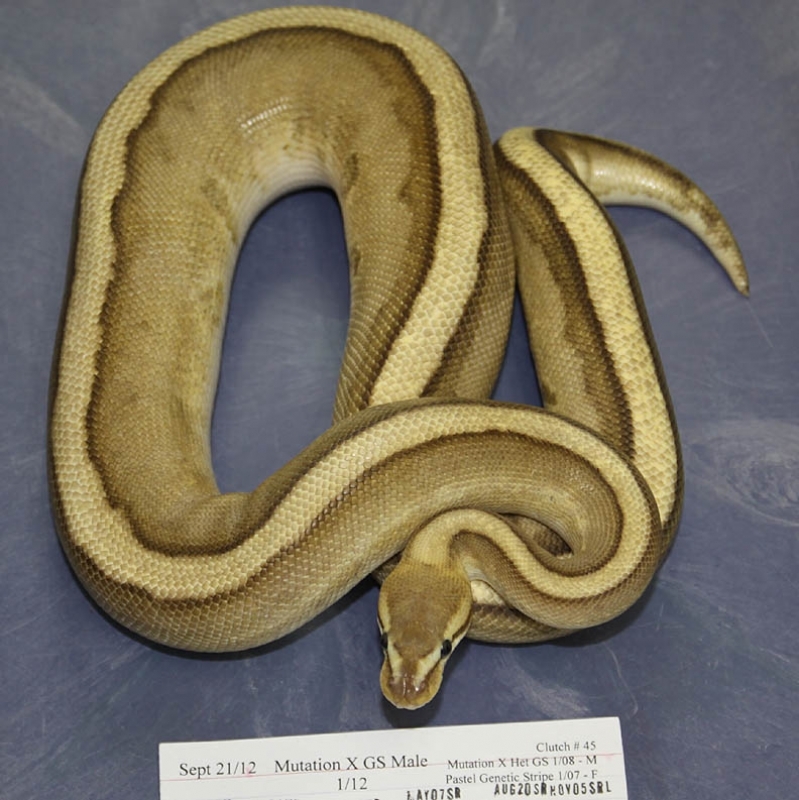 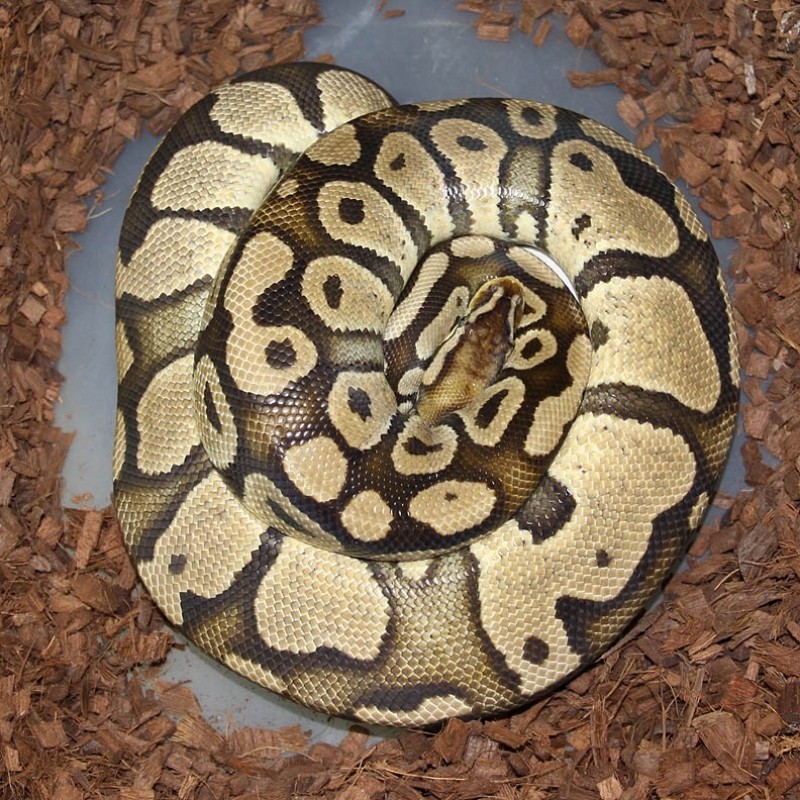 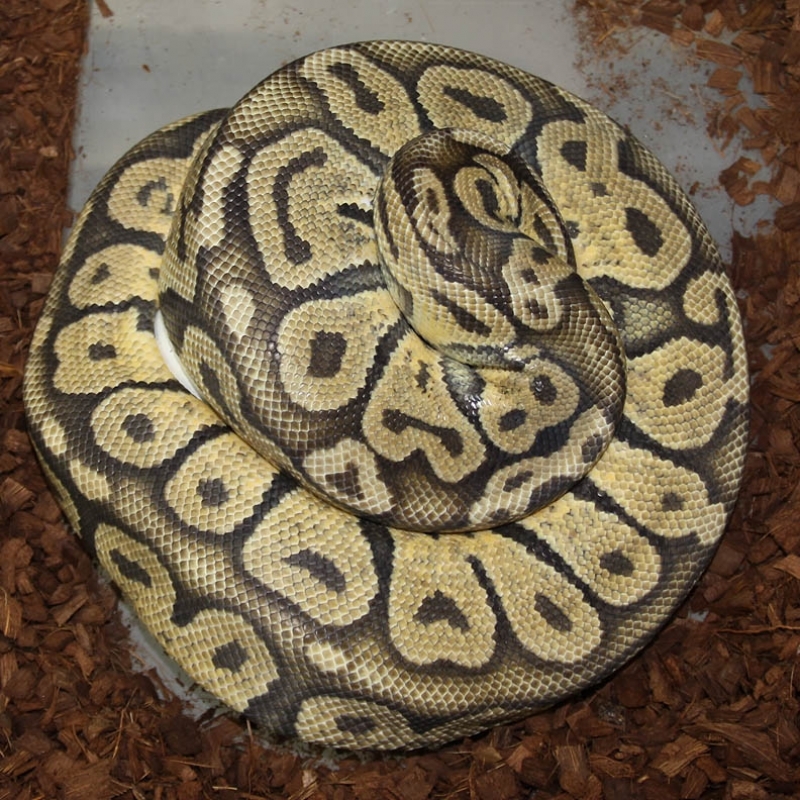 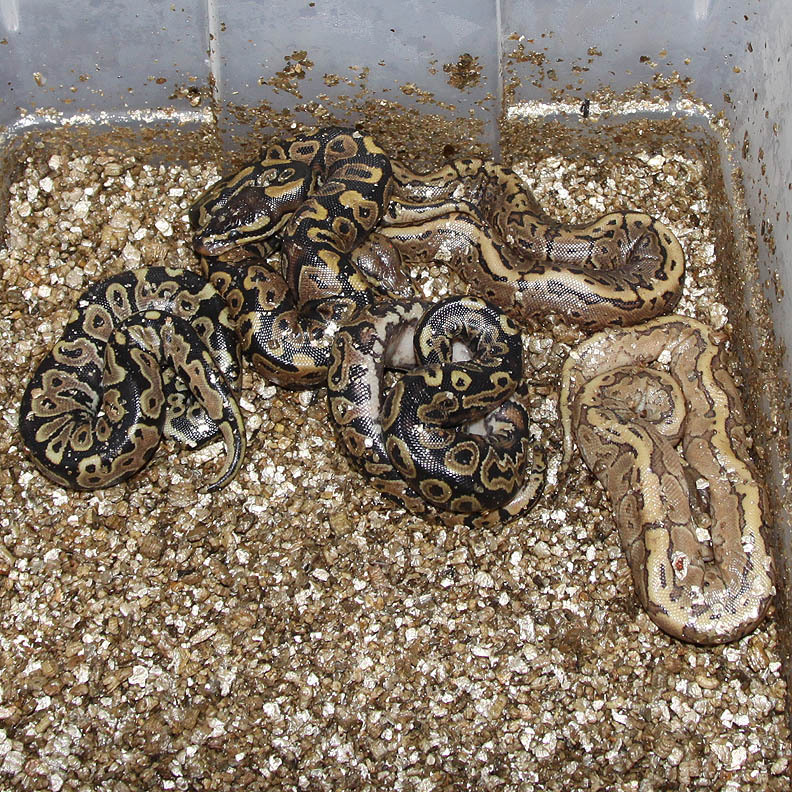 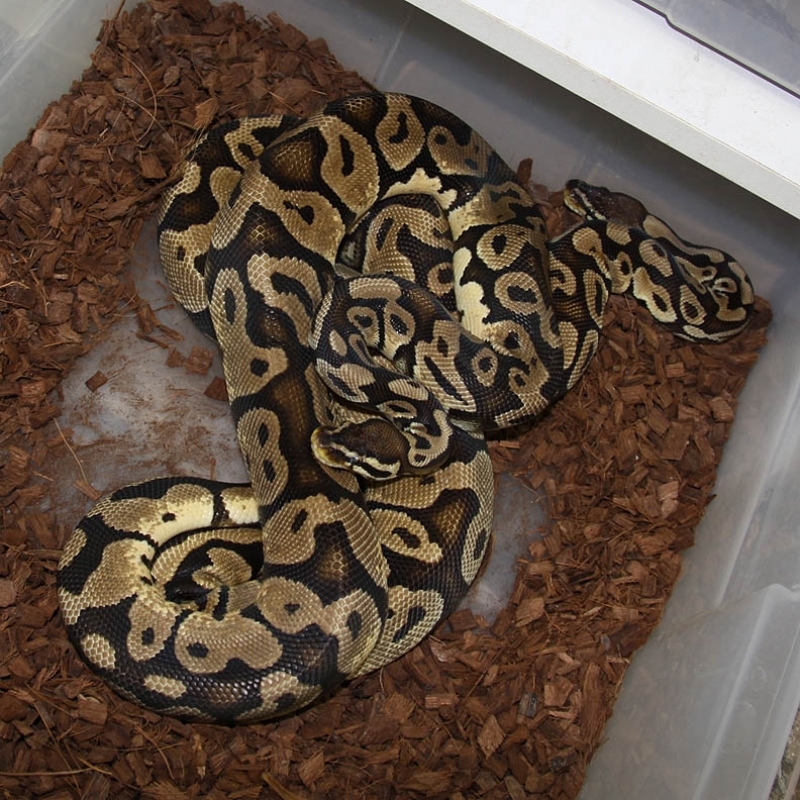 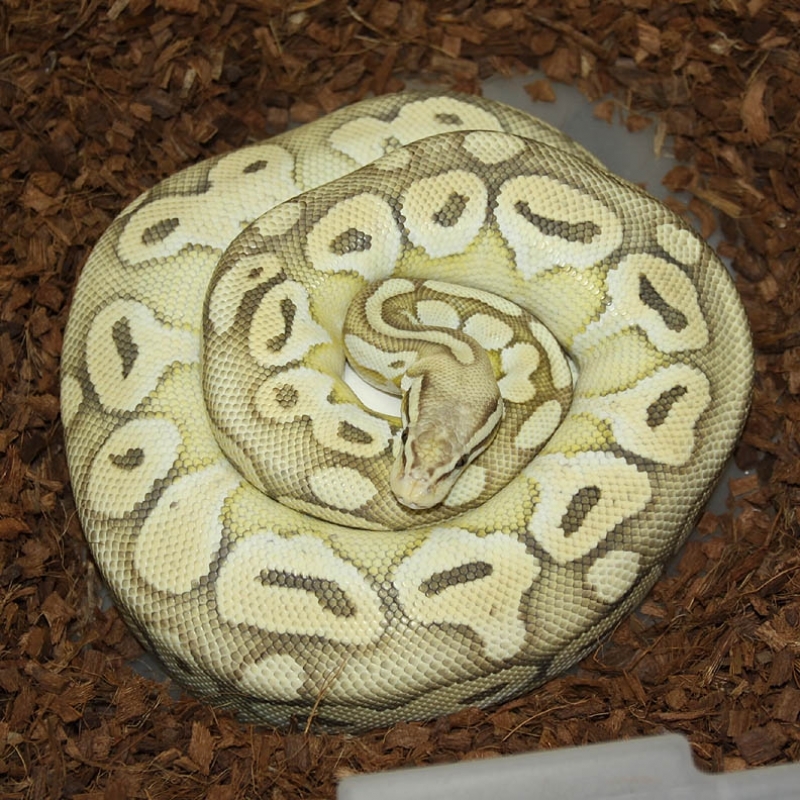 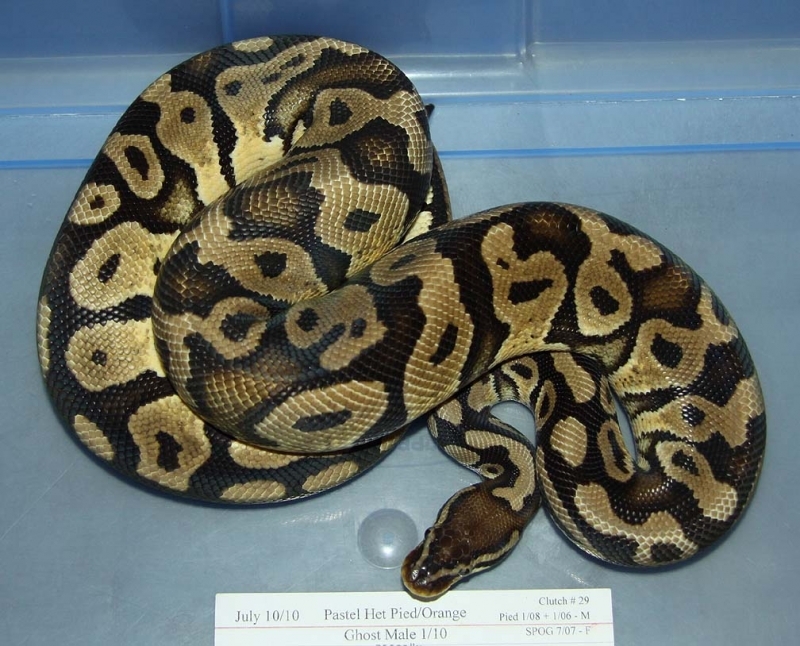 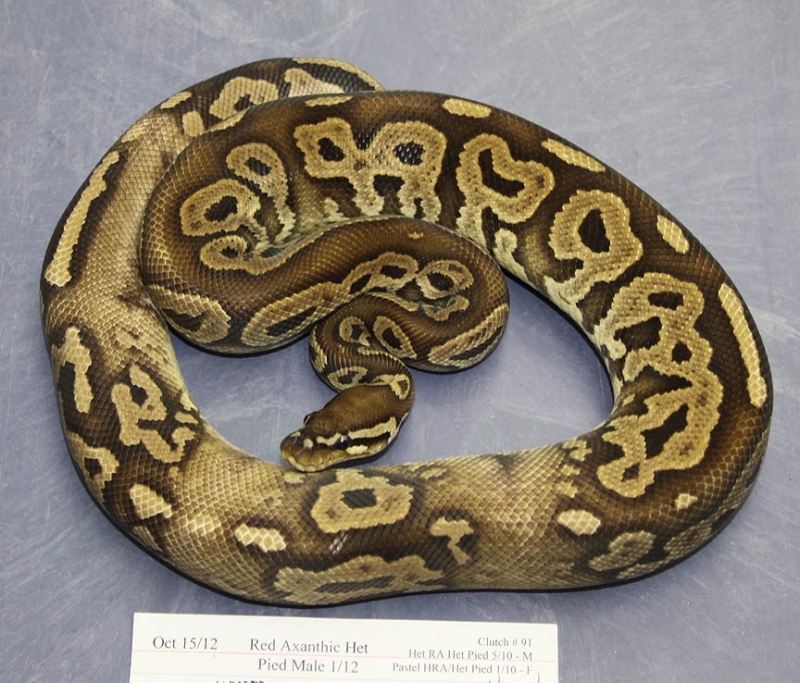 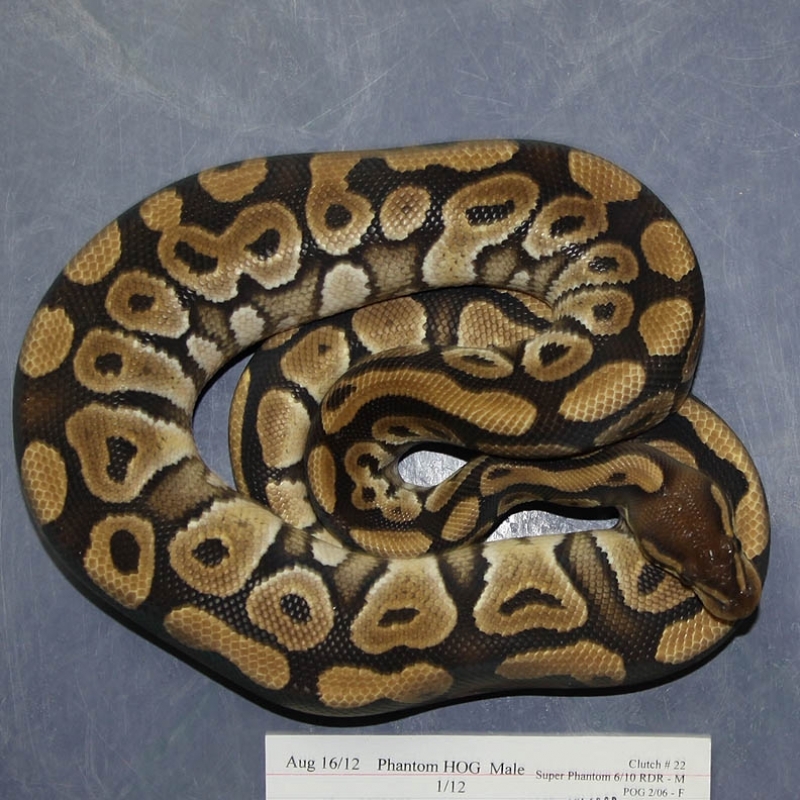 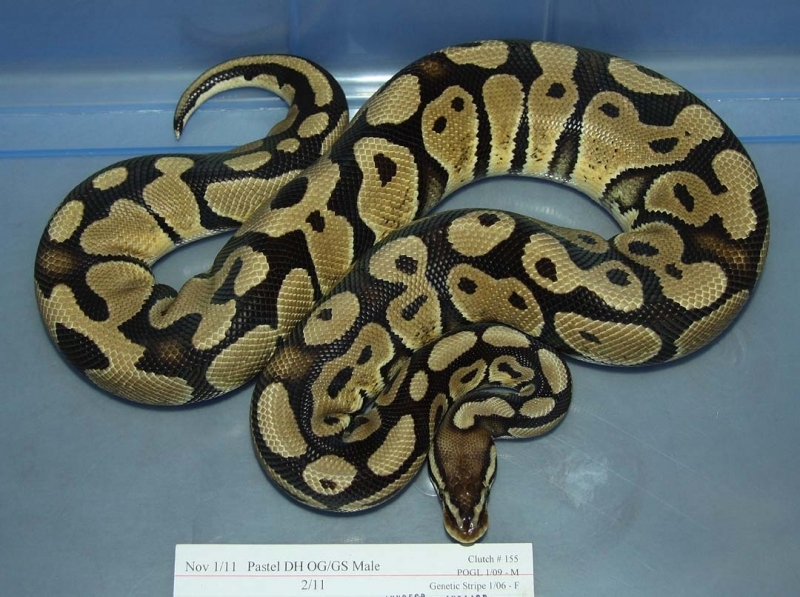 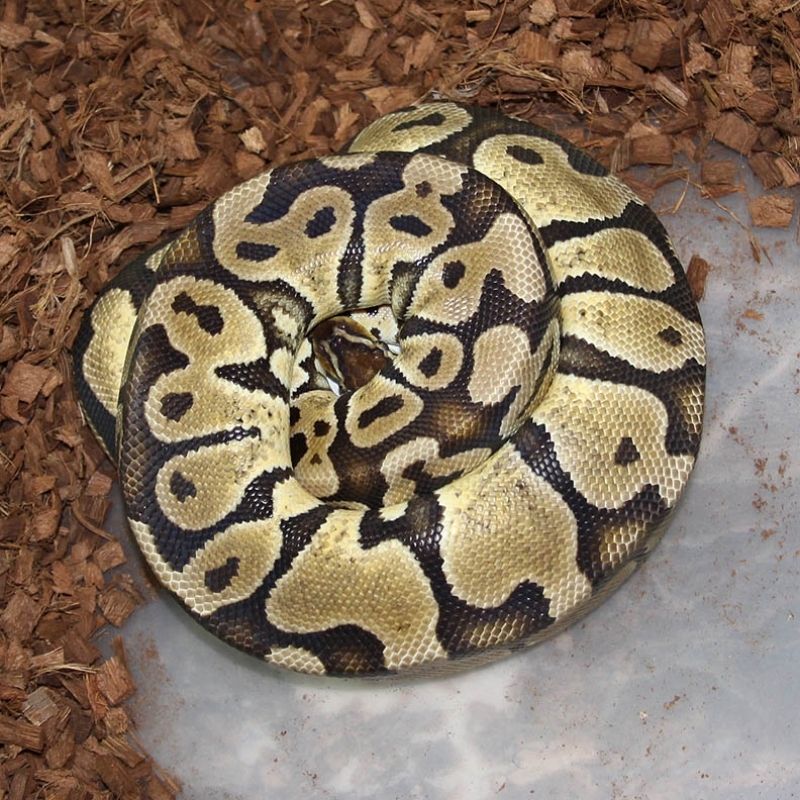 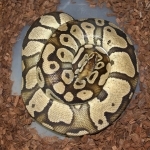 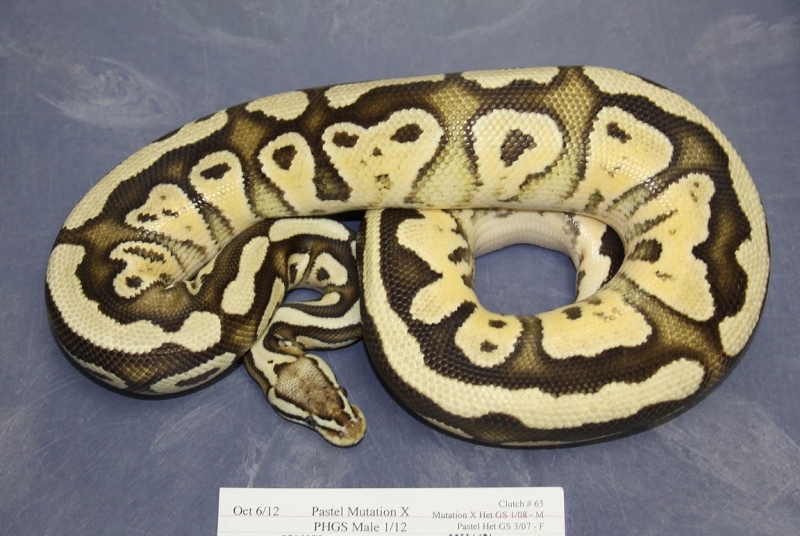 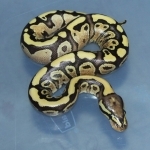 Description: Pastel Pin Champ Het Caramel 1/12 x Het RA Het Caramel 3/09. 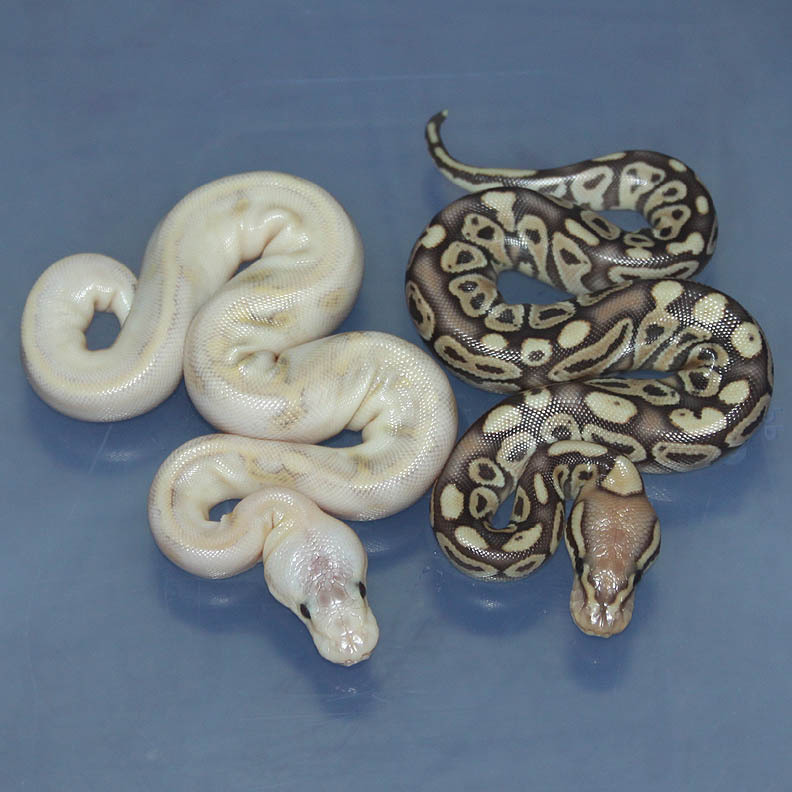 Description: Albino YB 2/11 x HY YB 5/09. 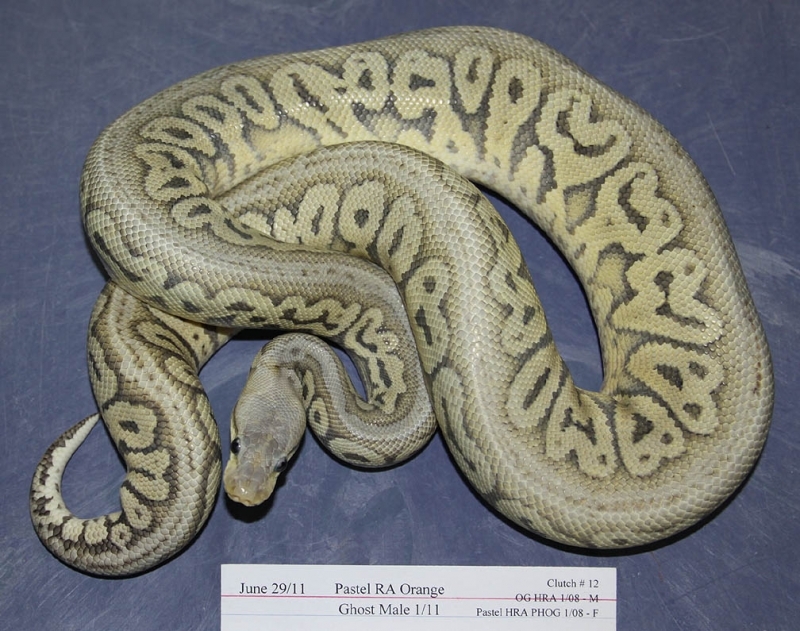 Description: X HRA 1/11 x Het RA 26/06. 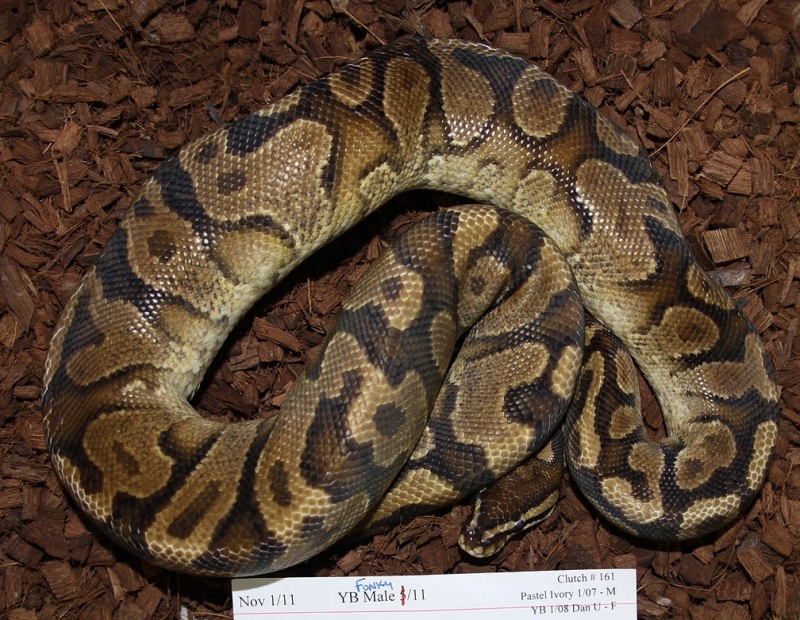 Description: Funky YB 1/11 x Lesser 7/07. 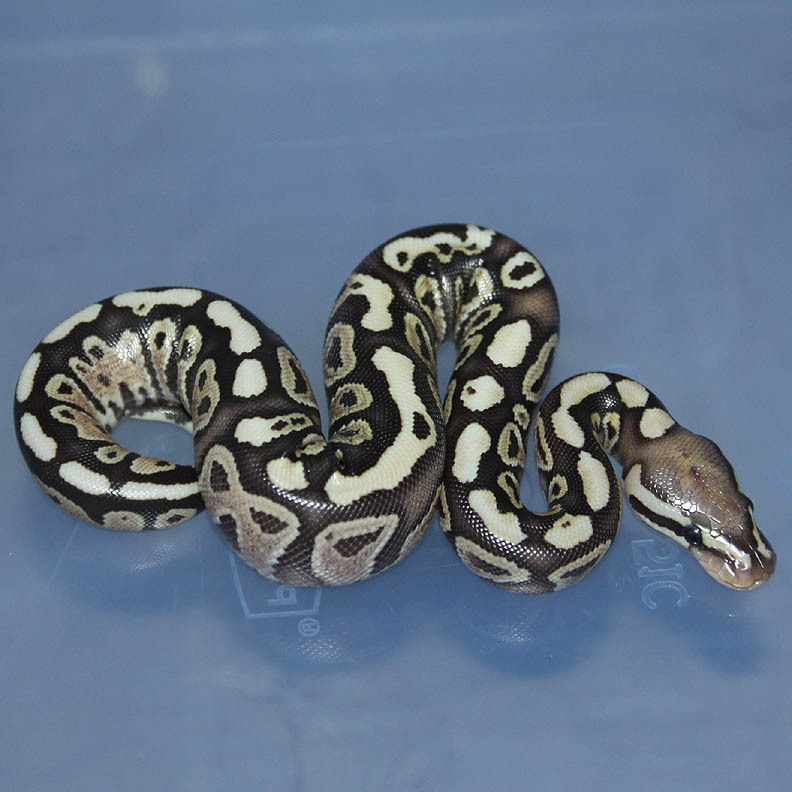 Description: Pastel DH OG/GS 2/11 x DH OG/GS 2/07. 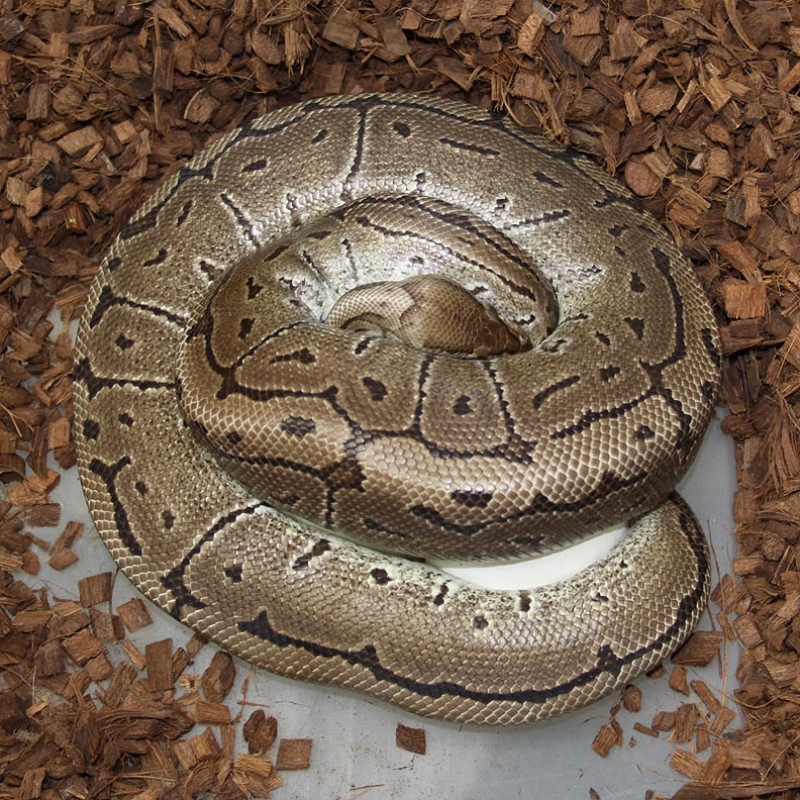 Description: Lesser Het Caramel 1/12 x Pastel Het Caramel 3/07. 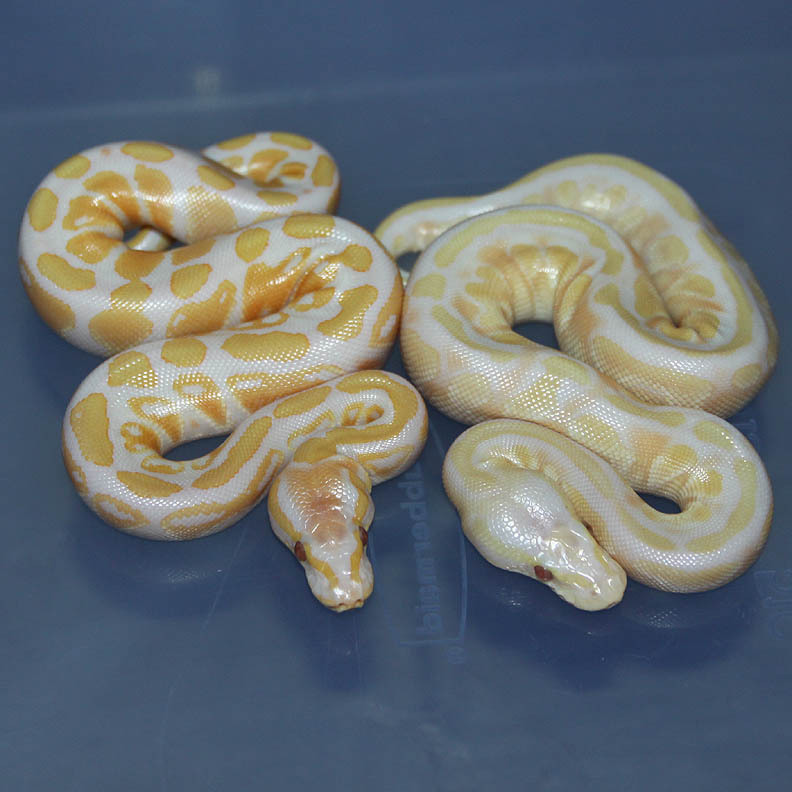 Keep on outcrossing those Caramels! 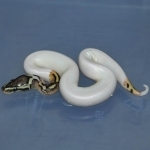 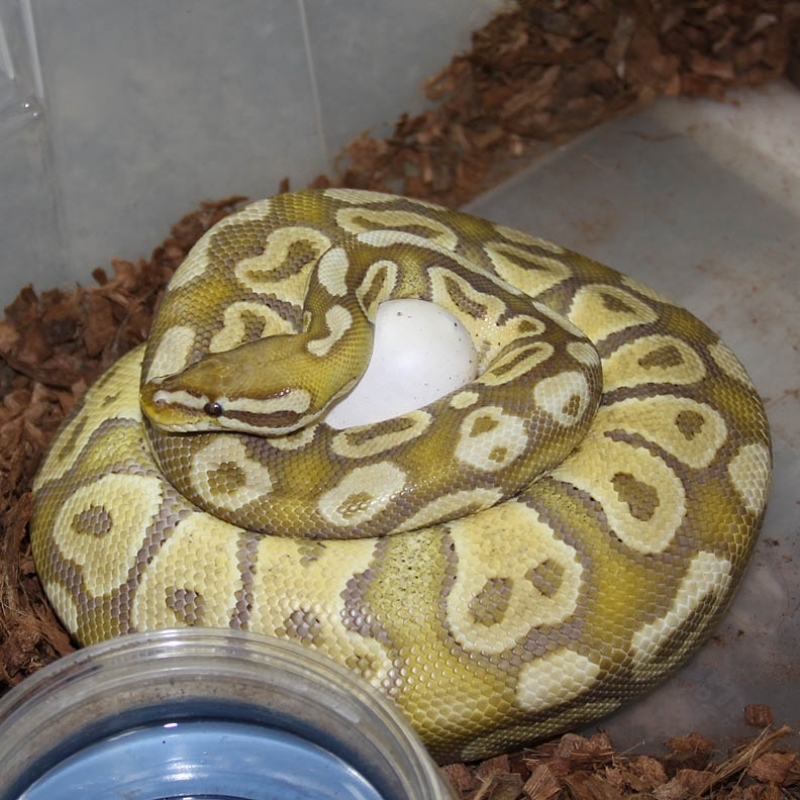 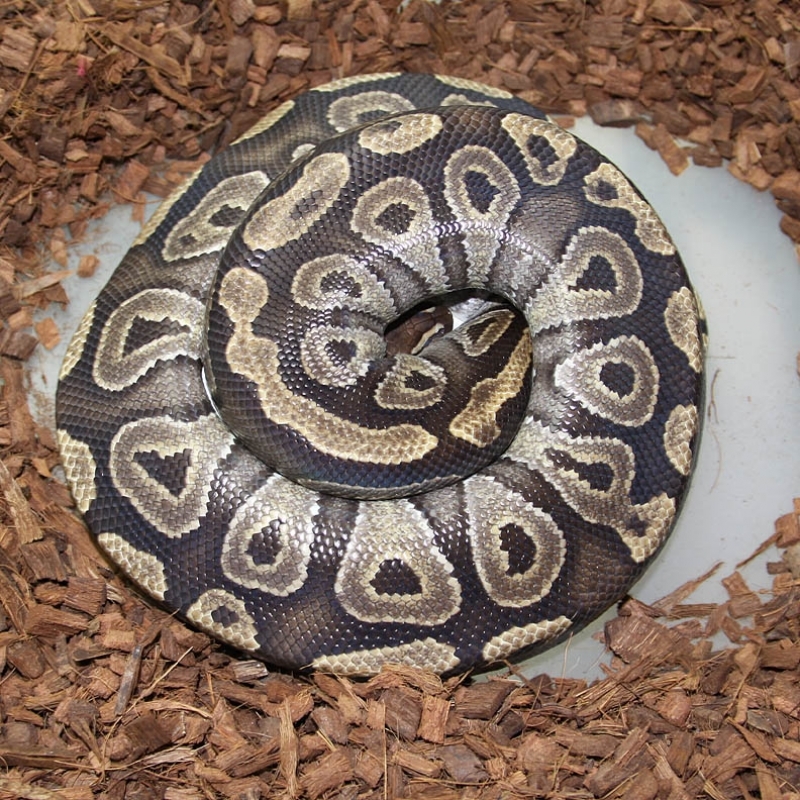 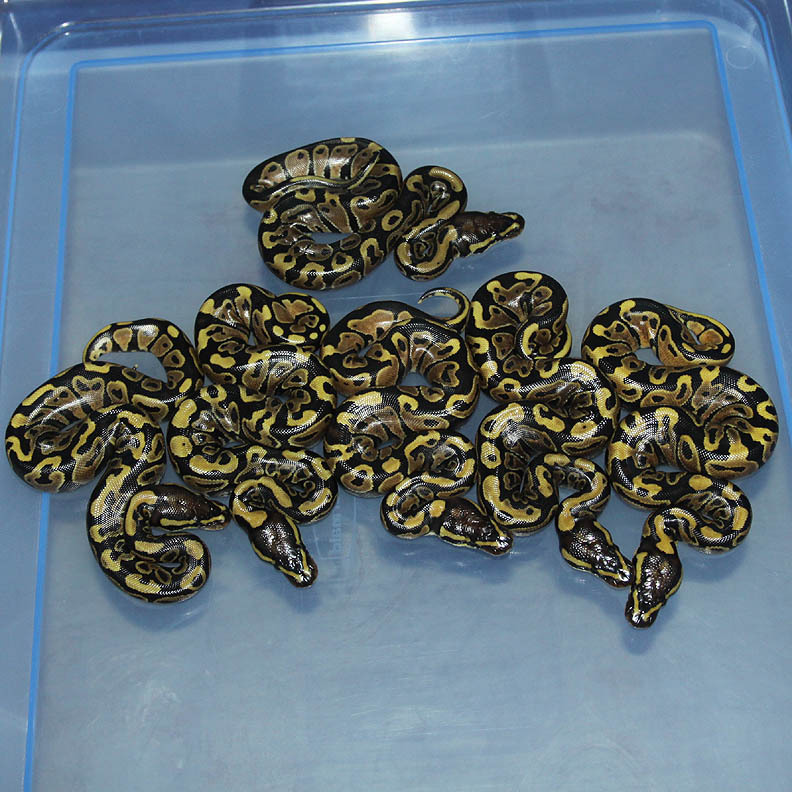 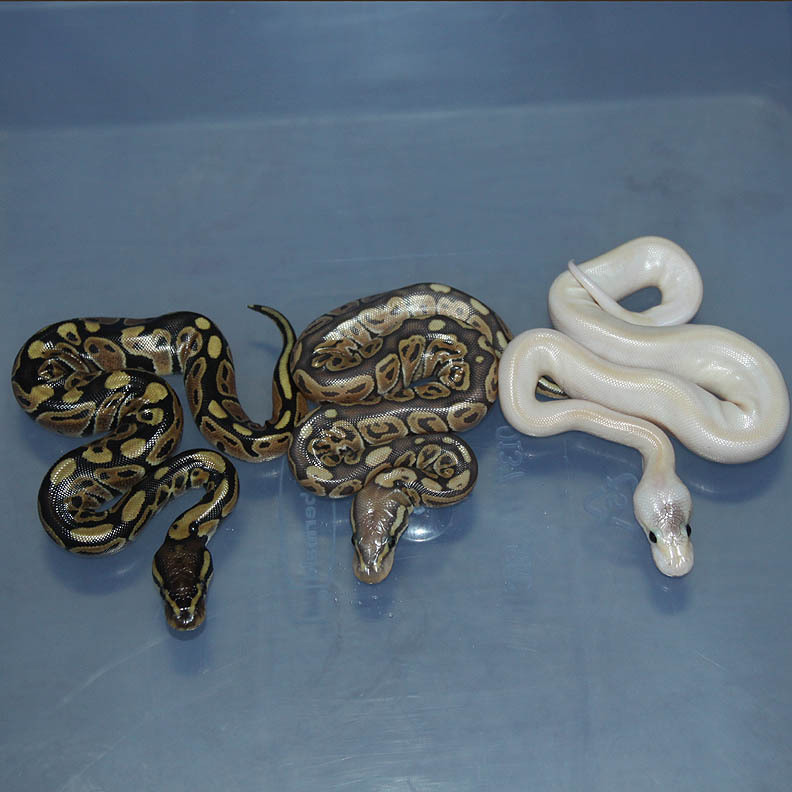 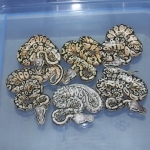 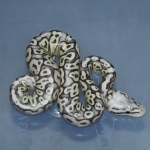 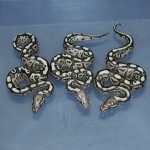 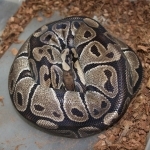 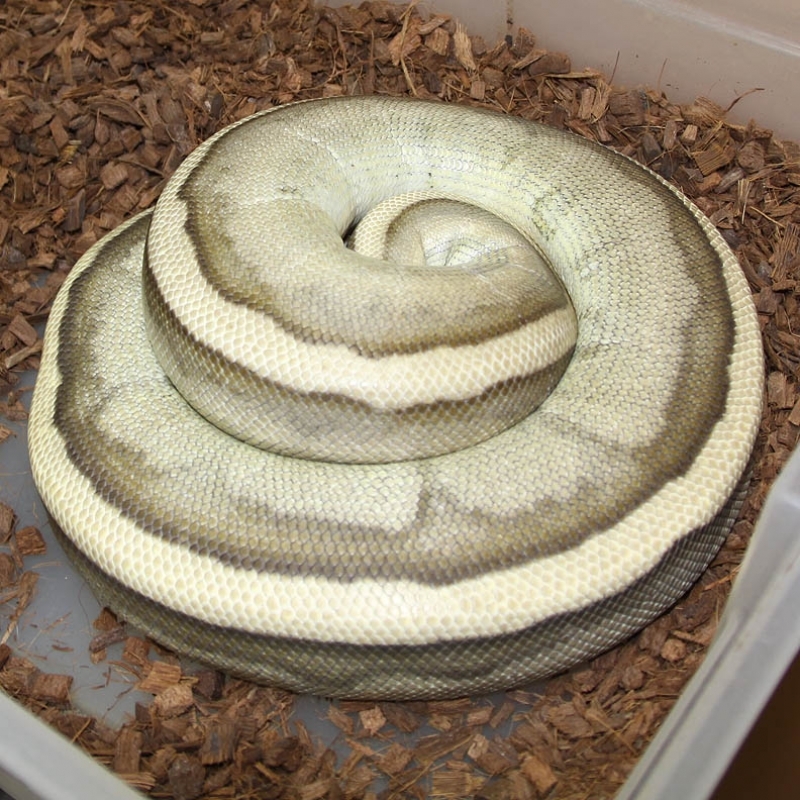 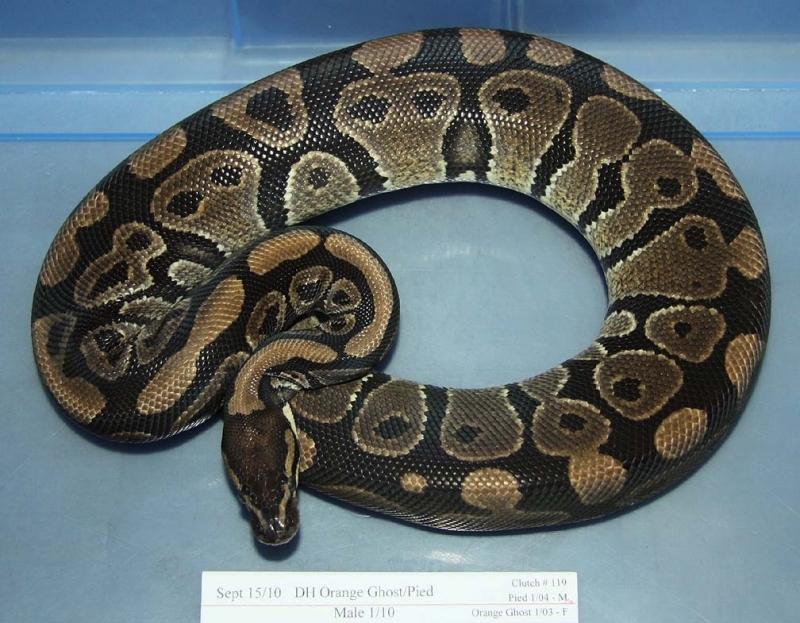 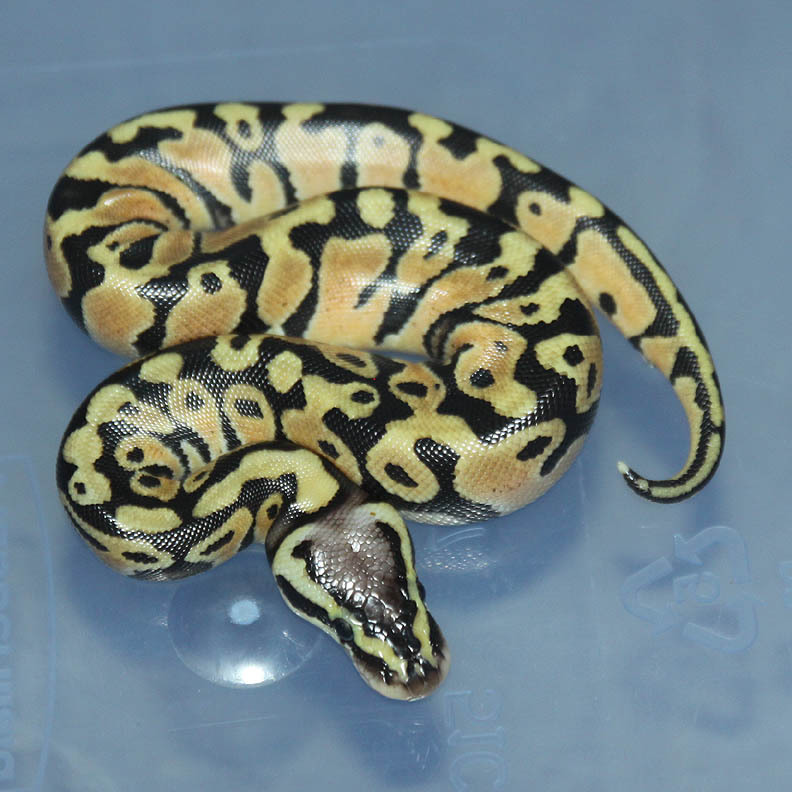 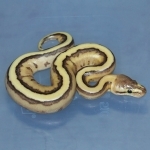 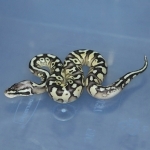 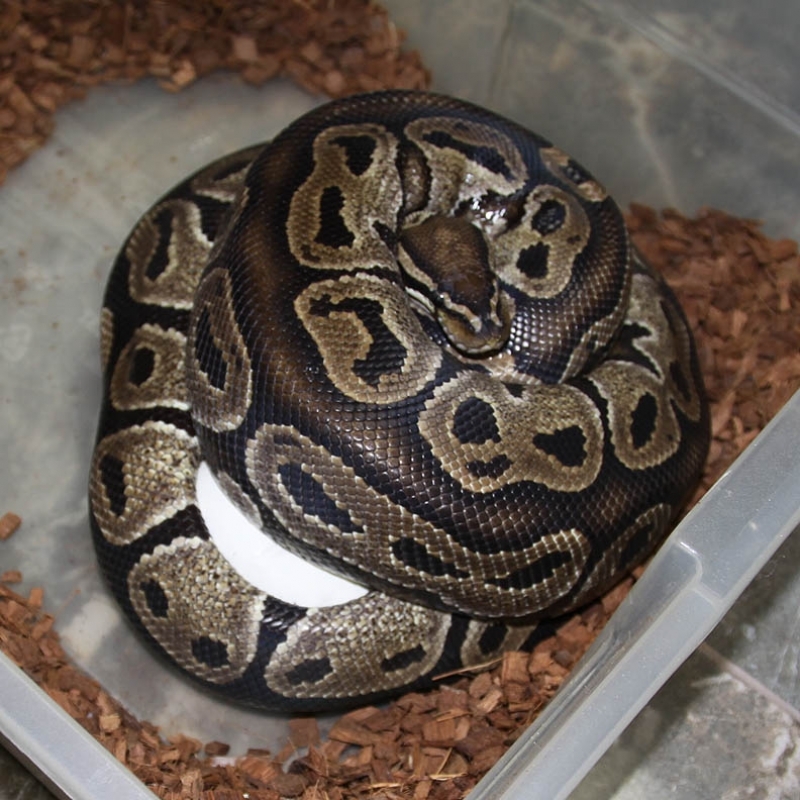 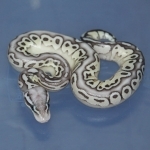 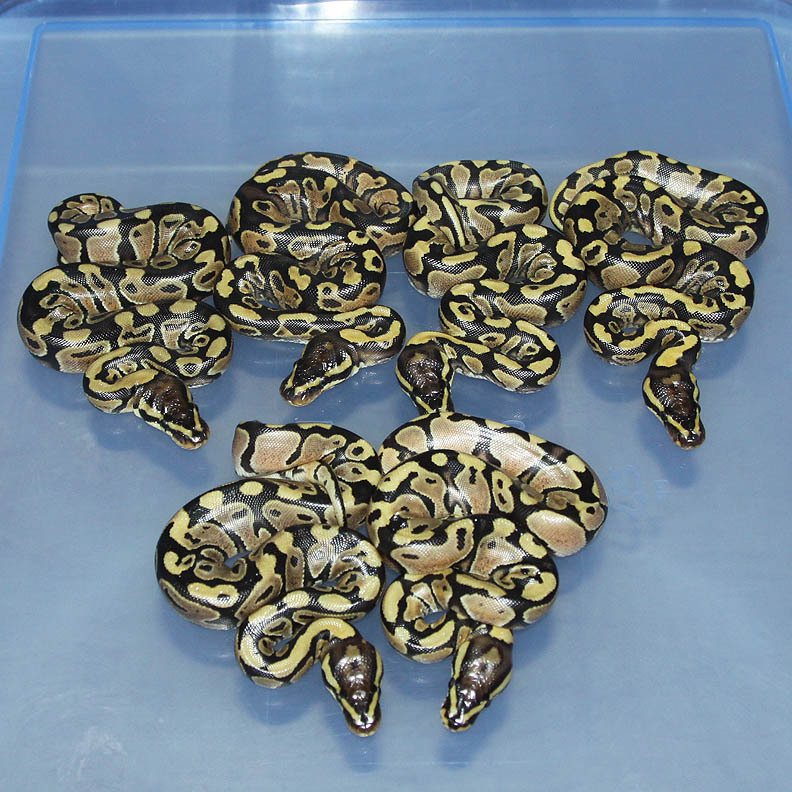 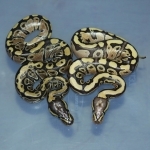 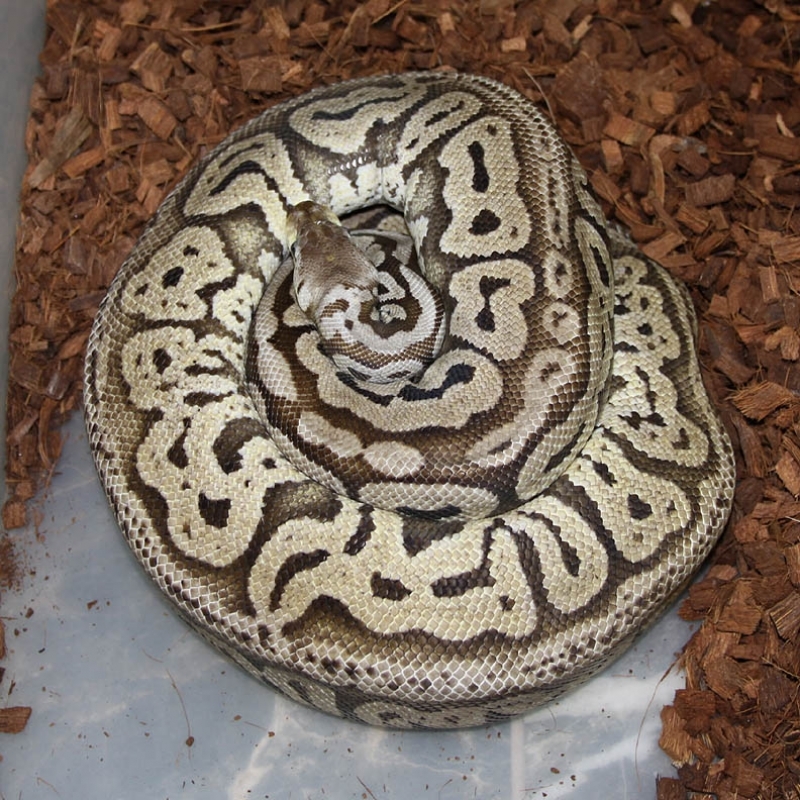 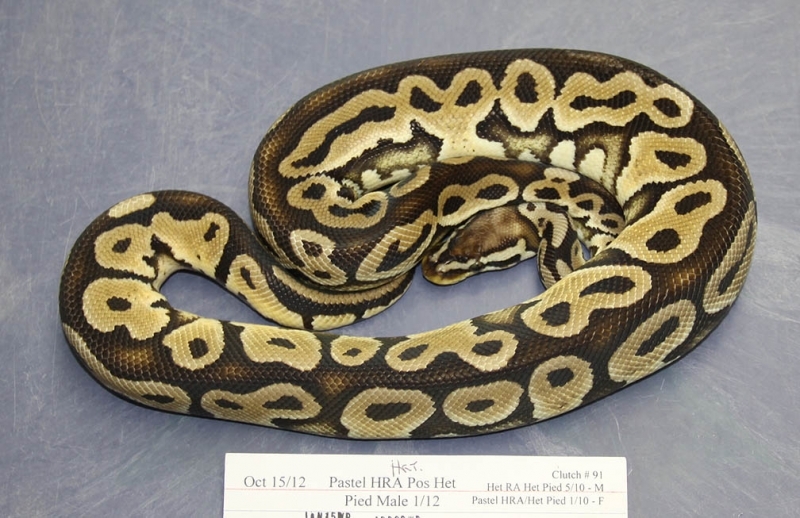 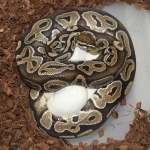 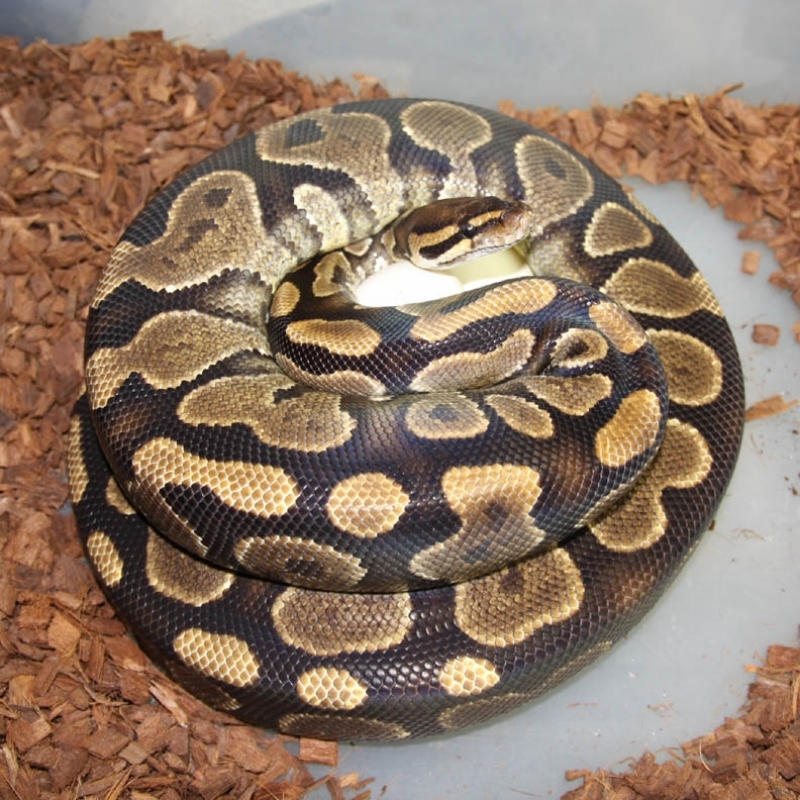 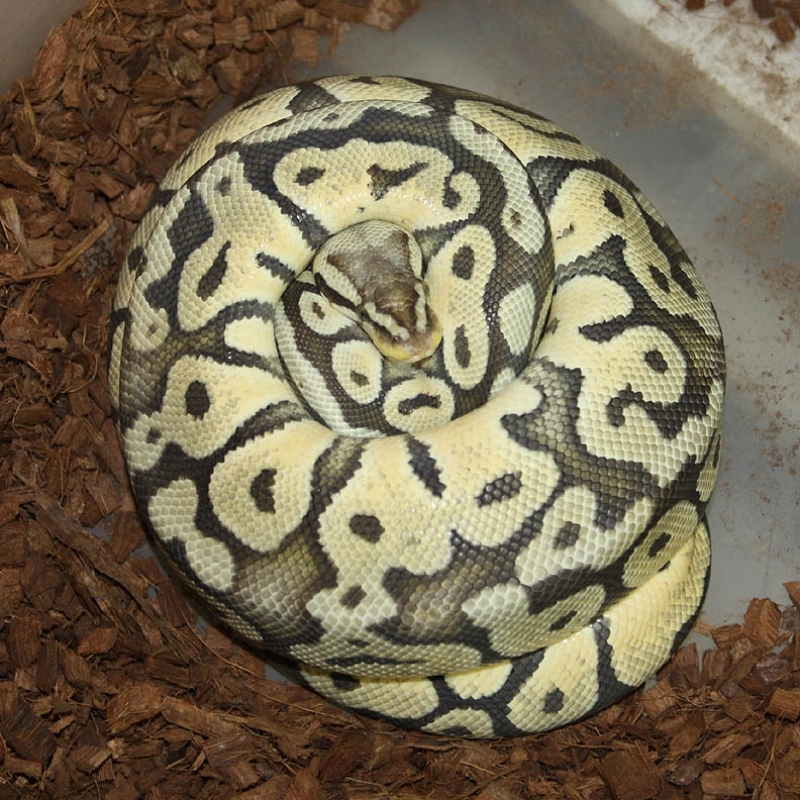 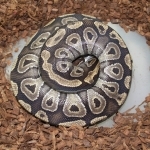 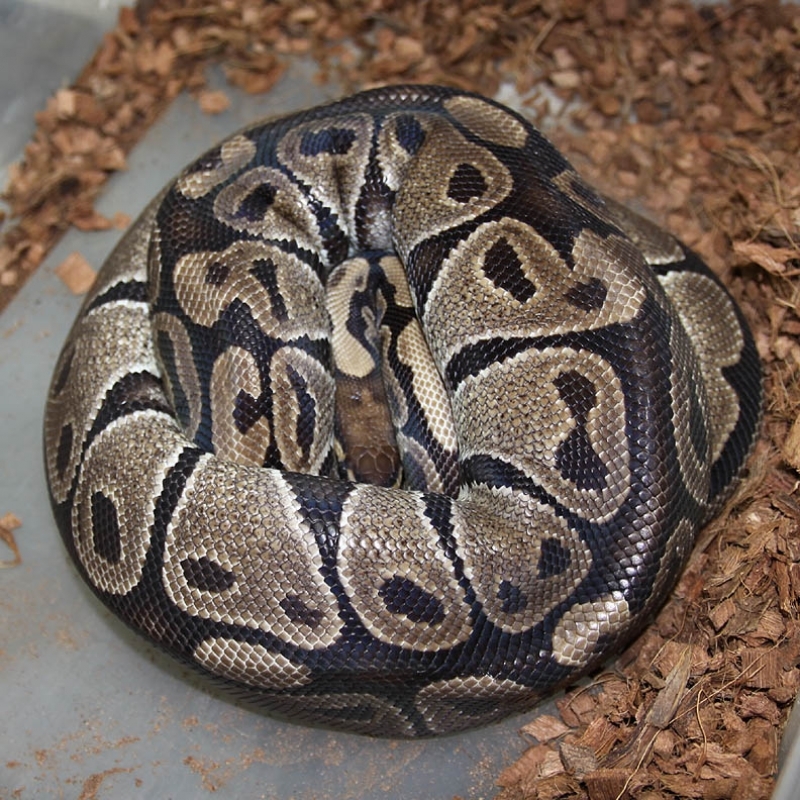 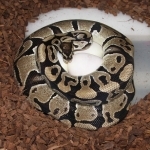 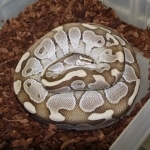 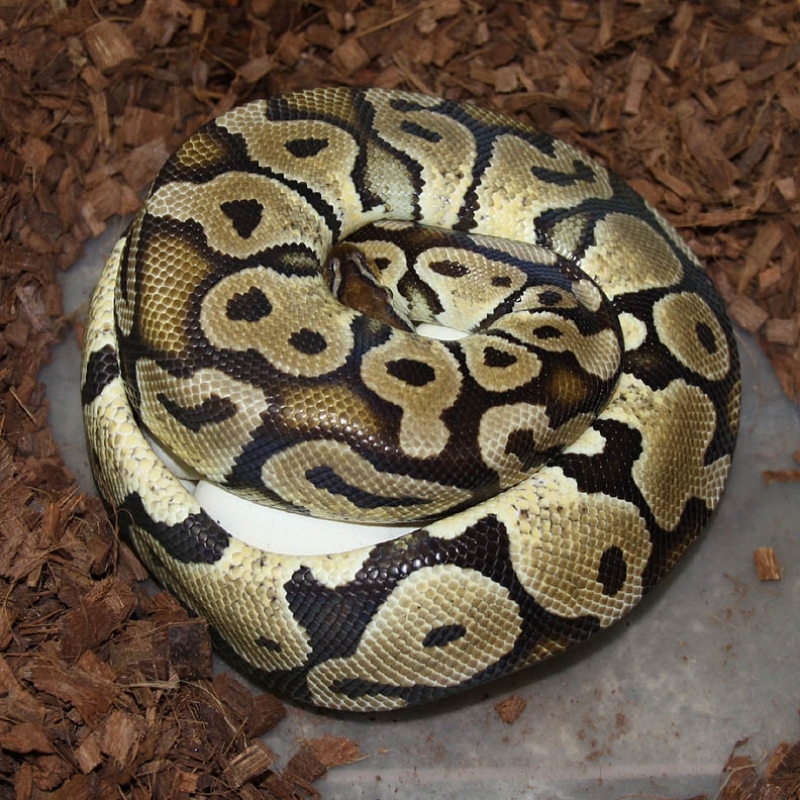 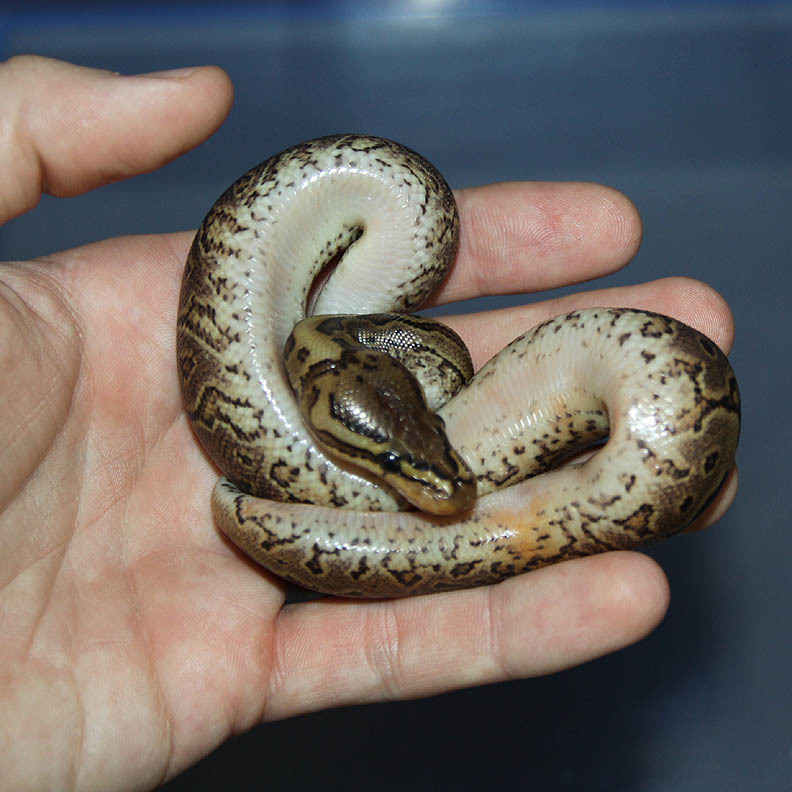 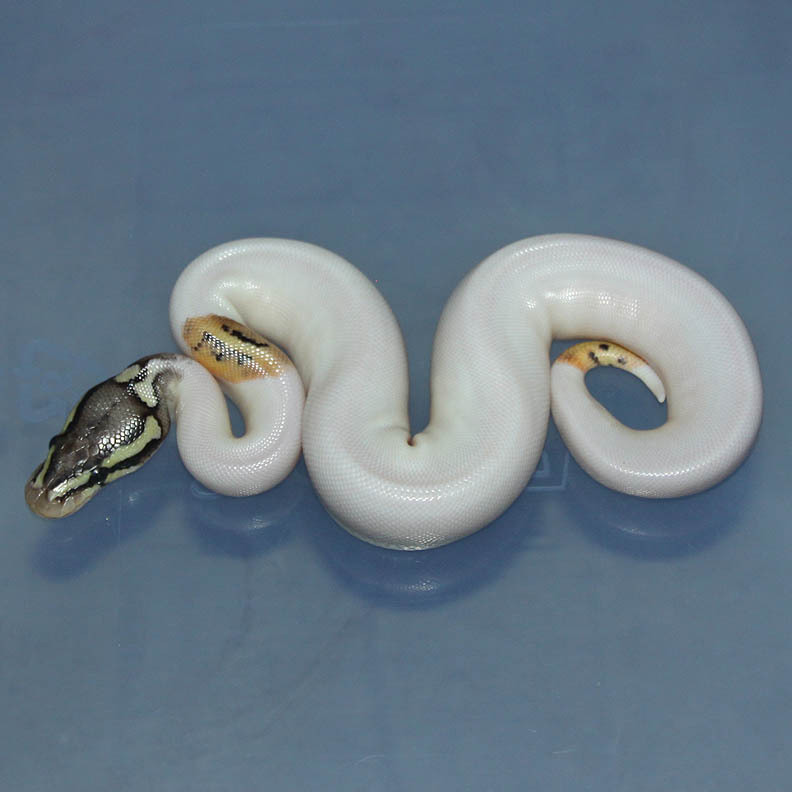 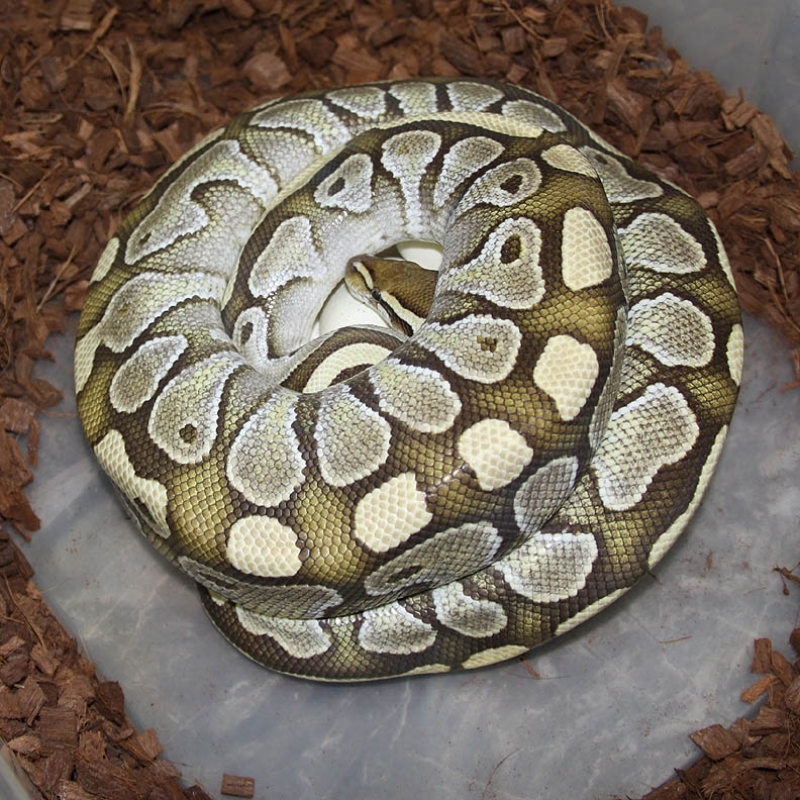 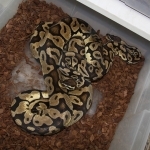 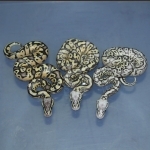 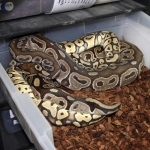 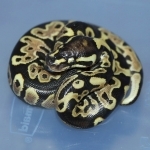 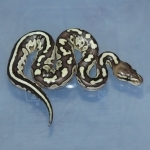 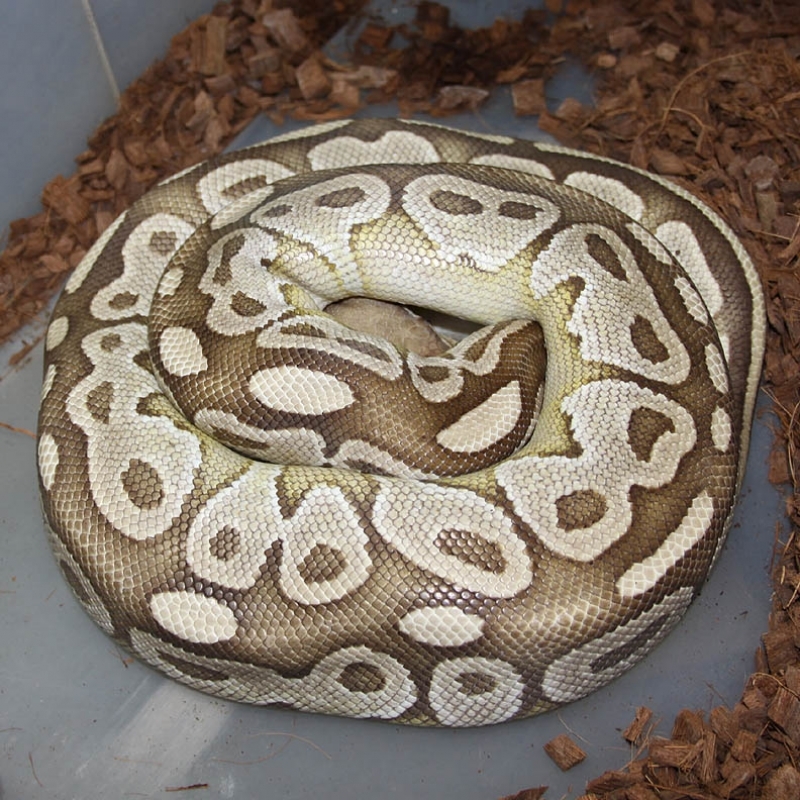 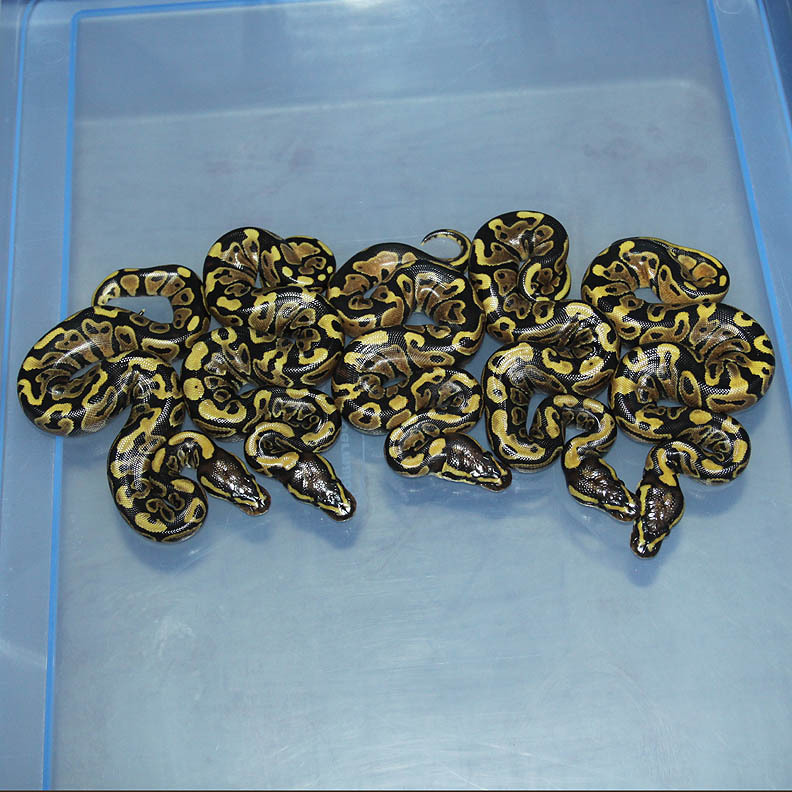 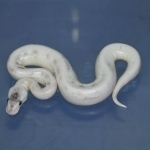 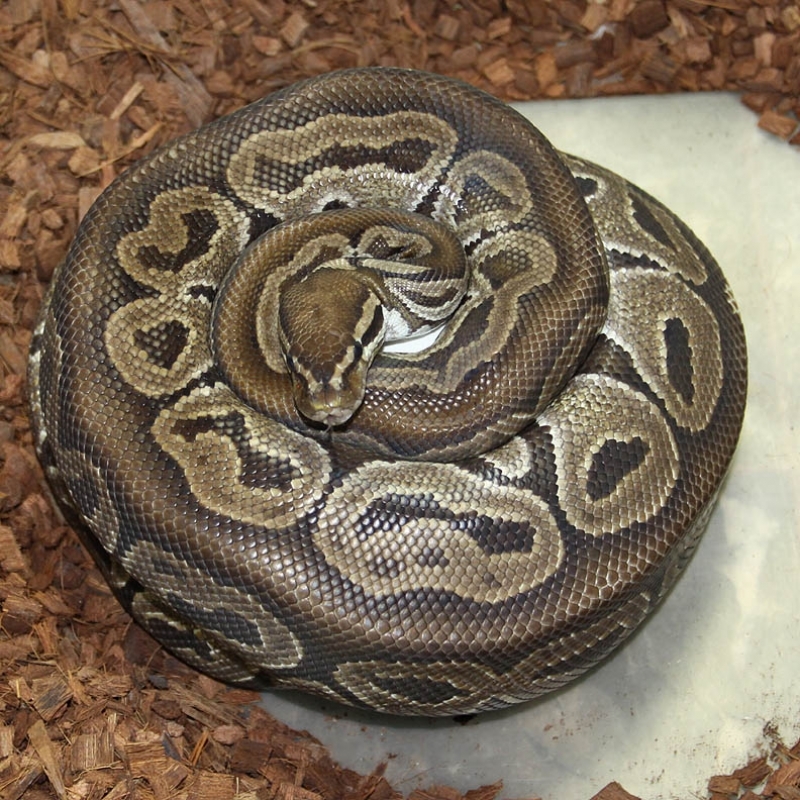 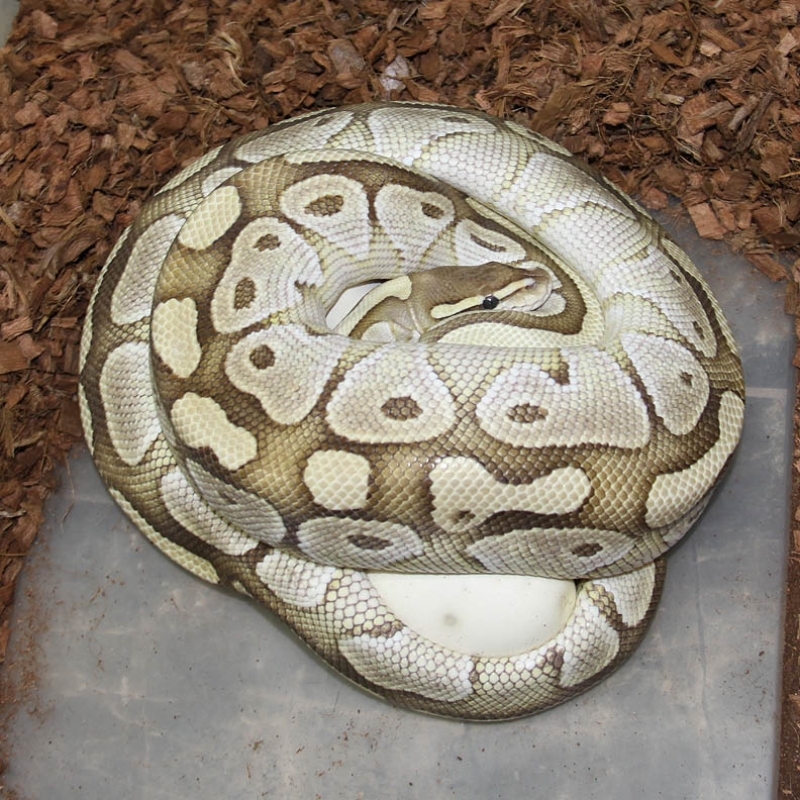 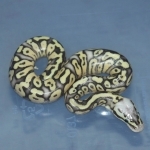 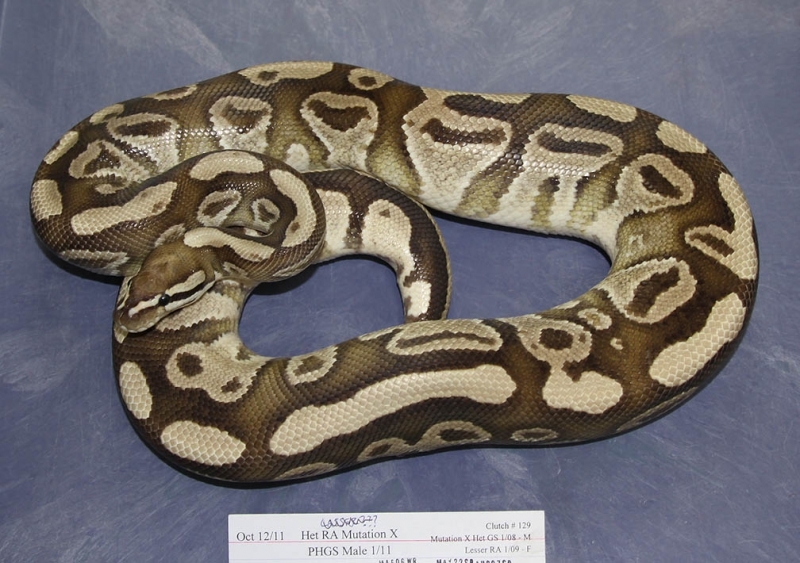 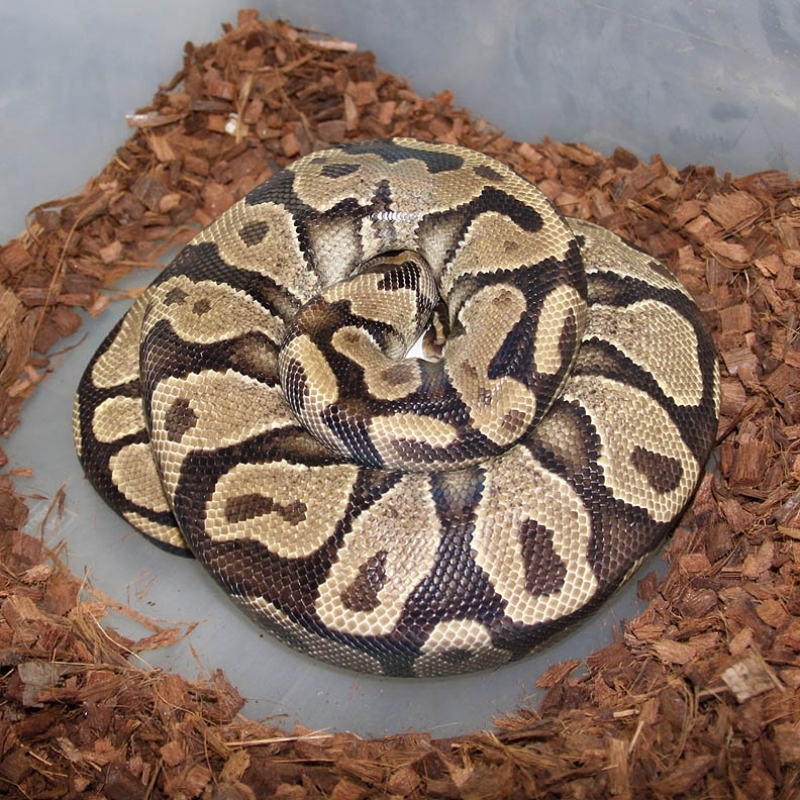 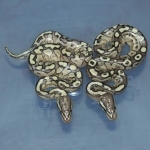 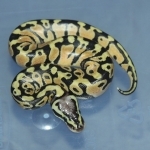 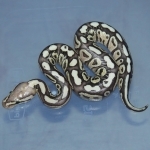 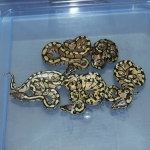 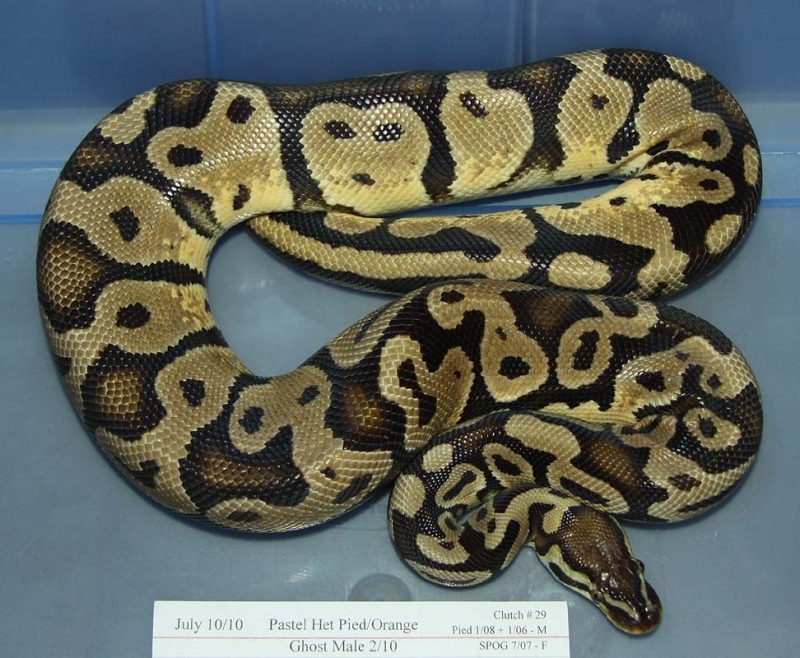 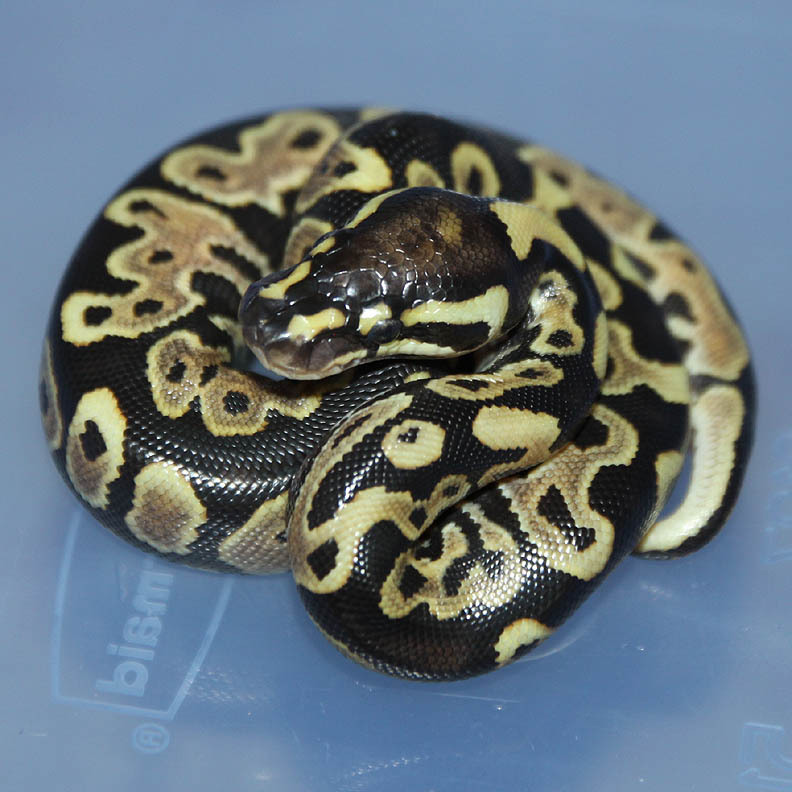 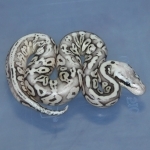 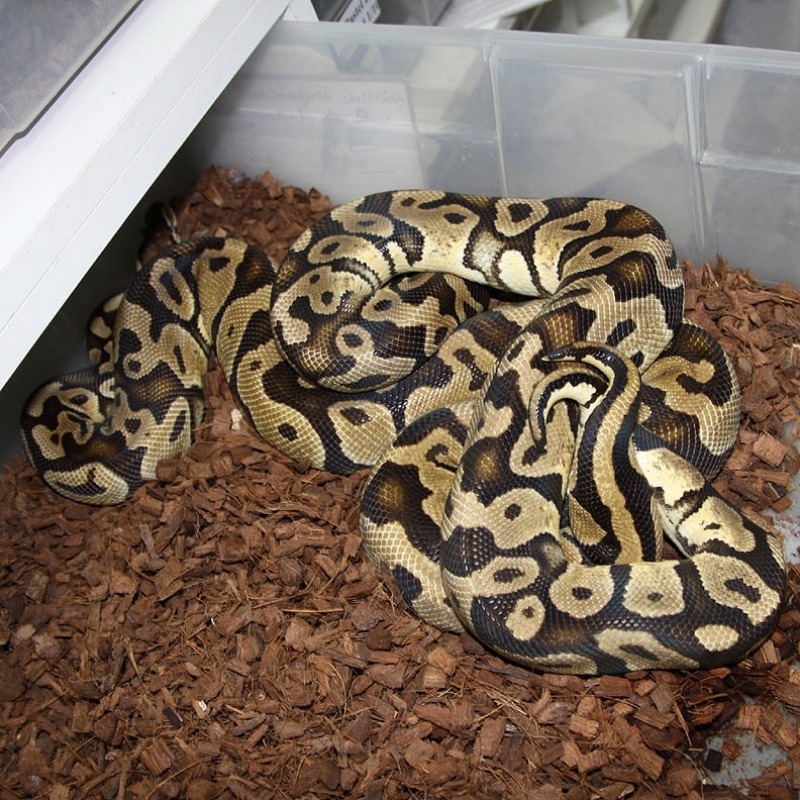 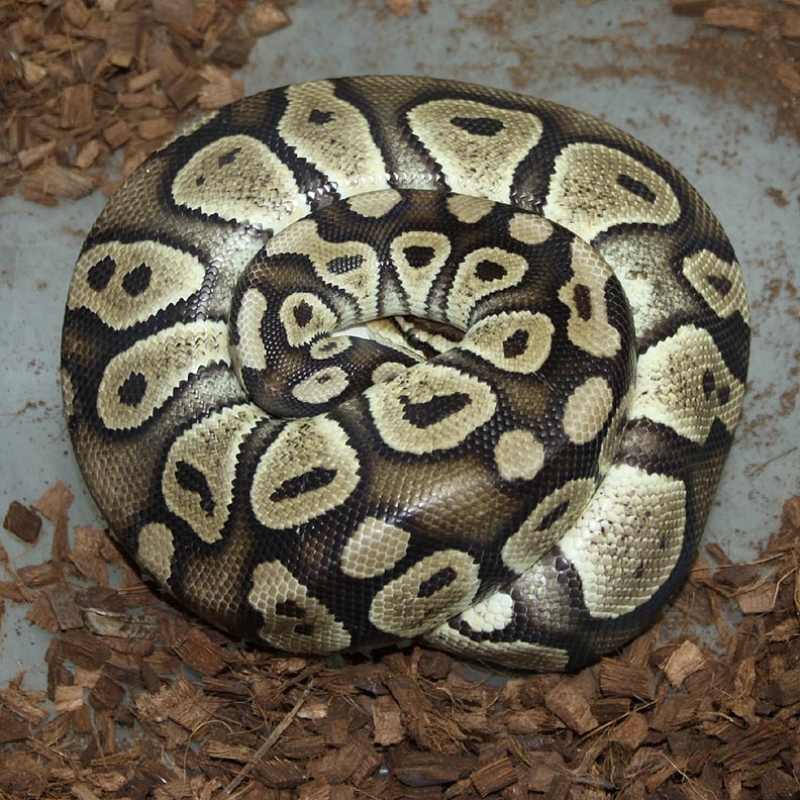 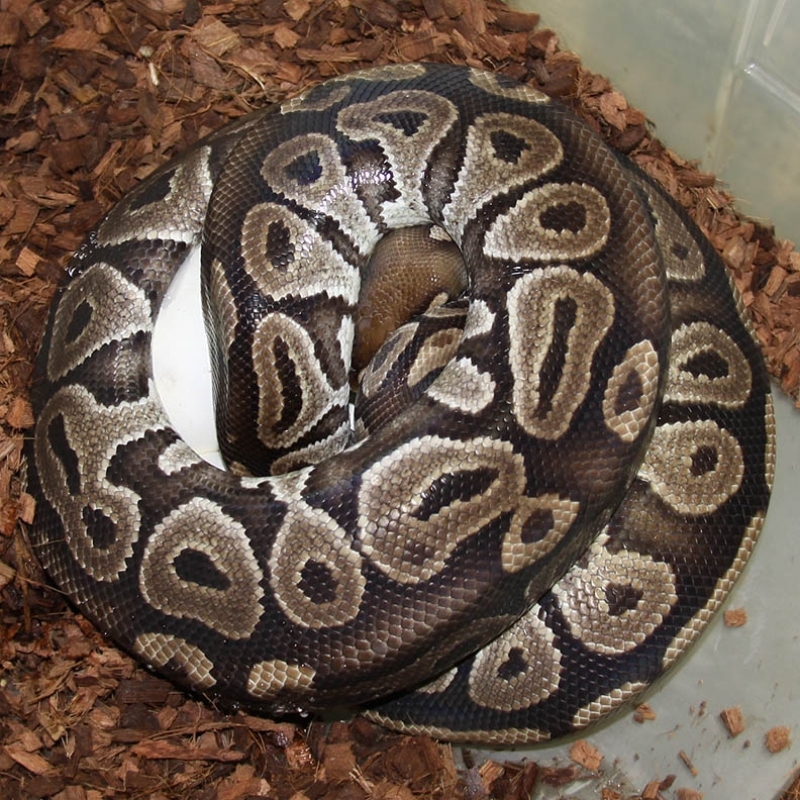 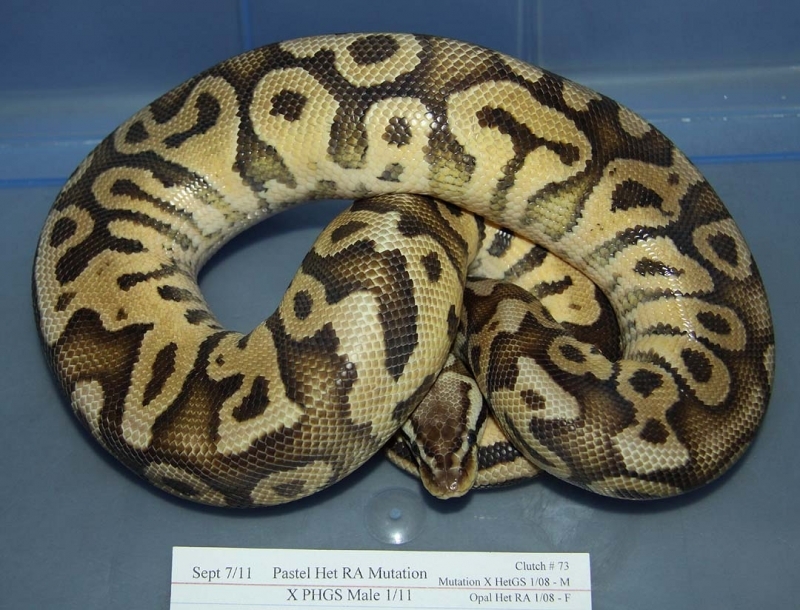 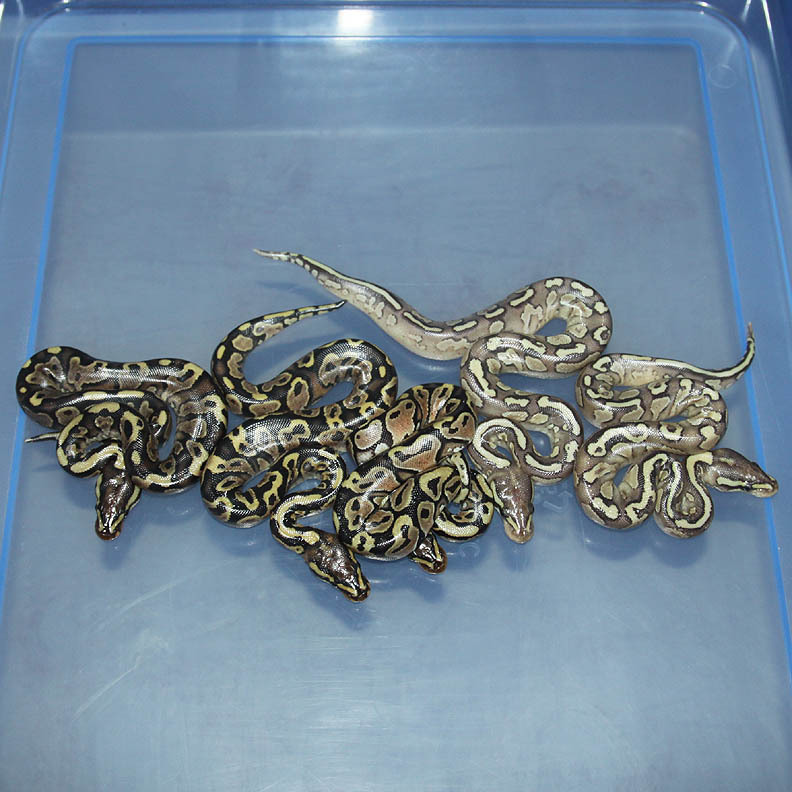 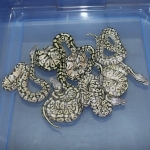 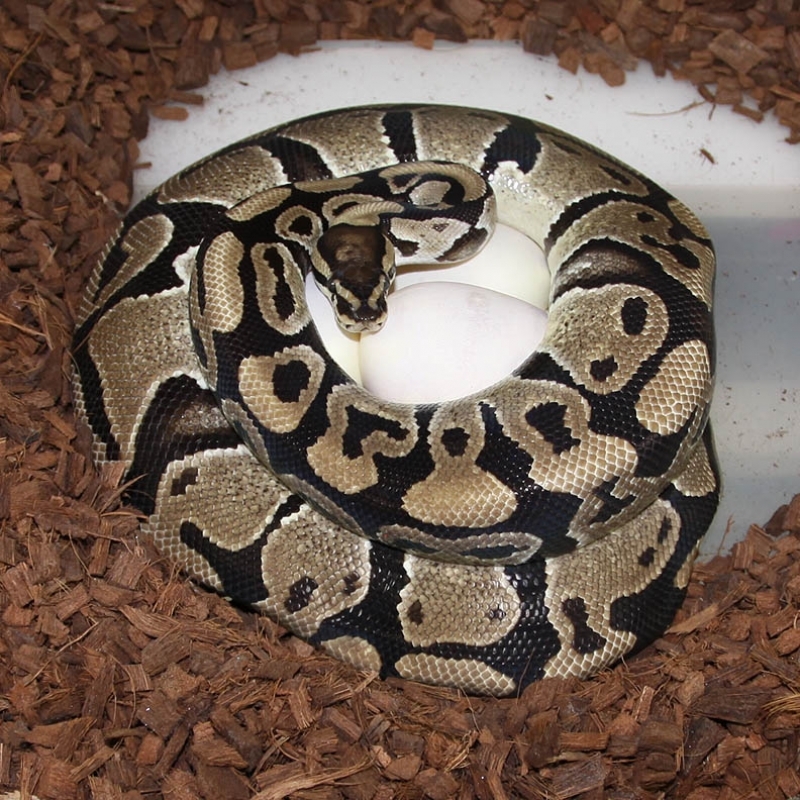 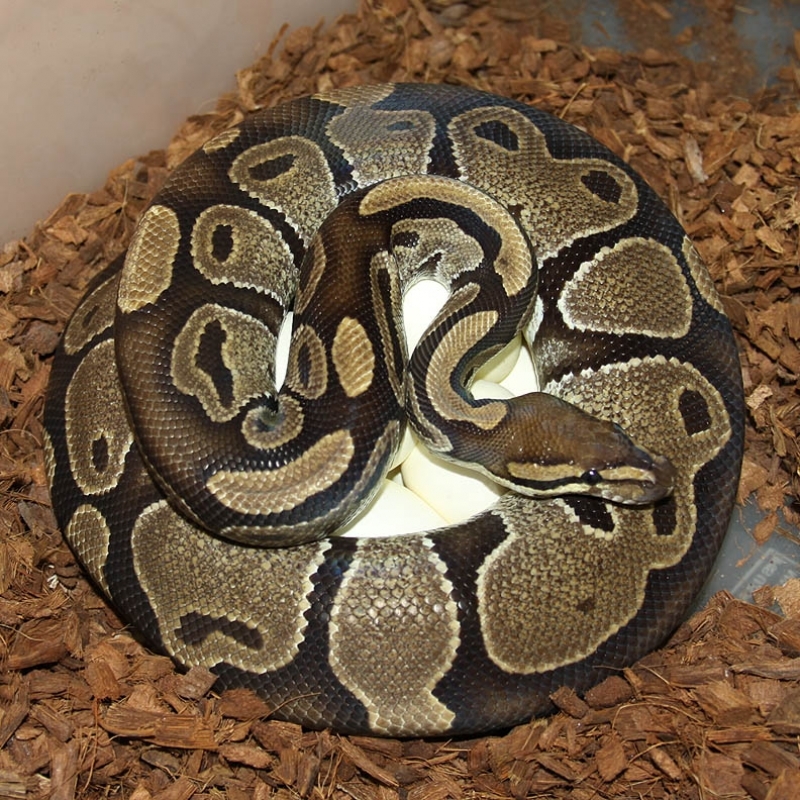 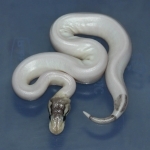 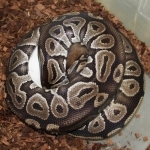 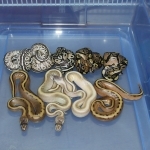 Description: Pastel HRA Het Pied 1/12 x Het RA Het Pied 7/10. 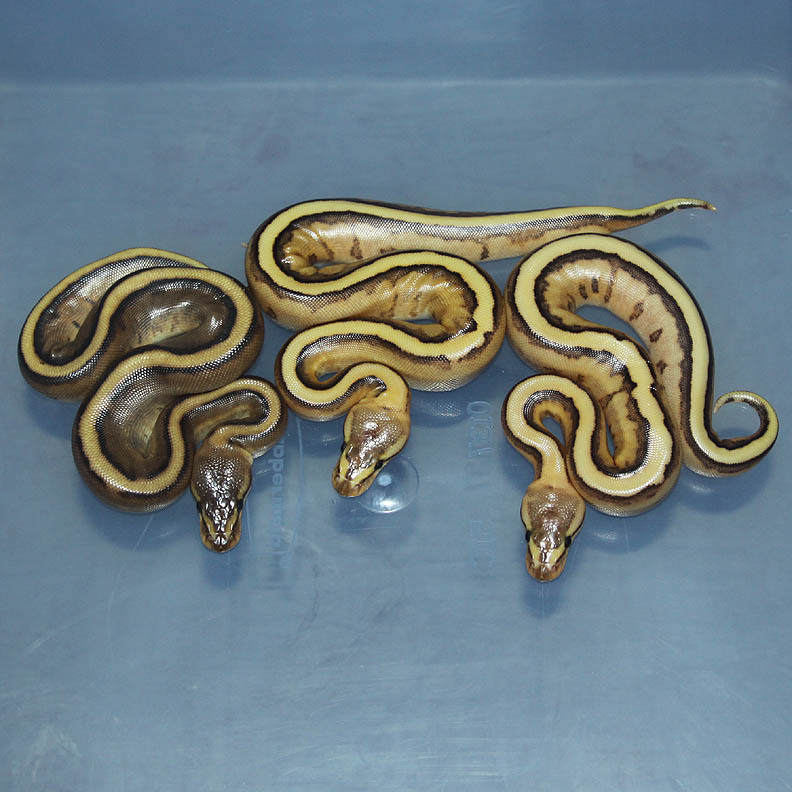 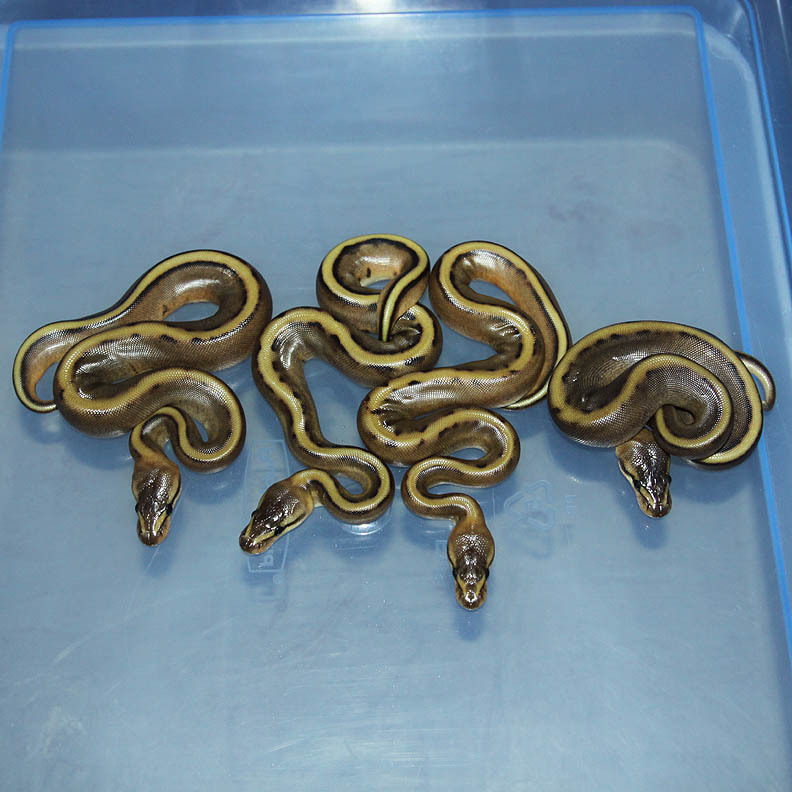 Description: Red Axanthic Pinstripe Champagne 1/12 x Black Stripe Genetic Stripe 1/10. 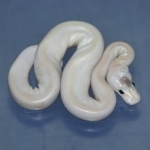 Description: Ivory HRA 1/12 x Het RA 15/06.